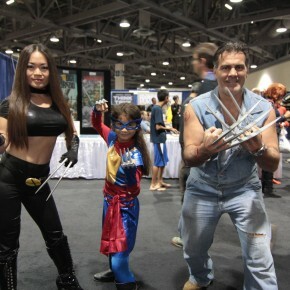 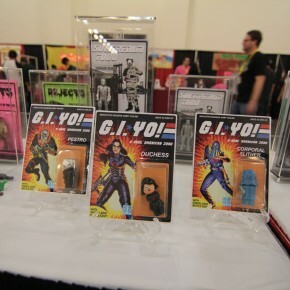 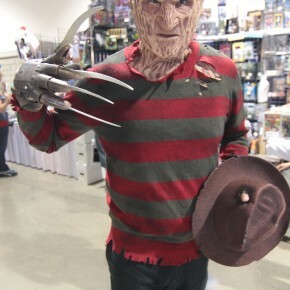 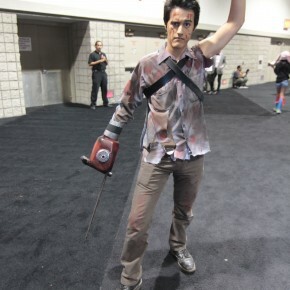 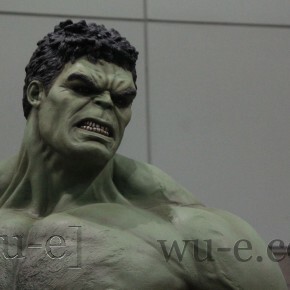 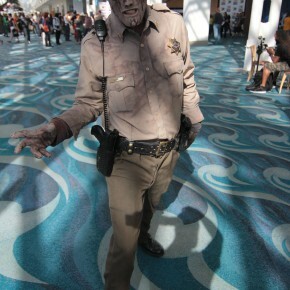 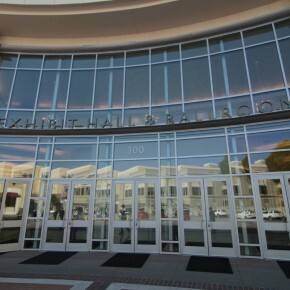 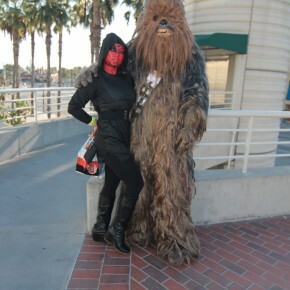 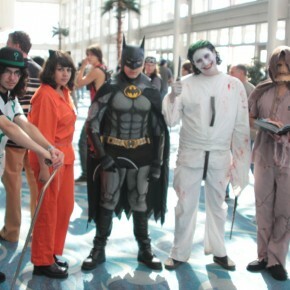 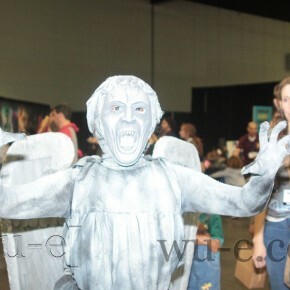 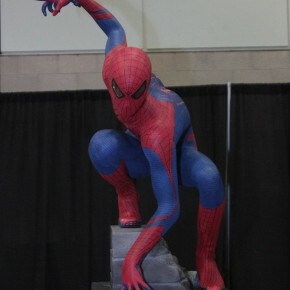 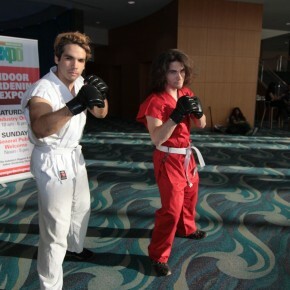 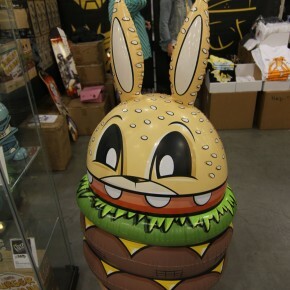 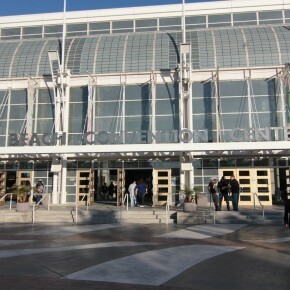 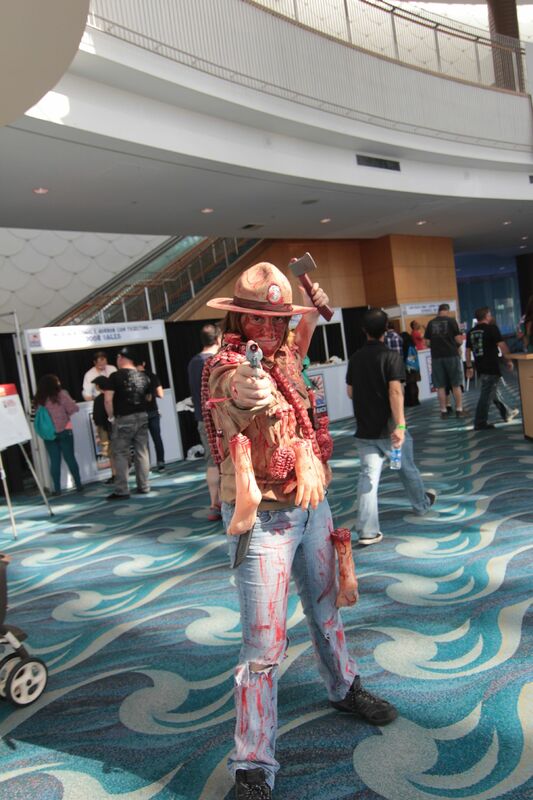 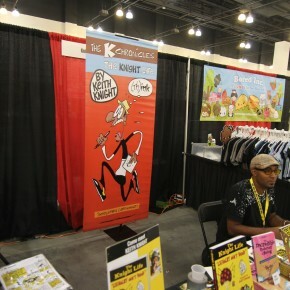 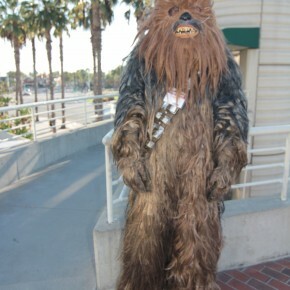 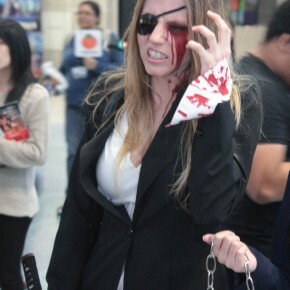 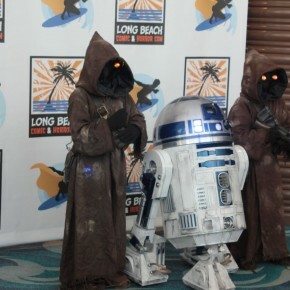 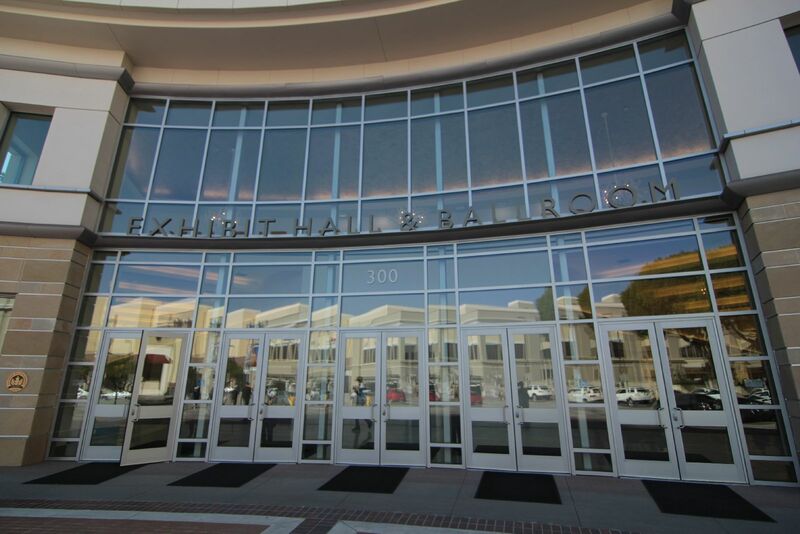 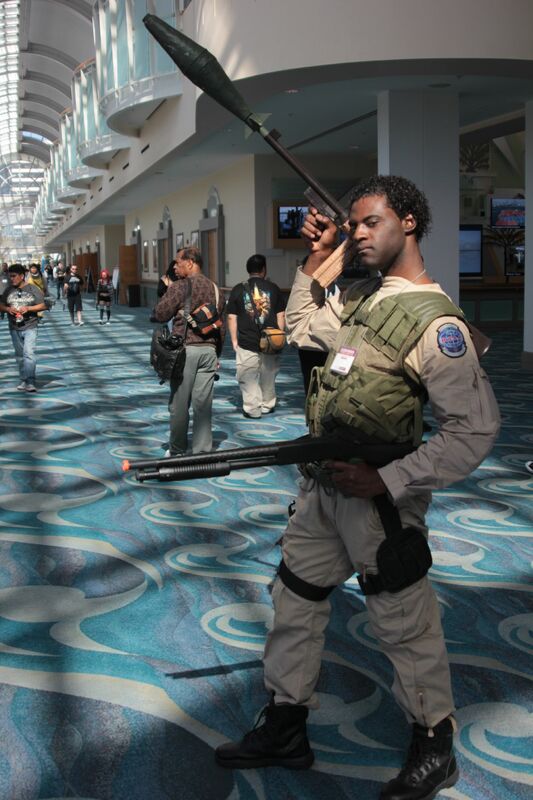 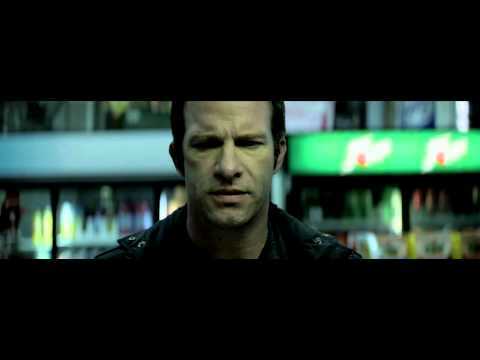 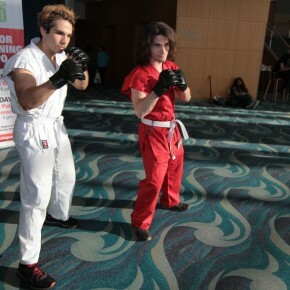 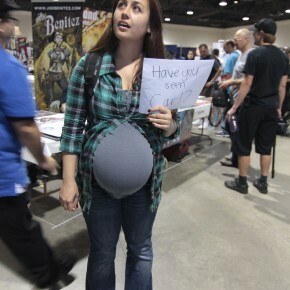 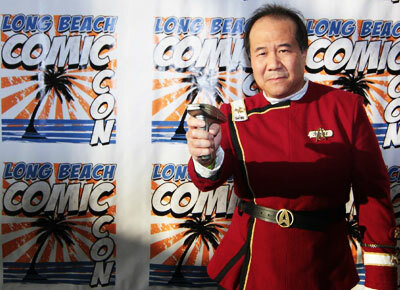 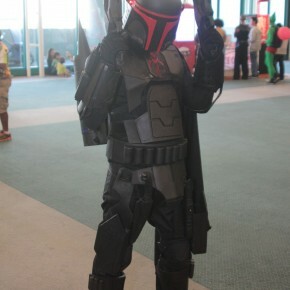 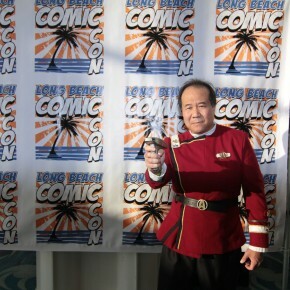 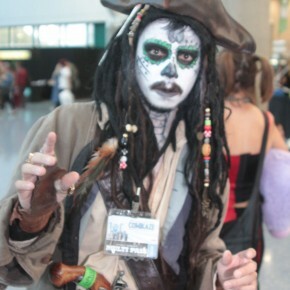 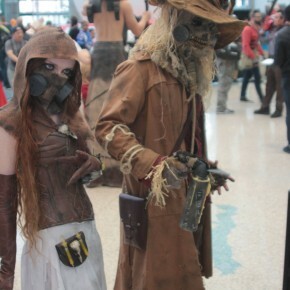 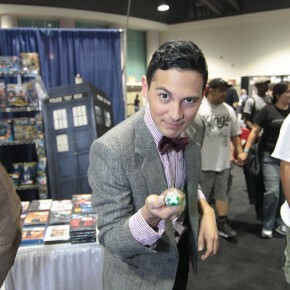 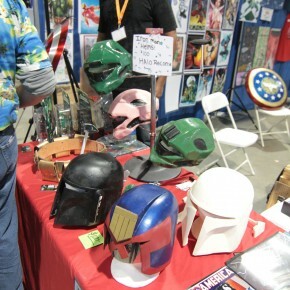 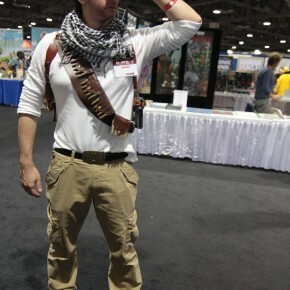 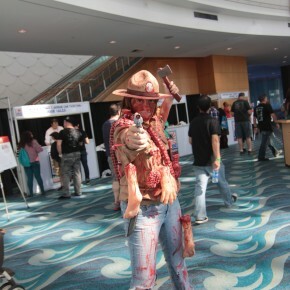 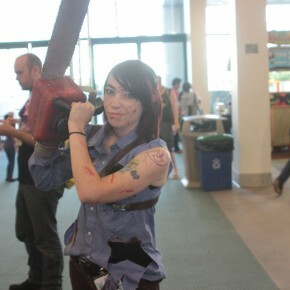 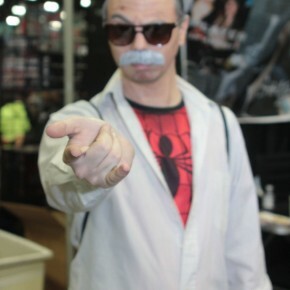 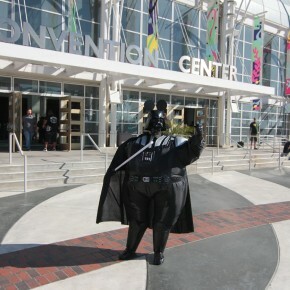 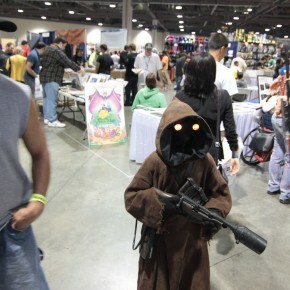 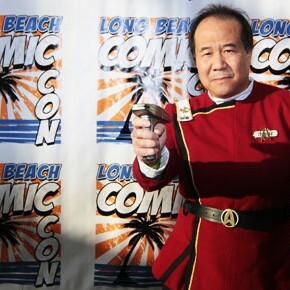 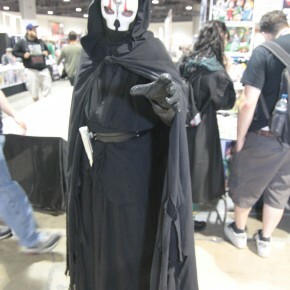 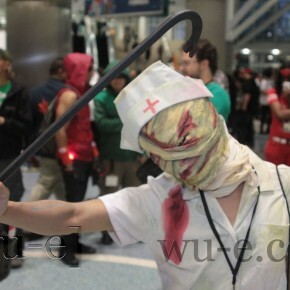 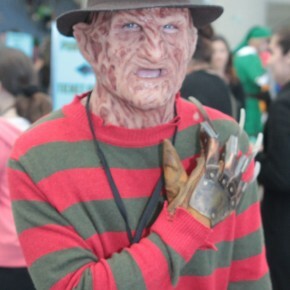 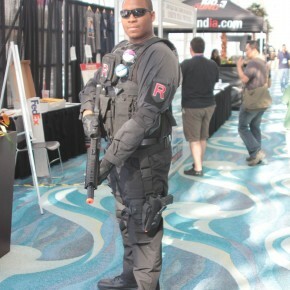 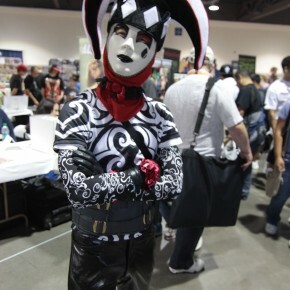 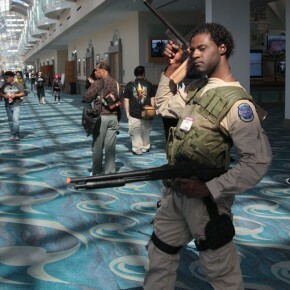 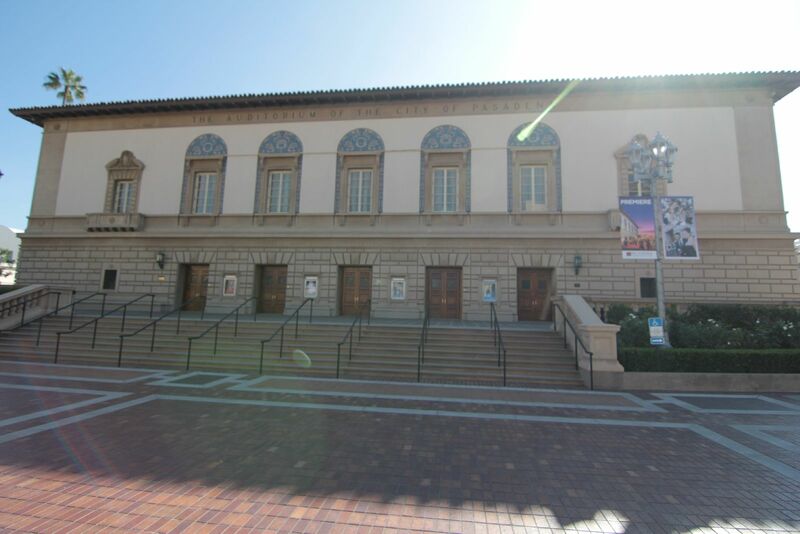 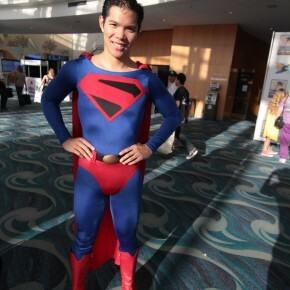 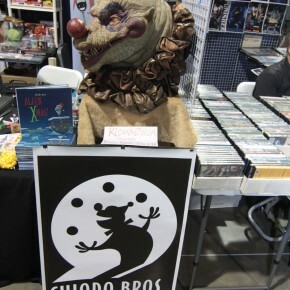 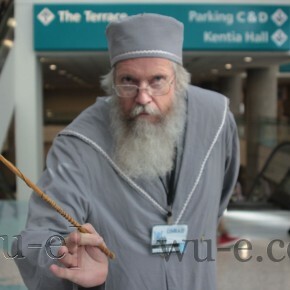 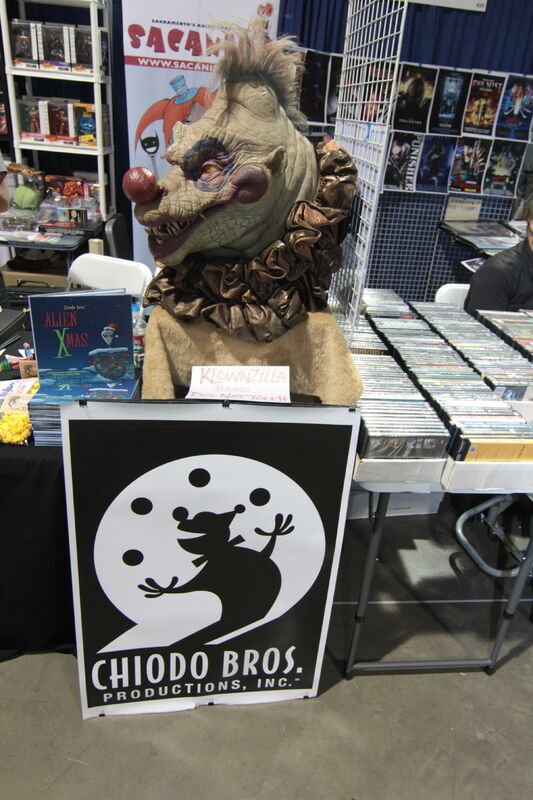 Long Beach Comic and Horror Con 2012 Happens in 15 days! 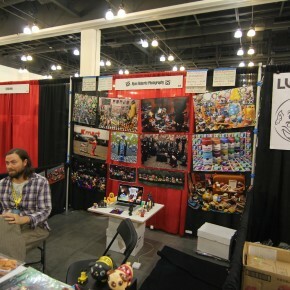 We were there last year. 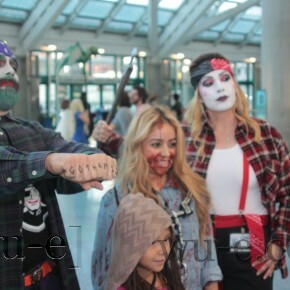 We witnessed the mass zombie walk. 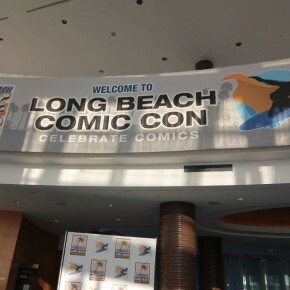 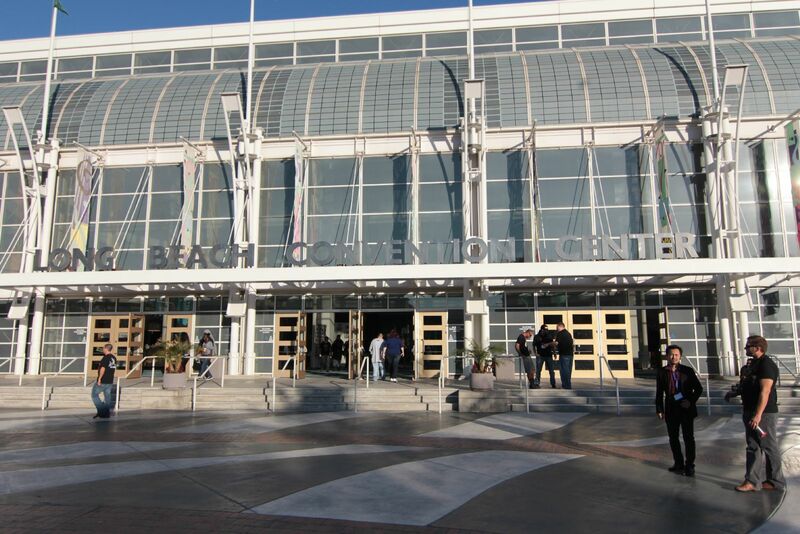 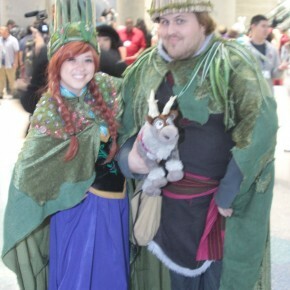 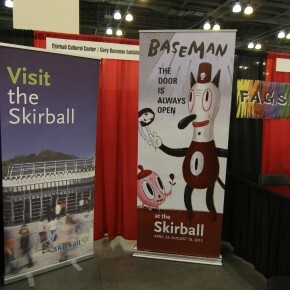 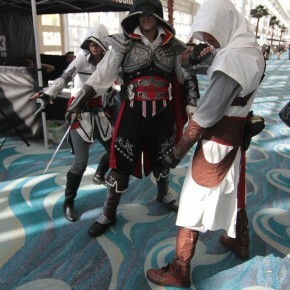 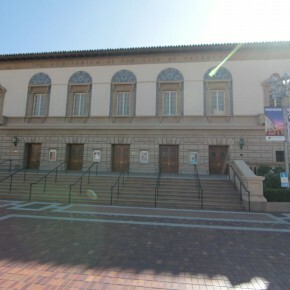 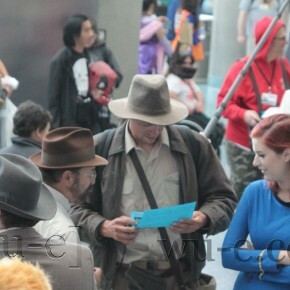 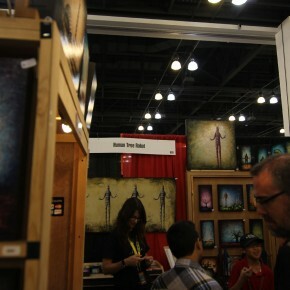 And we shall return here to witness all the happenings of Long Beach Comic and Horror Con 2012. 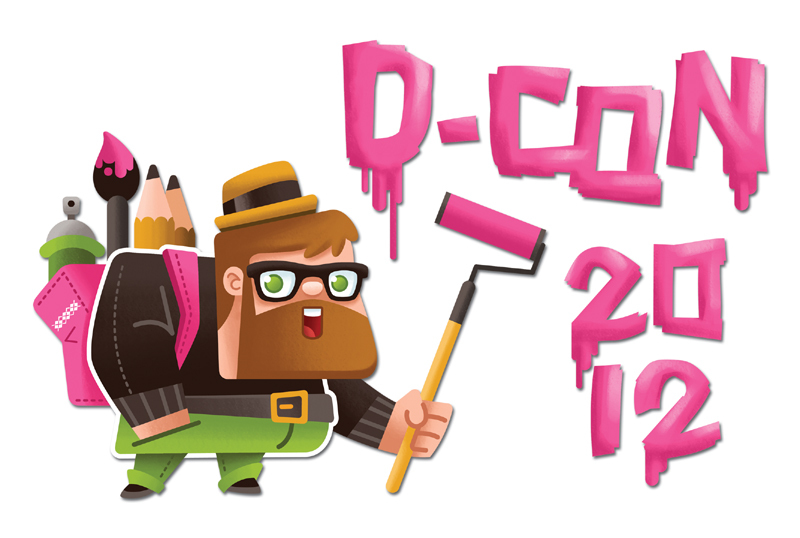 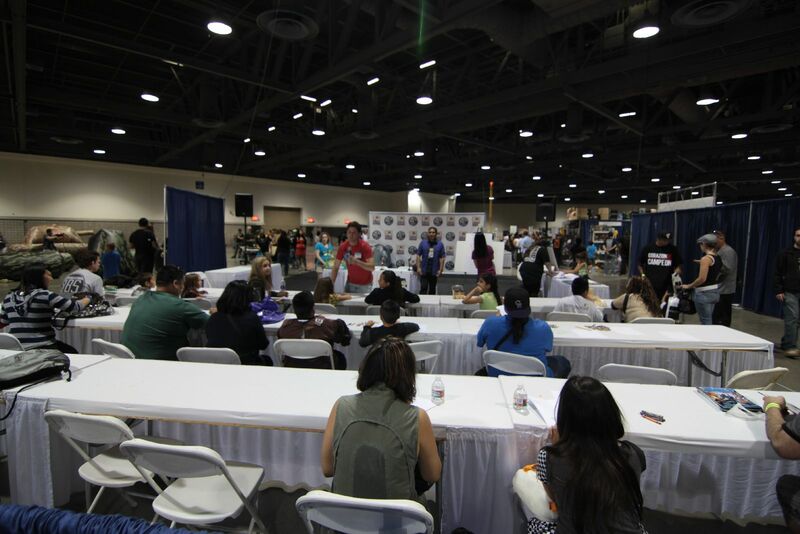 The convention will start November 3 (Saturday) and continue to November 4 (Sunday). 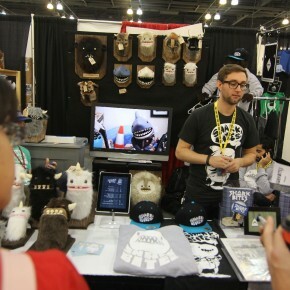 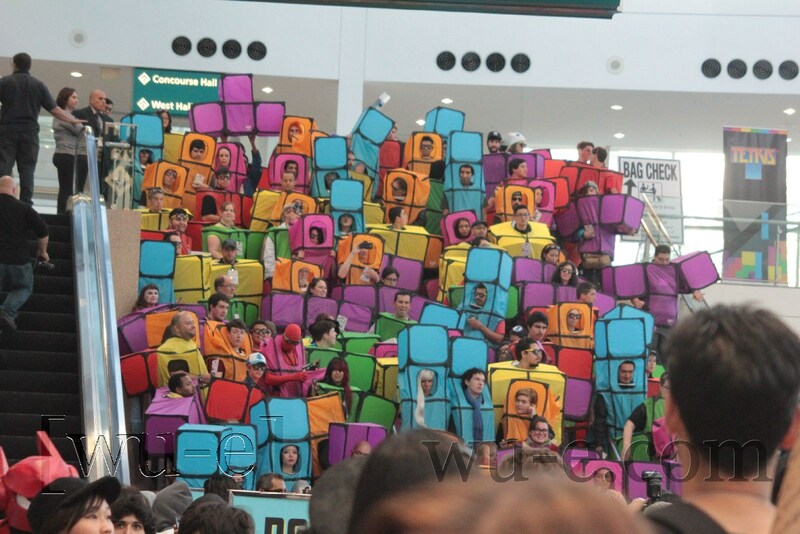 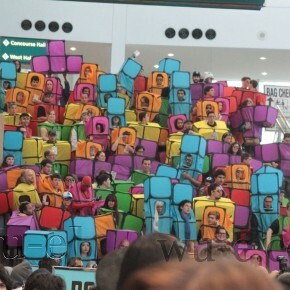 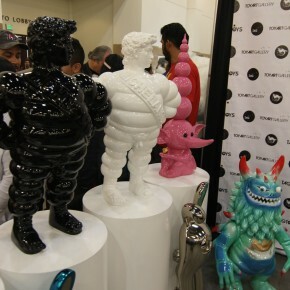 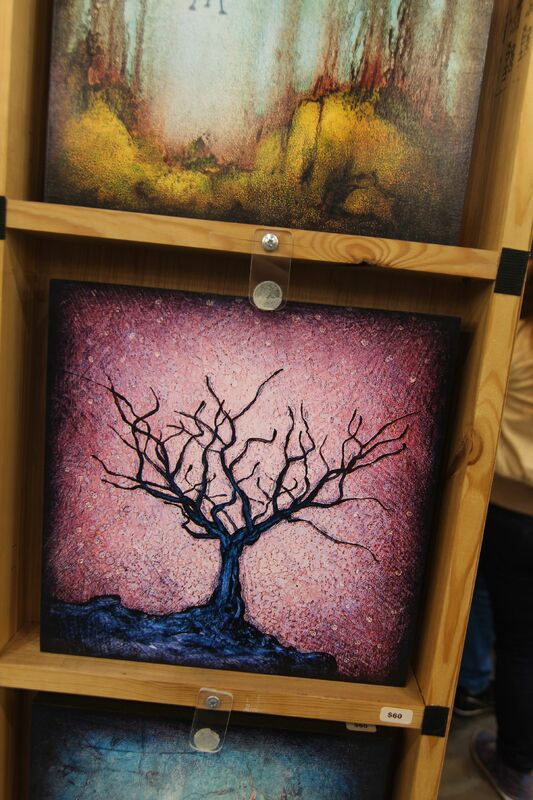 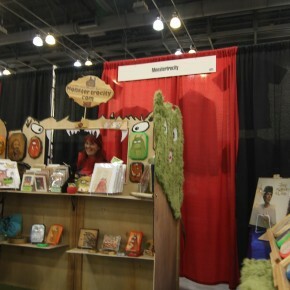 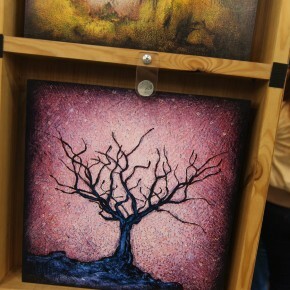 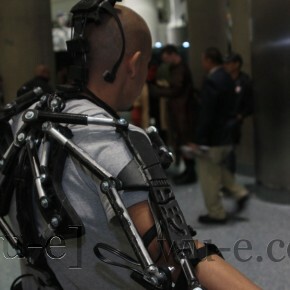 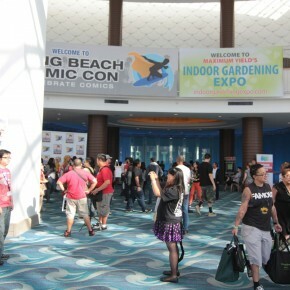 This year they are projecting over 10,000 unique attendees (not including exhibitors, press or professionals). 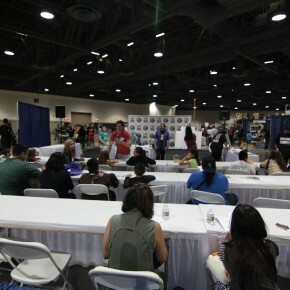 Some of the planned panels include SaveTheSupers.com cast & crew Q&A, Raw Entertainment, IDW, Aspen Comics, Web Comics, Focus on Young Adult Book Writers, Robotech, intensive training seminars hosted by industry veterans and icons, general how-to tutorials and more. 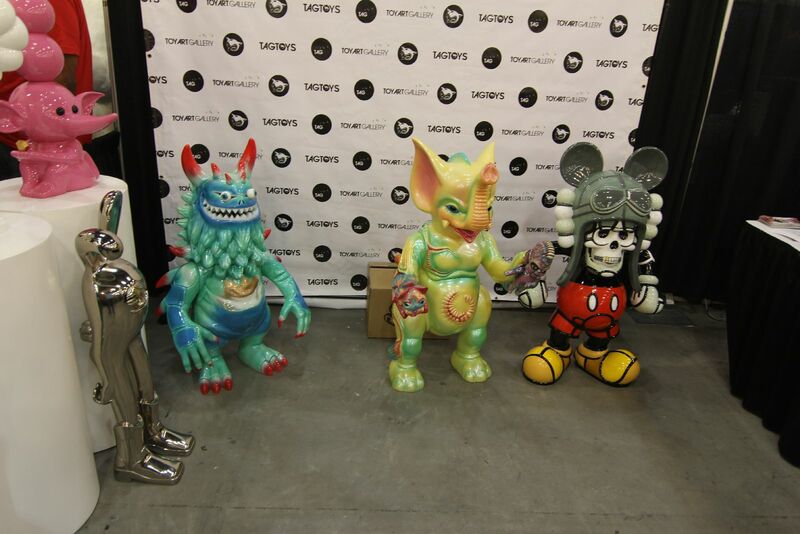 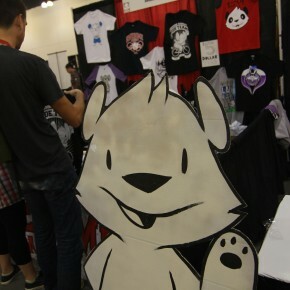 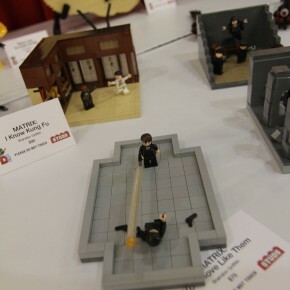 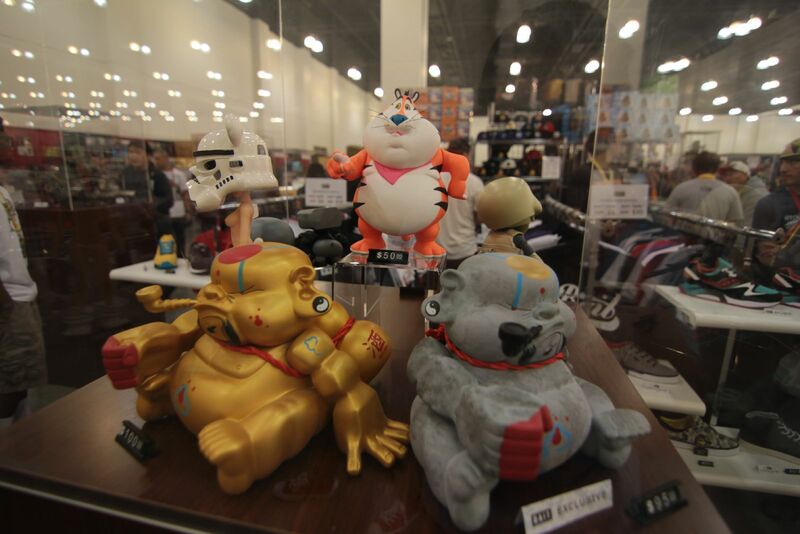 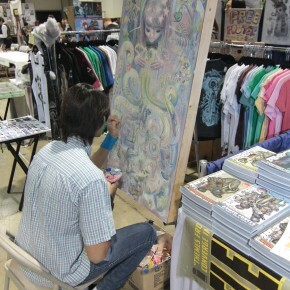 Exhibitors & sponsors include IDW, SGX Media, Mysterious Galaxy, Boom! 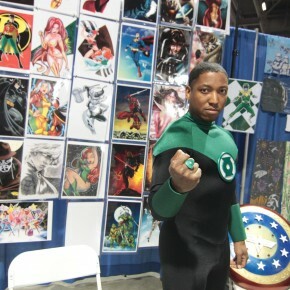 Studios, CGC Comic Grading Service, Aspen Comics, Copic Marker, Hero Initiative, Raw Entertainment, ComiXology, ReadyComics.com, Prism, Dig Deep Entertainment, ComicsPro, Triptych Books, Comicraft, Big Wow Comic Fest and more. 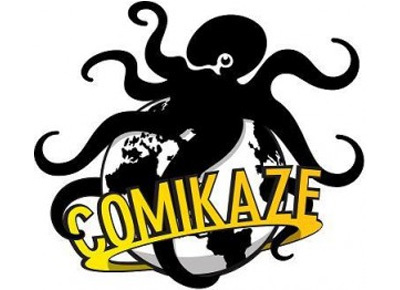 Their confirmed guests include Howard Chaykin, Mike Mignola, David Finch, Steve Niles, Batton Lash, Amanda Conner, Olga Ulanova, Len Wein, Thomas Jane, Richard Starkings, Jimmy Palmiotti, Dustin Nguyen, Tim Bradstreet, William Stout, Bernard Chang and more. 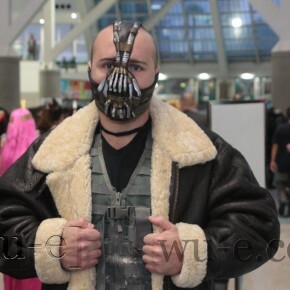 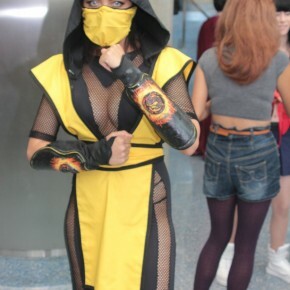 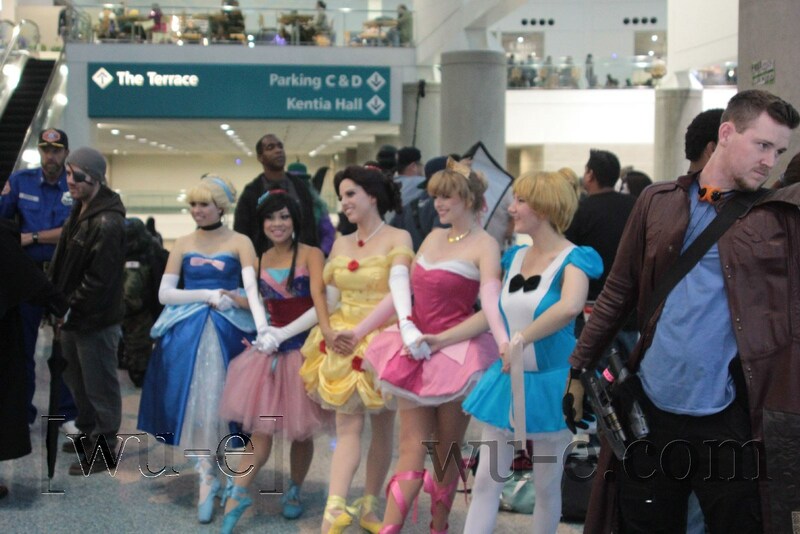 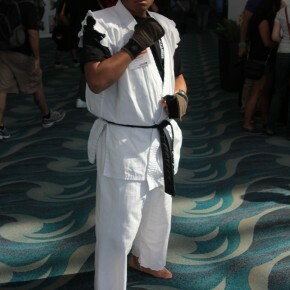 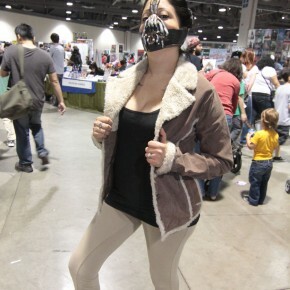 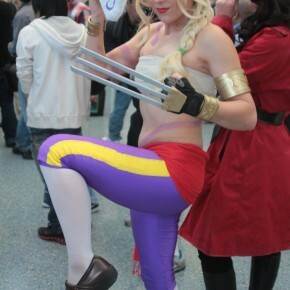 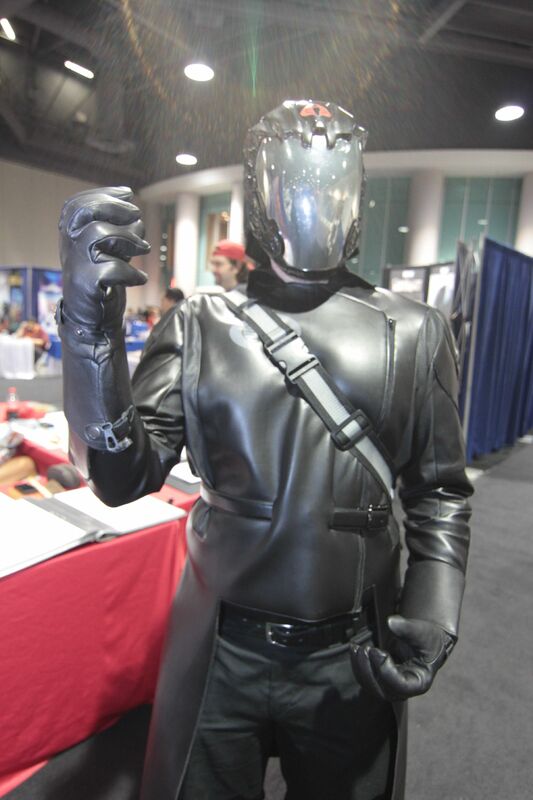 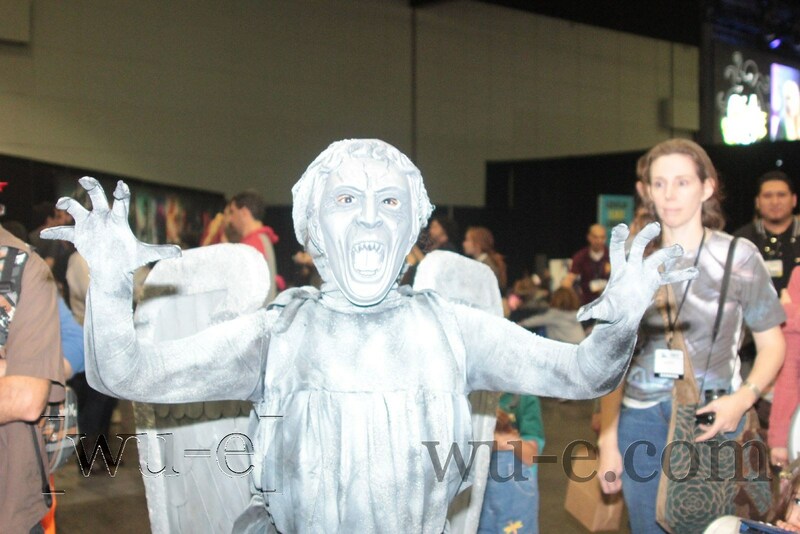 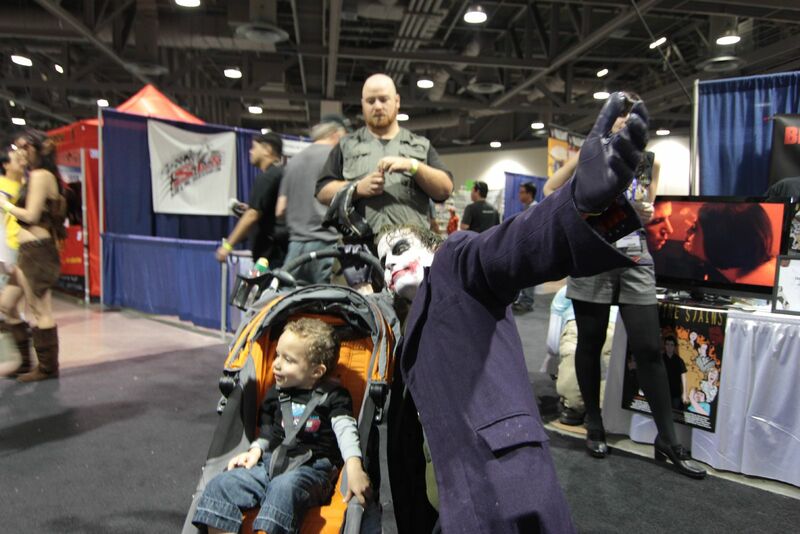 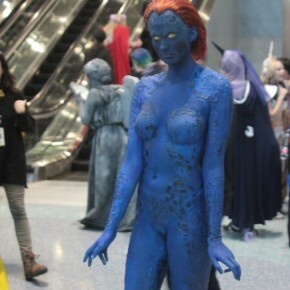 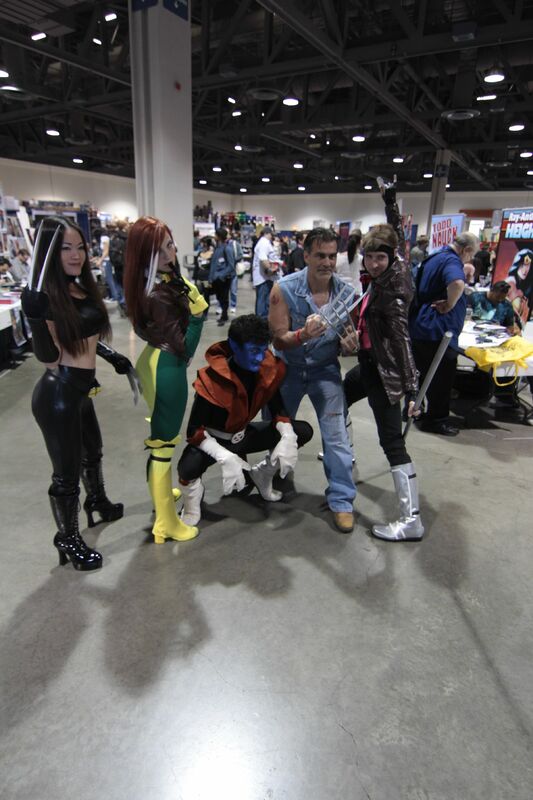 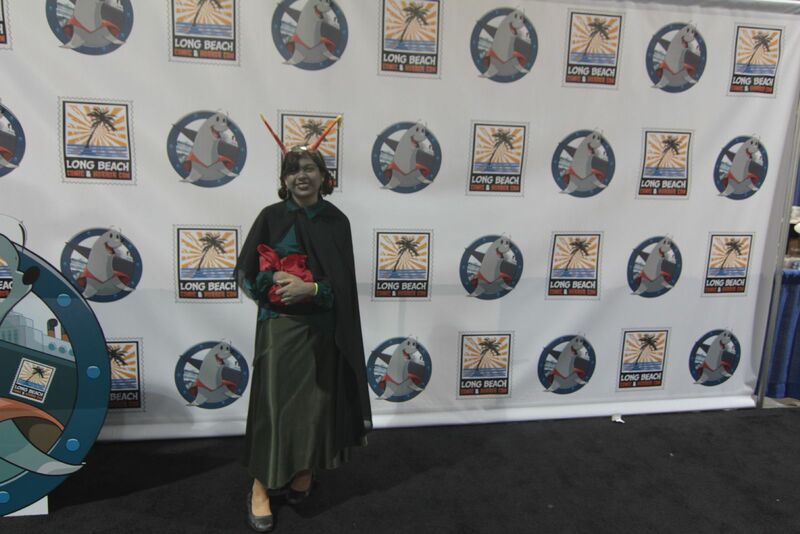 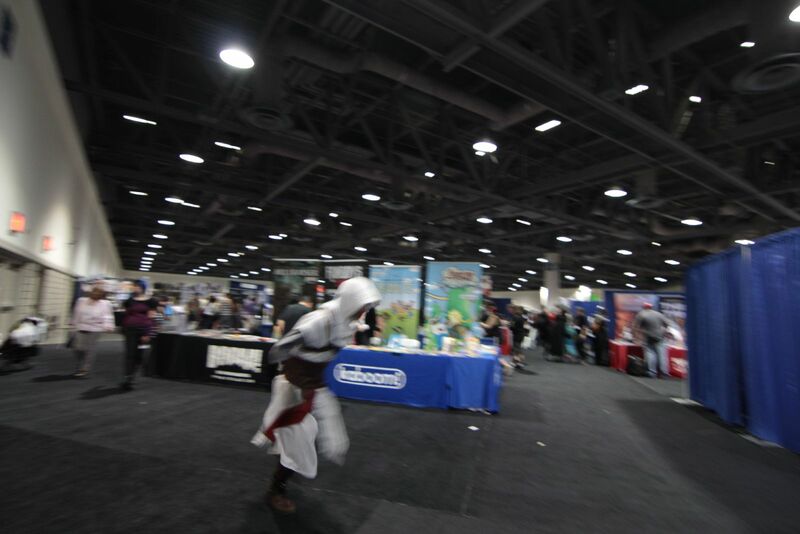 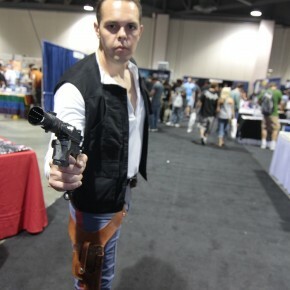 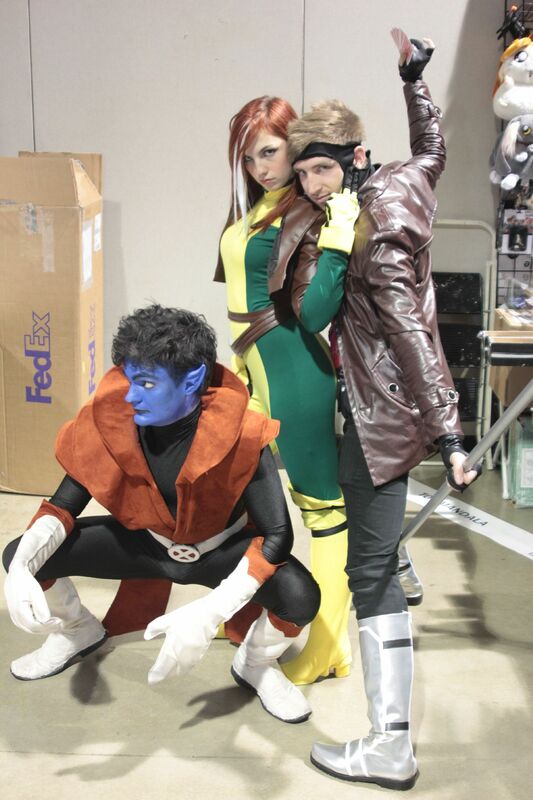 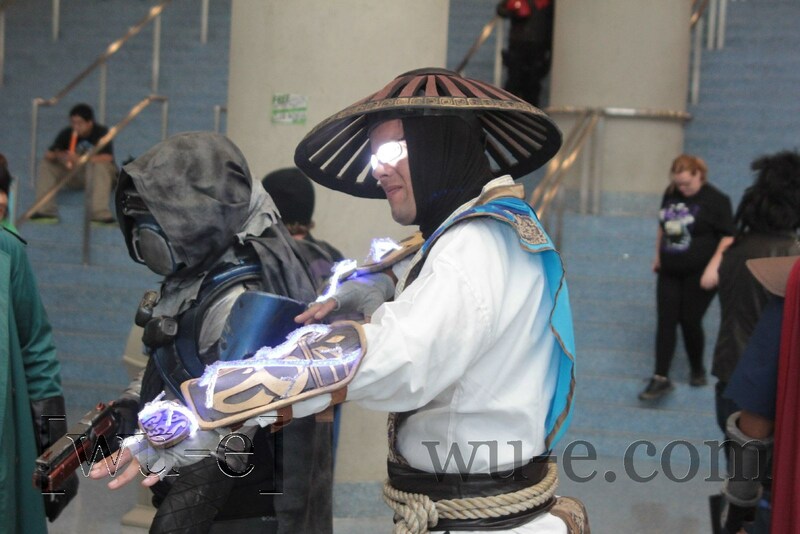 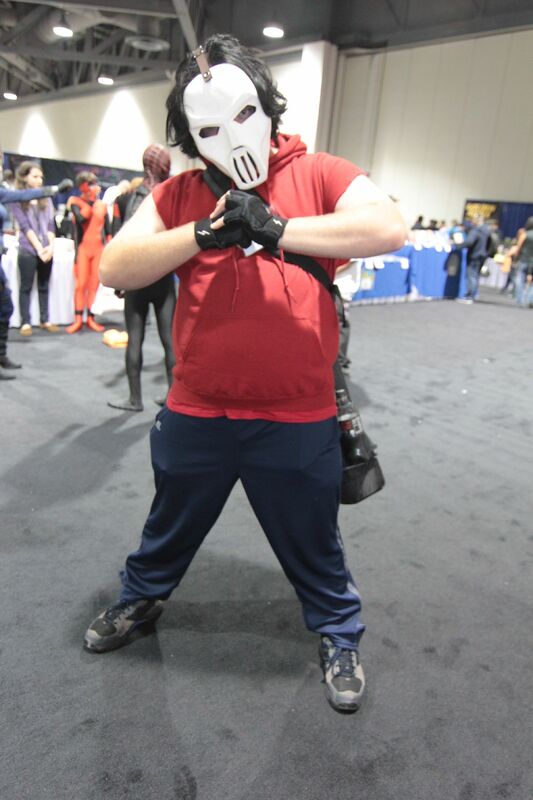 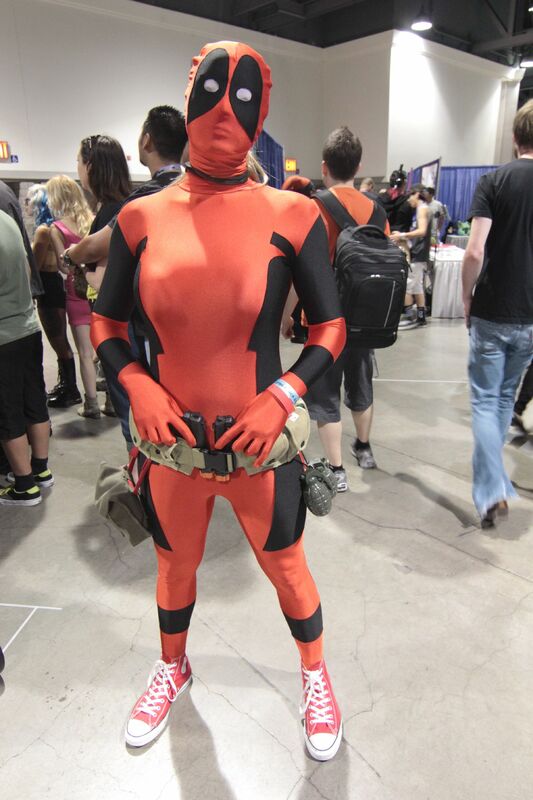 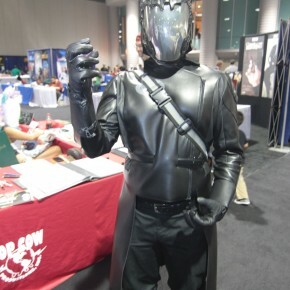 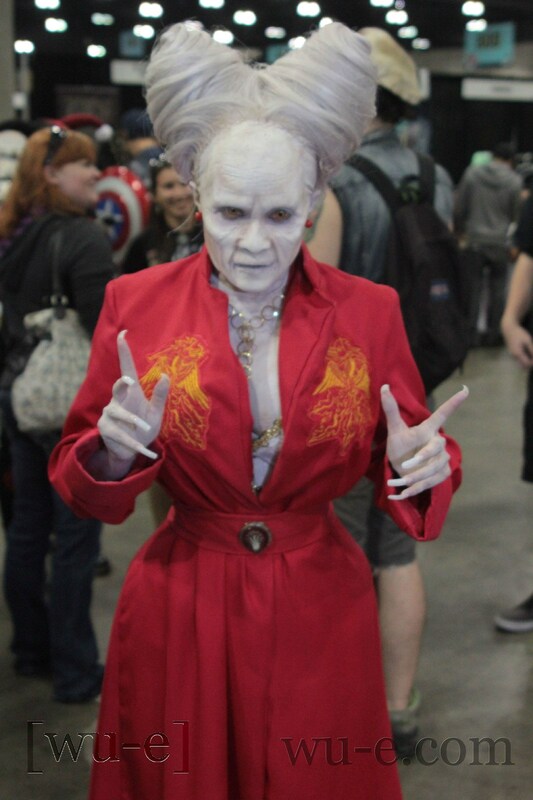 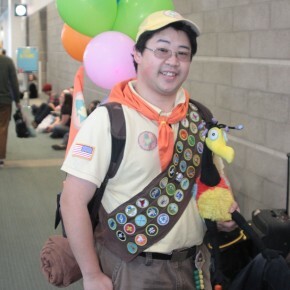 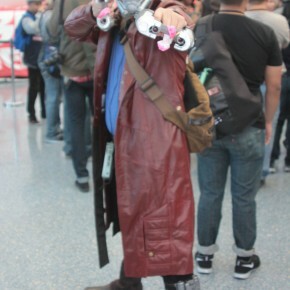 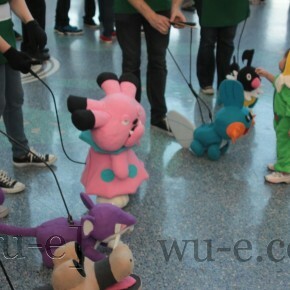 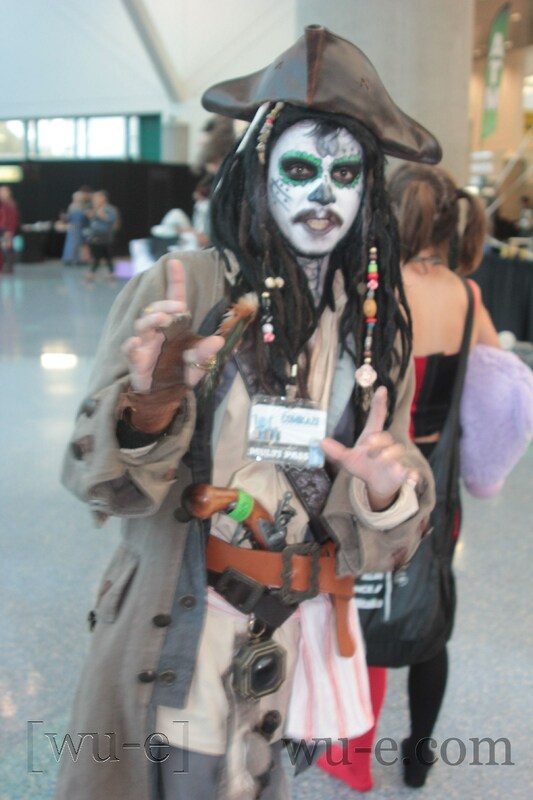 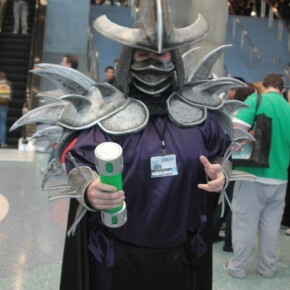 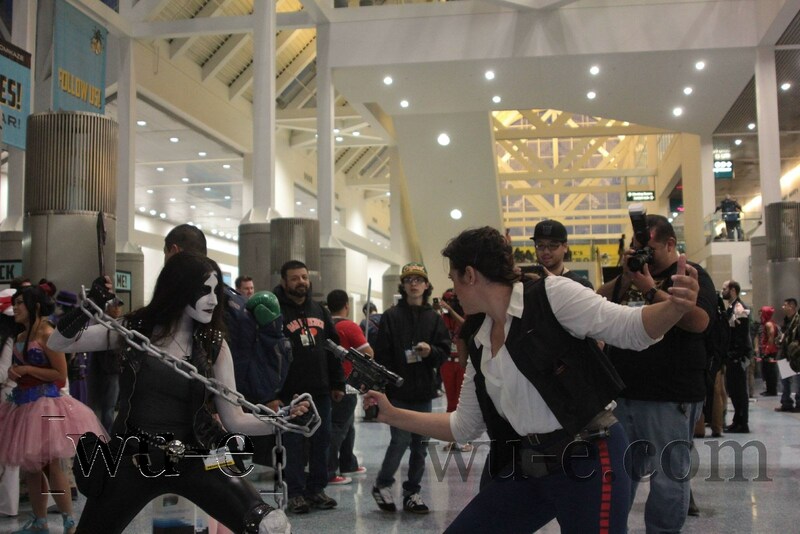 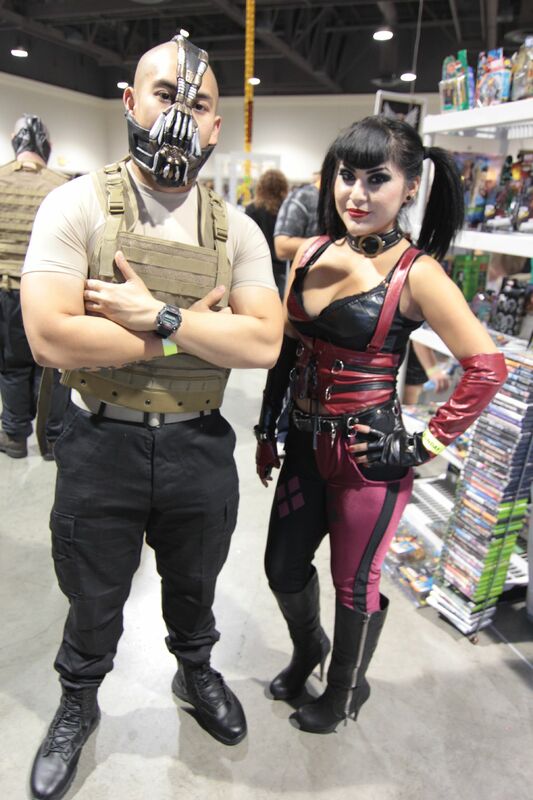 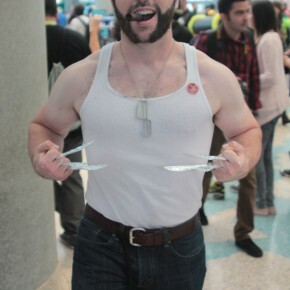 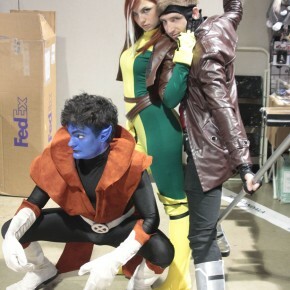 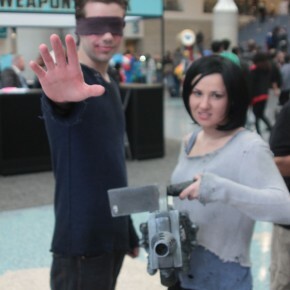 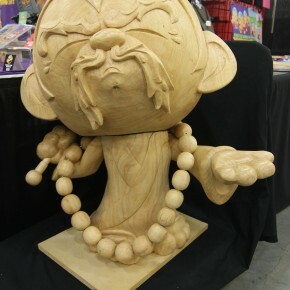 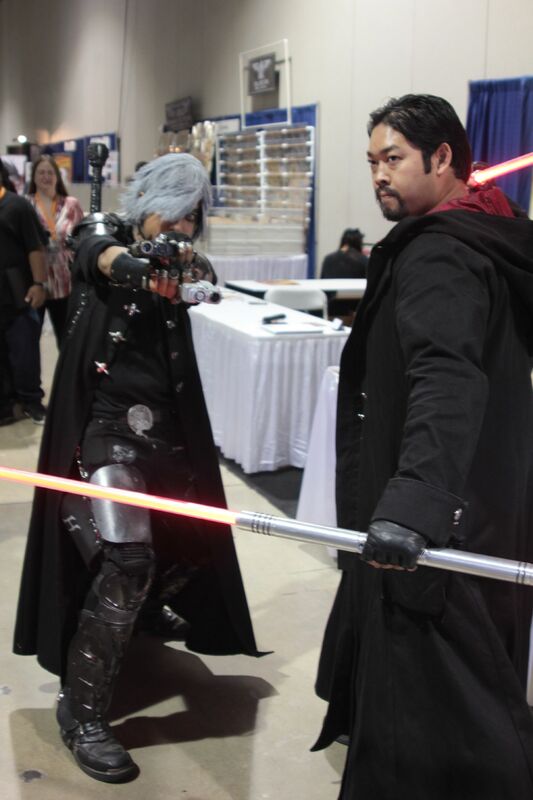 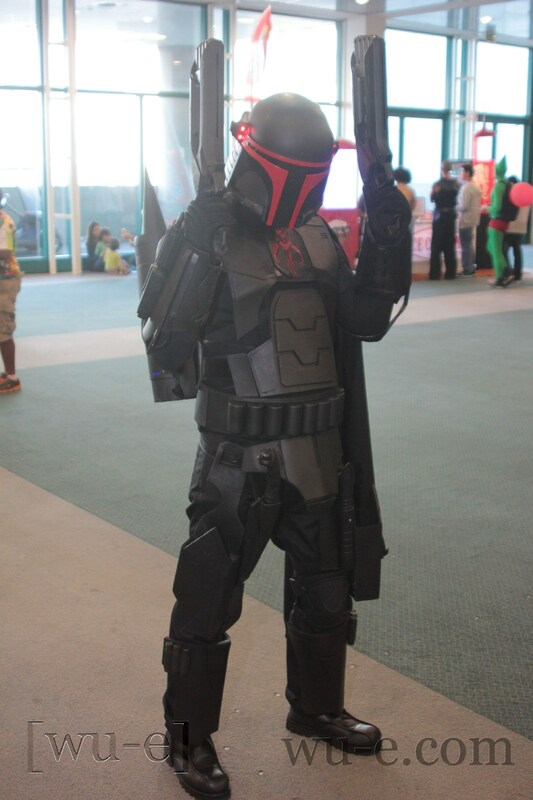 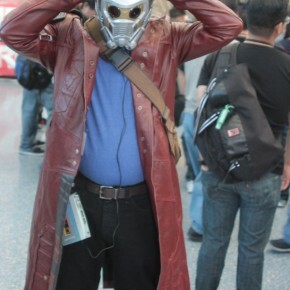 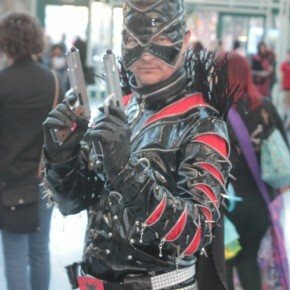 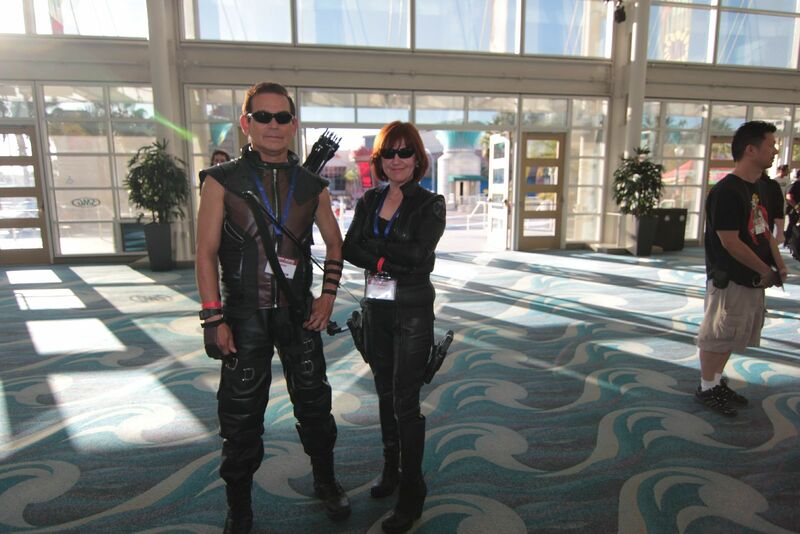 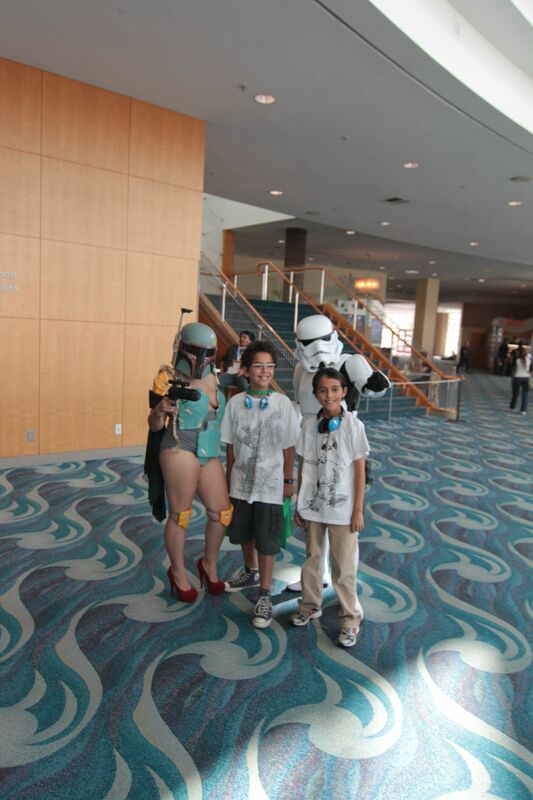 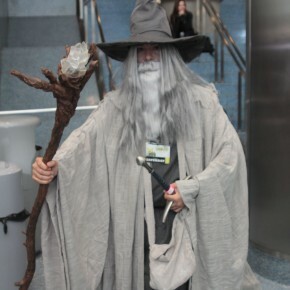 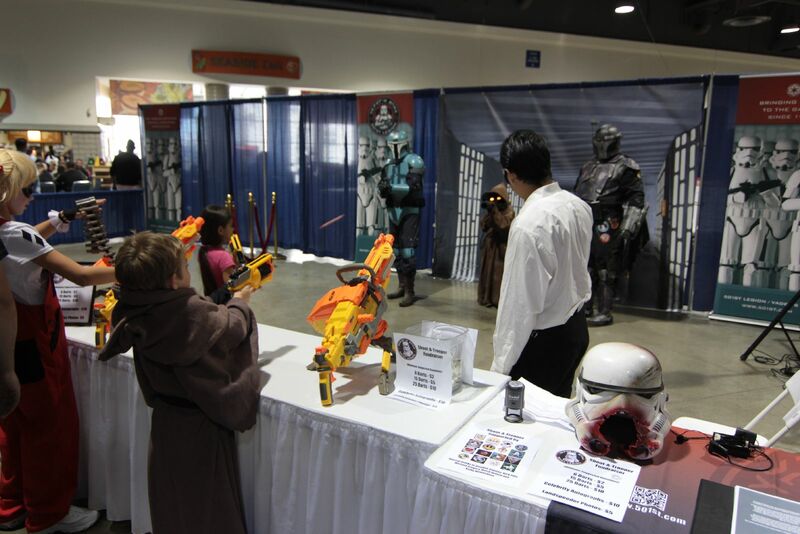 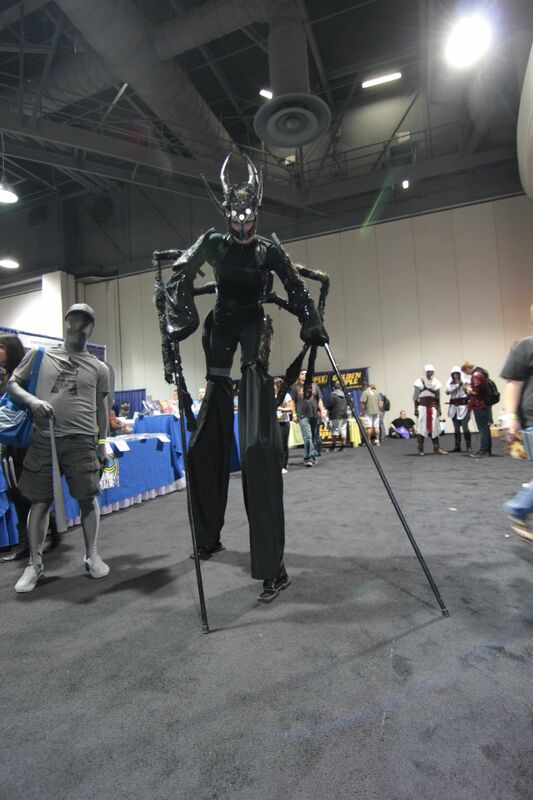 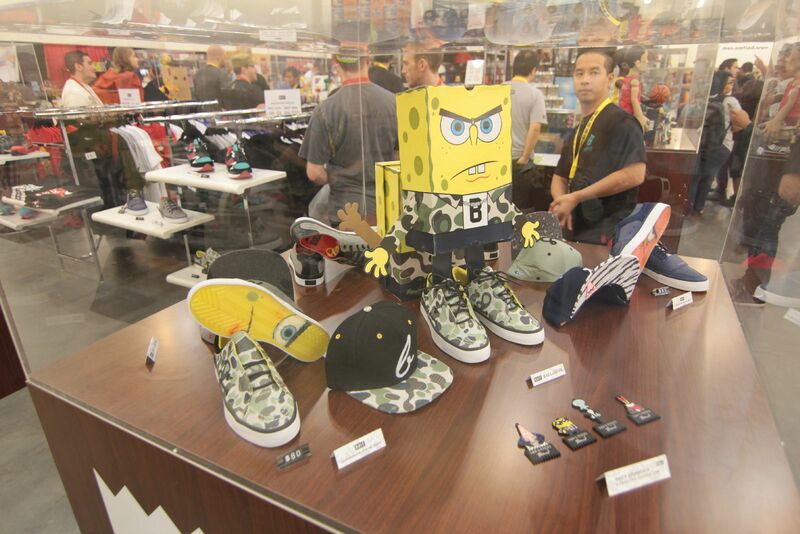 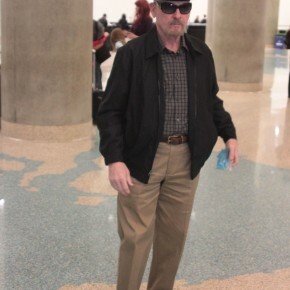 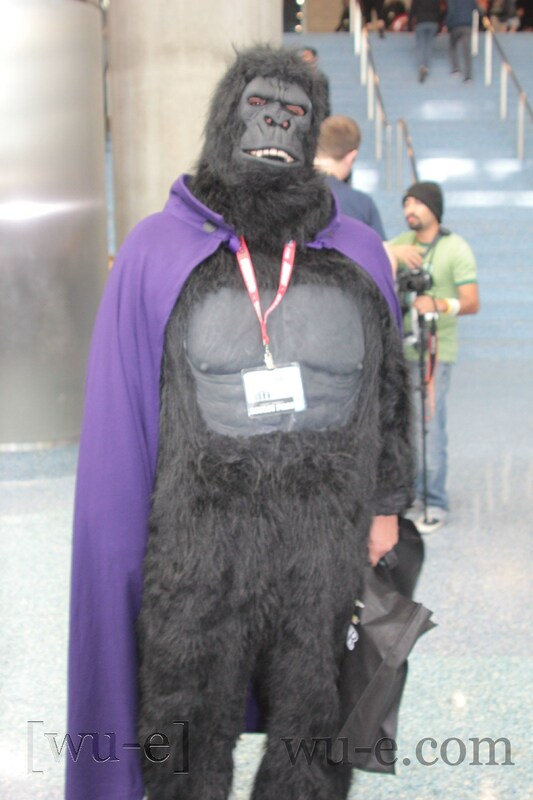 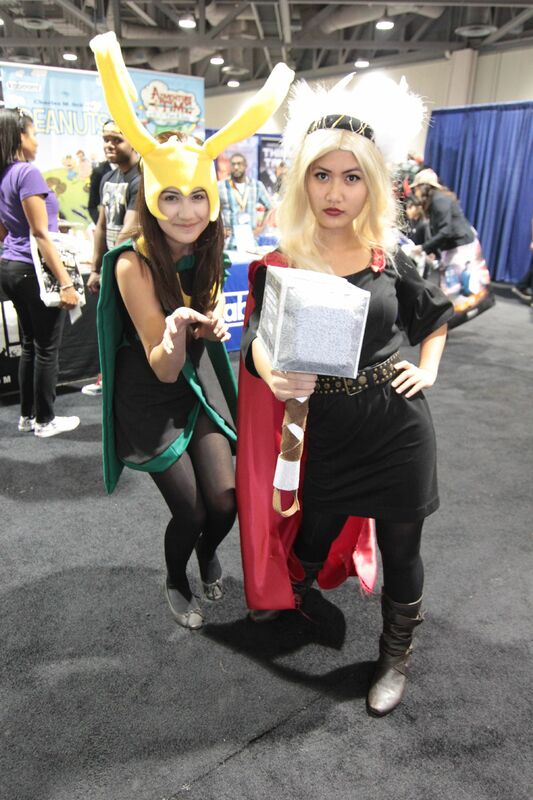 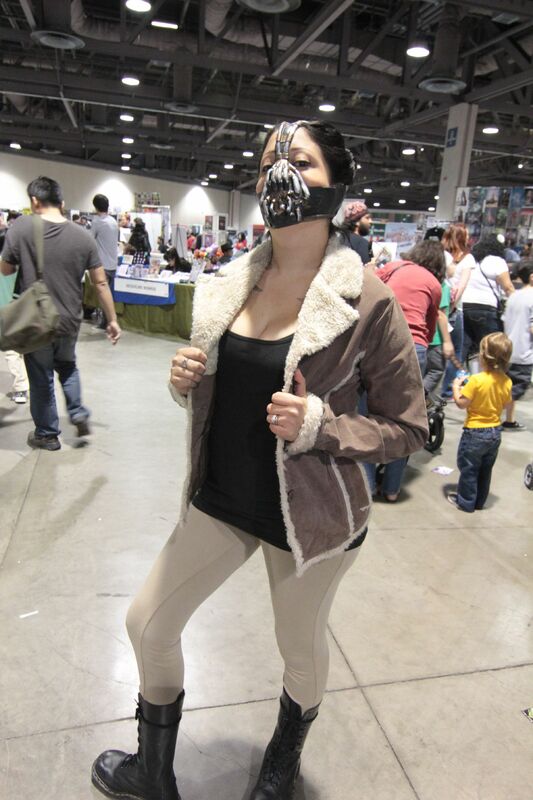 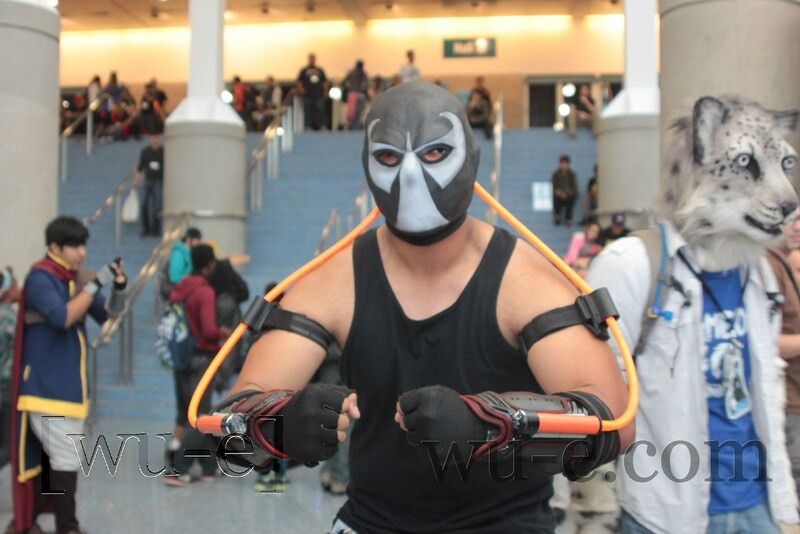 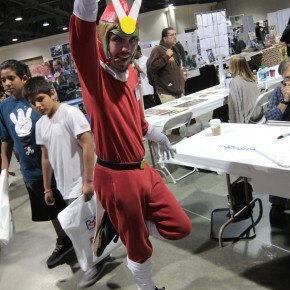 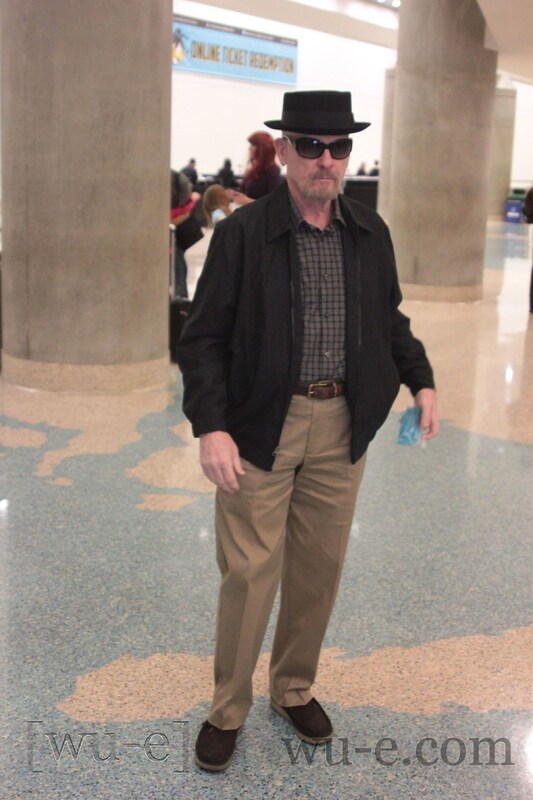 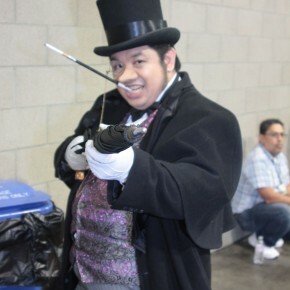 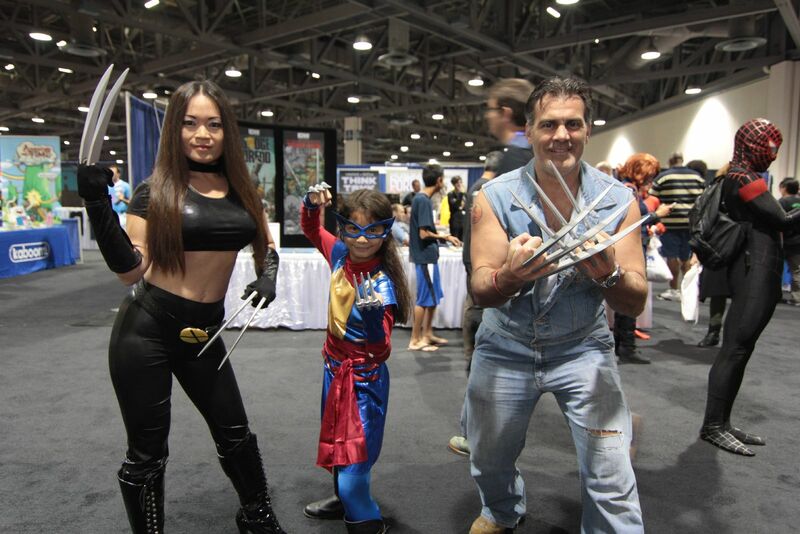 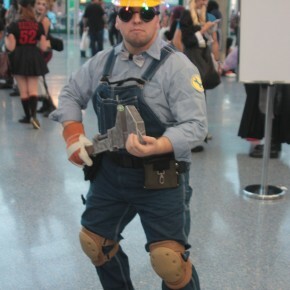 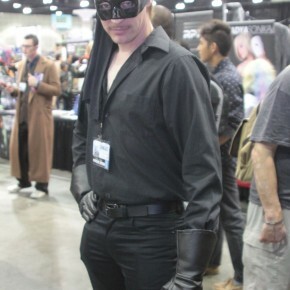 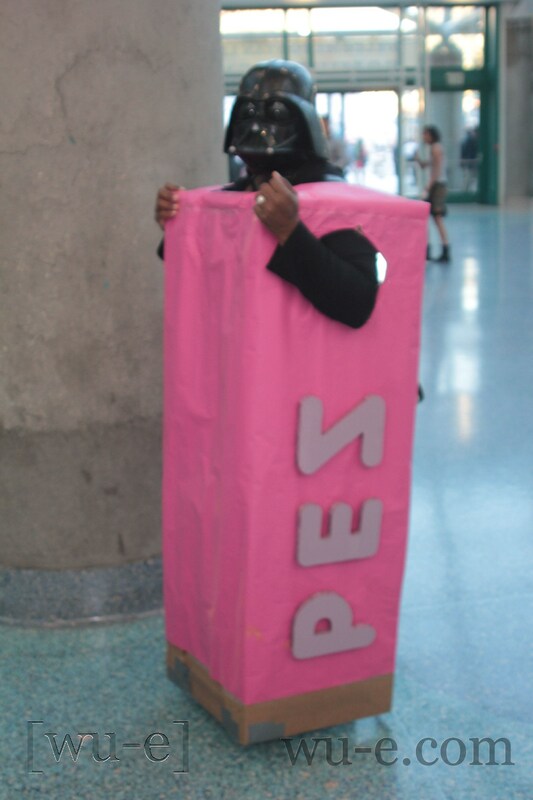 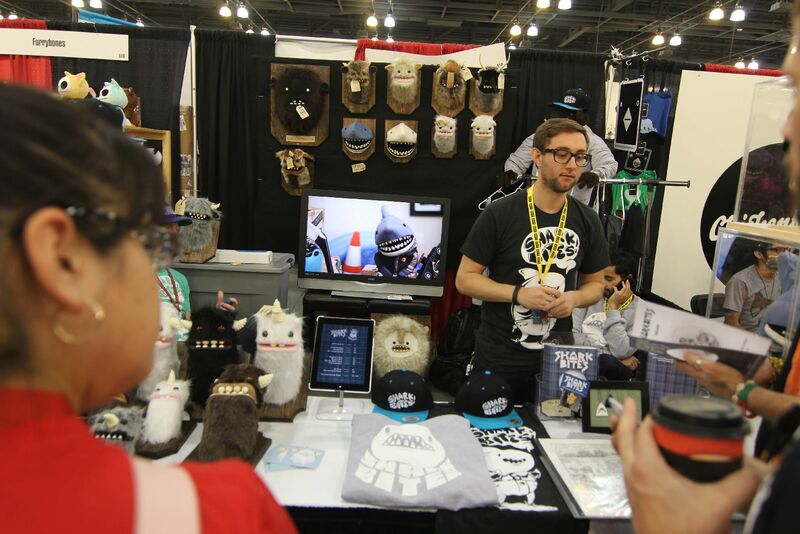 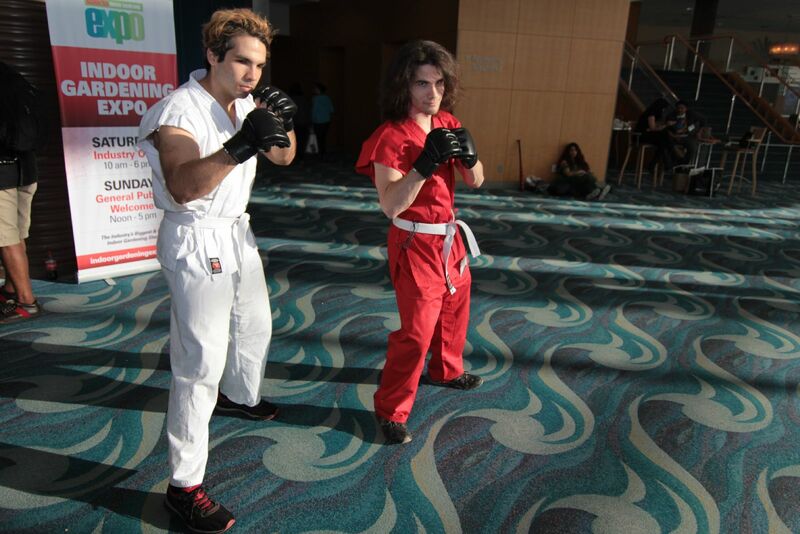 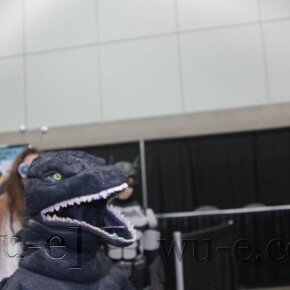 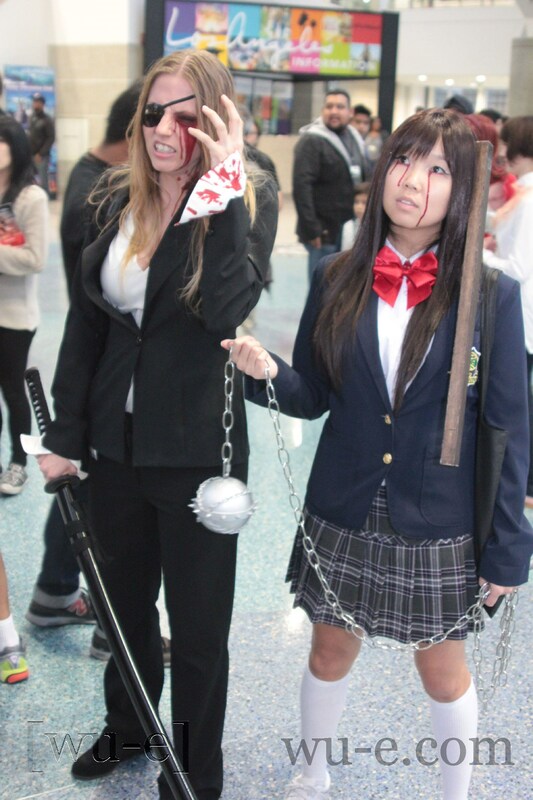 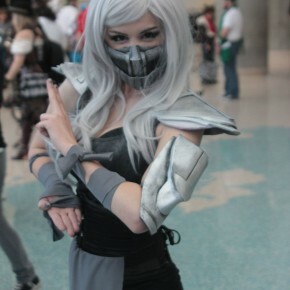 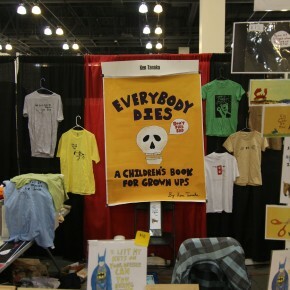 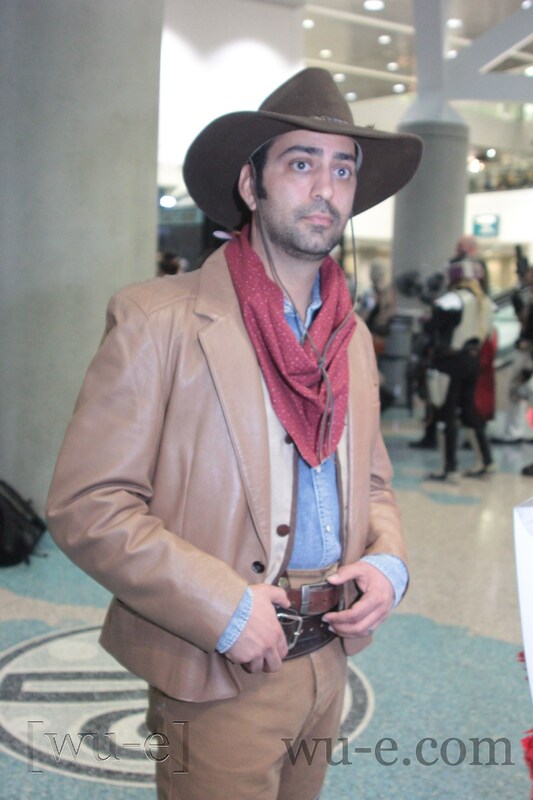 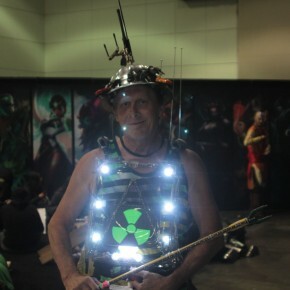 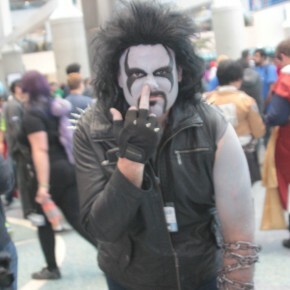 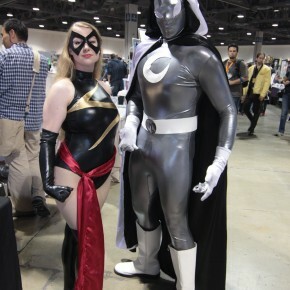 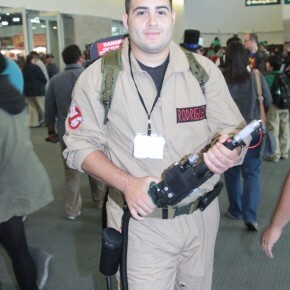 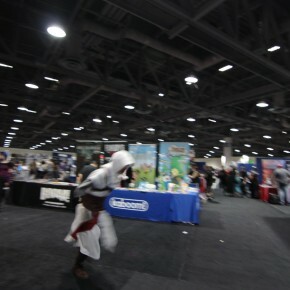 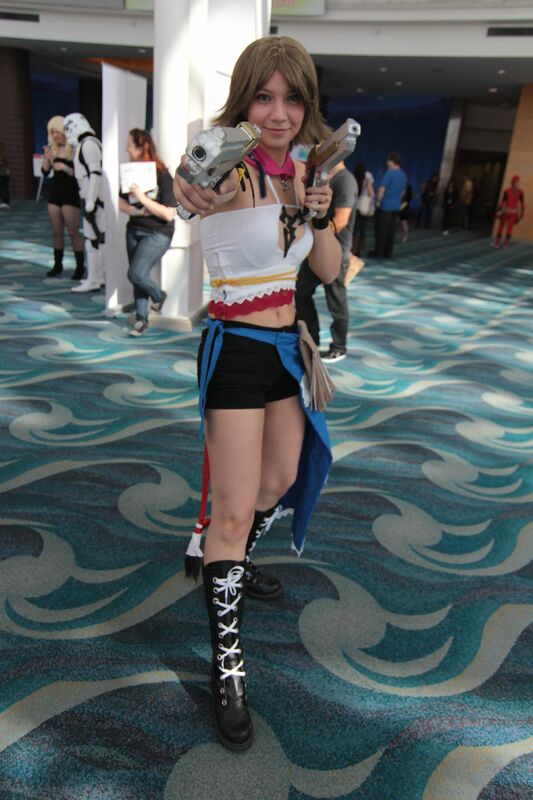 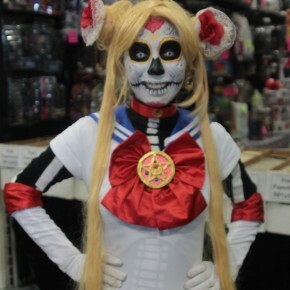 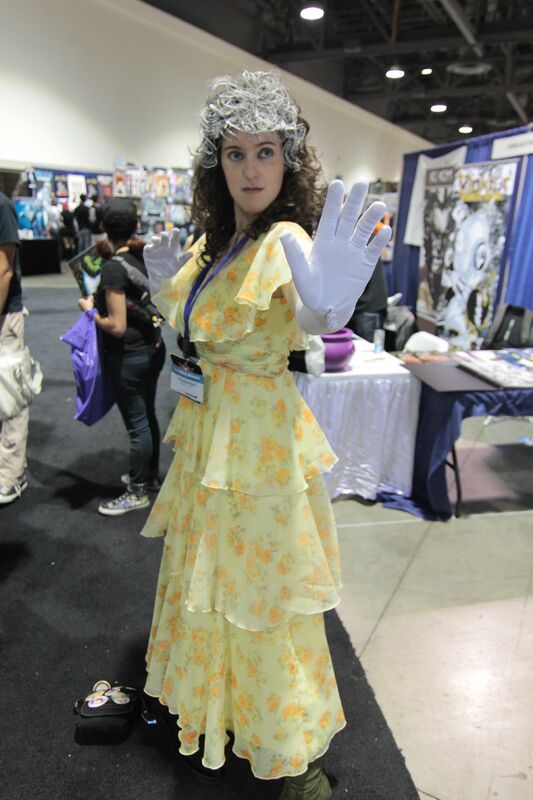 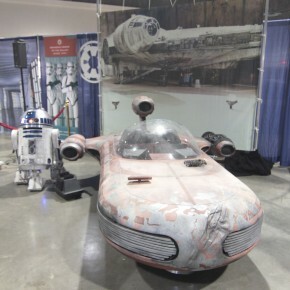 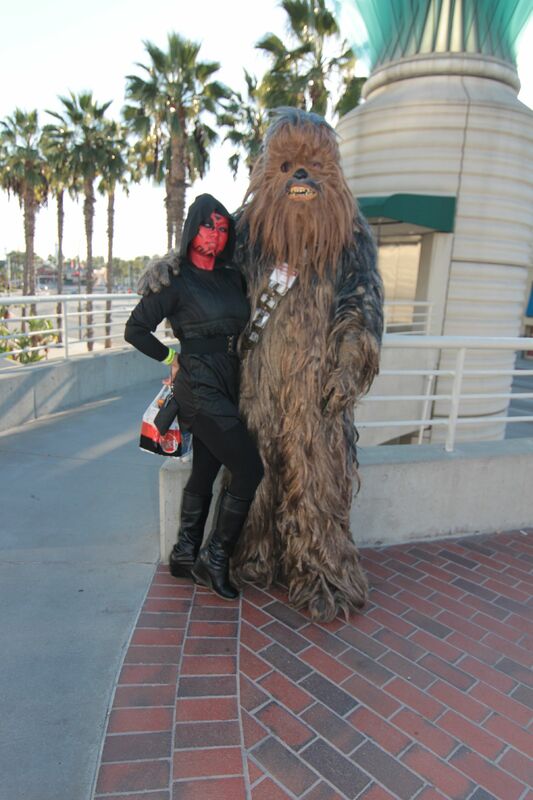 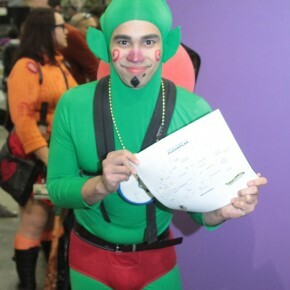 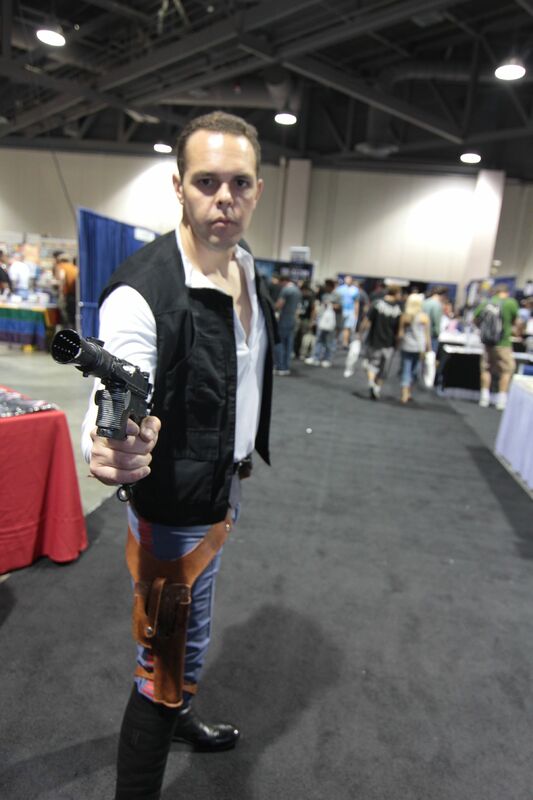 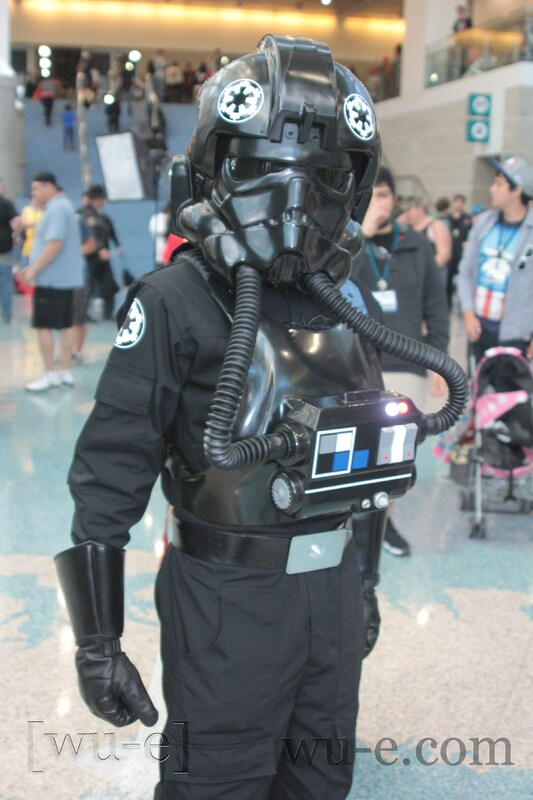 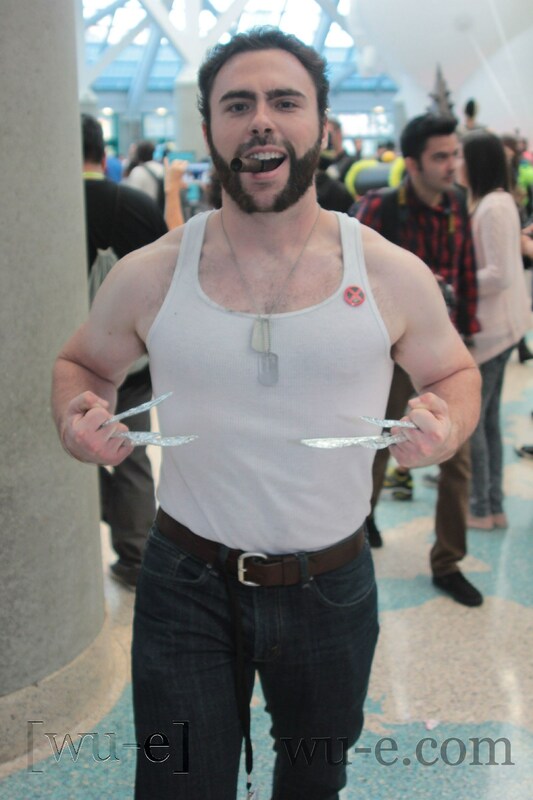 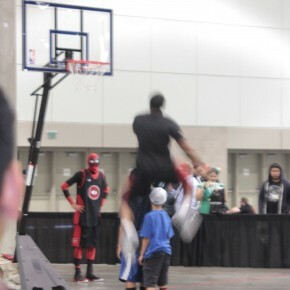 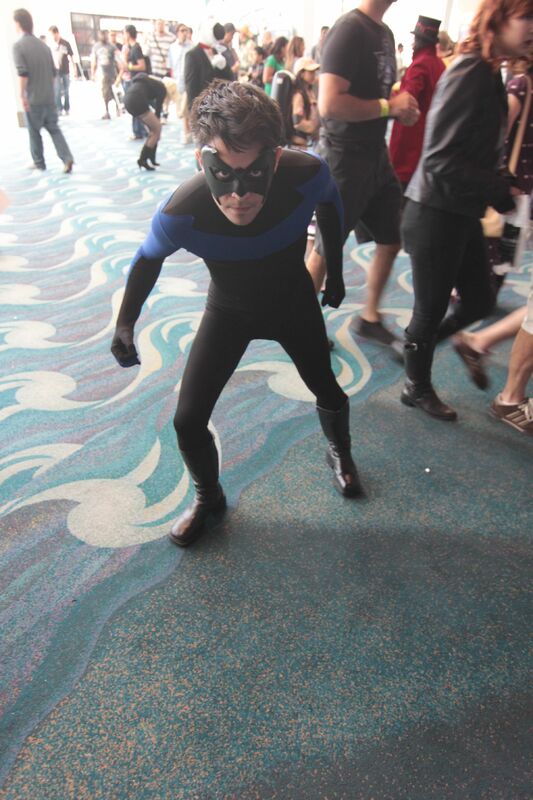 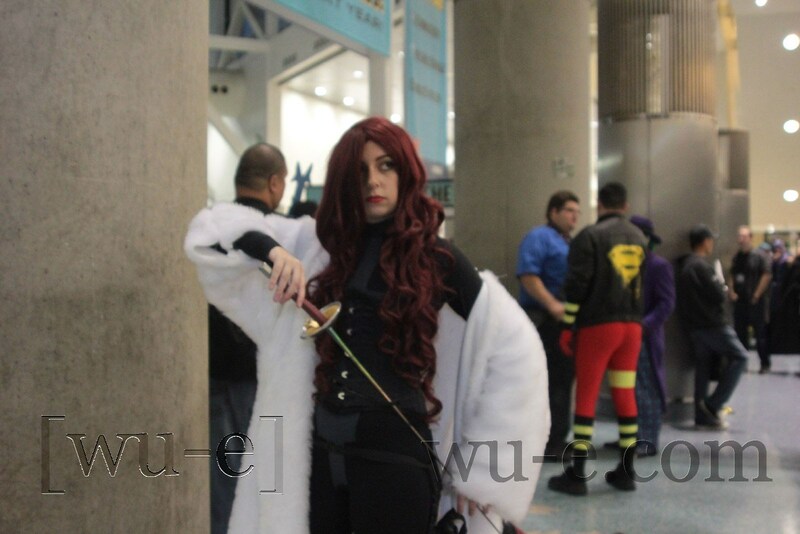 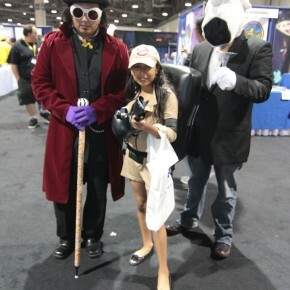 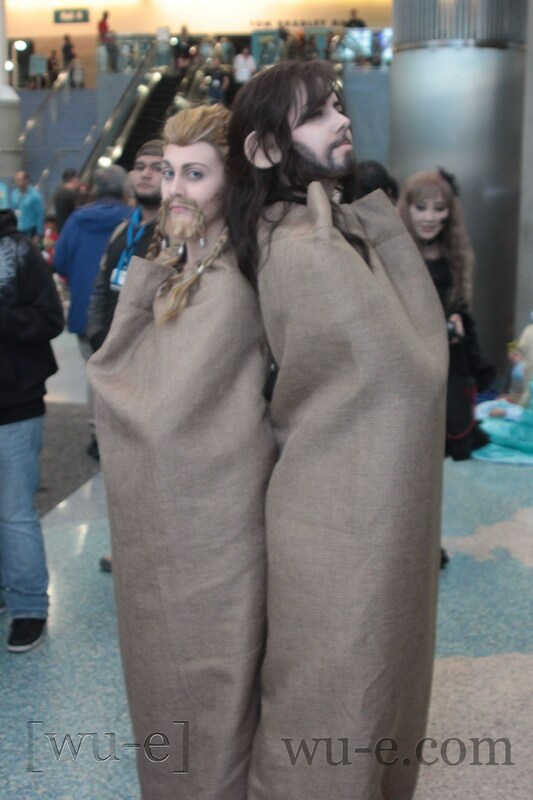 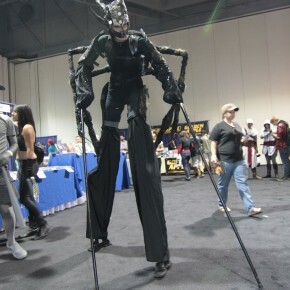 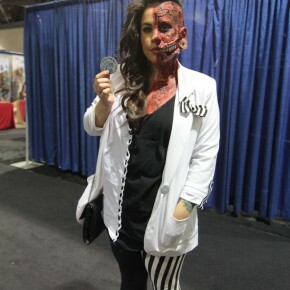 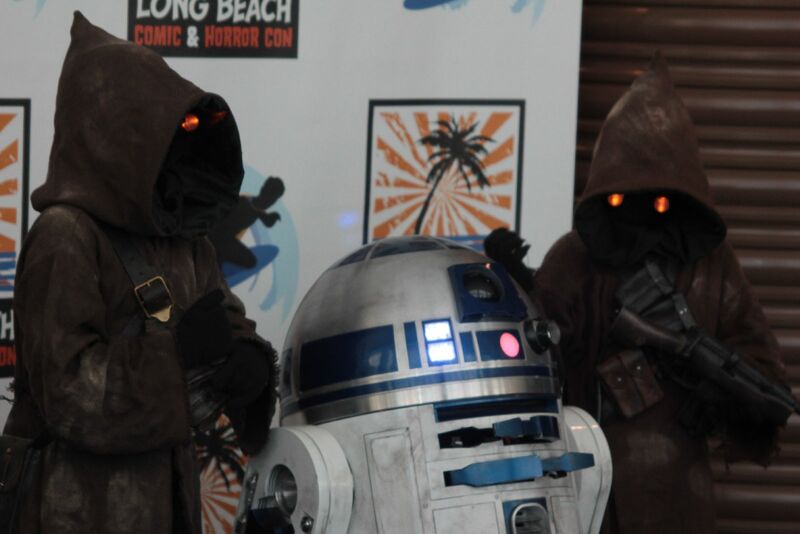 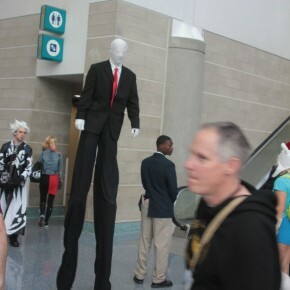 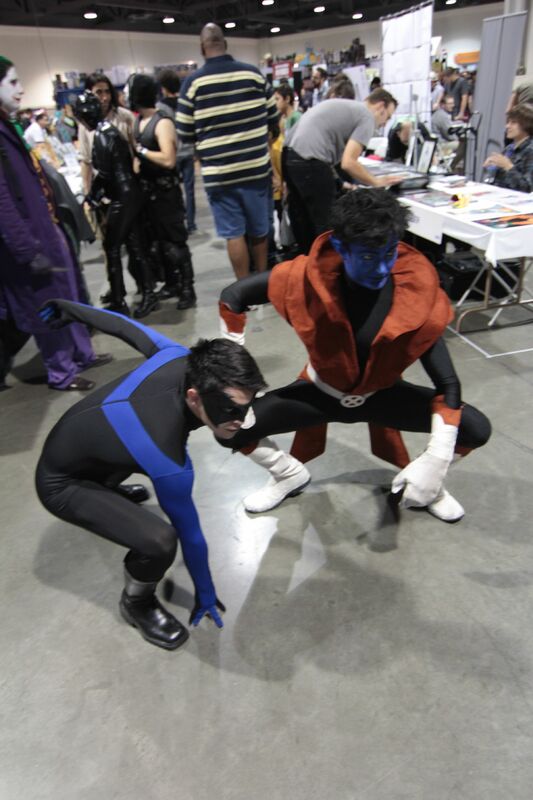 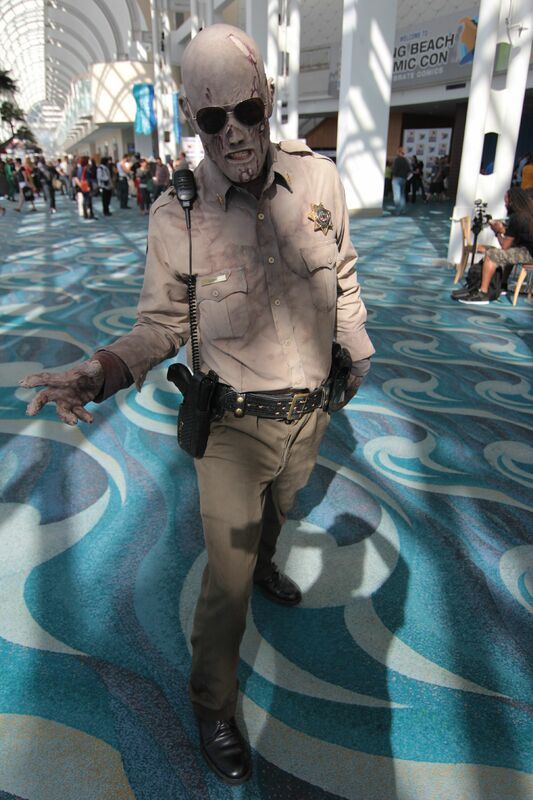 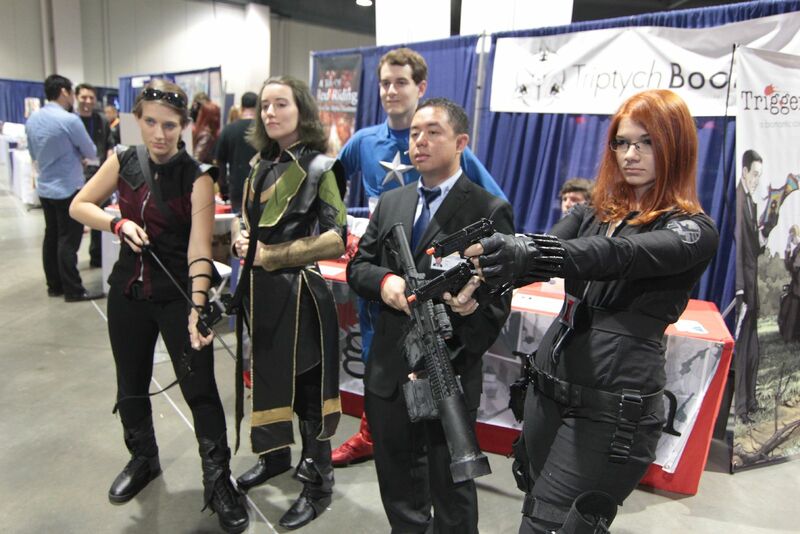 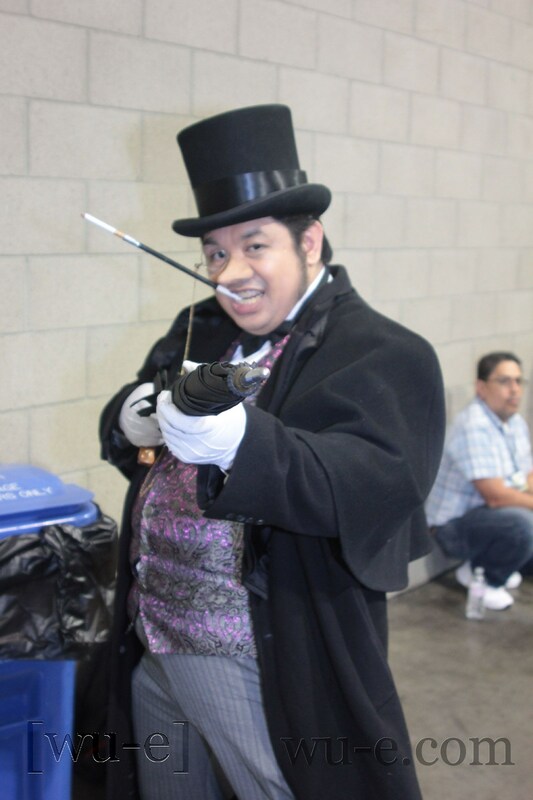 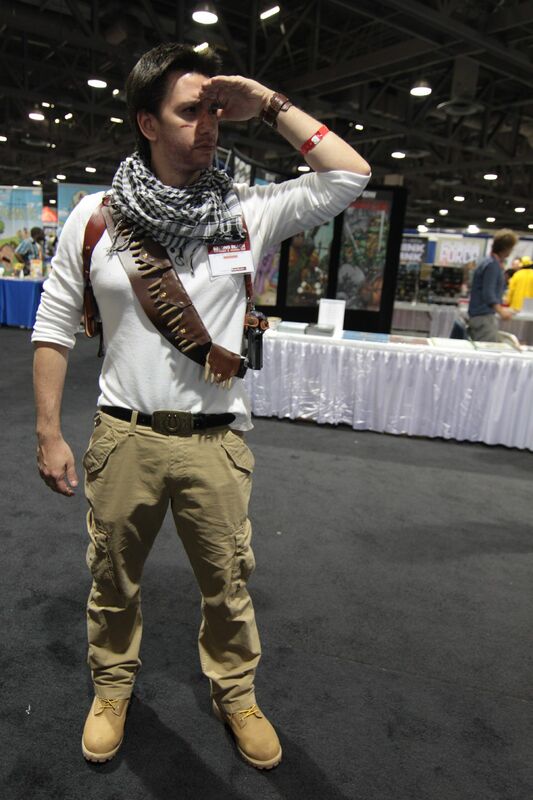 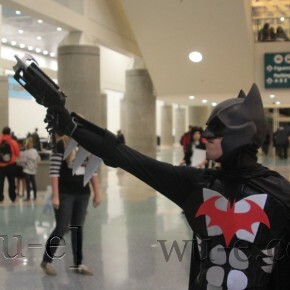 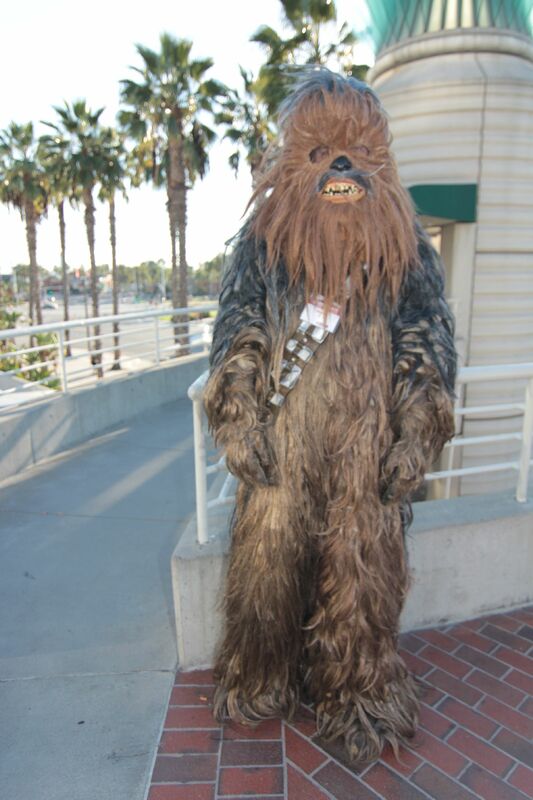 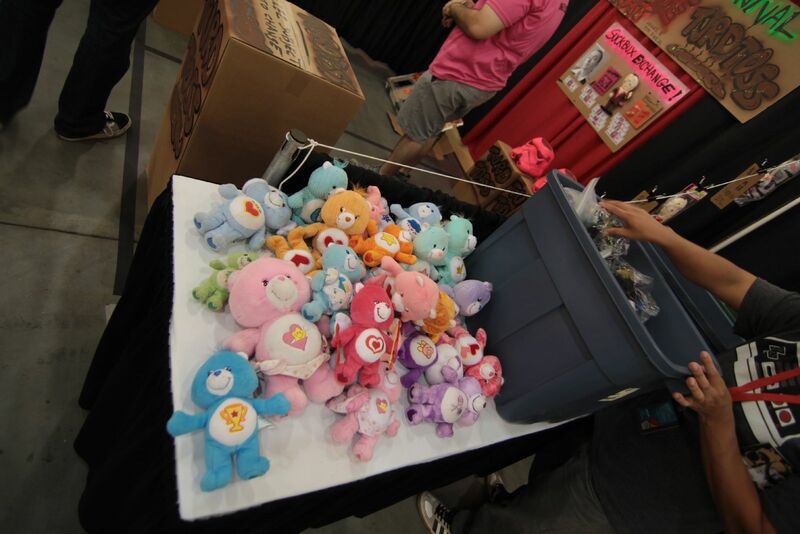 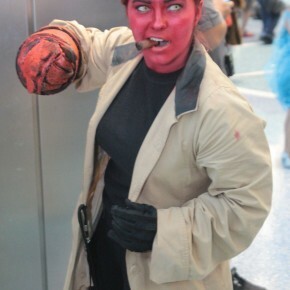 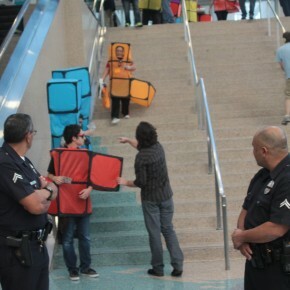 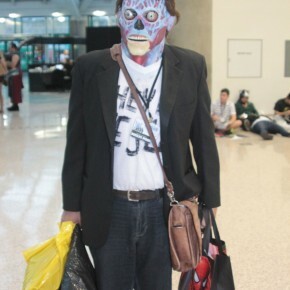 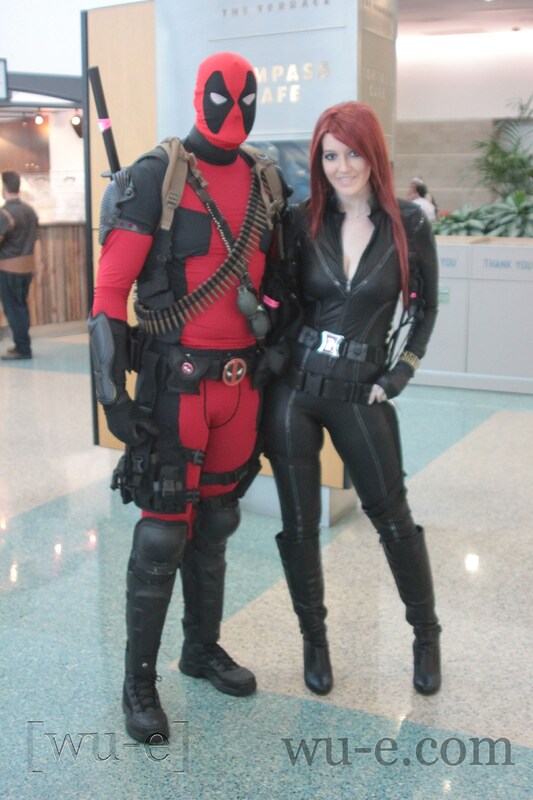 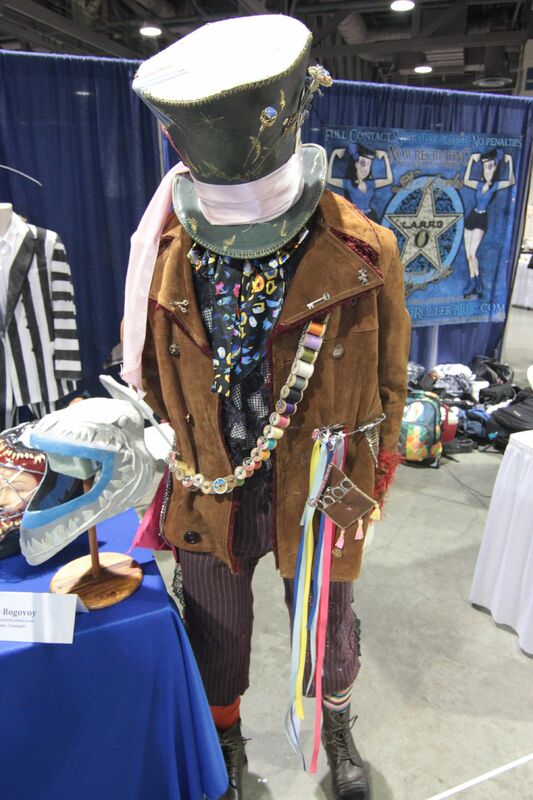 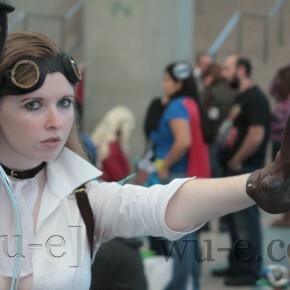 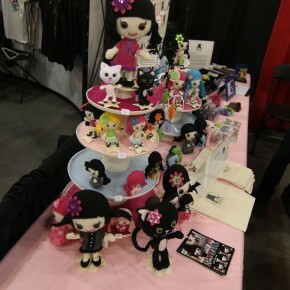 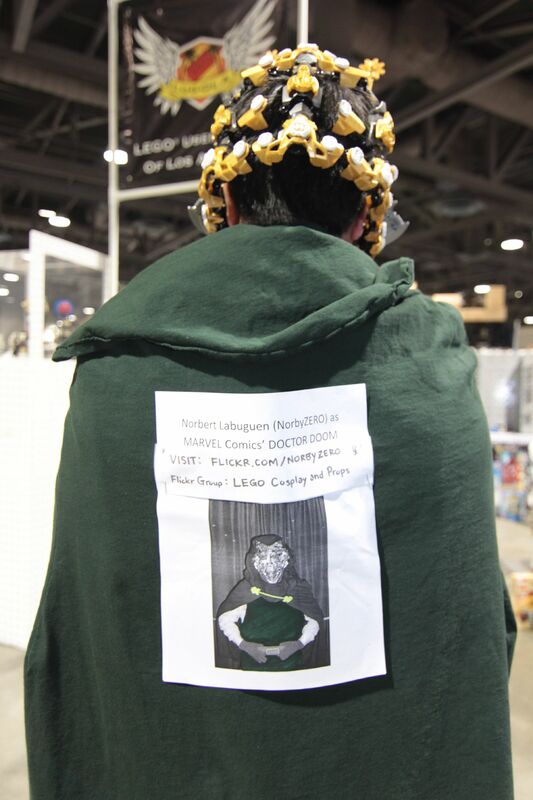 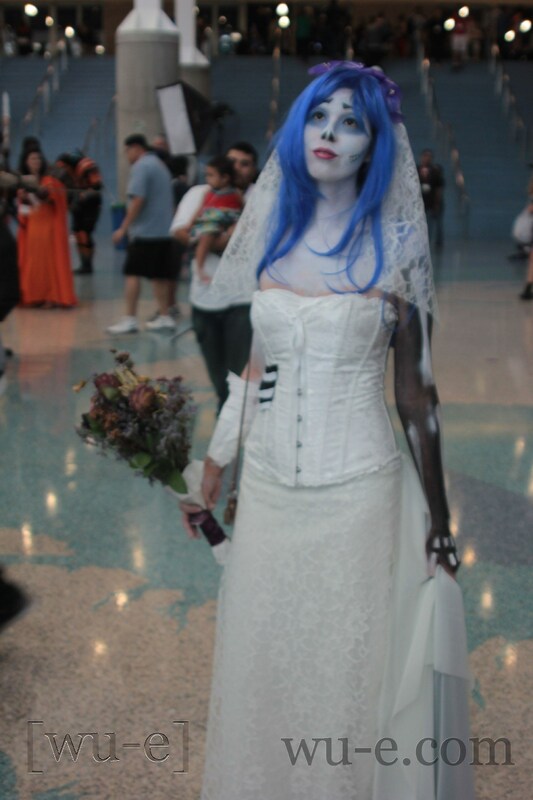 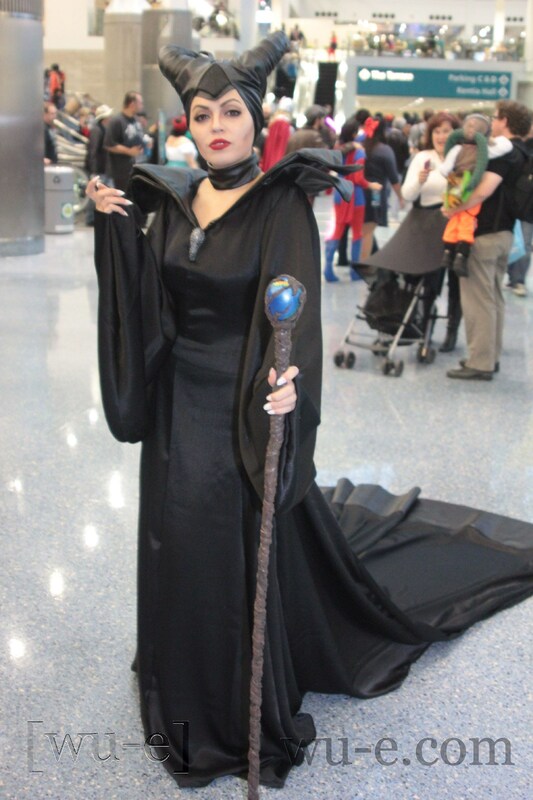 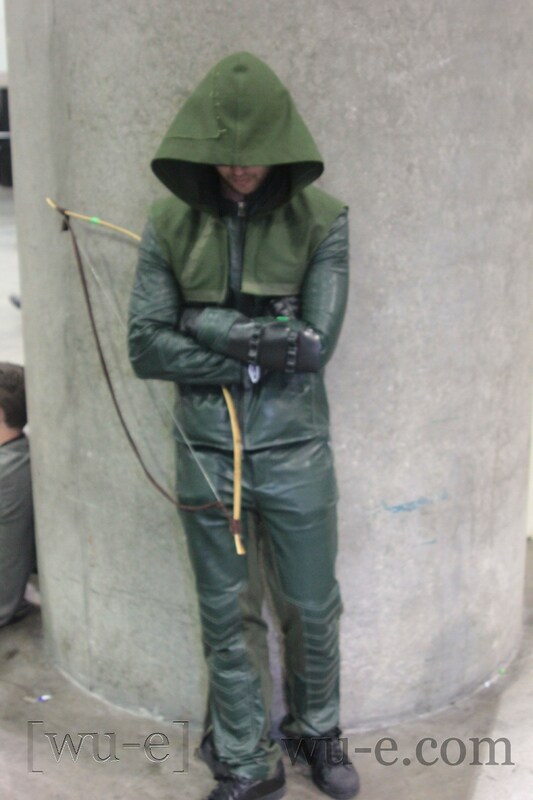 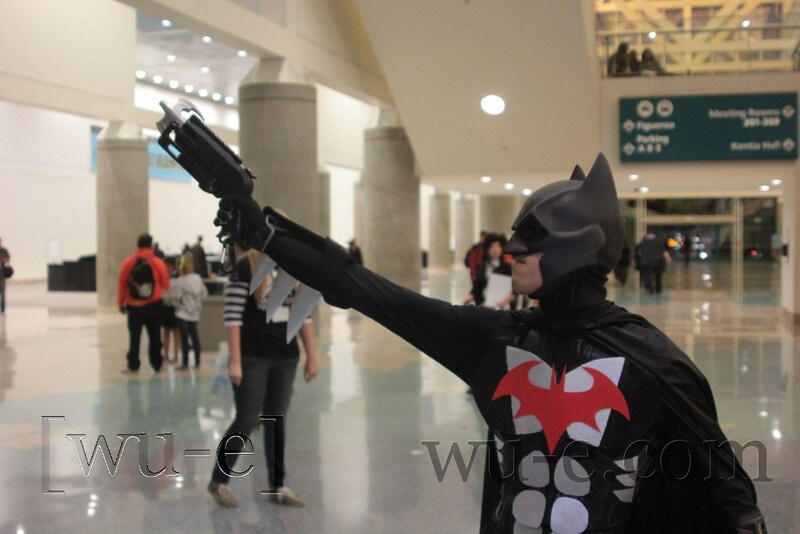 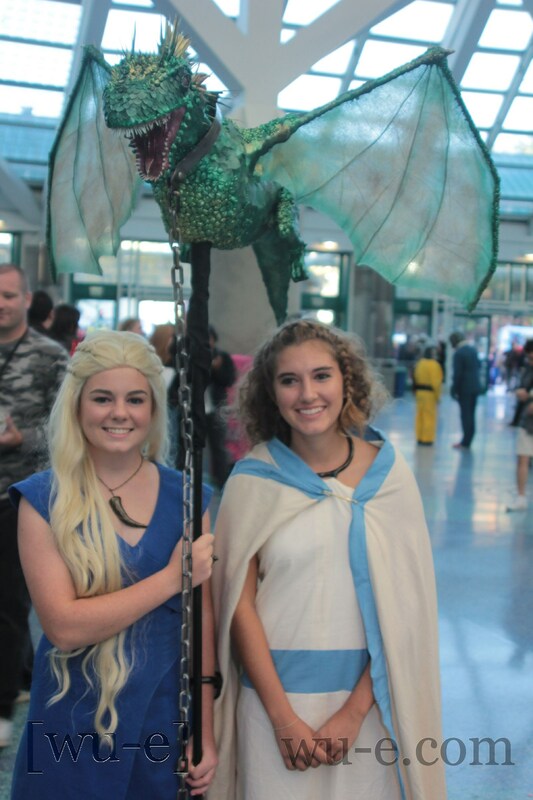 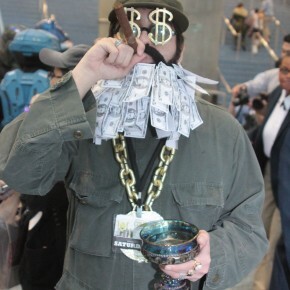 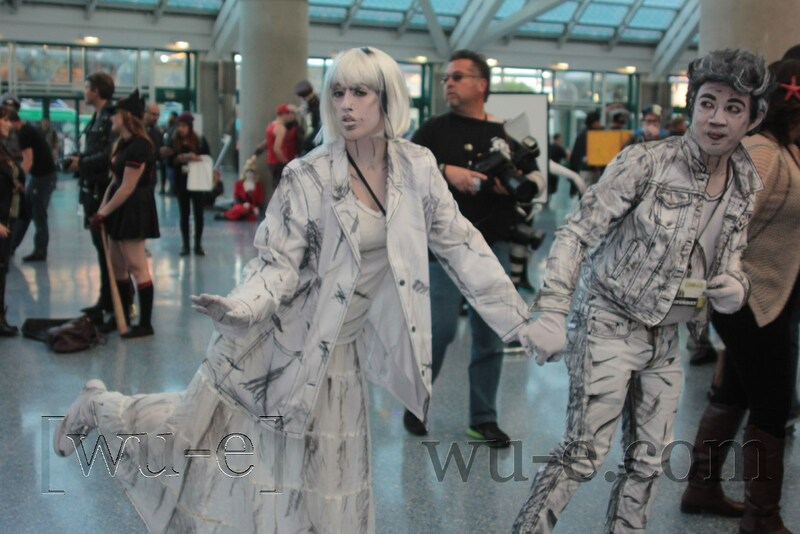 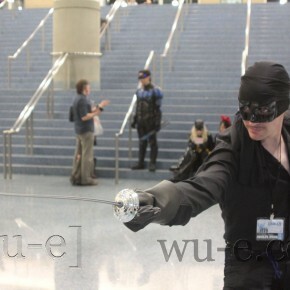 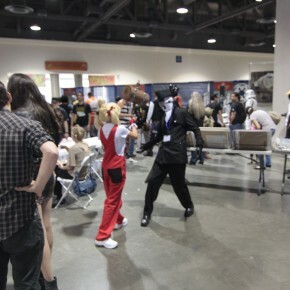 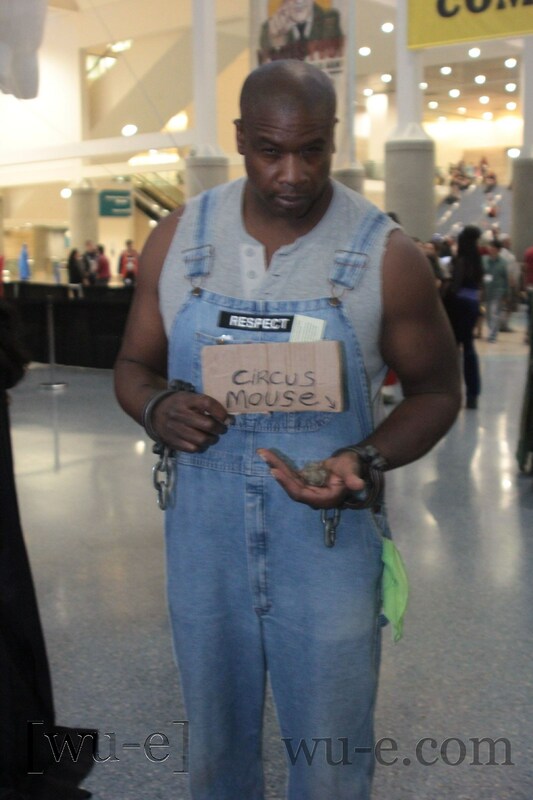 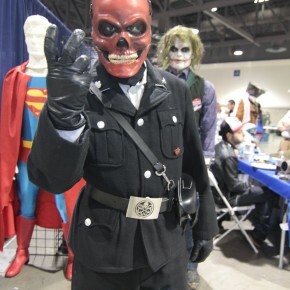 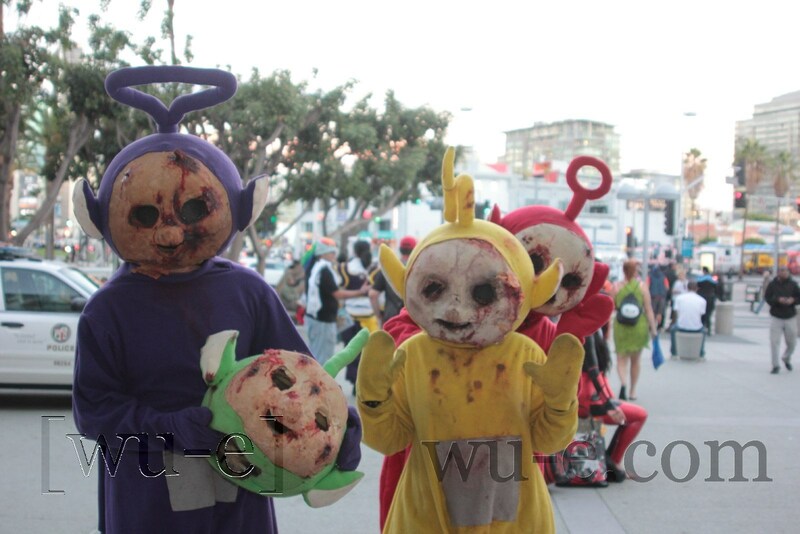 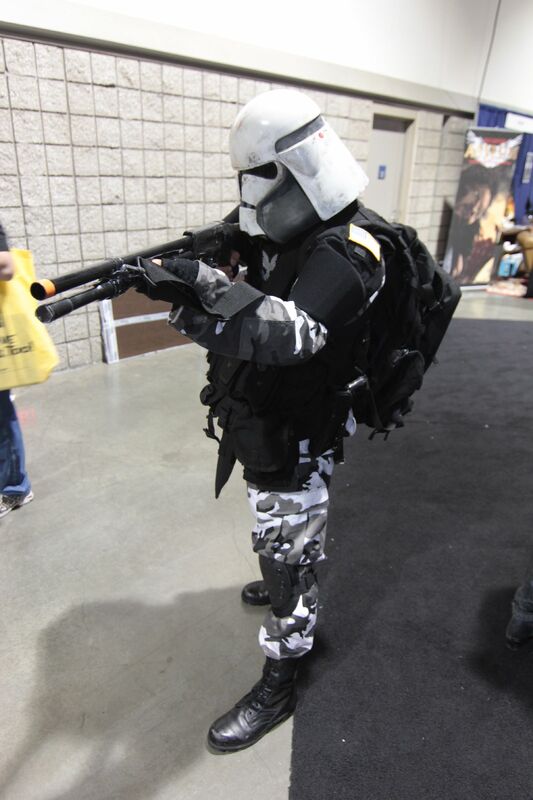 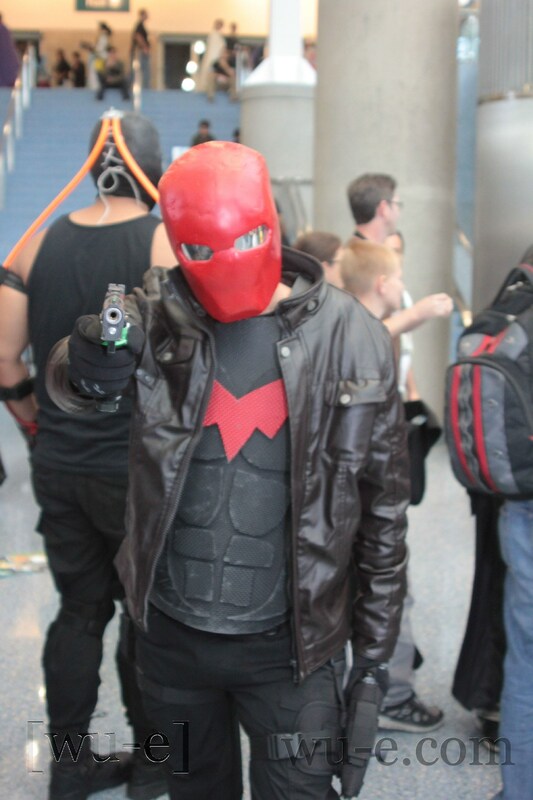 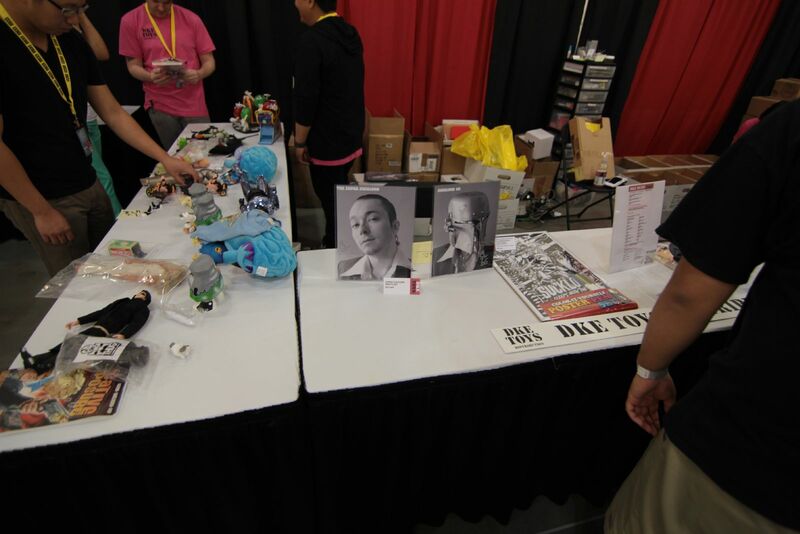 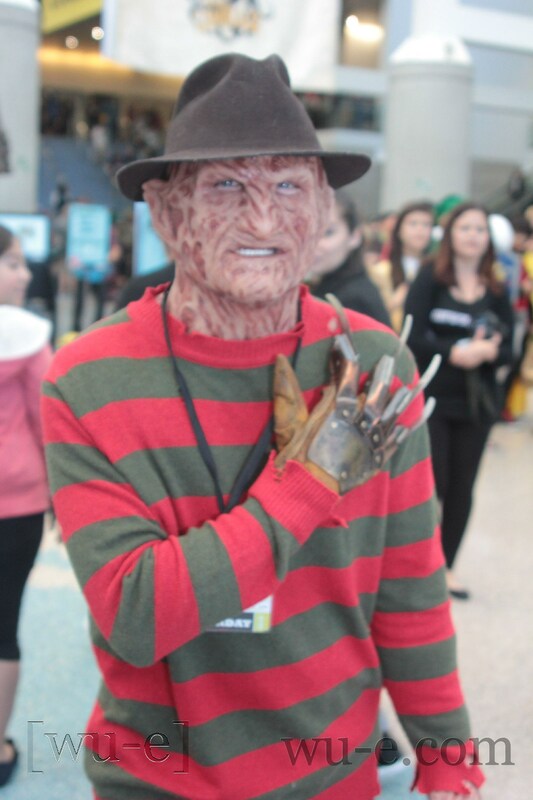 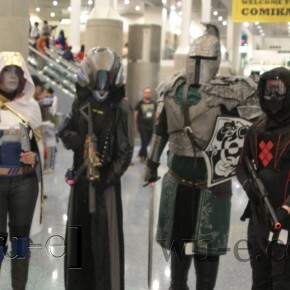 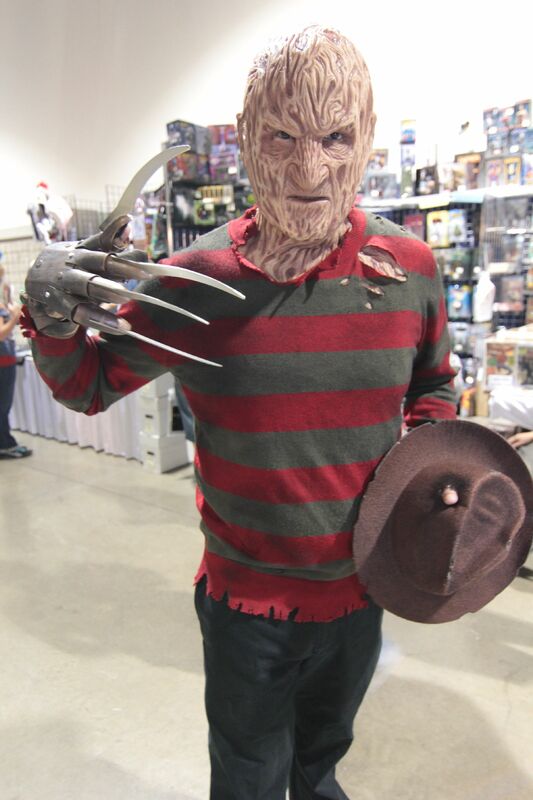 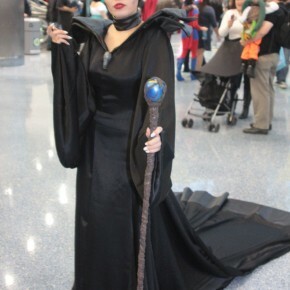 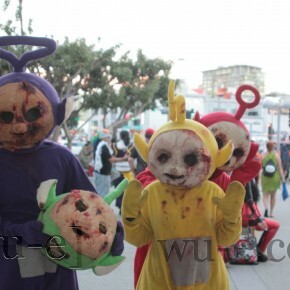 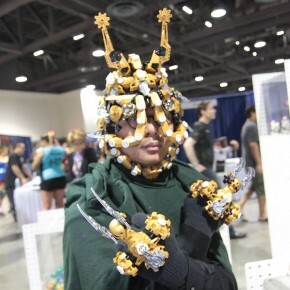 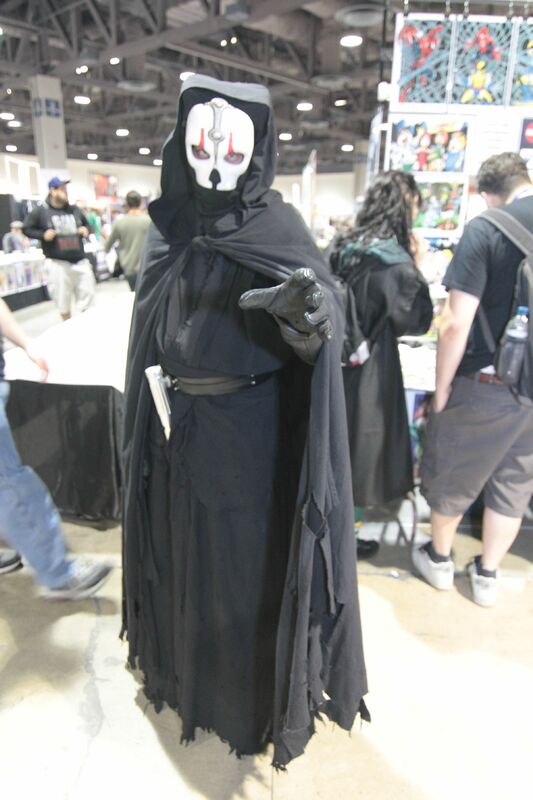 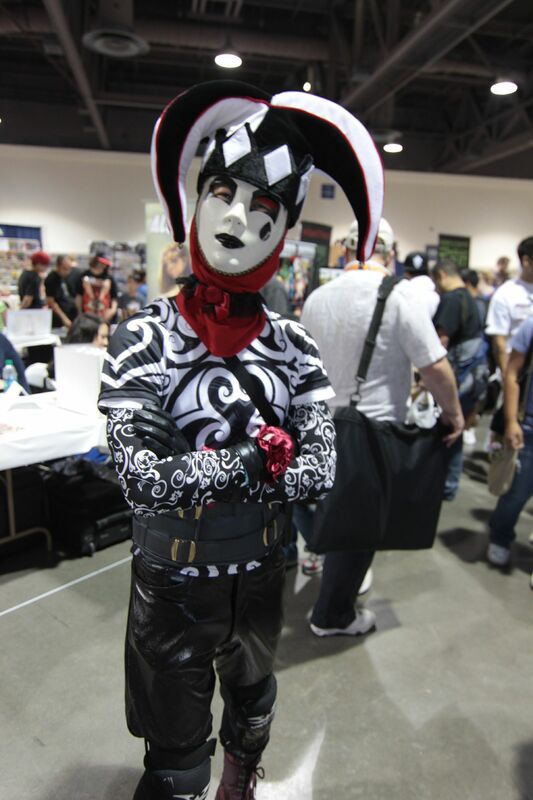 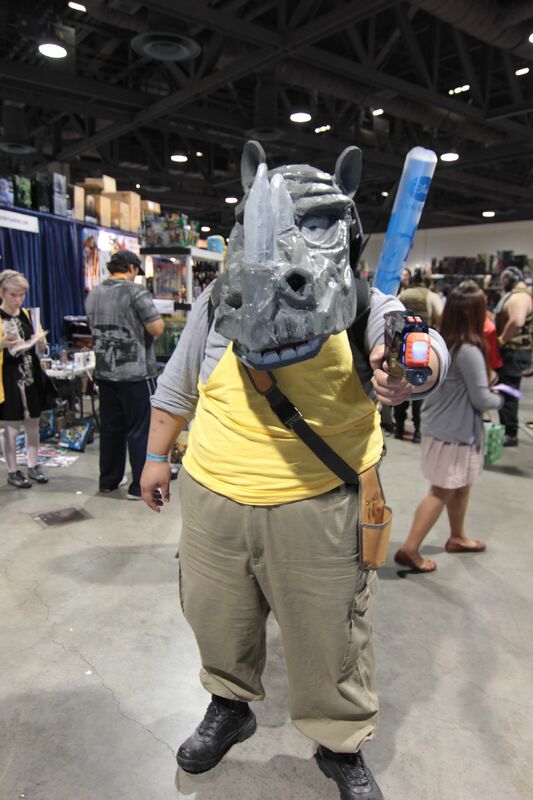 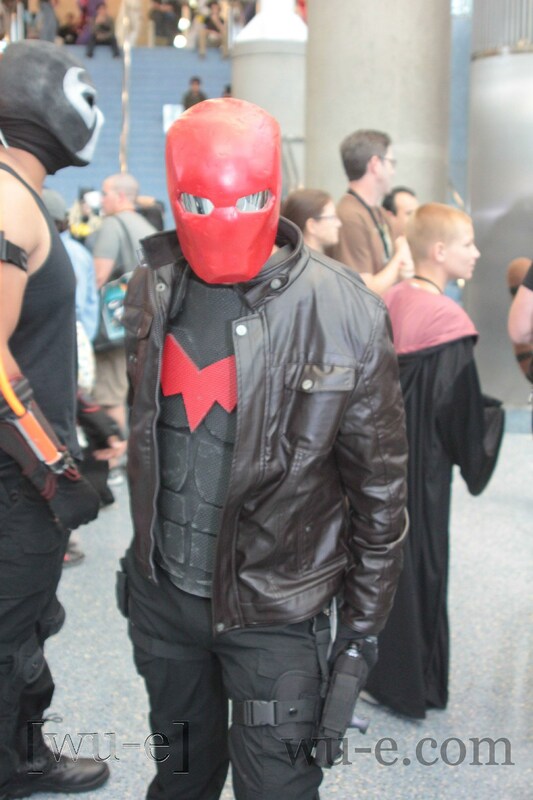 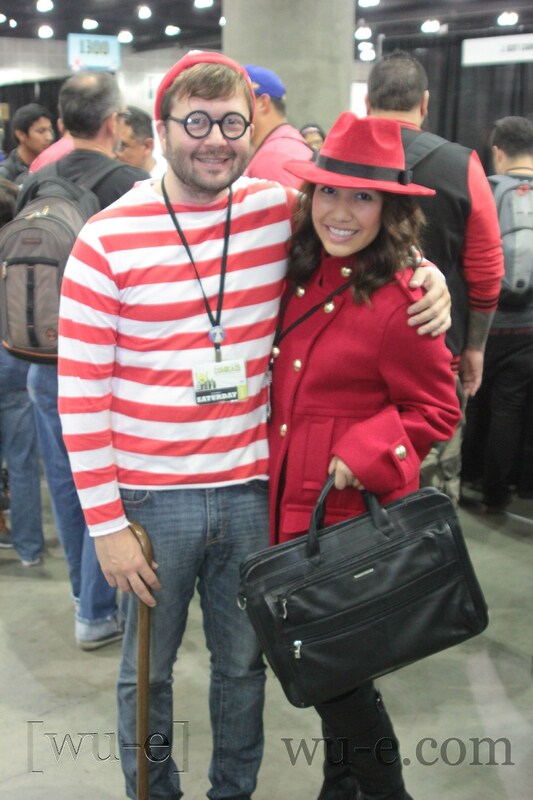 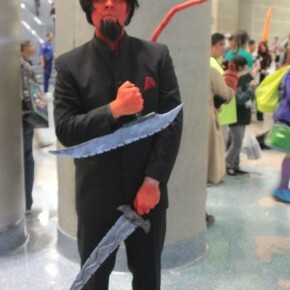 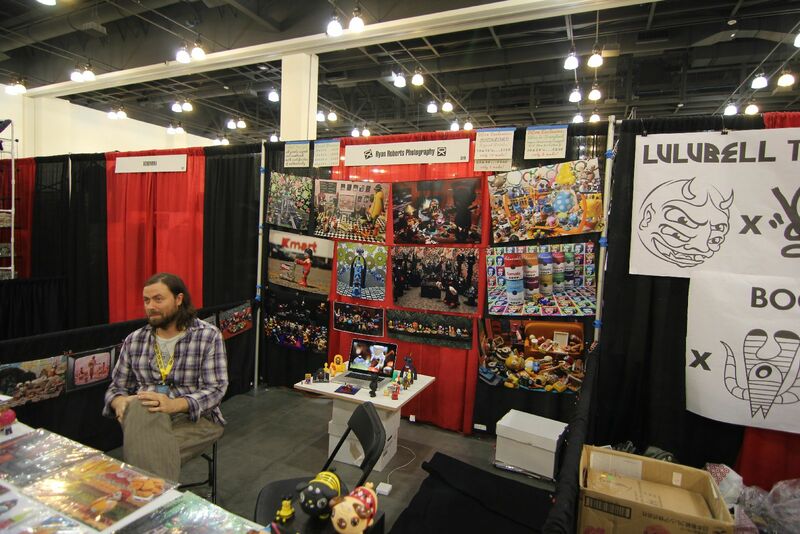 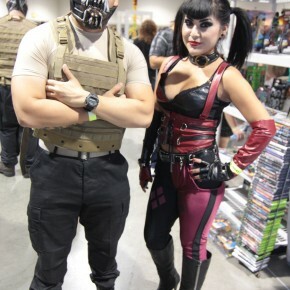 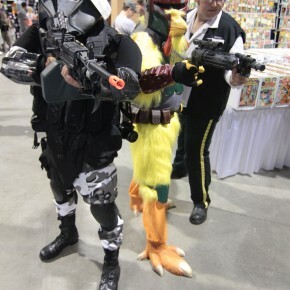 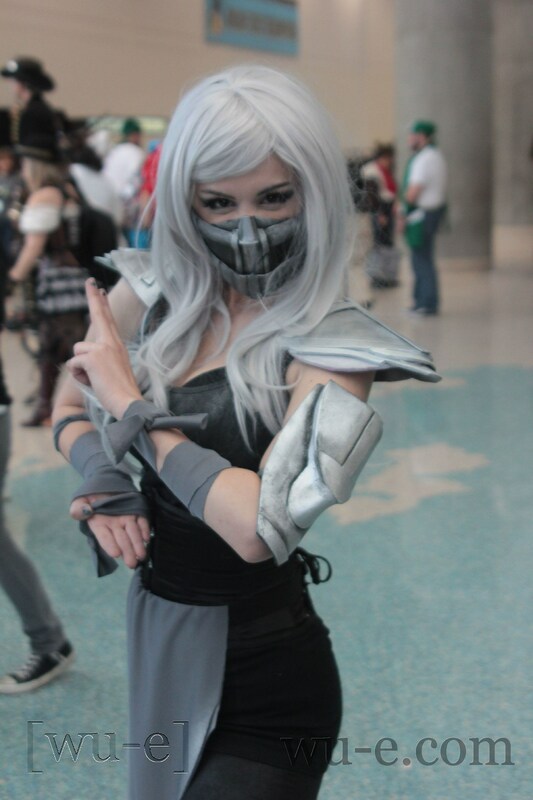 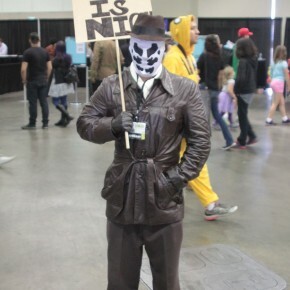 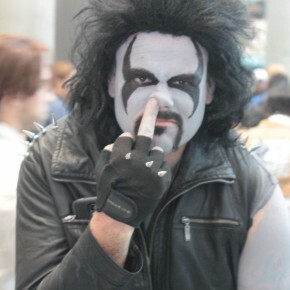 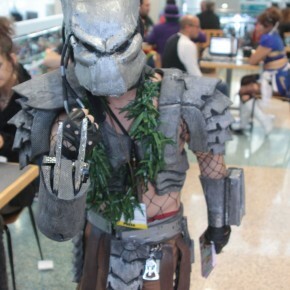 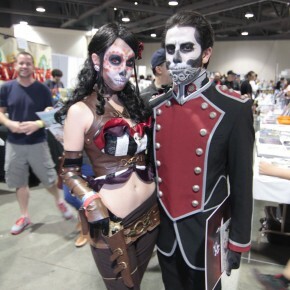 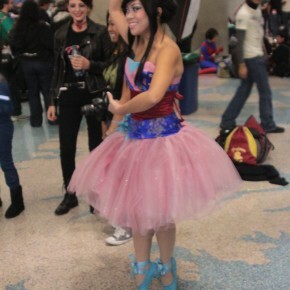 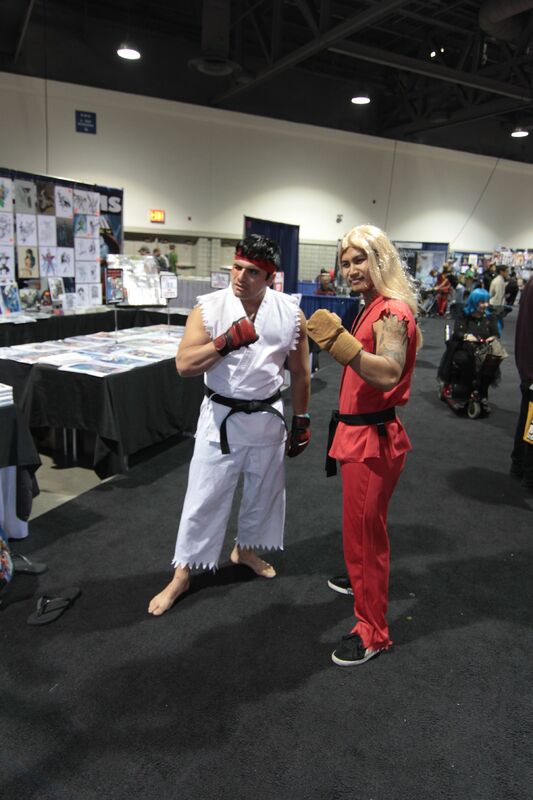 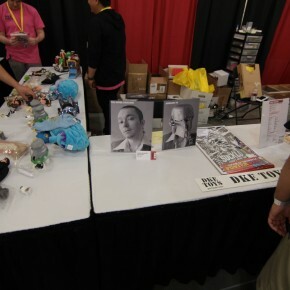 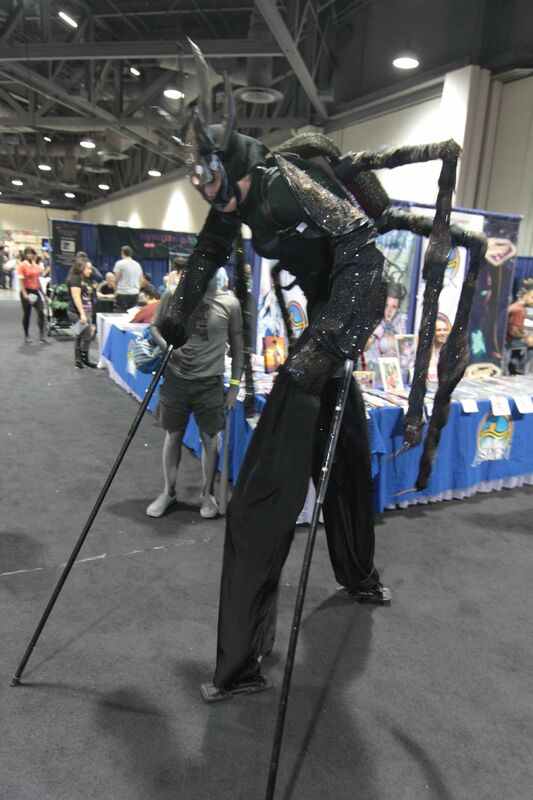 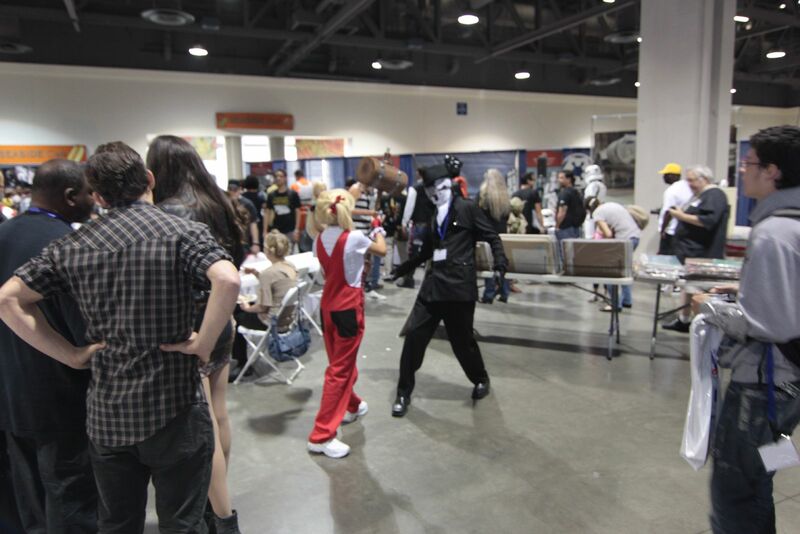 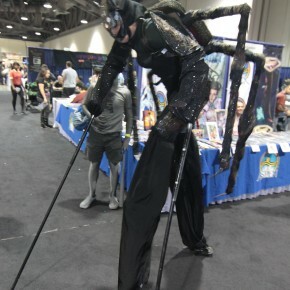 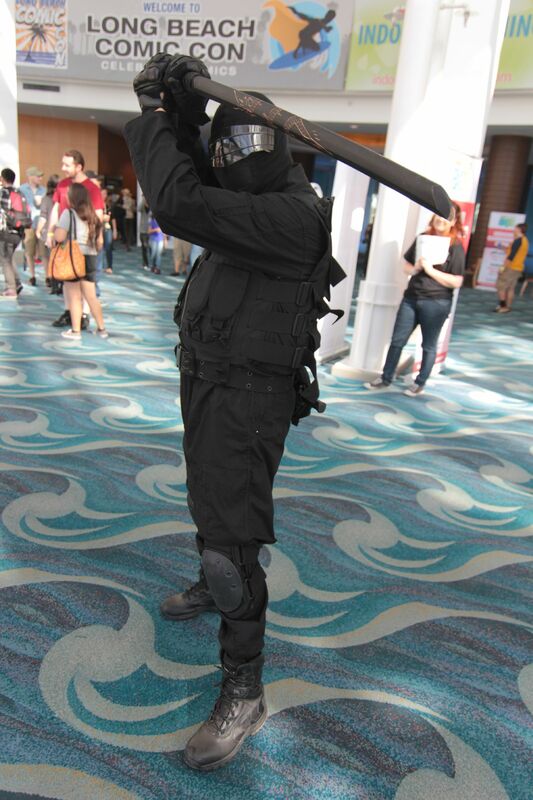 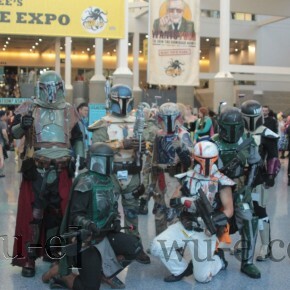 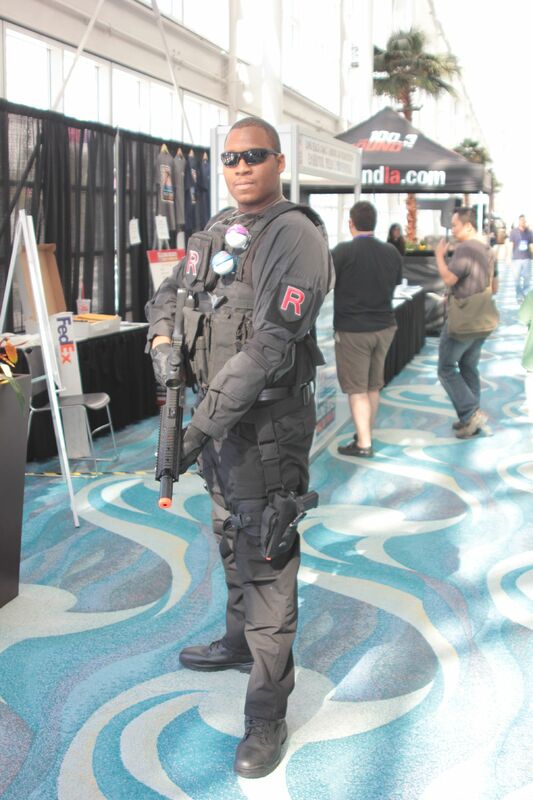 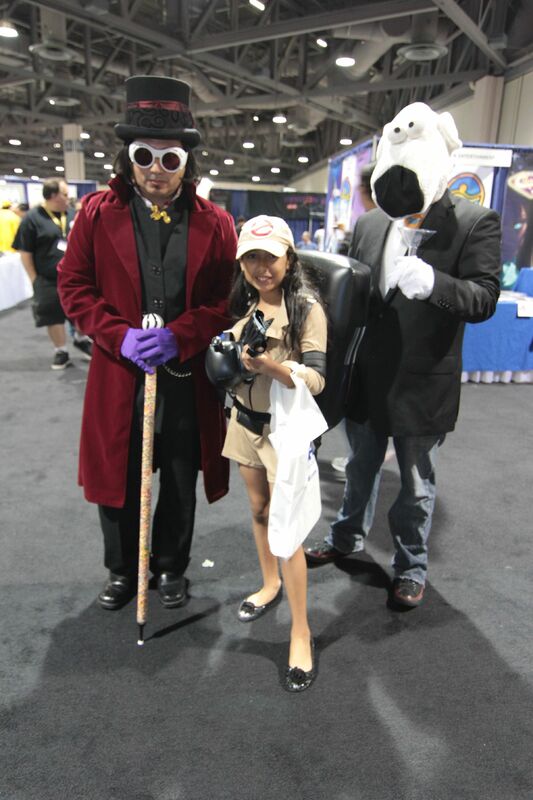 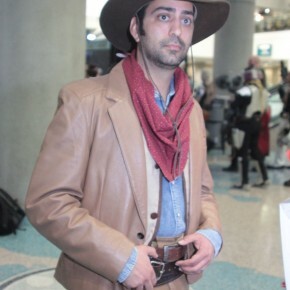 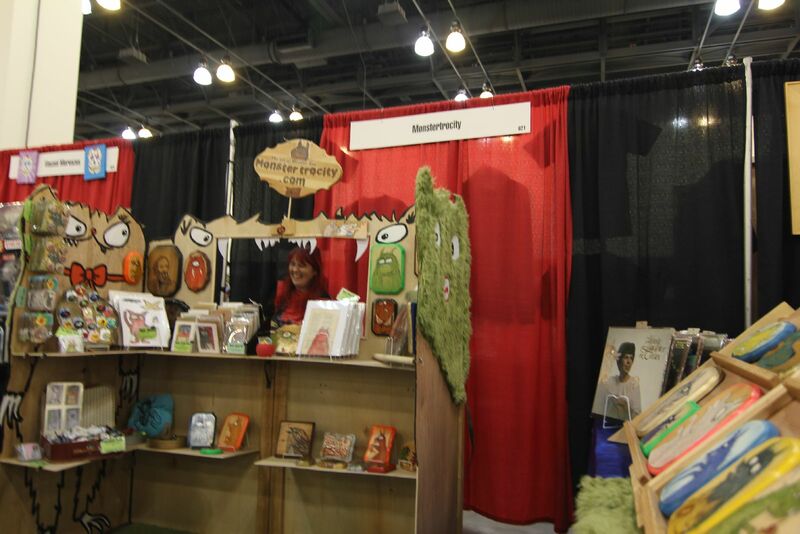 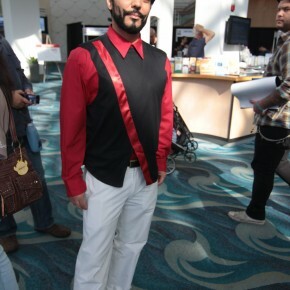 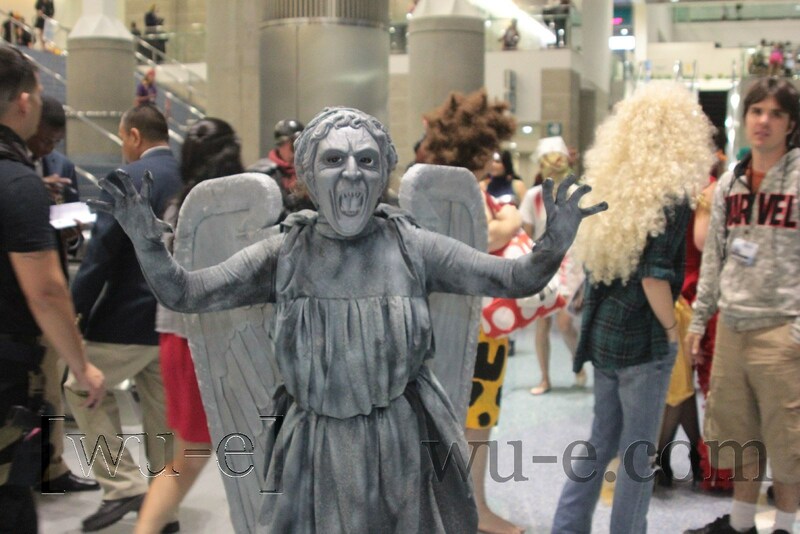 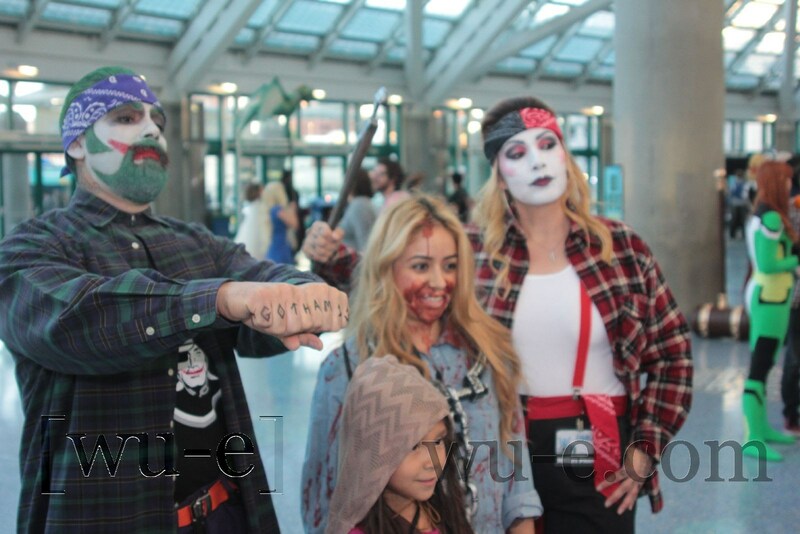 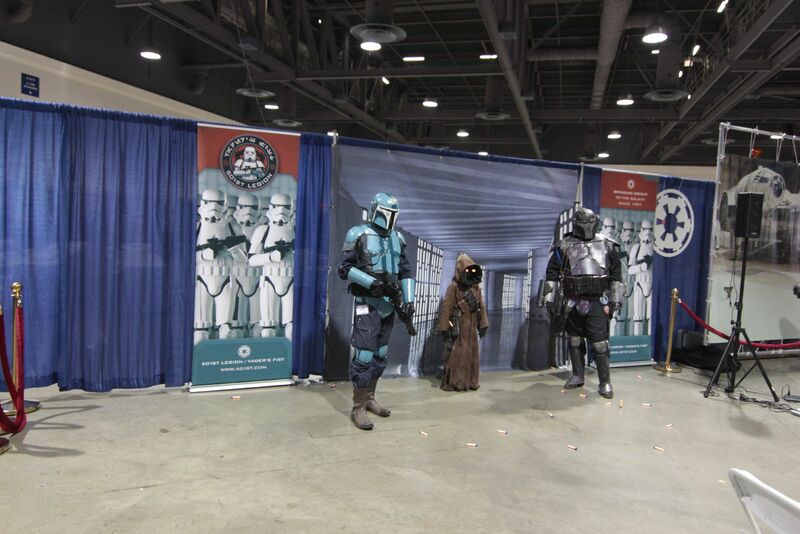 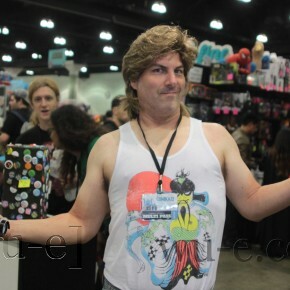 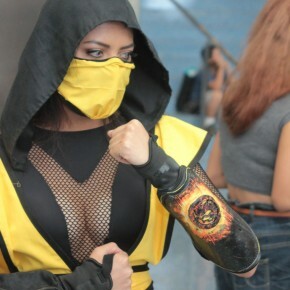 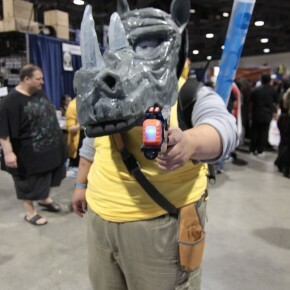 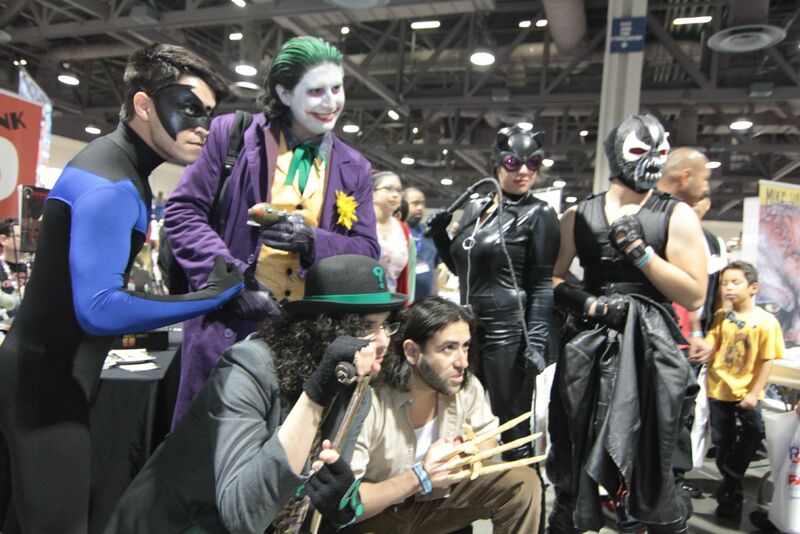 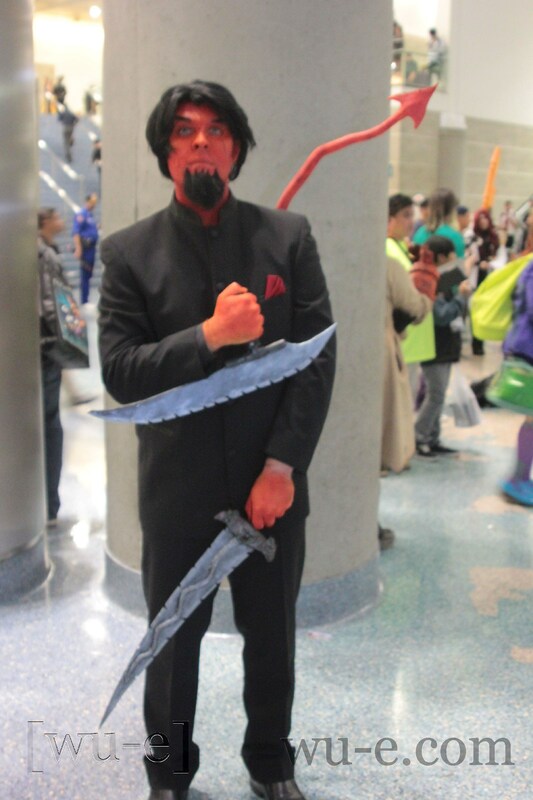 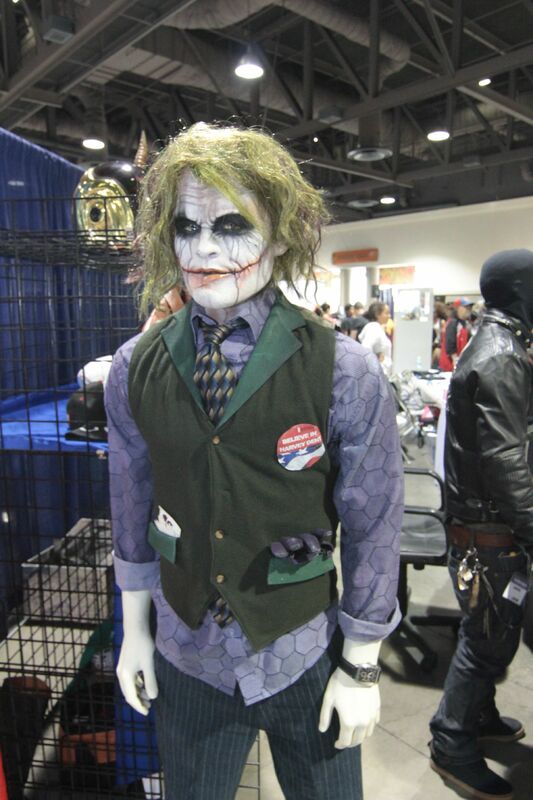 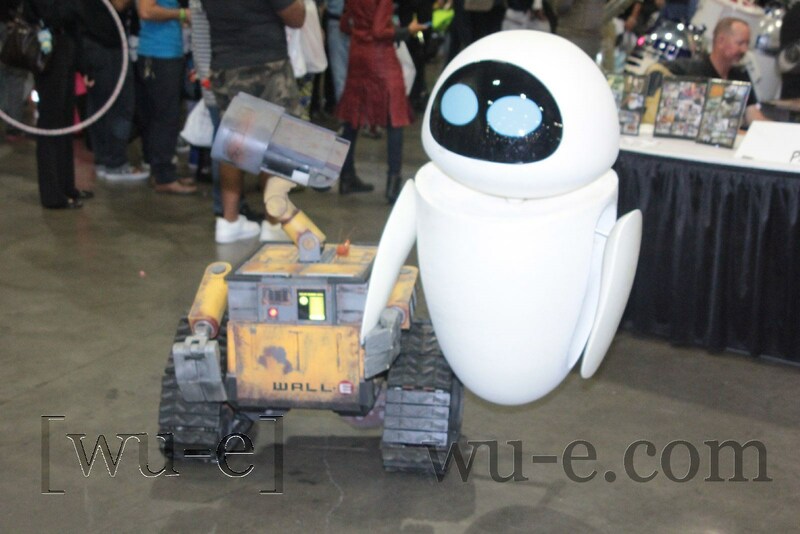 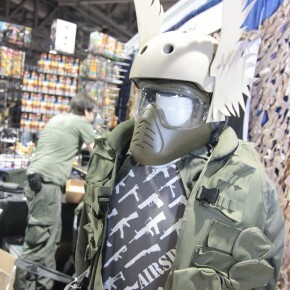 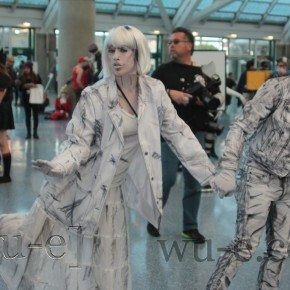 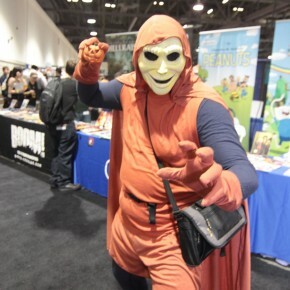 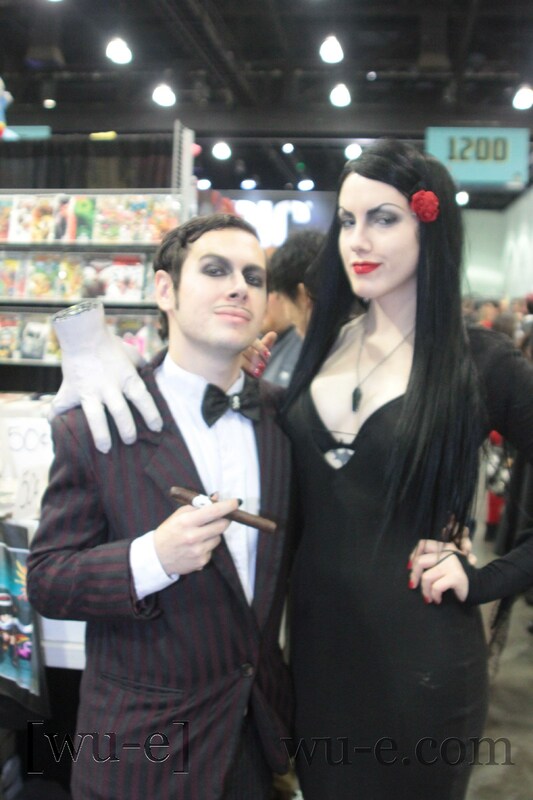 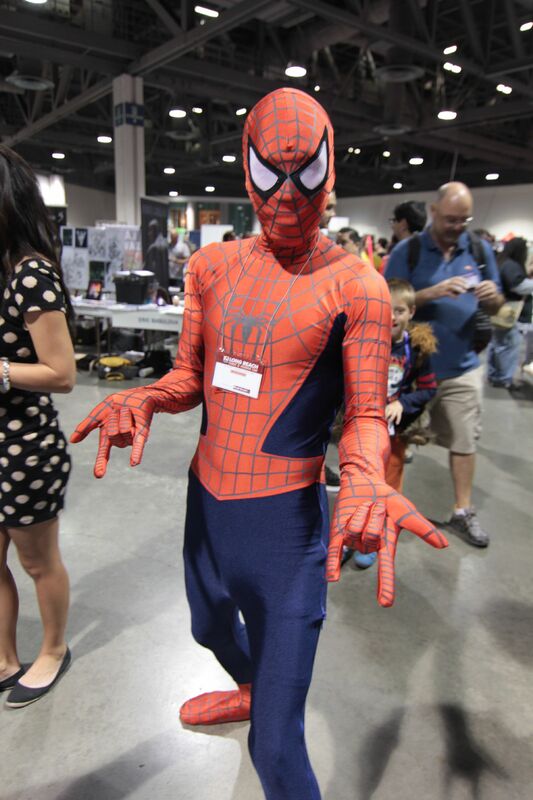 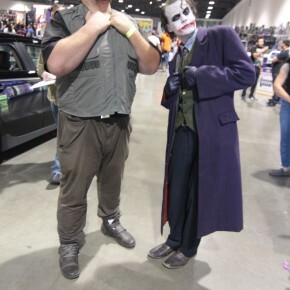 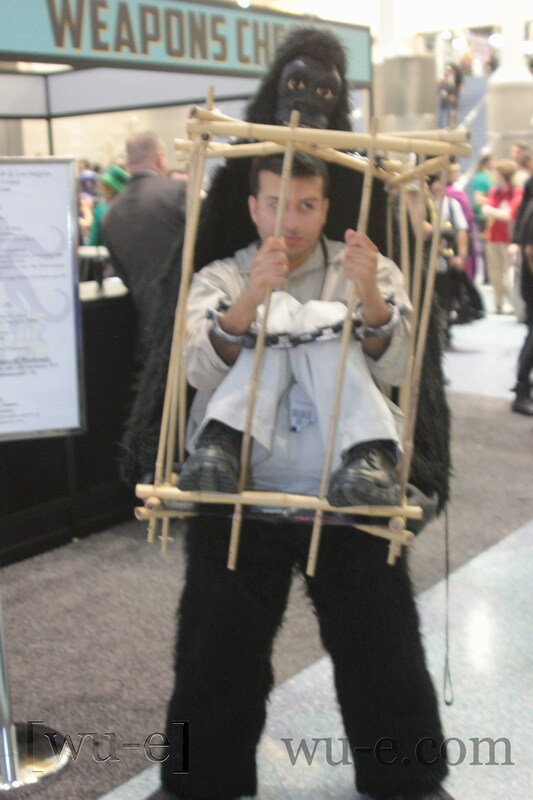 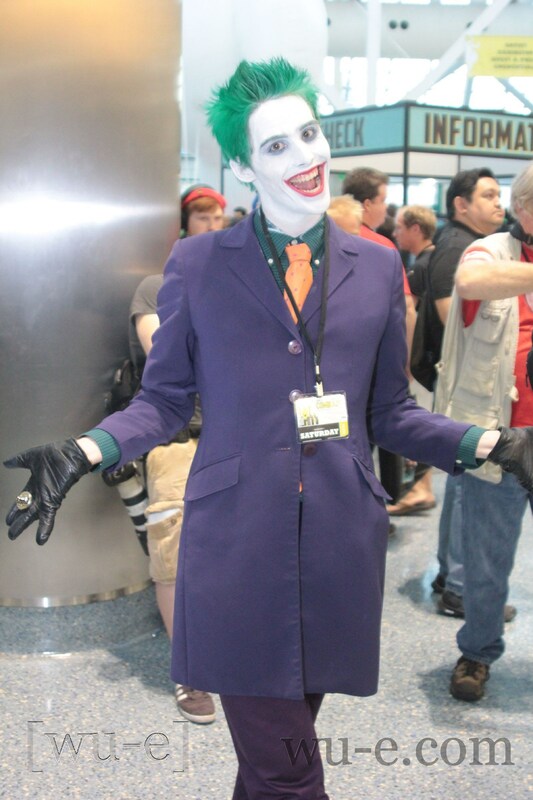 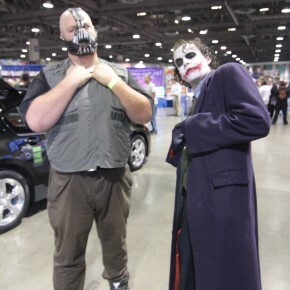 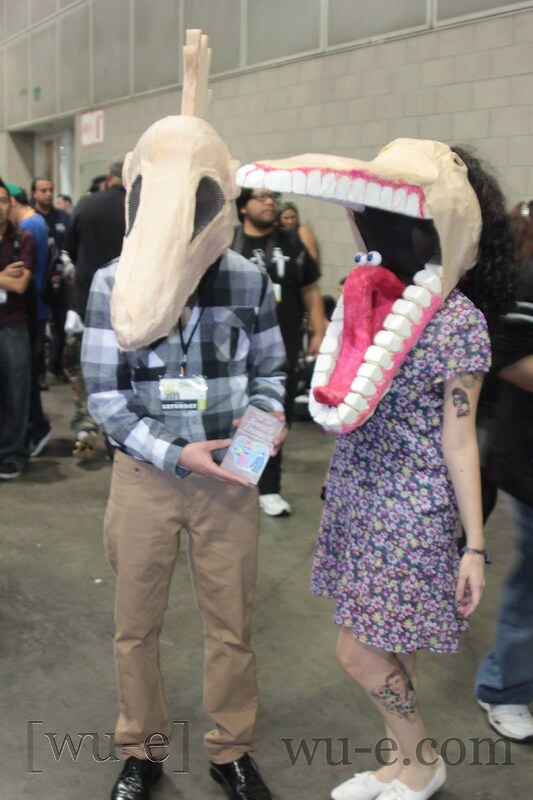 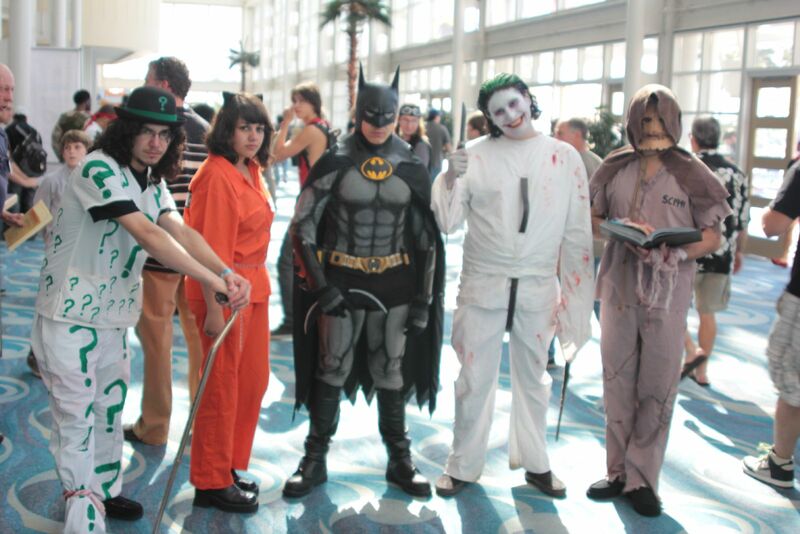 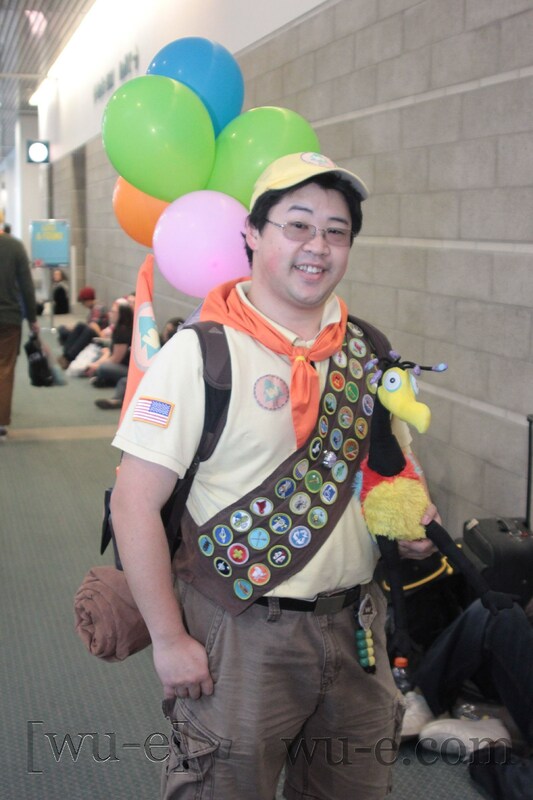 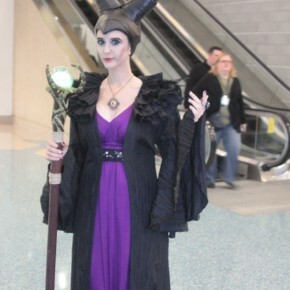 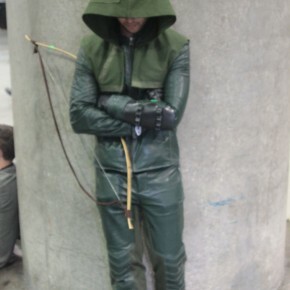 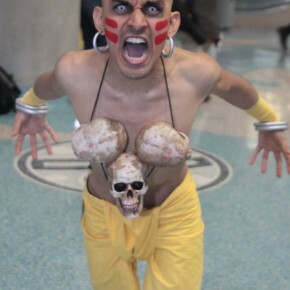 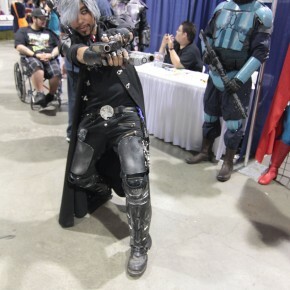 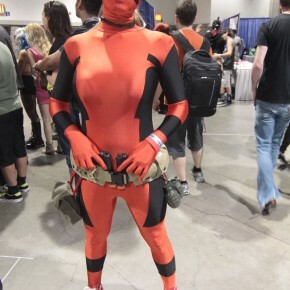 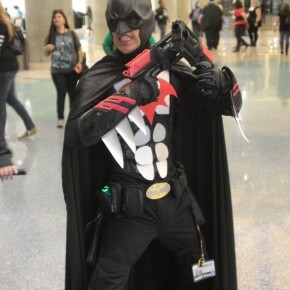 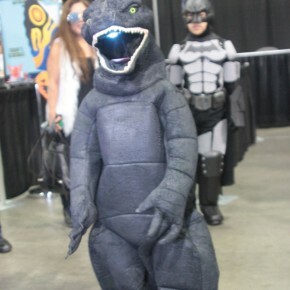 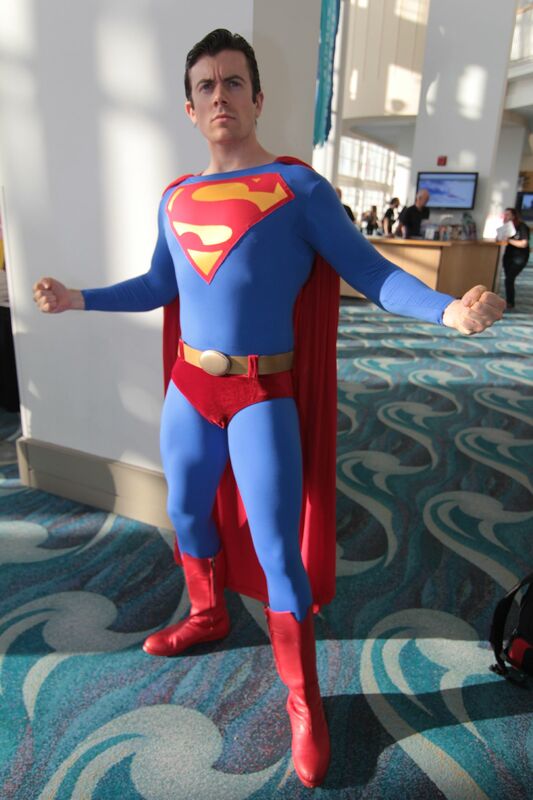 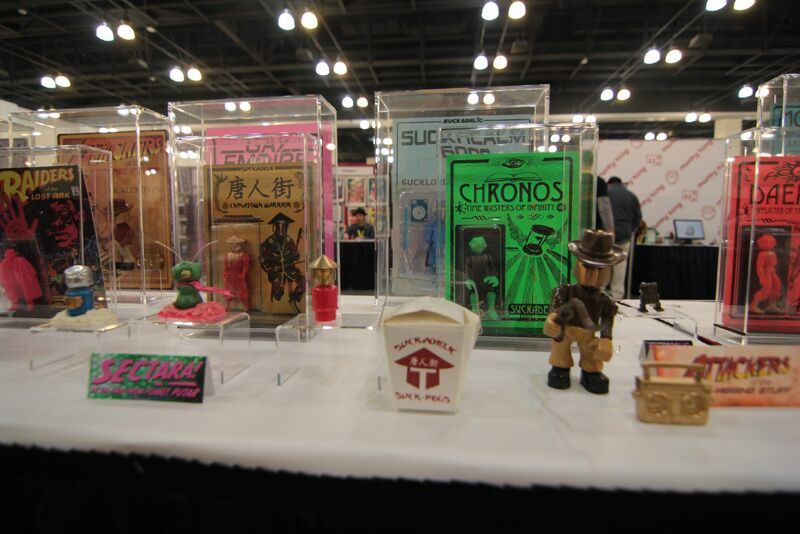 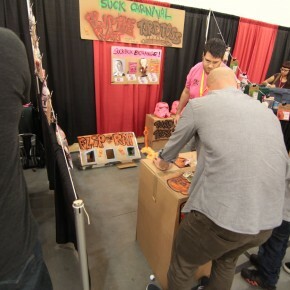 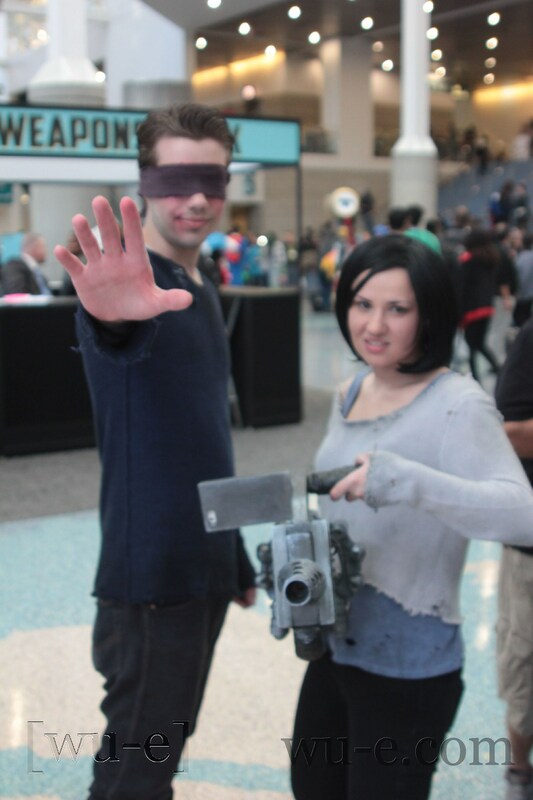 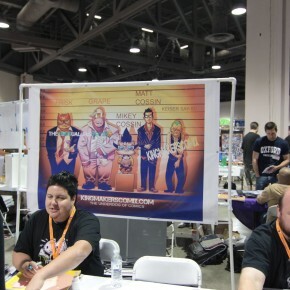 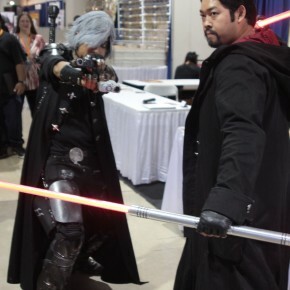 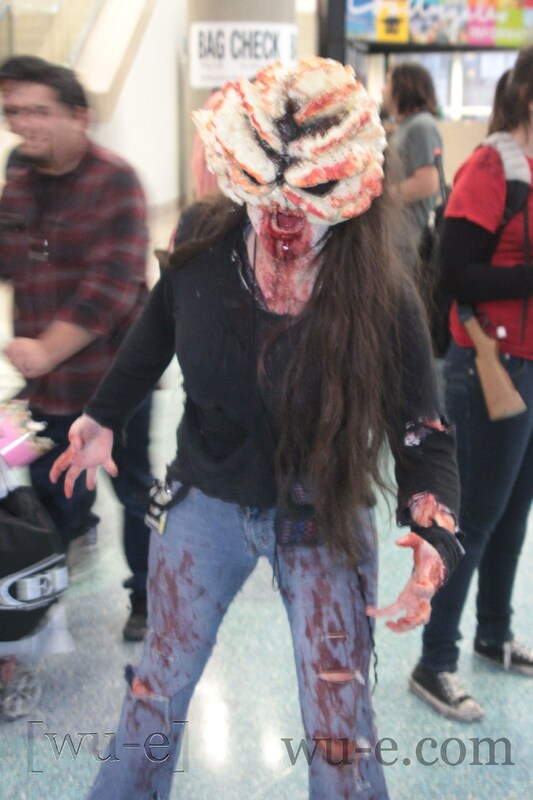 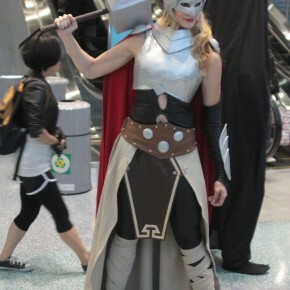 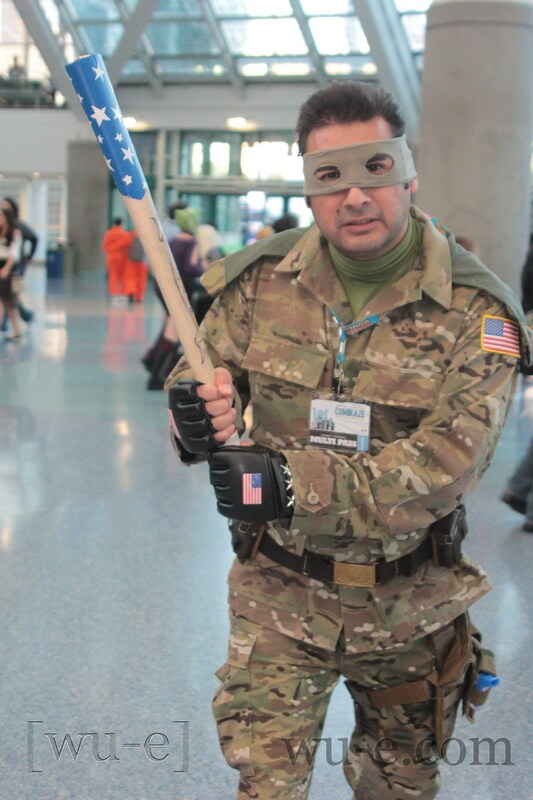 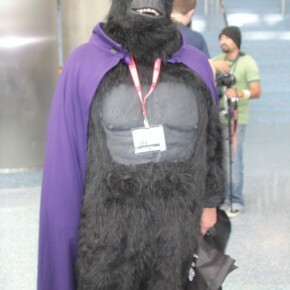 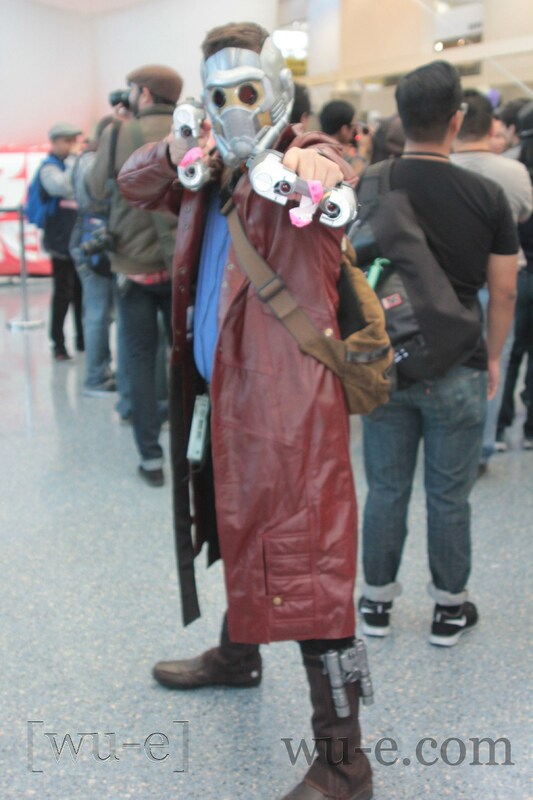 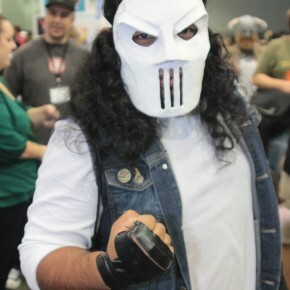 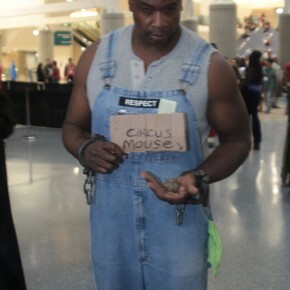 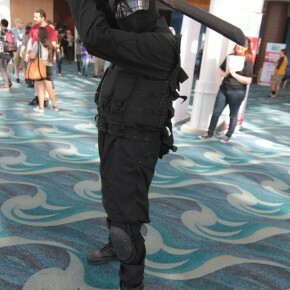 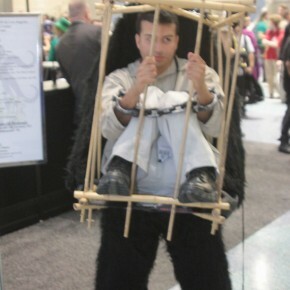 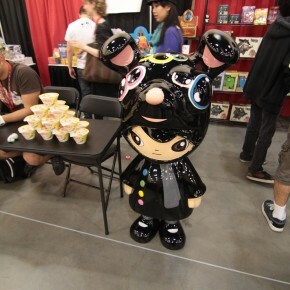 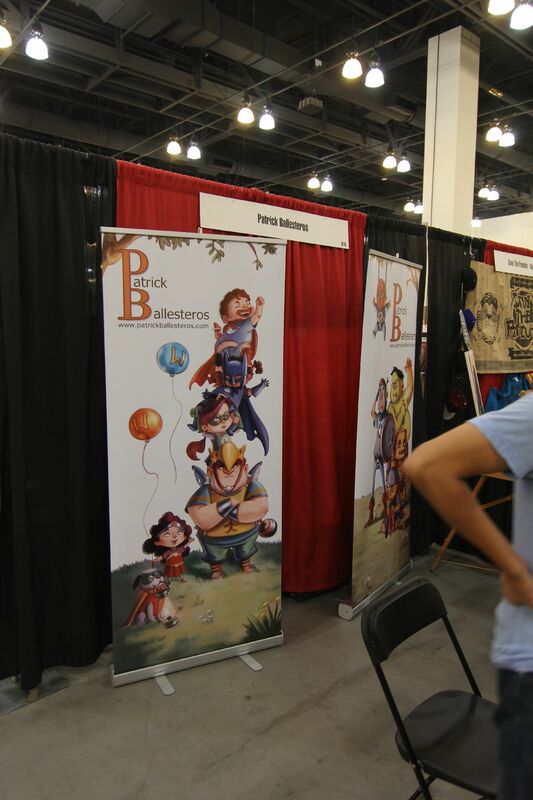 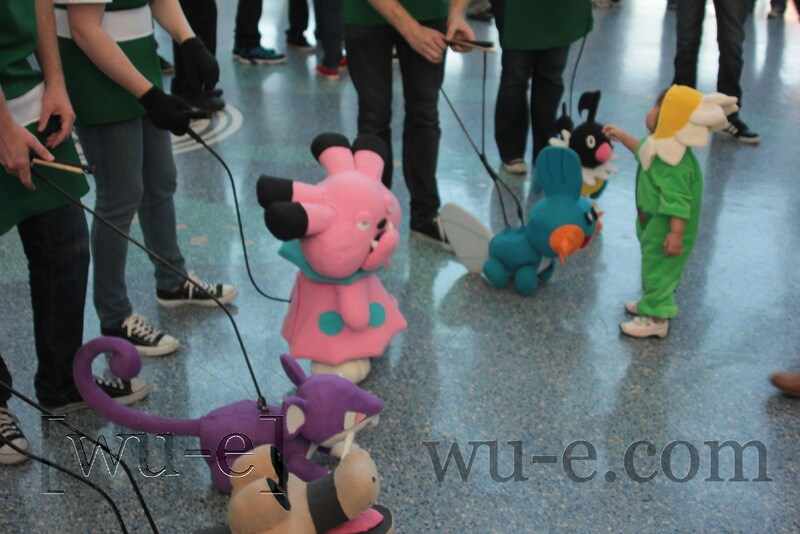 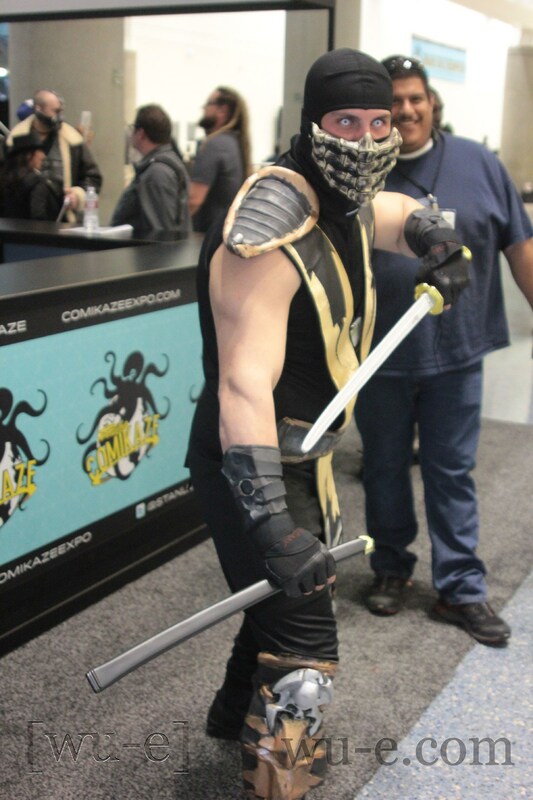 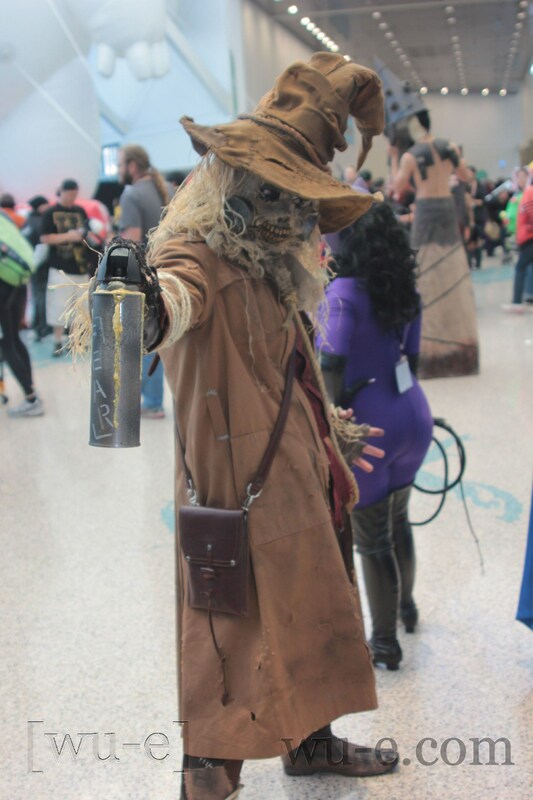 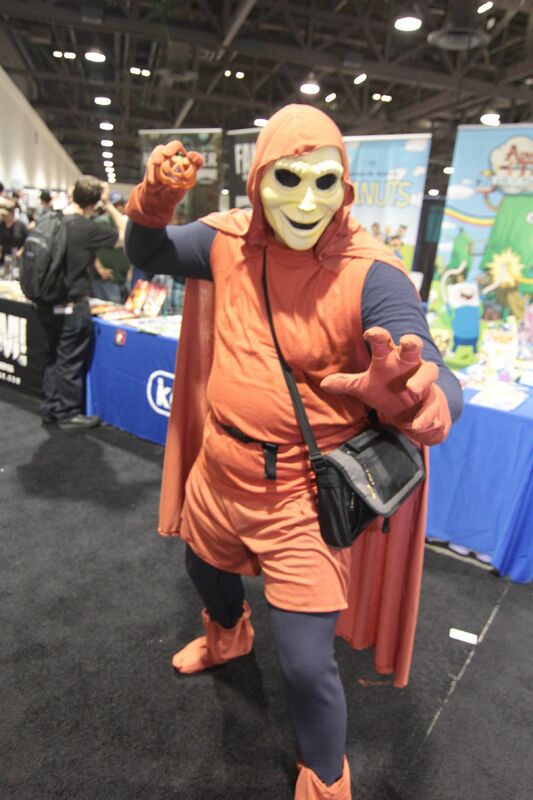 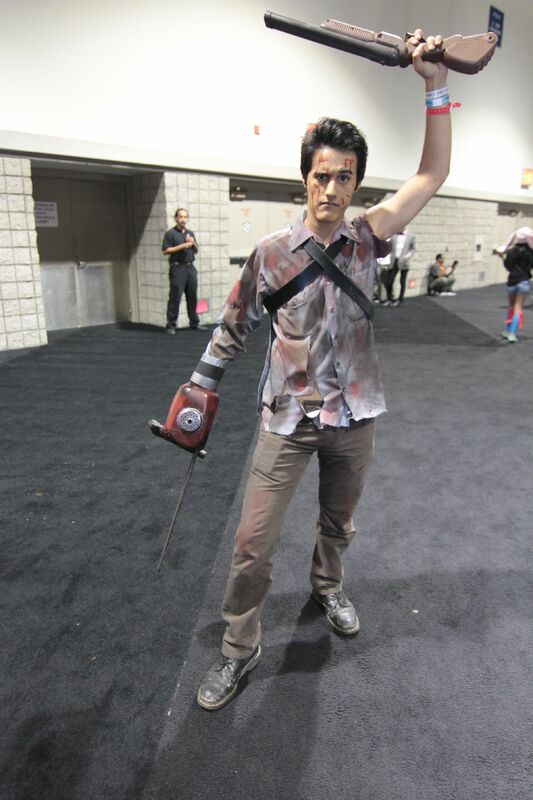 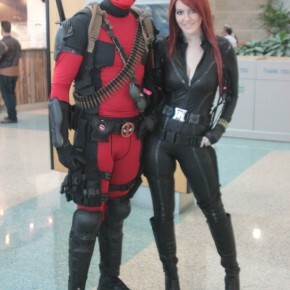 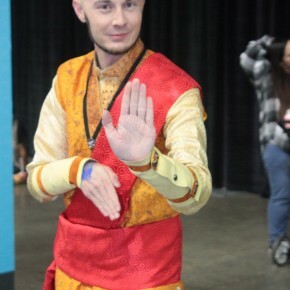 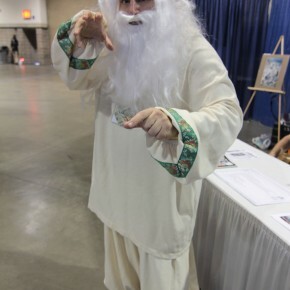 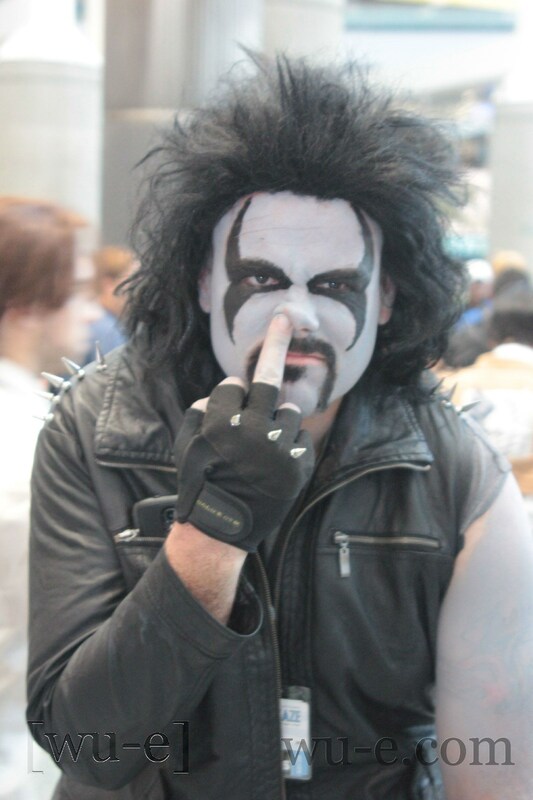 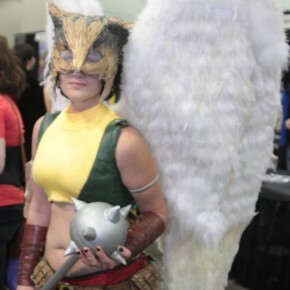 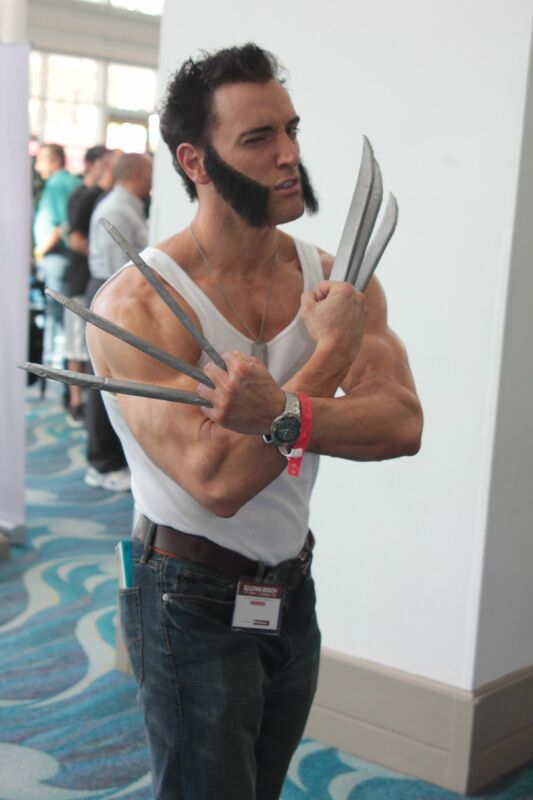 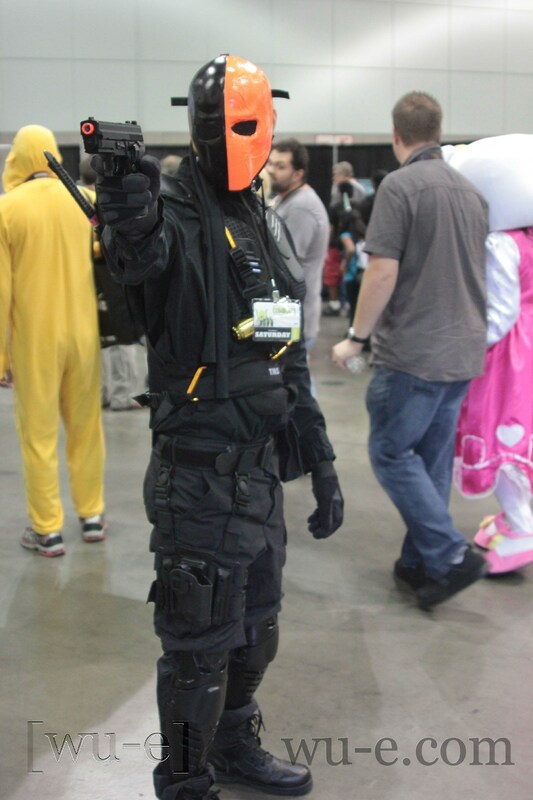 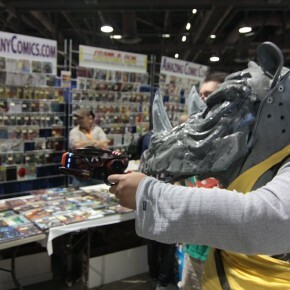 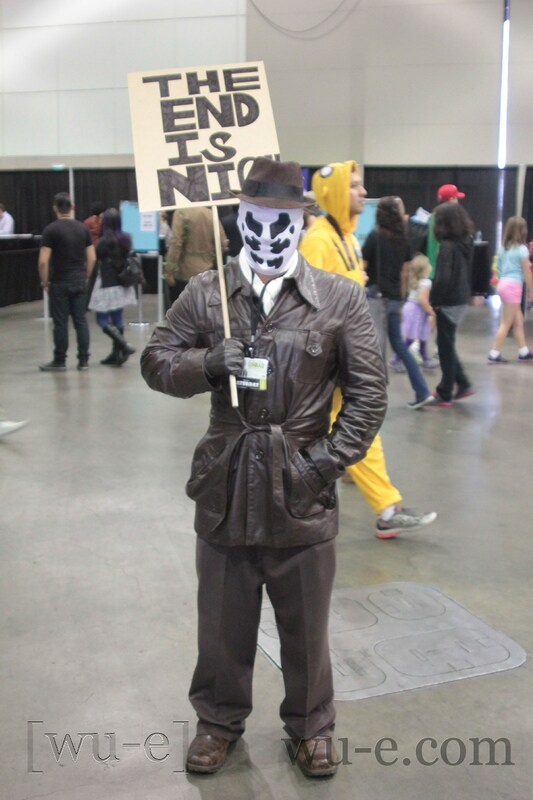 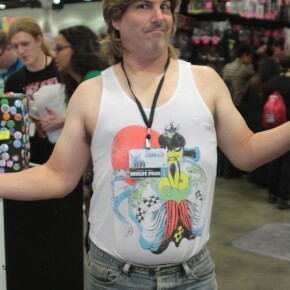 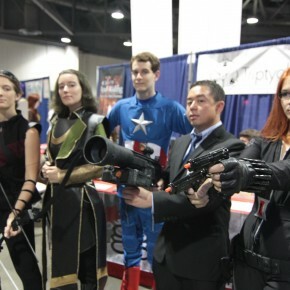 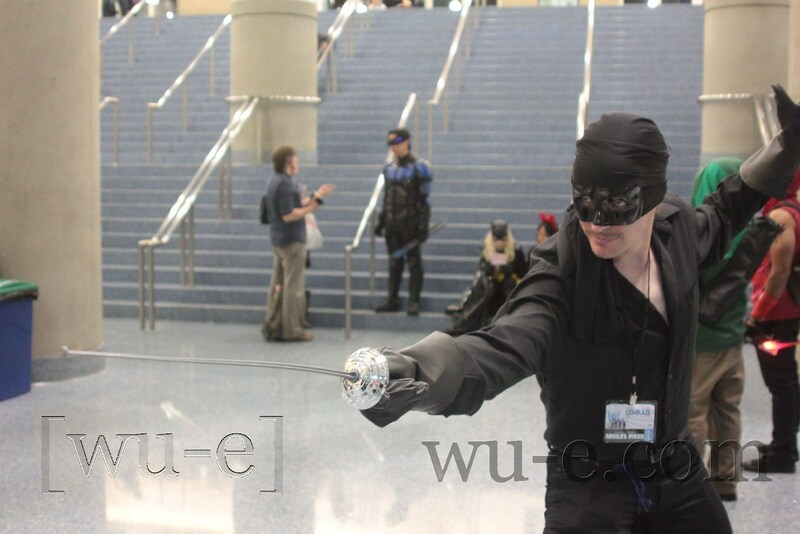 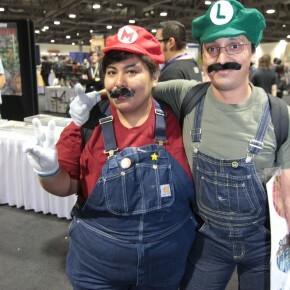 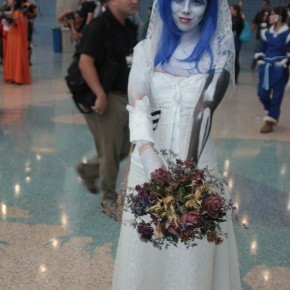 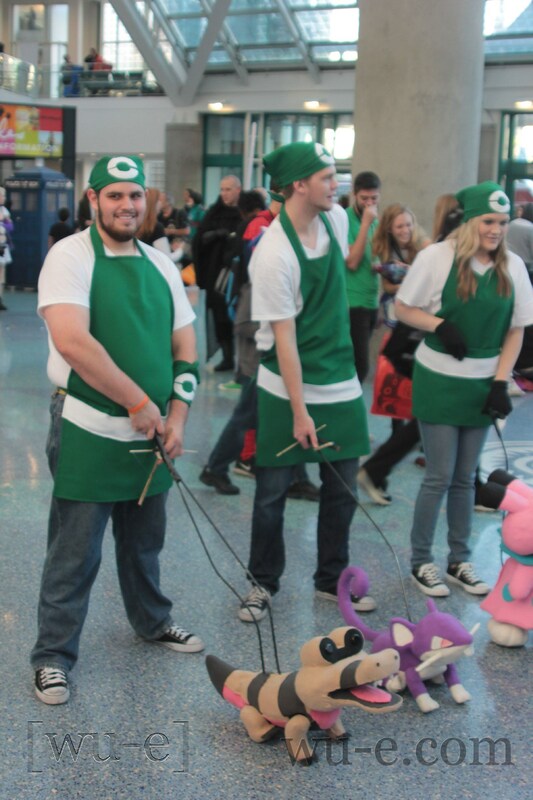 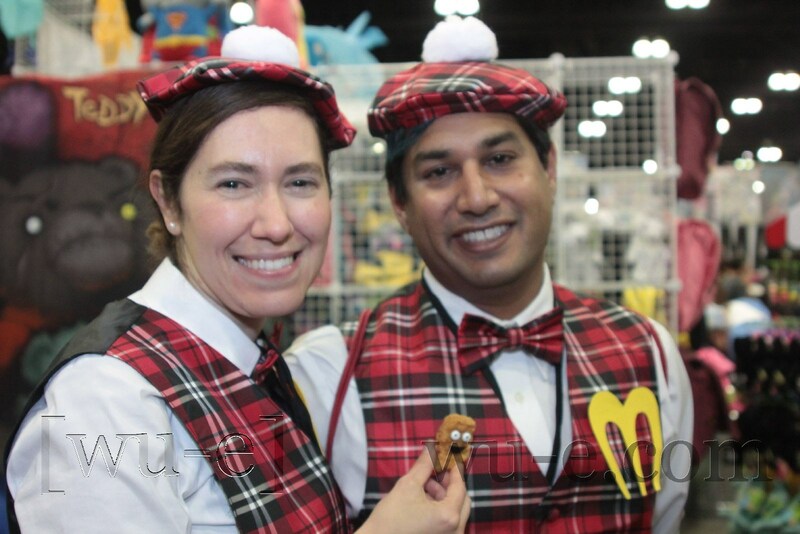 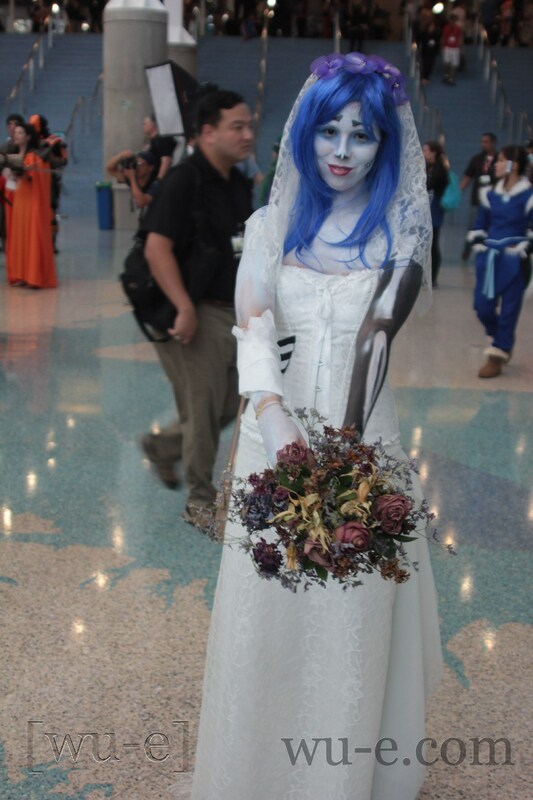 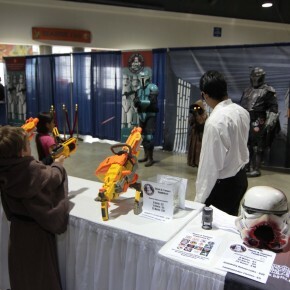 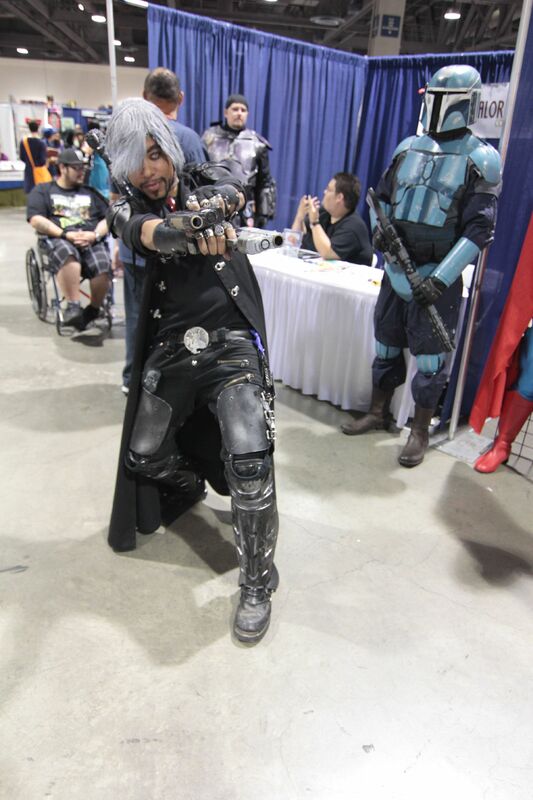 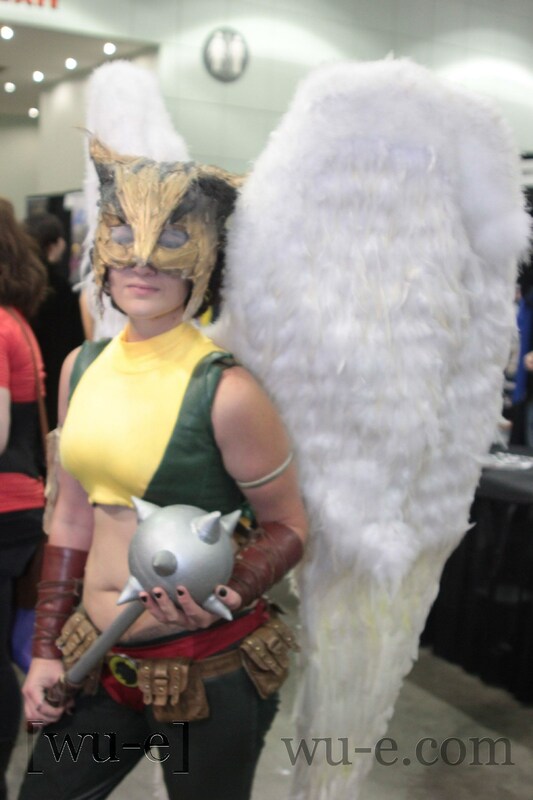 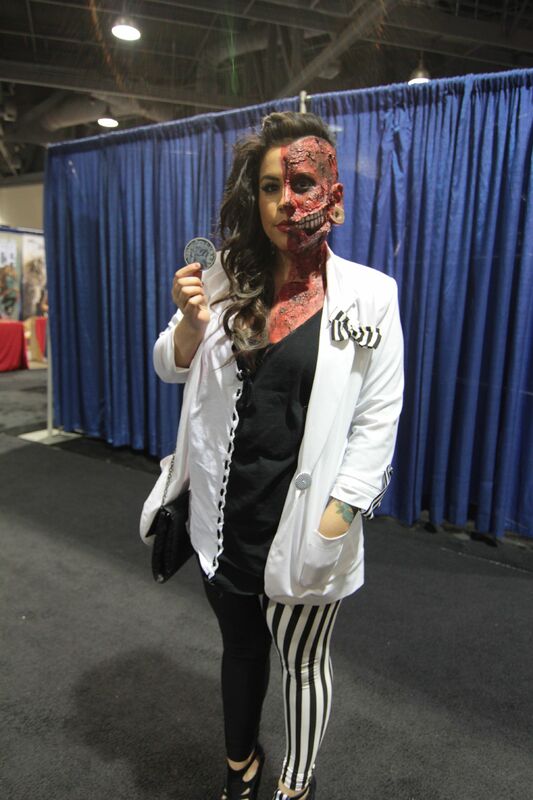 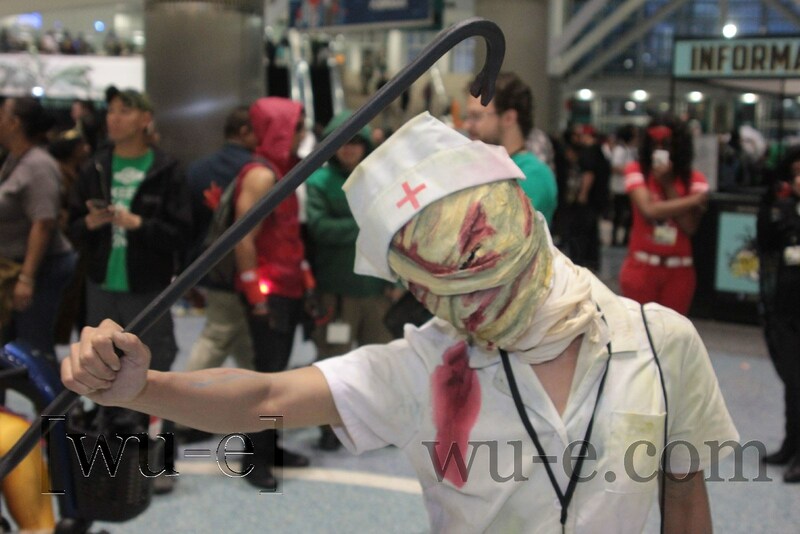 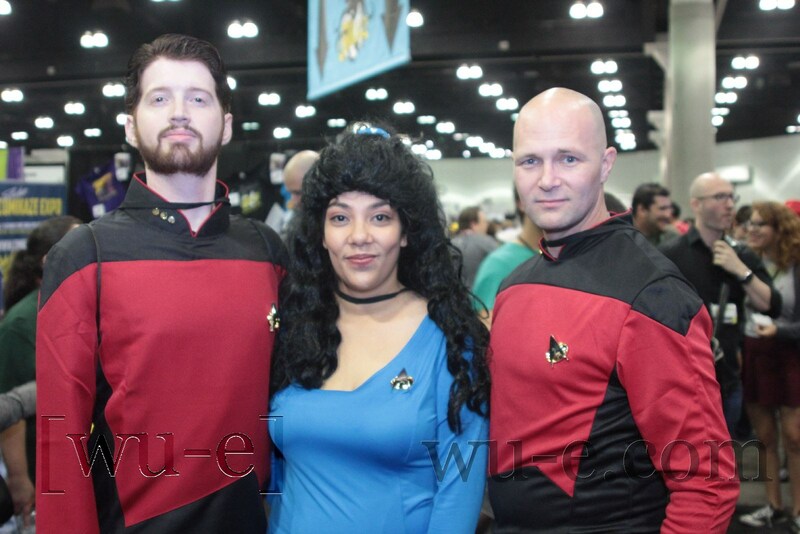 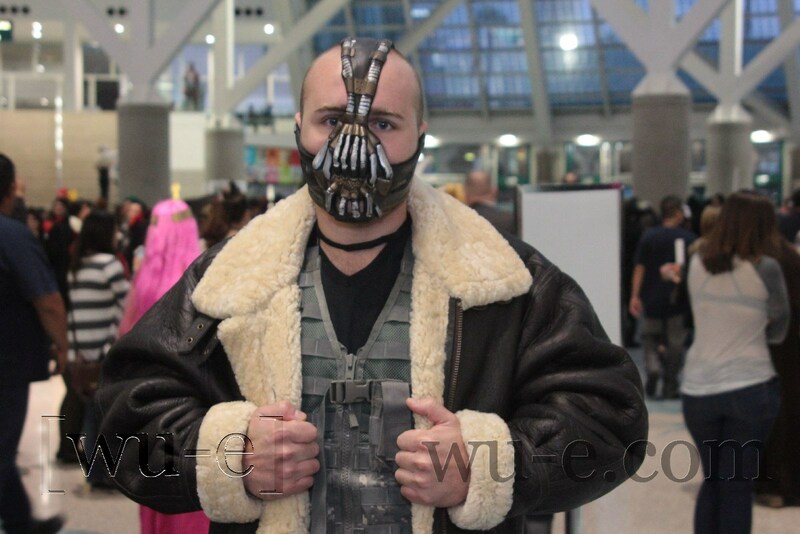 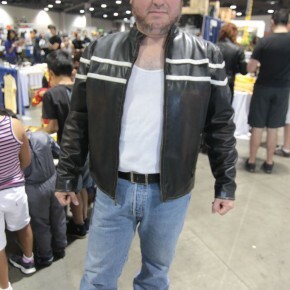 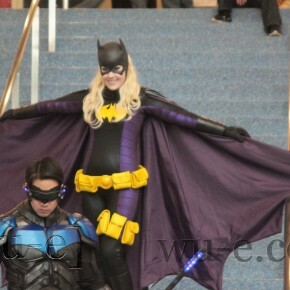 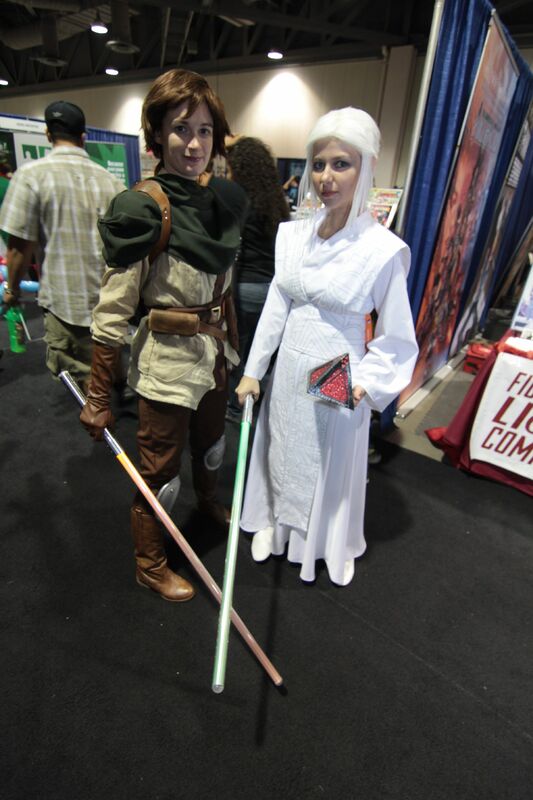 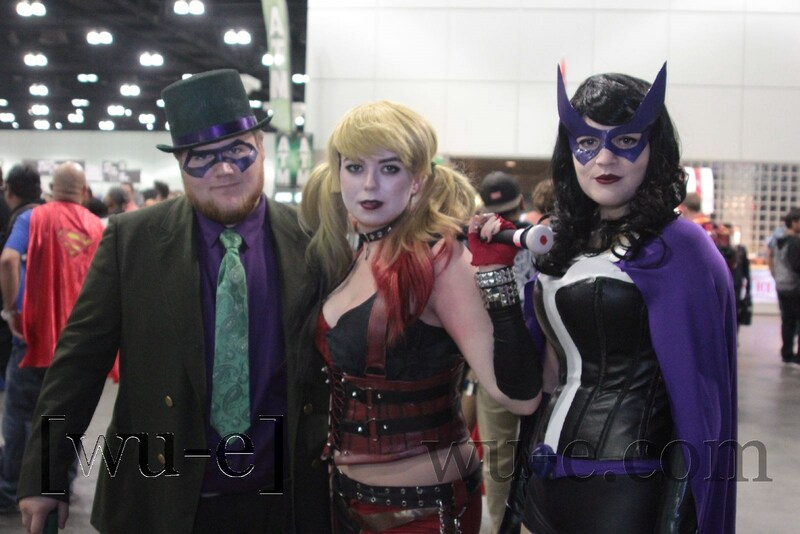 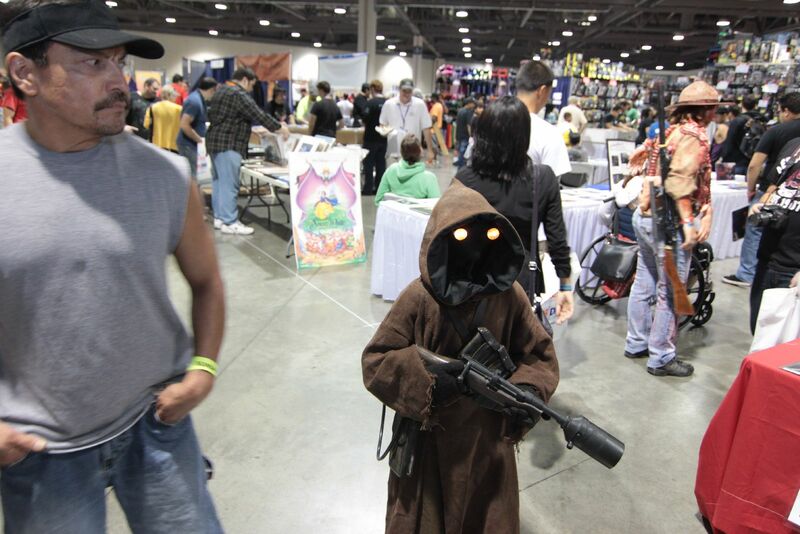 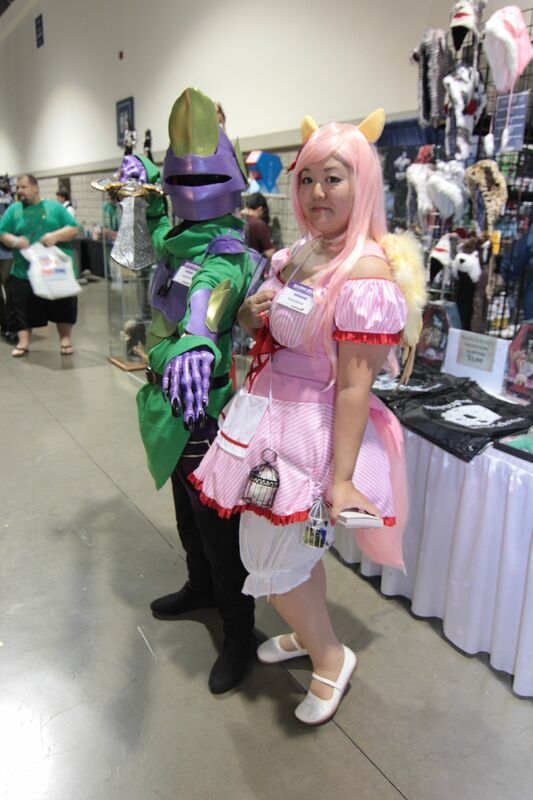 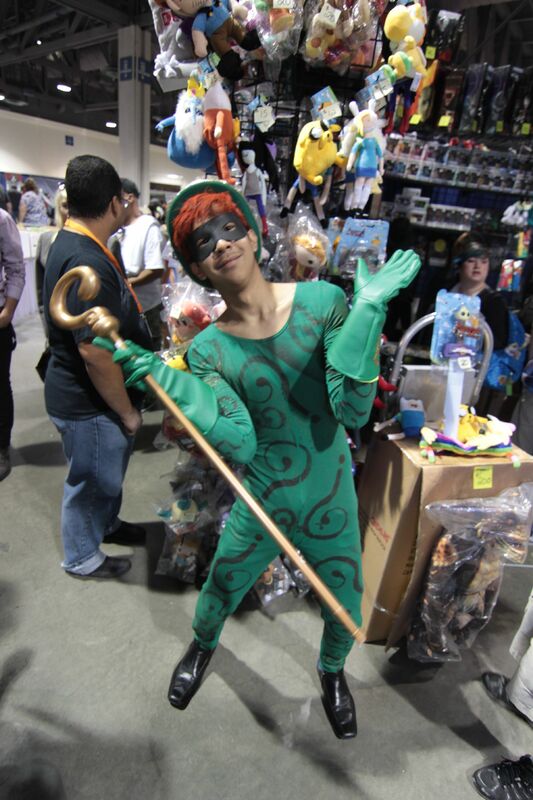 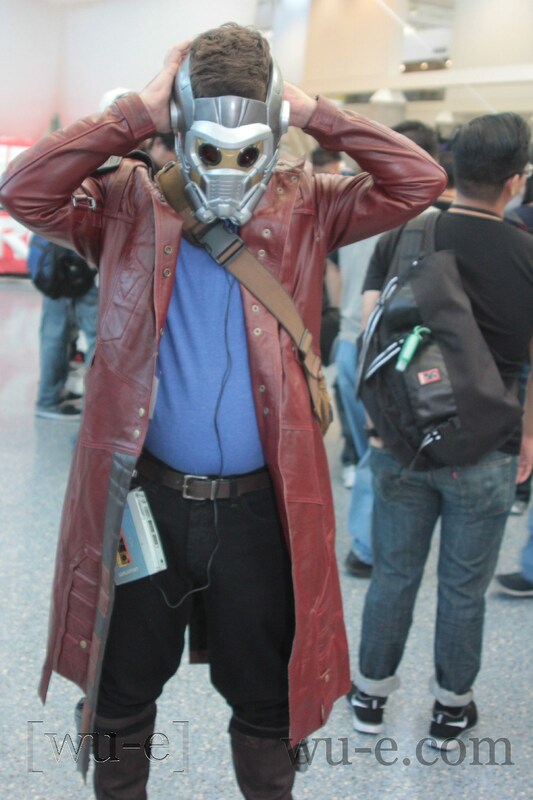 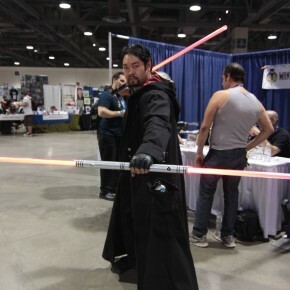 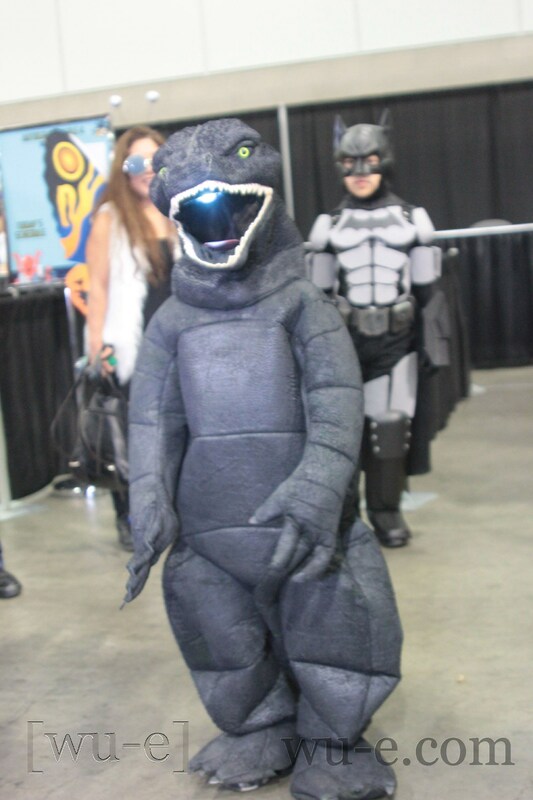 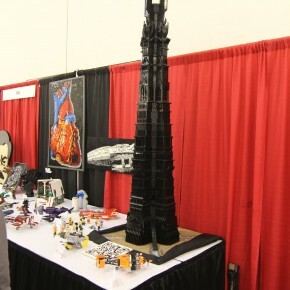 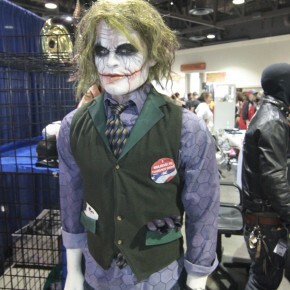 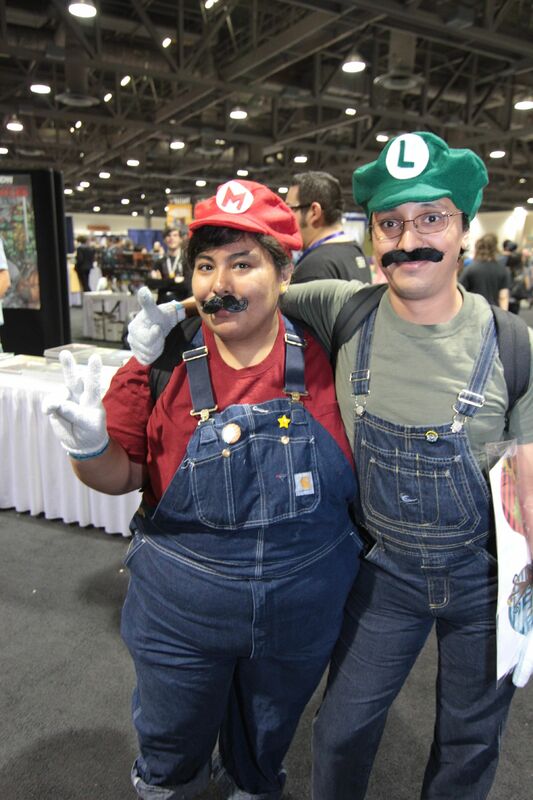 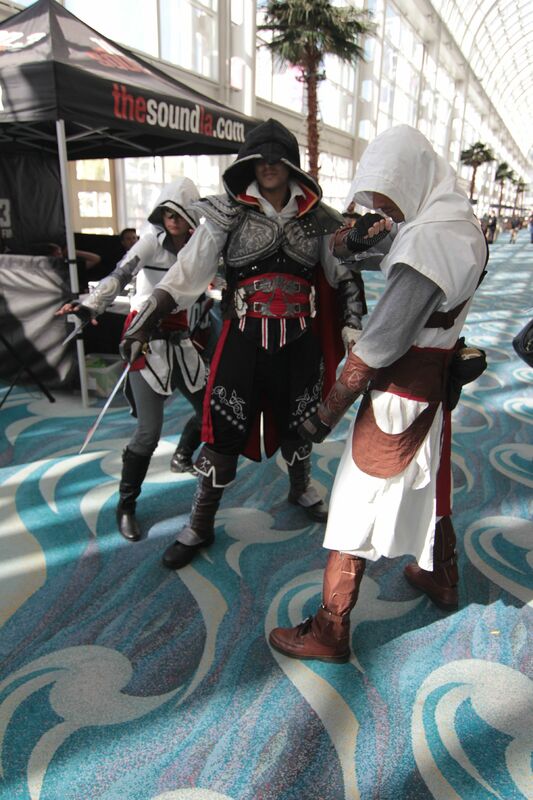 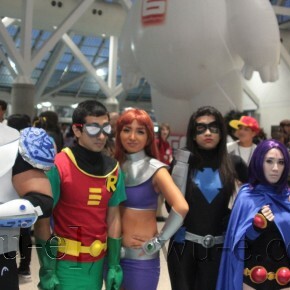 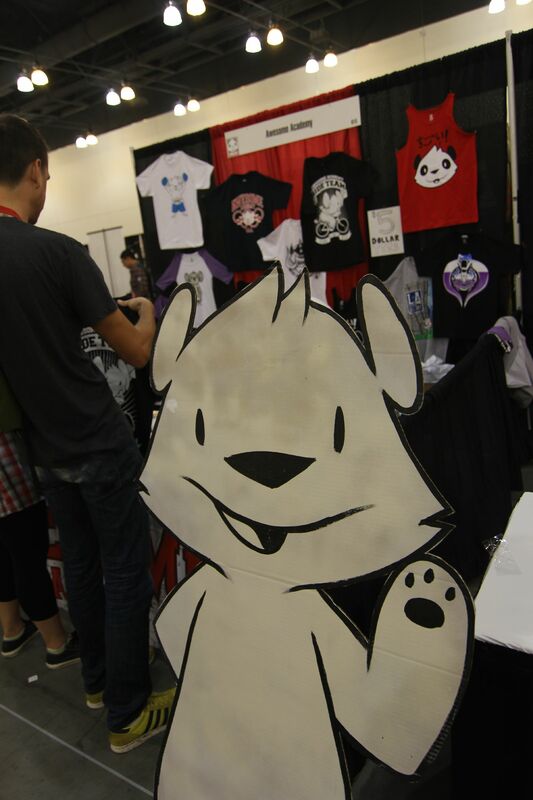 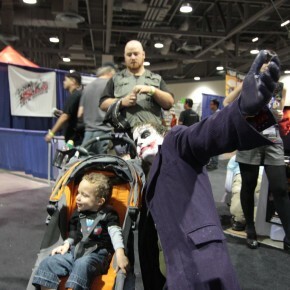 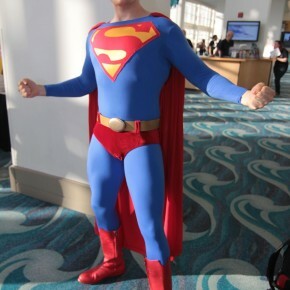 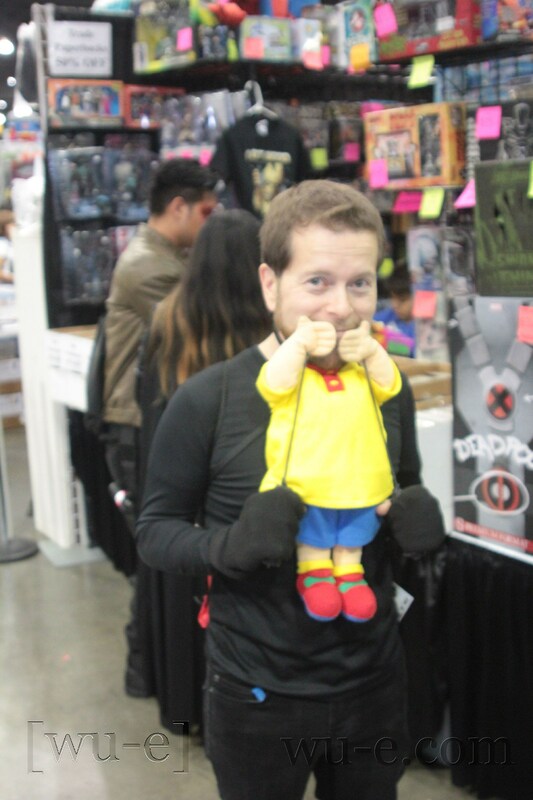 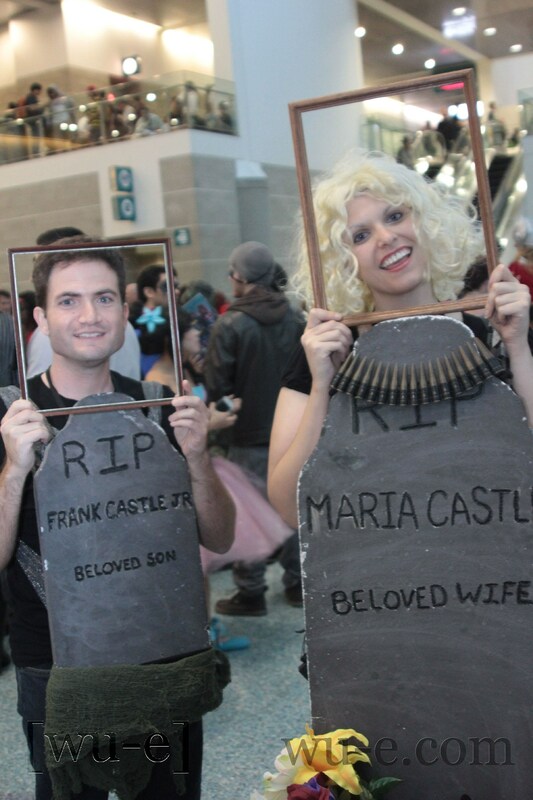 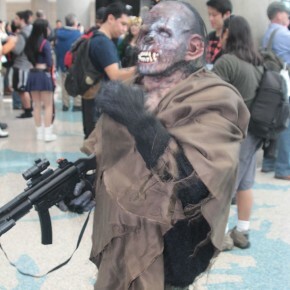 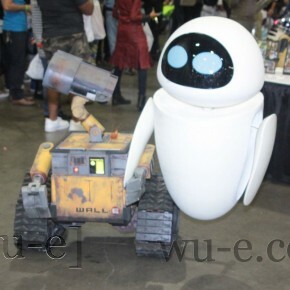 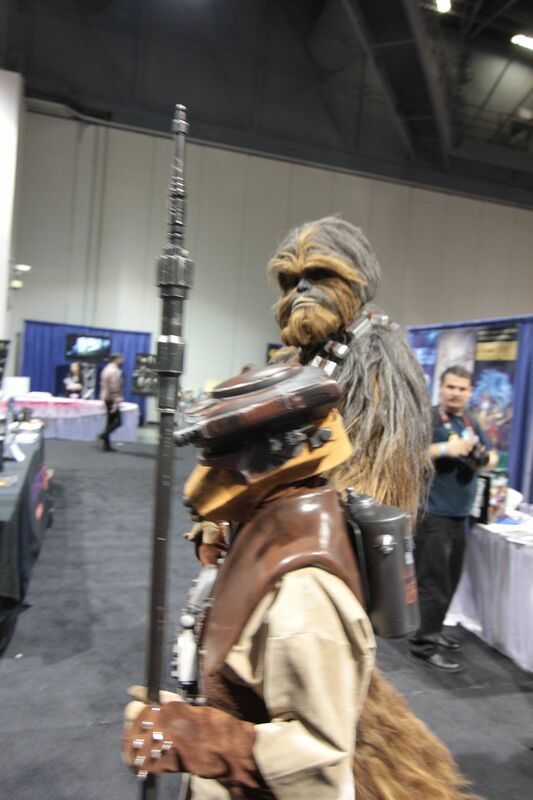 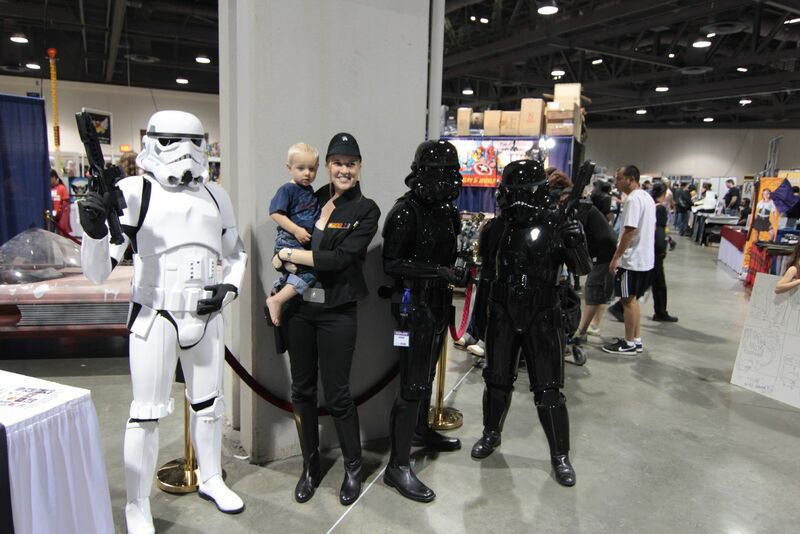 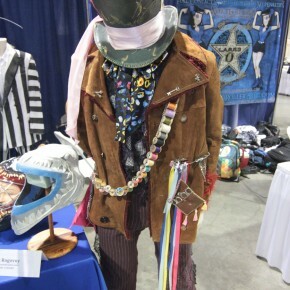 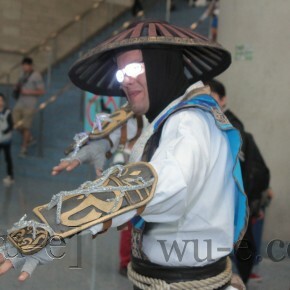 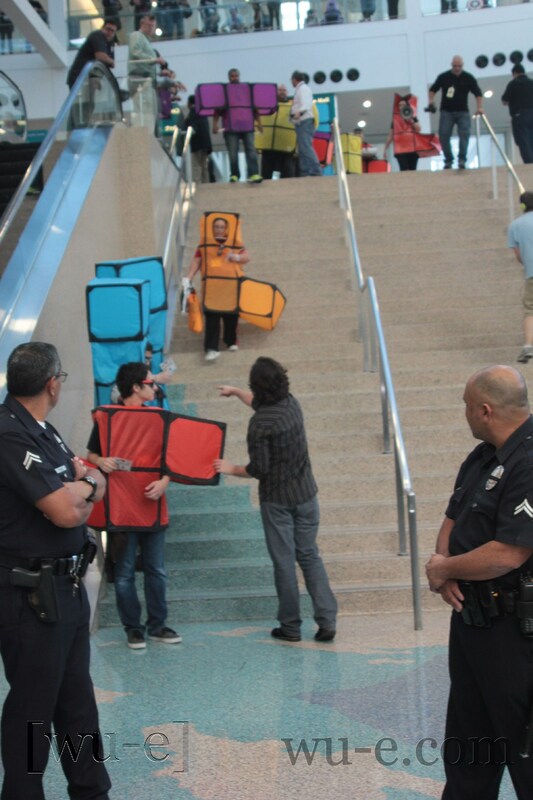 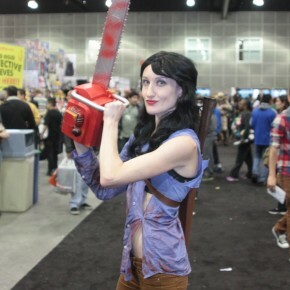 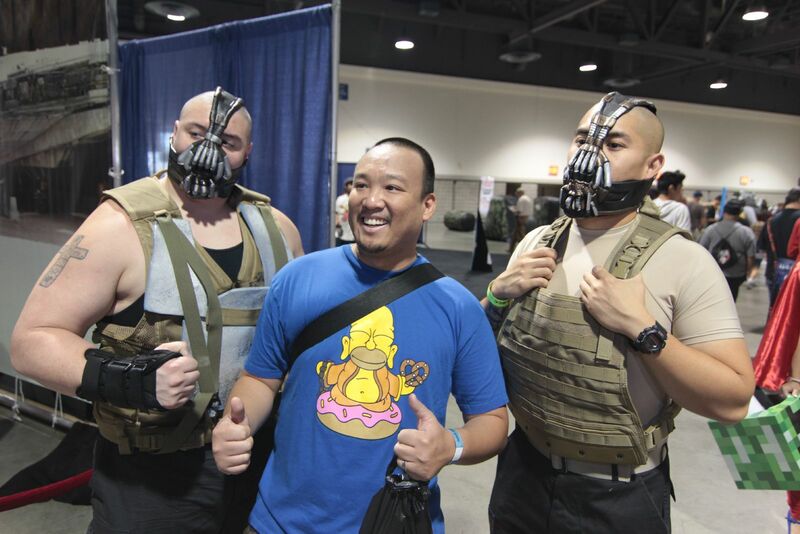 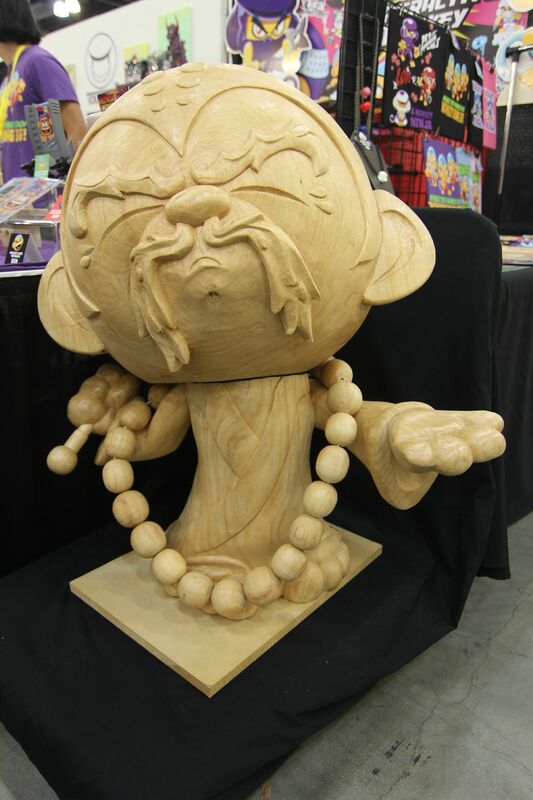 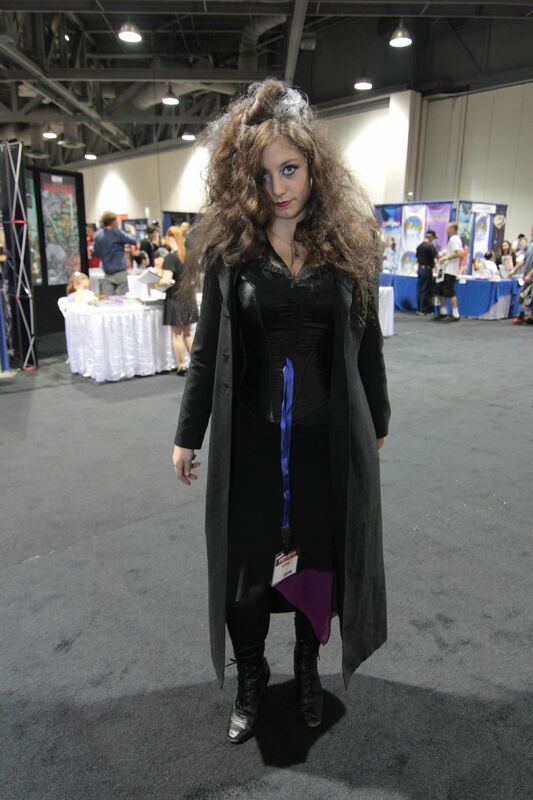 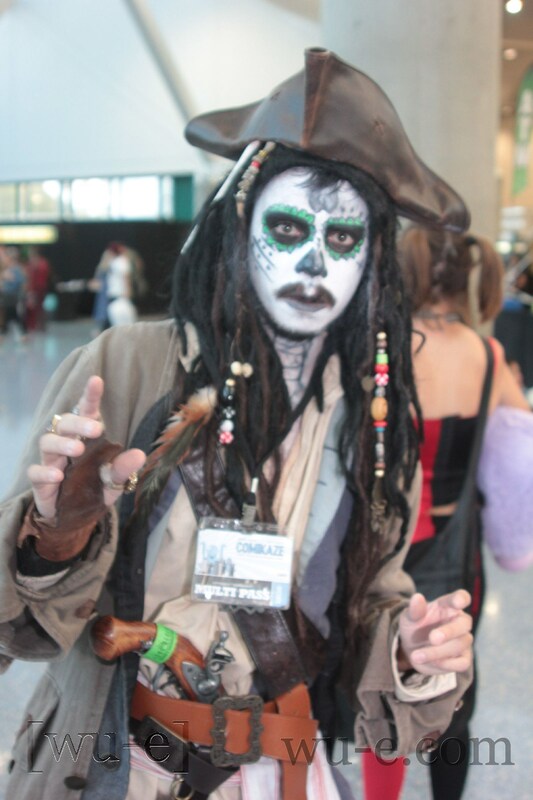 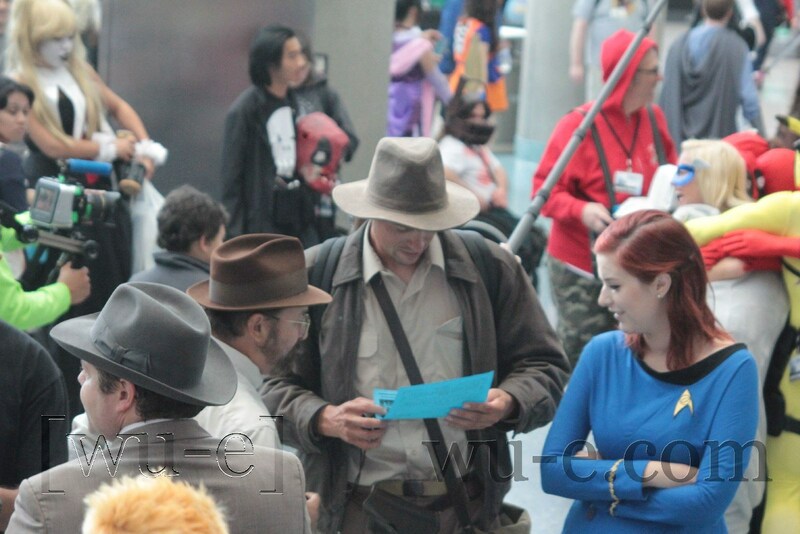 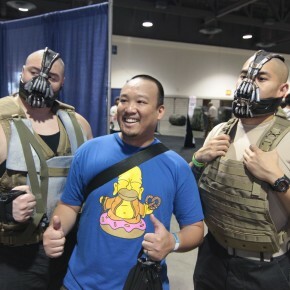 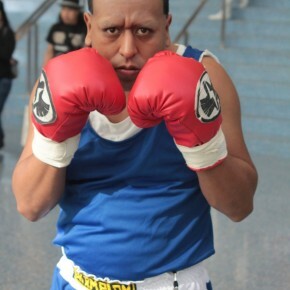 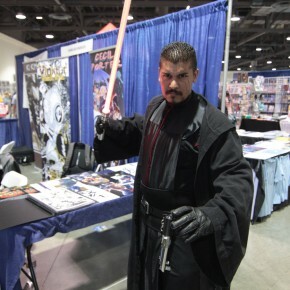 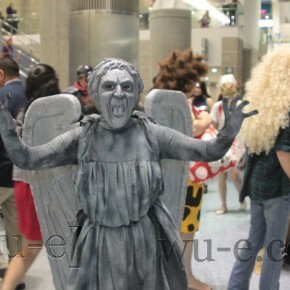 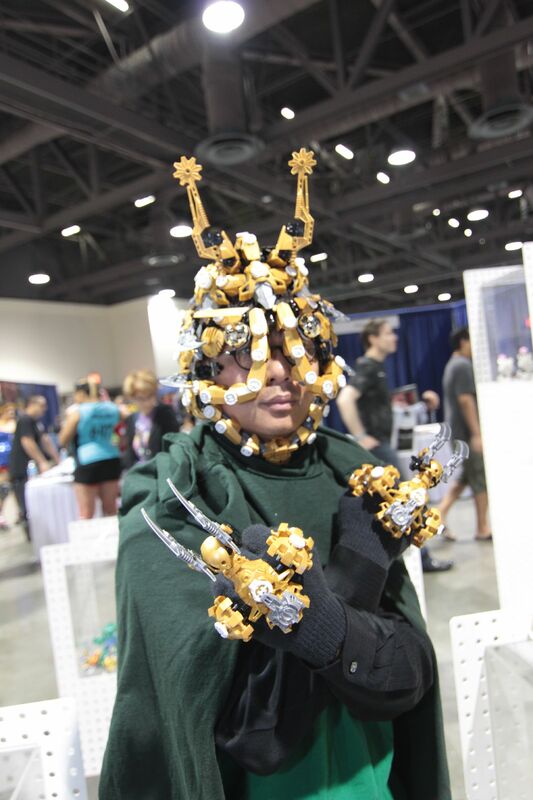 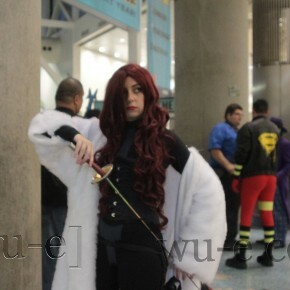 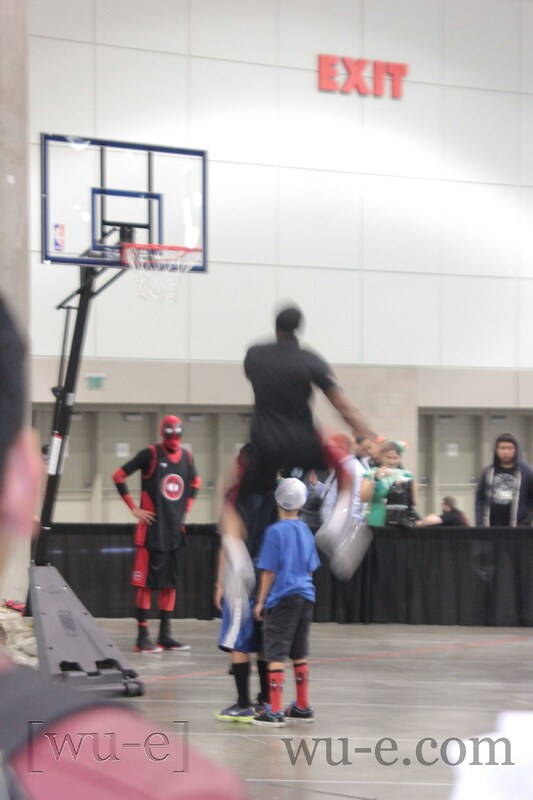 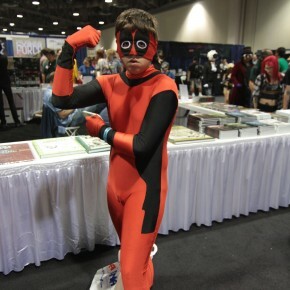 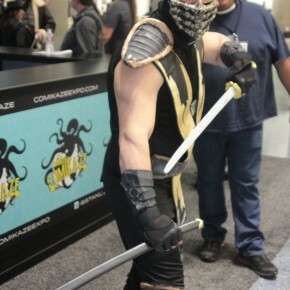 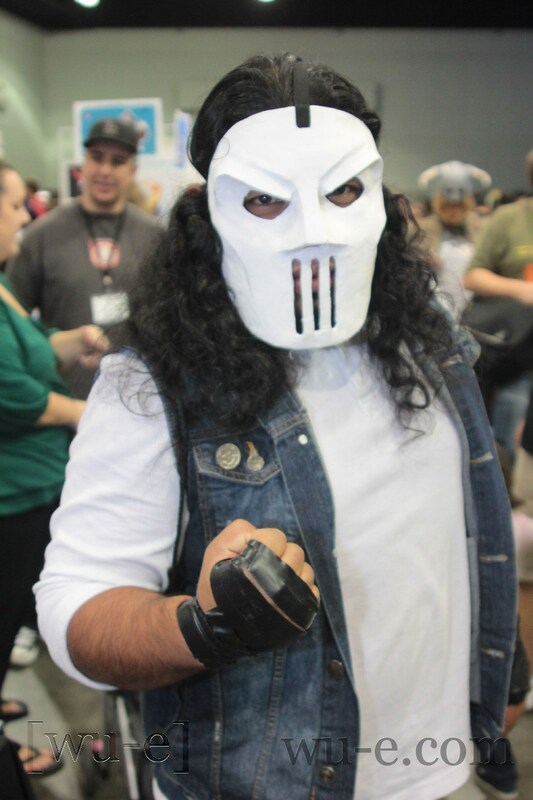 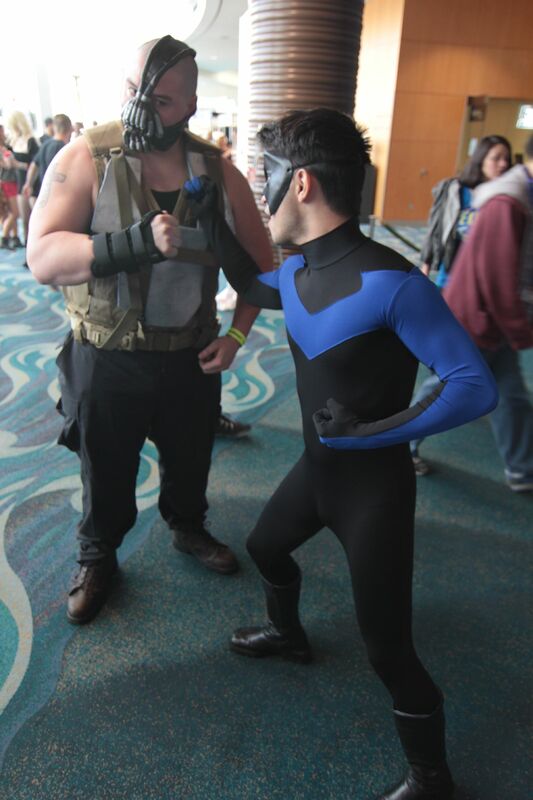 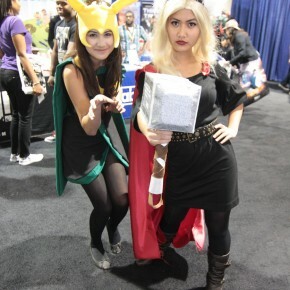 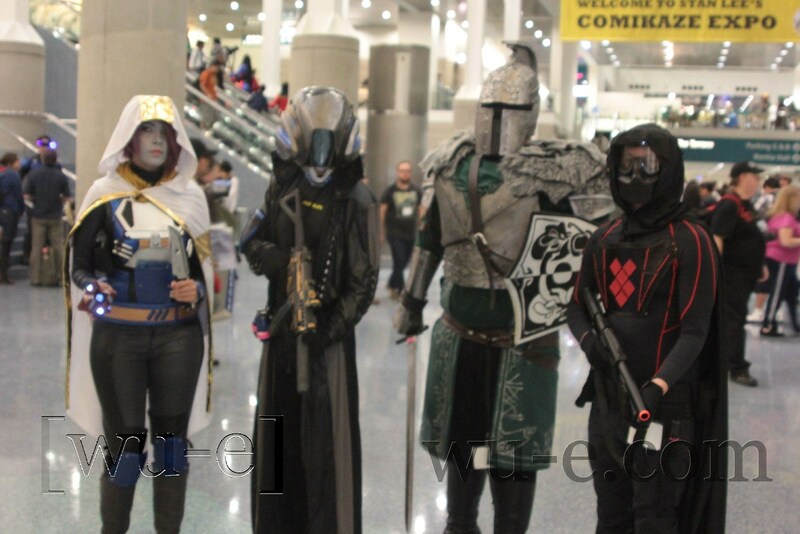 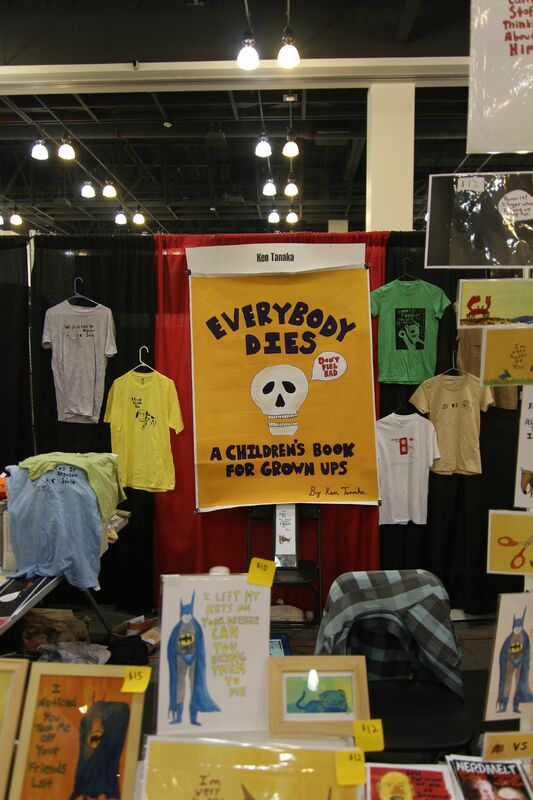 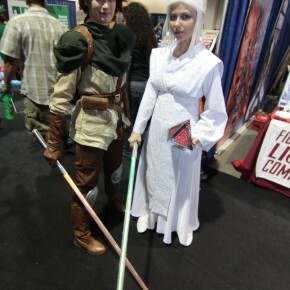 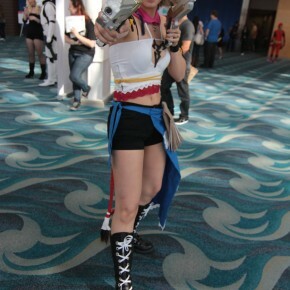 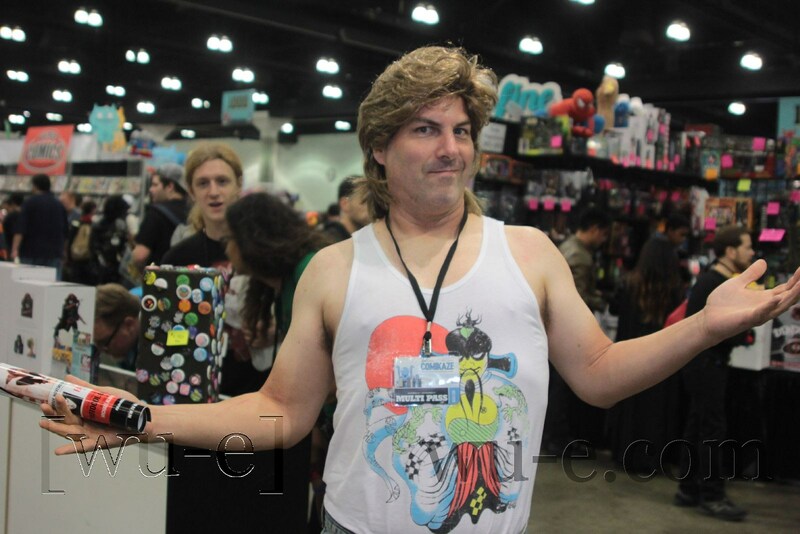 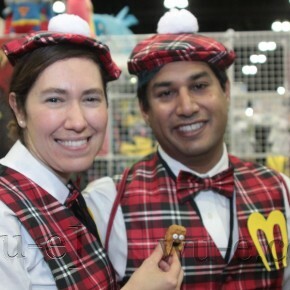 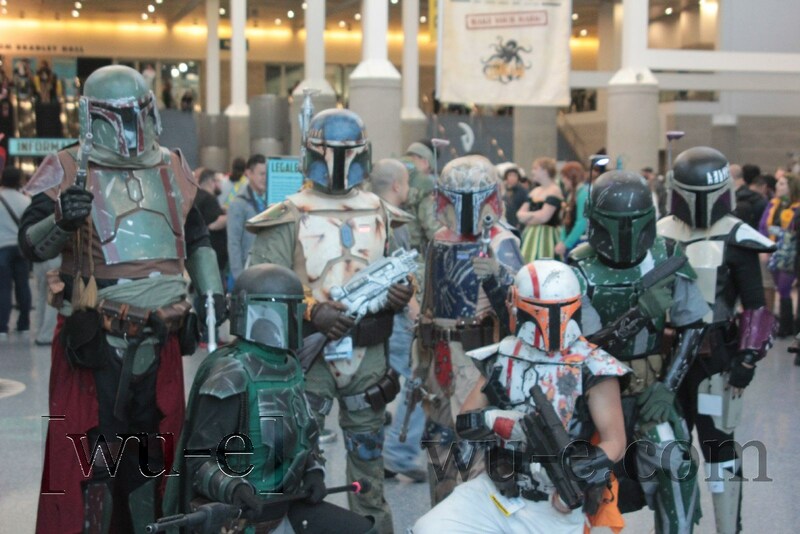 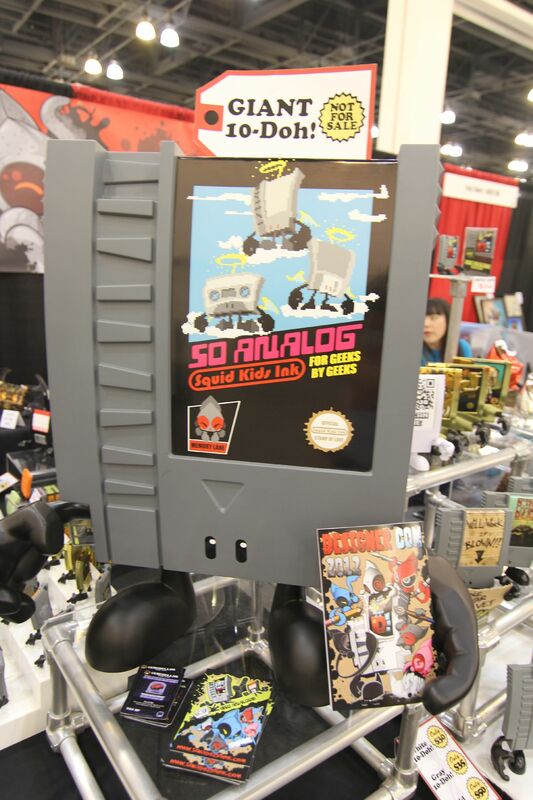 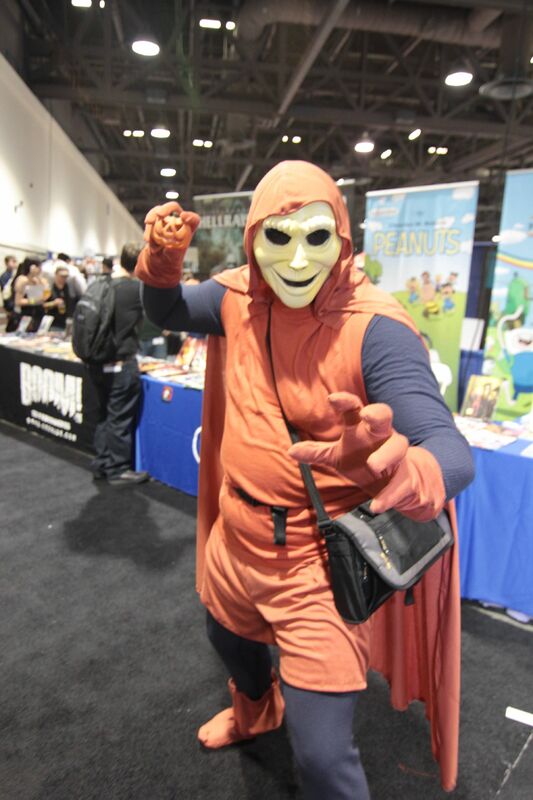 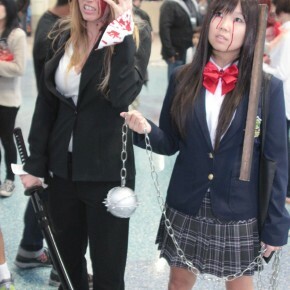 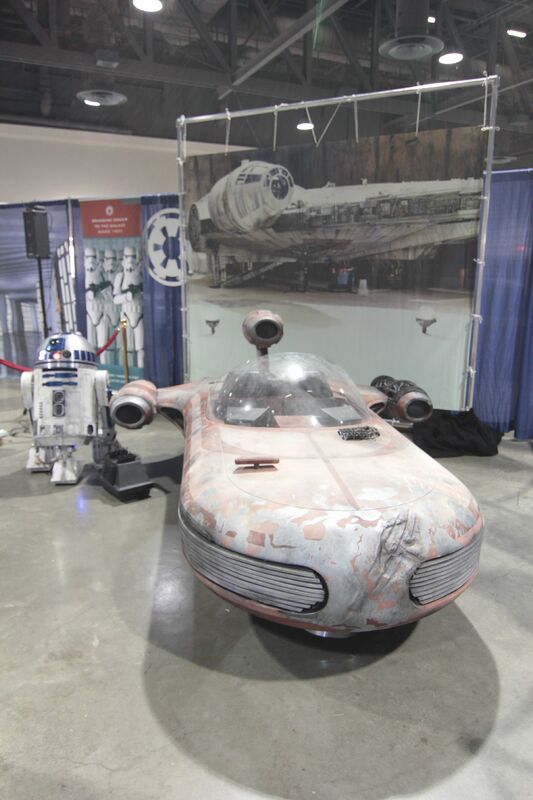 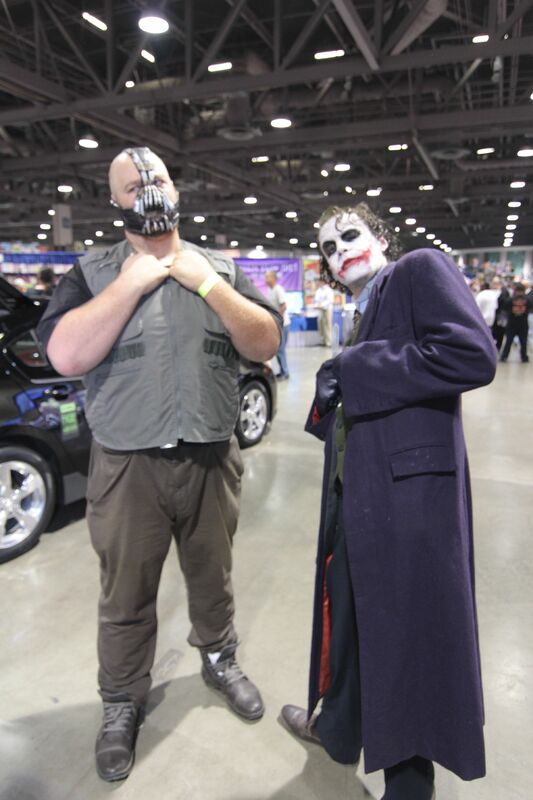 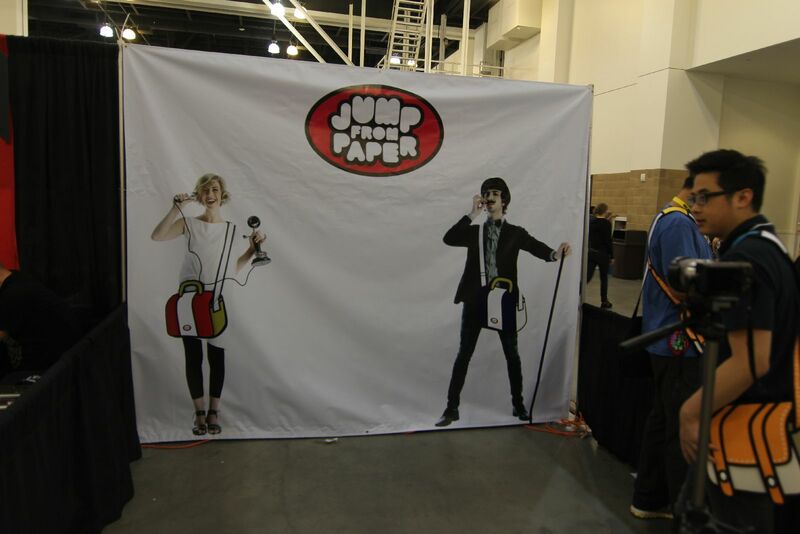 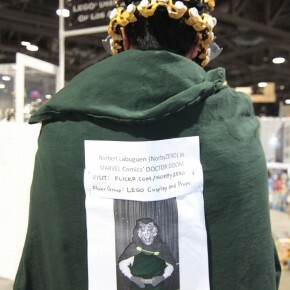 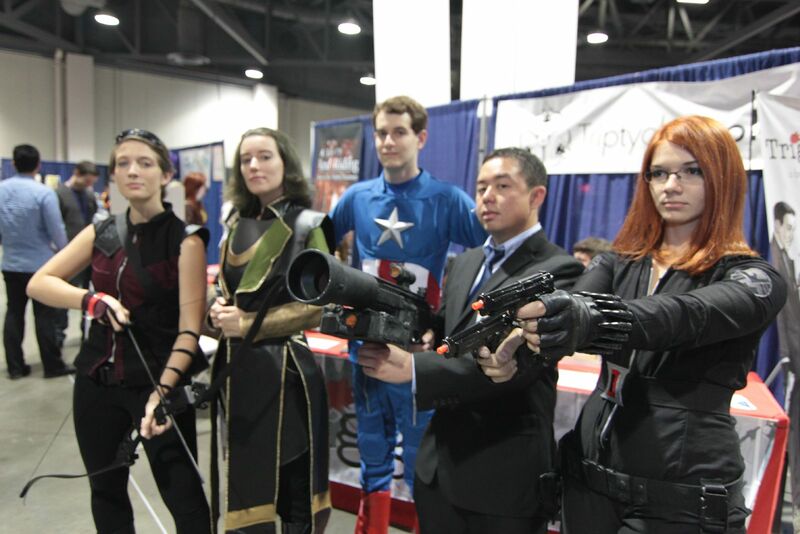 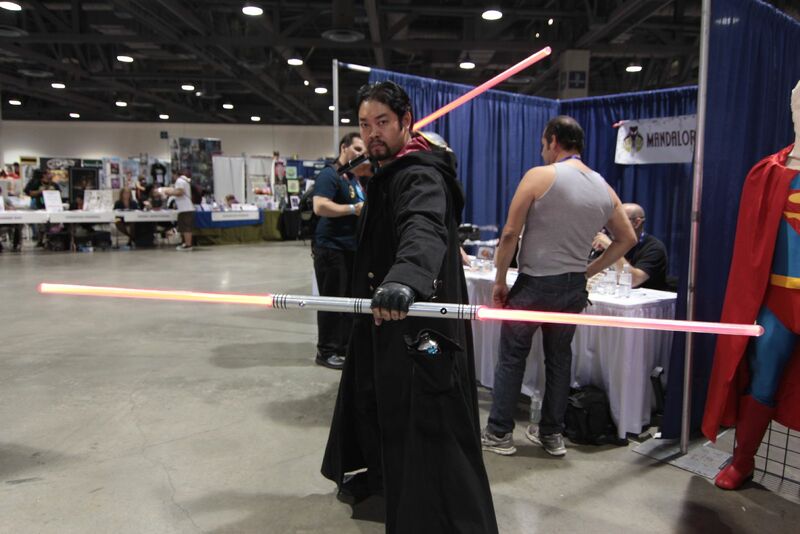 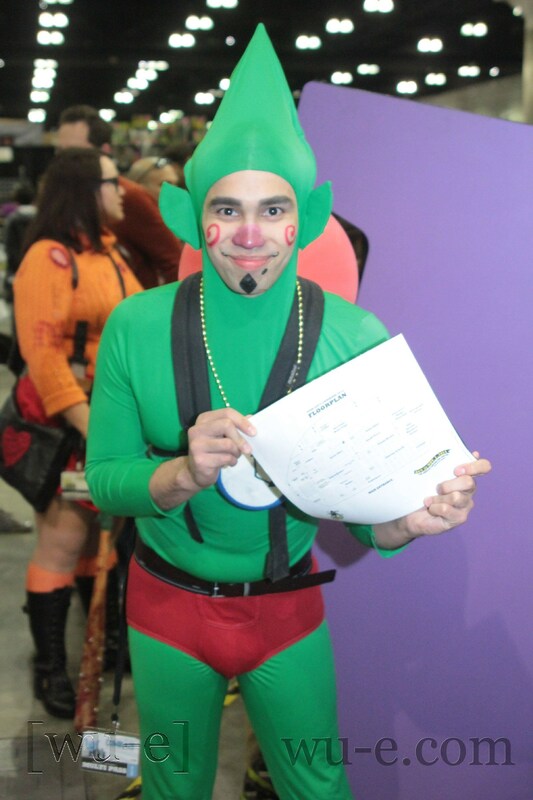 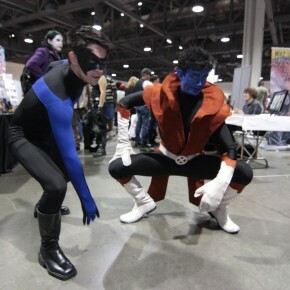 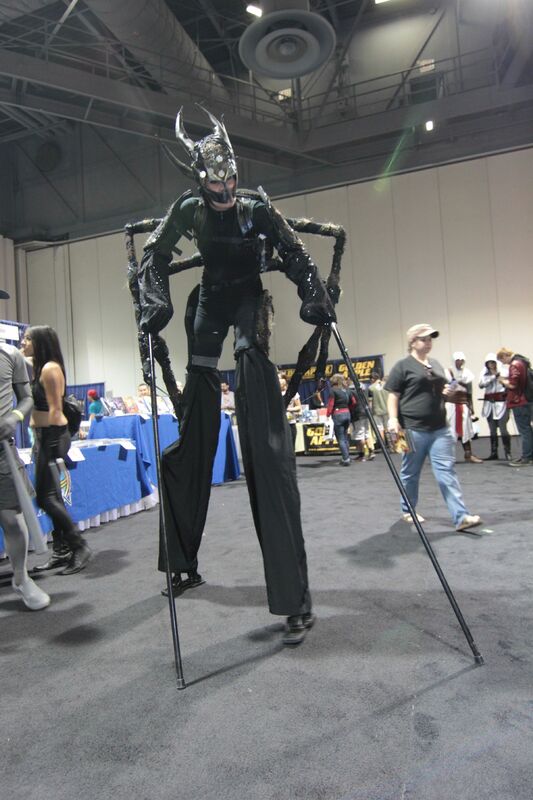 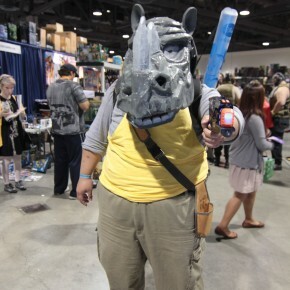 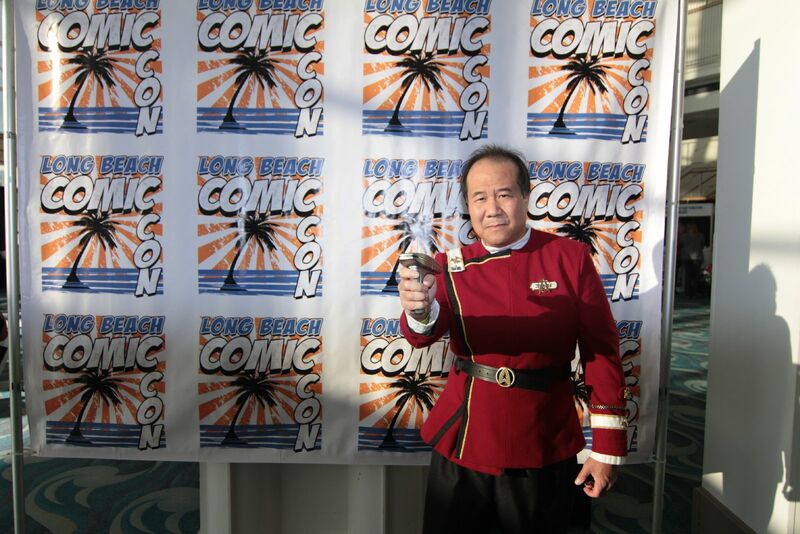 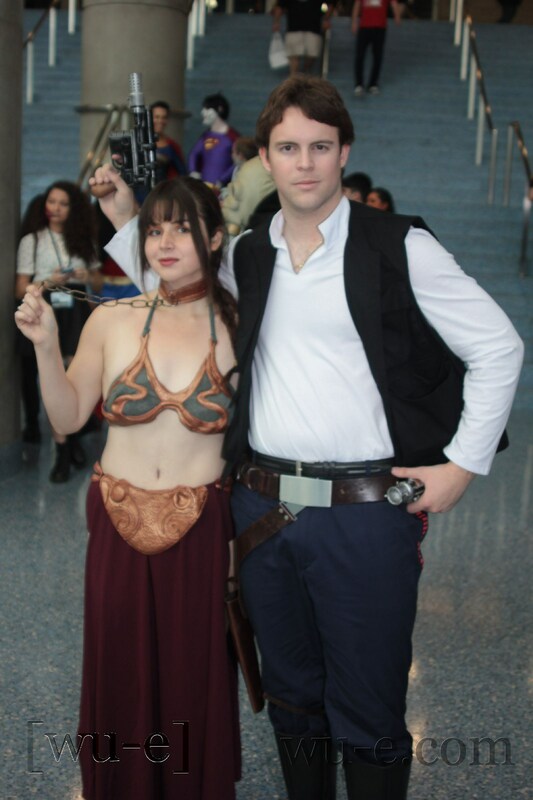 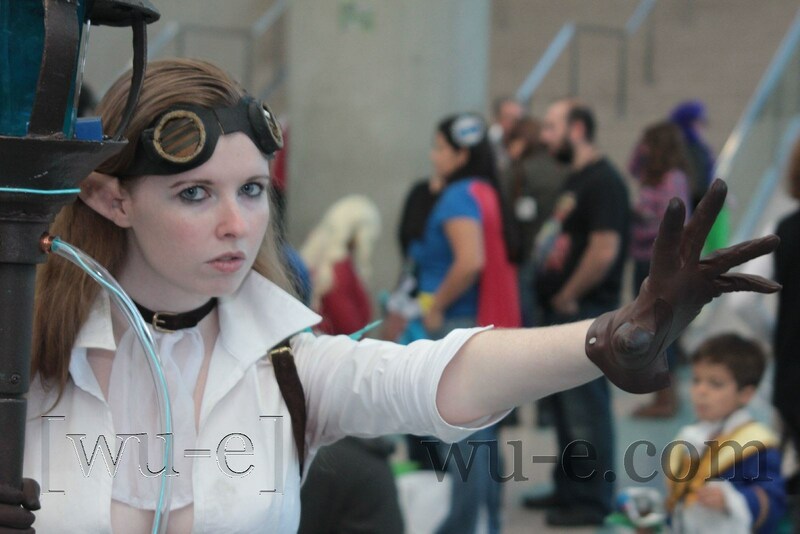 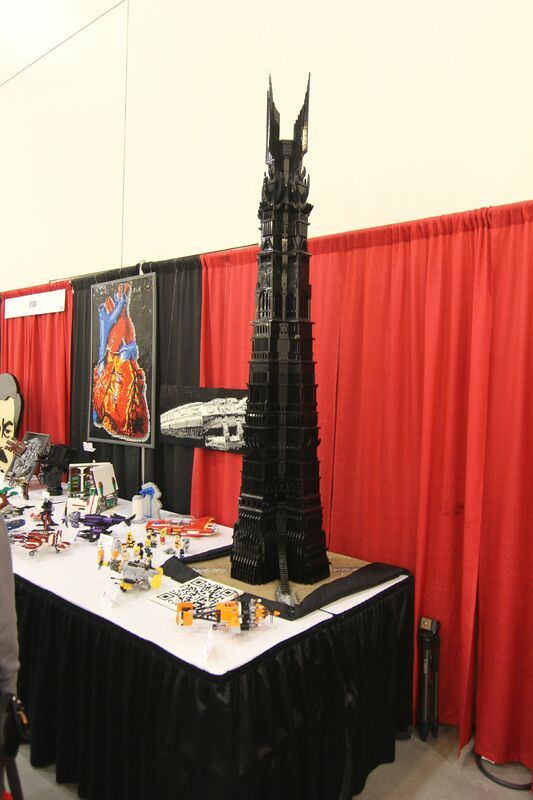 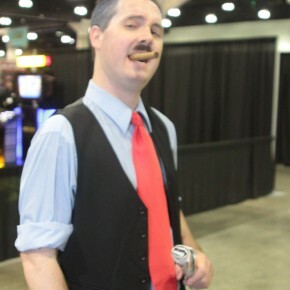 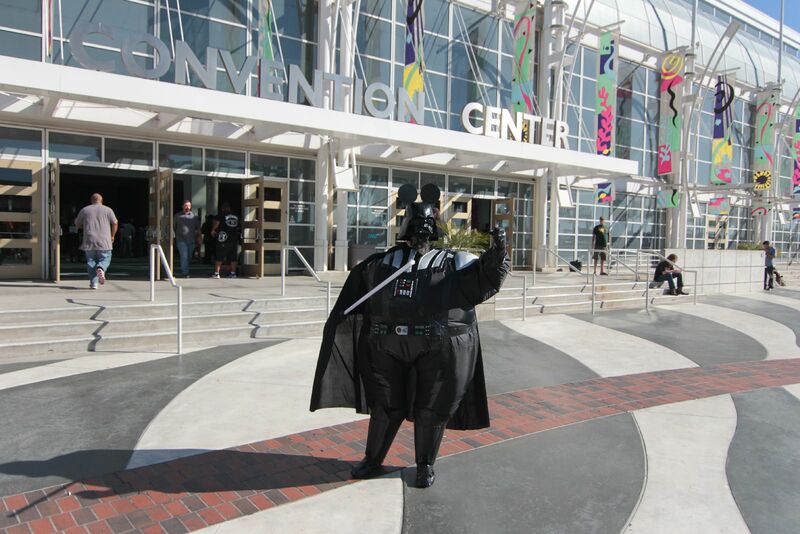 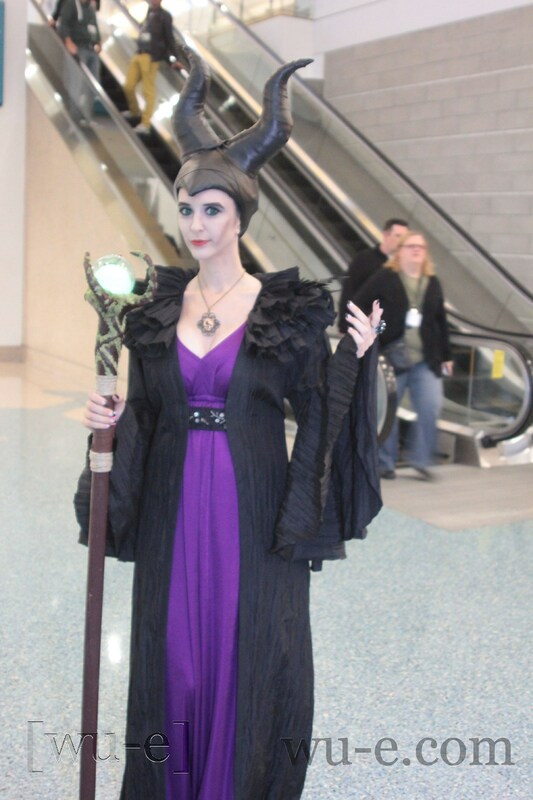 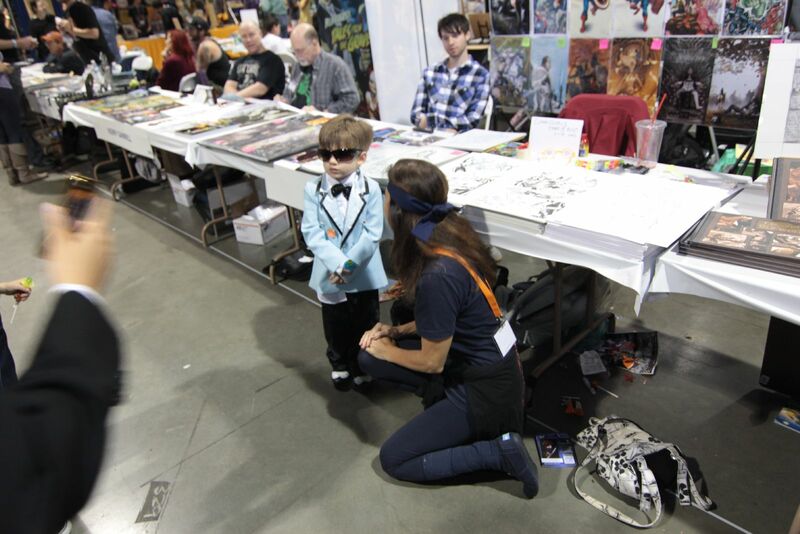 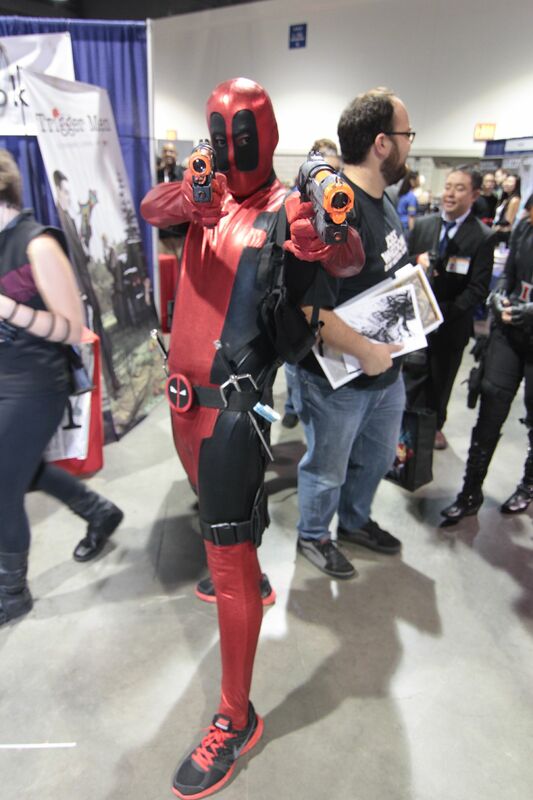 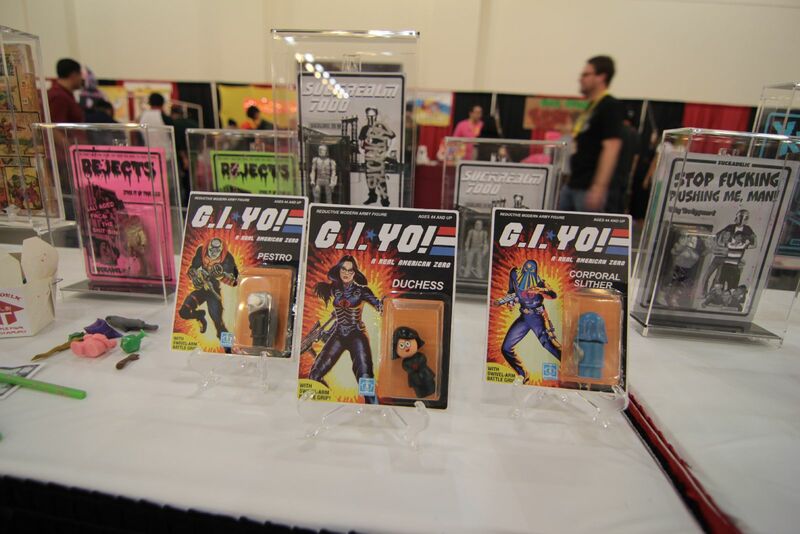 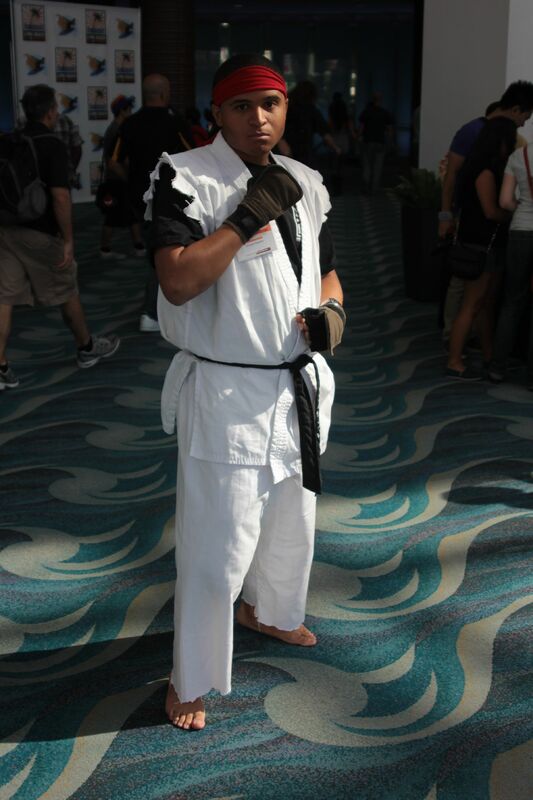 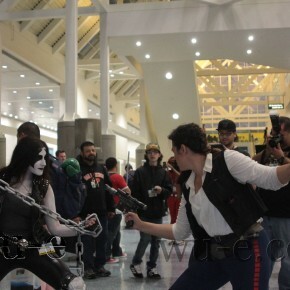 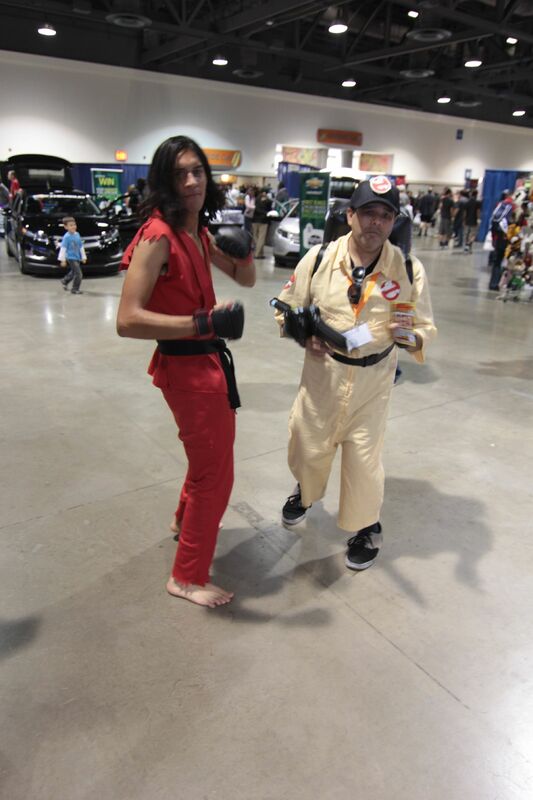 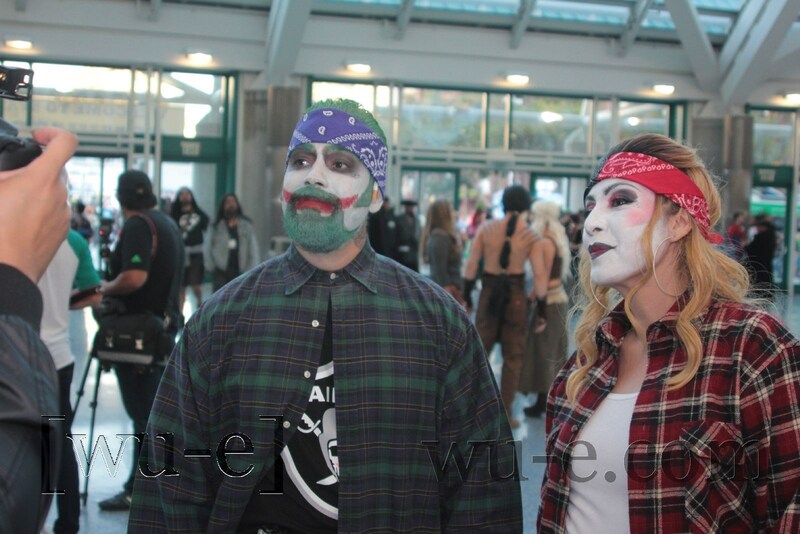 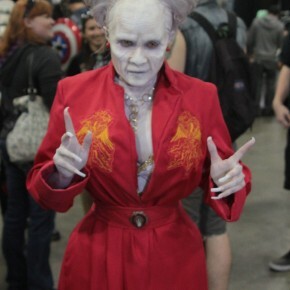 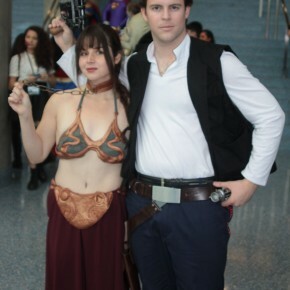 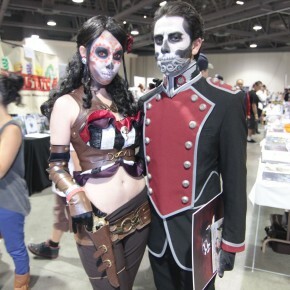 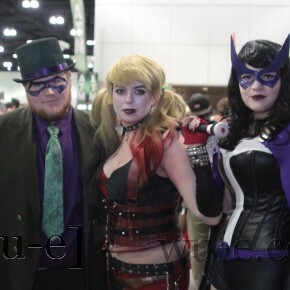 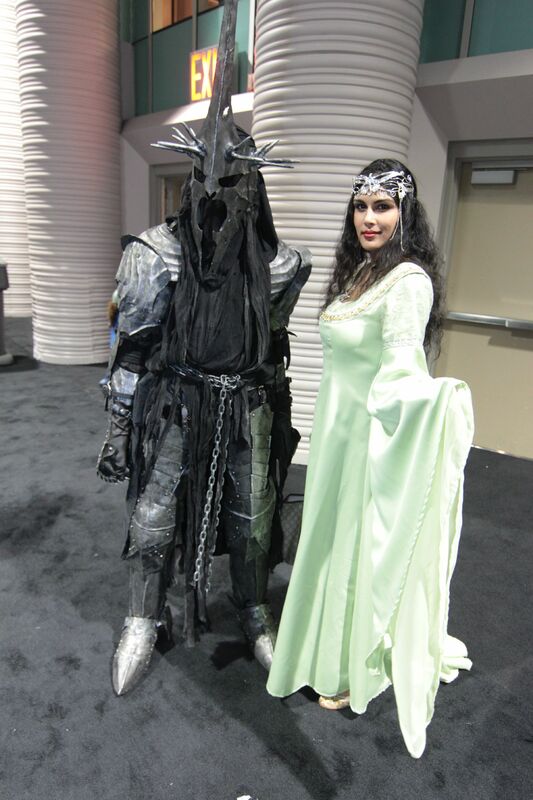 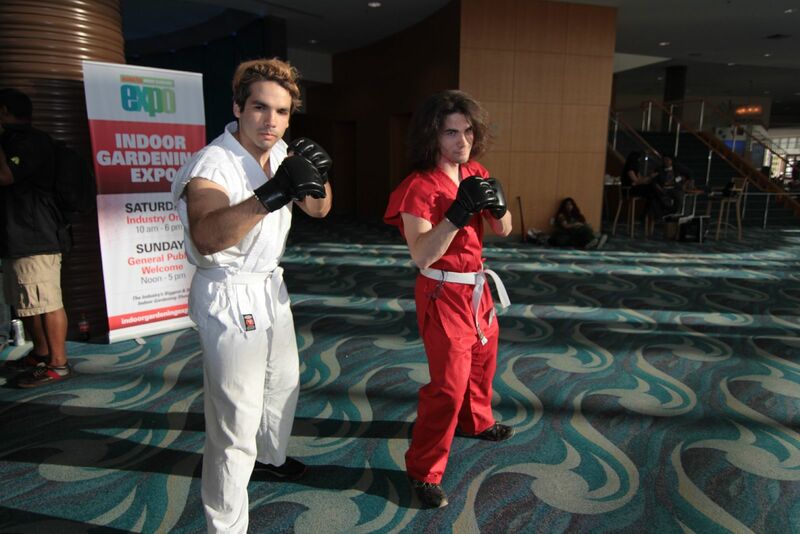 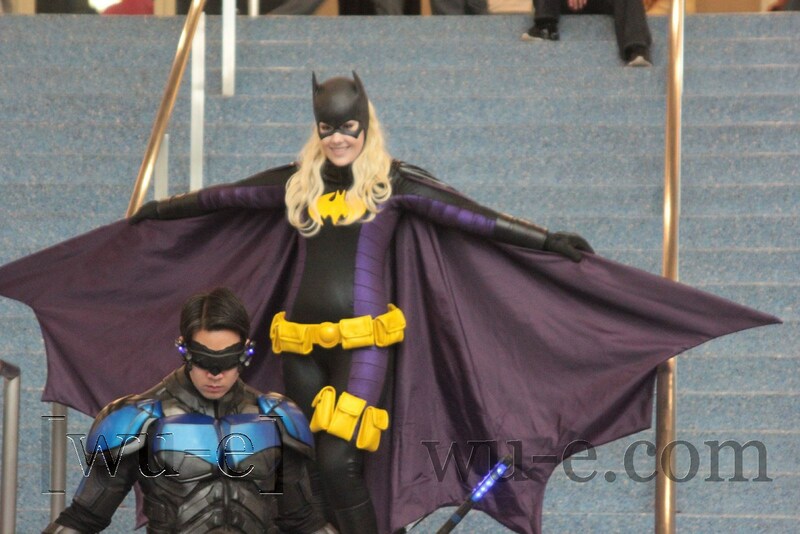 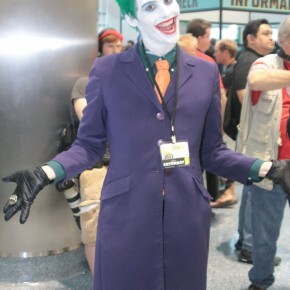 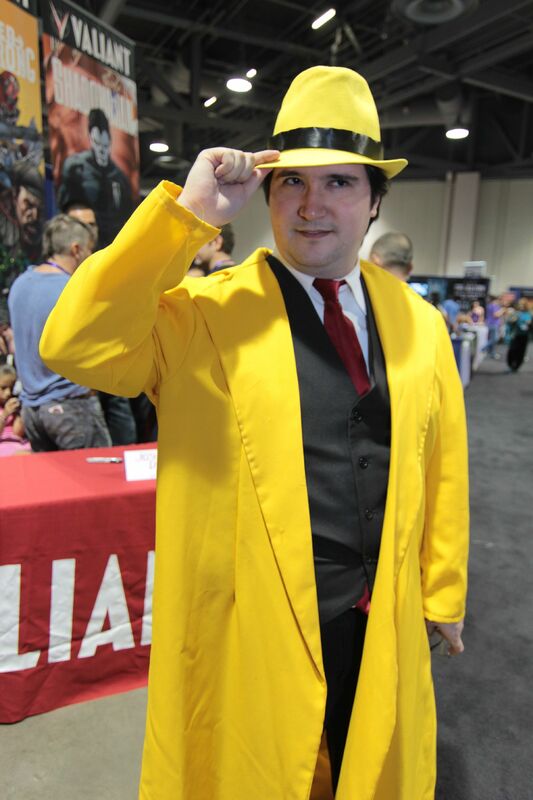 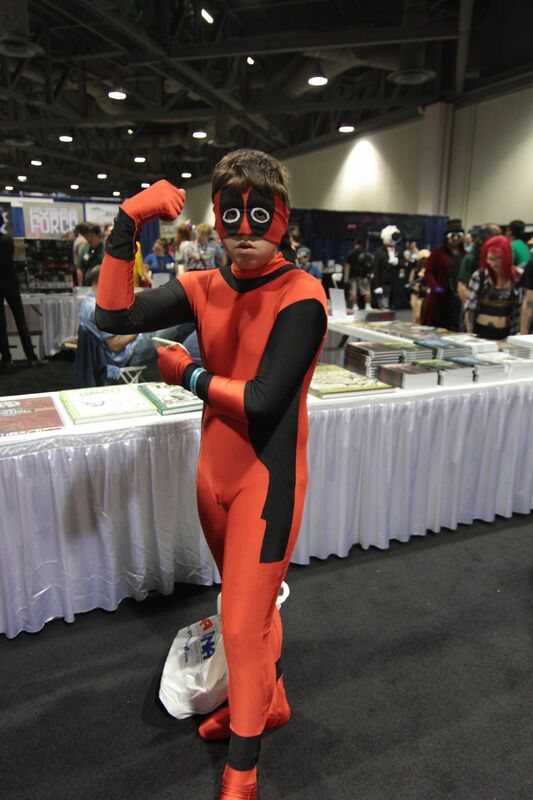 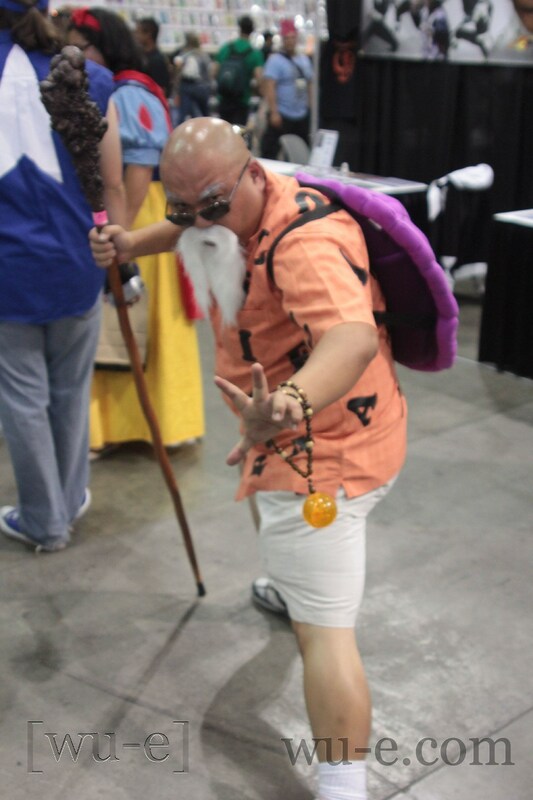 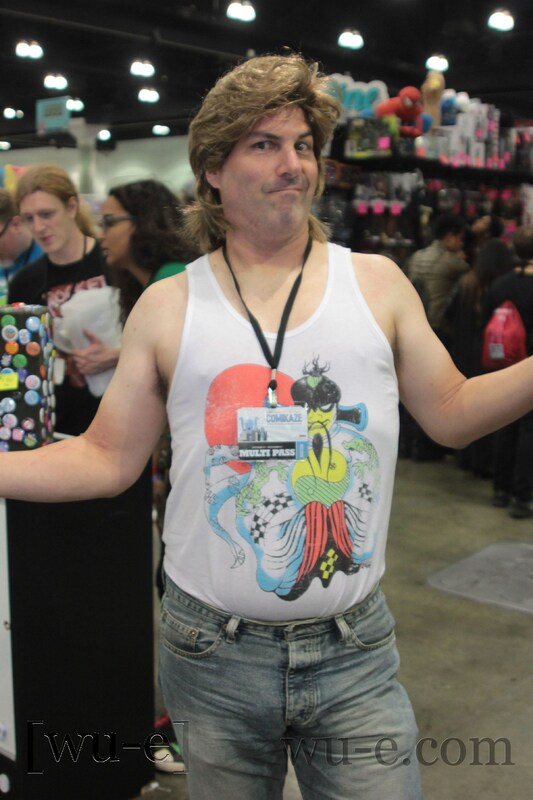 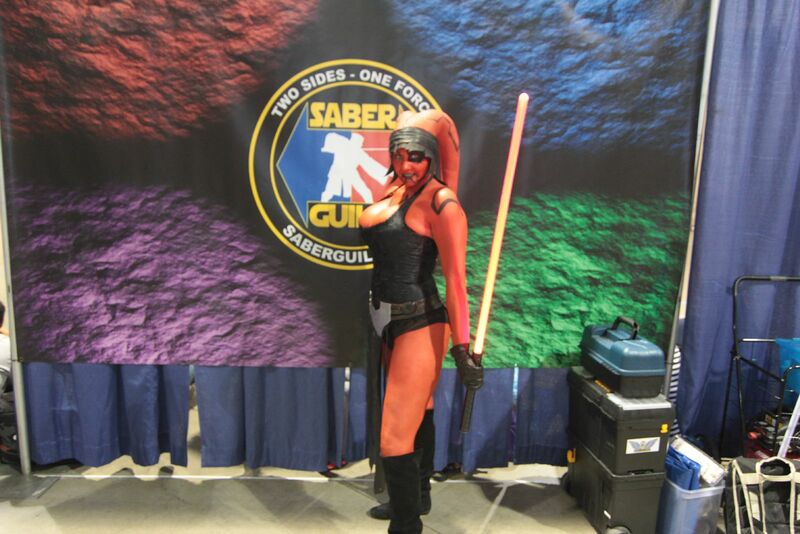 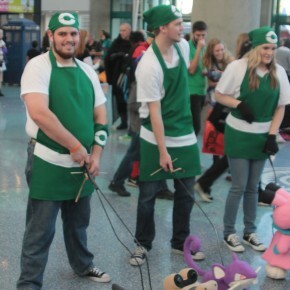 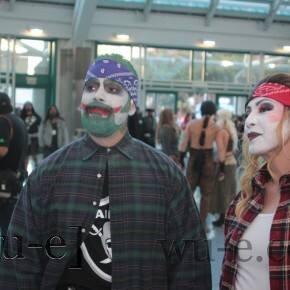 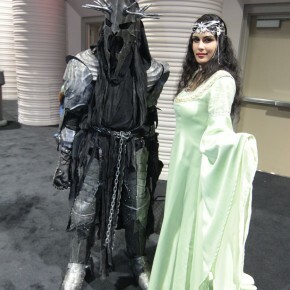 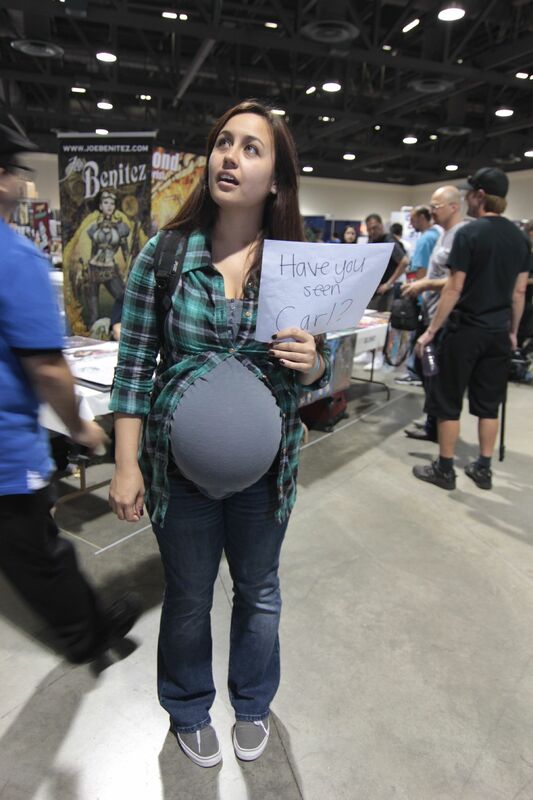 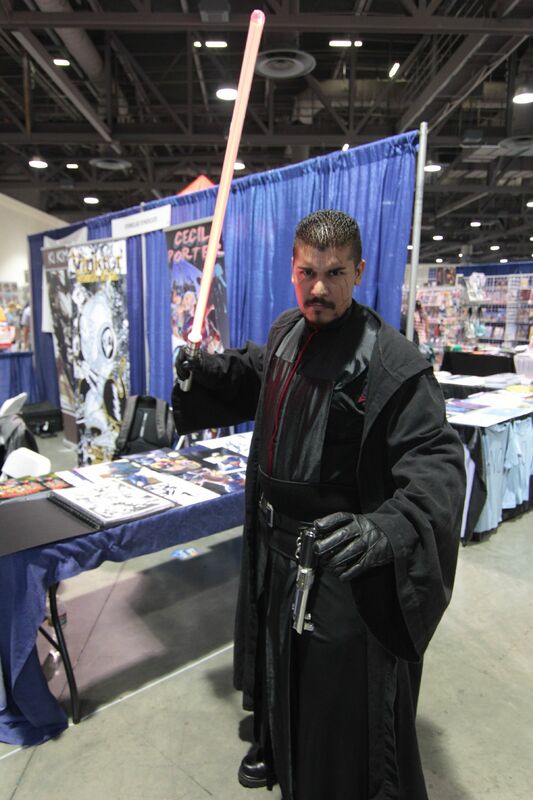 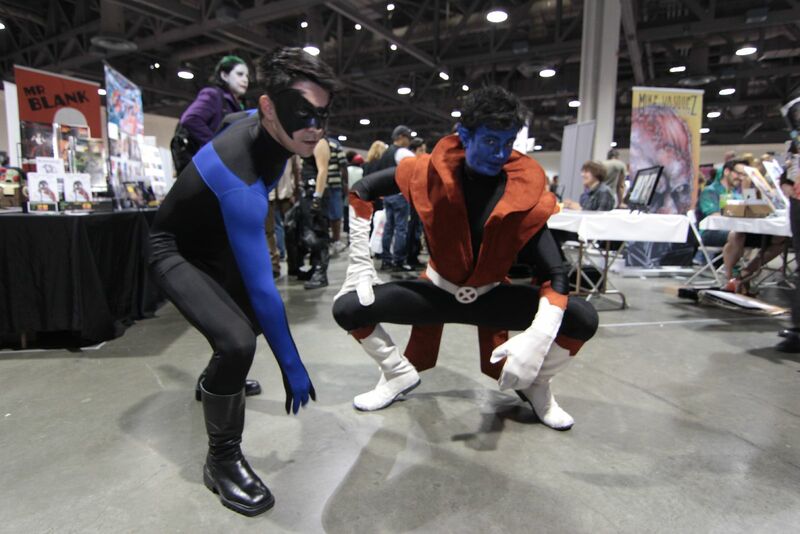 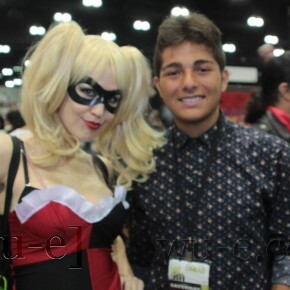 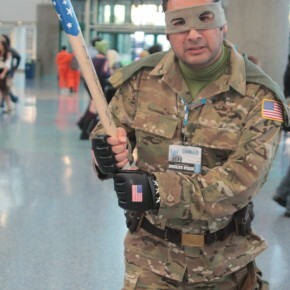 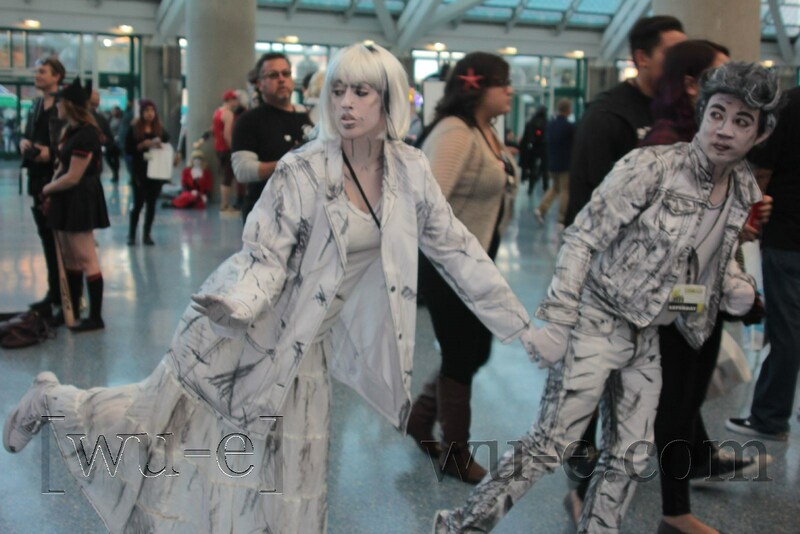 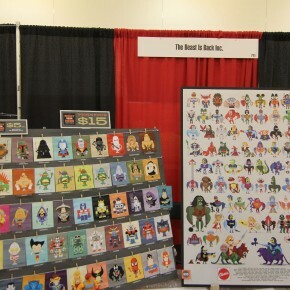 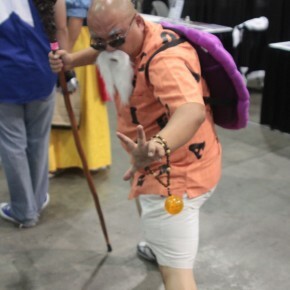 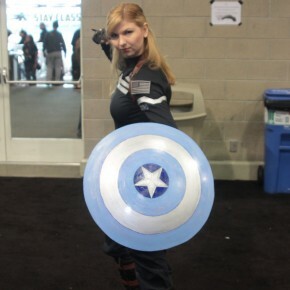 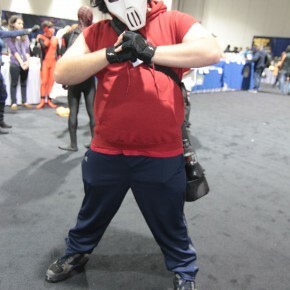 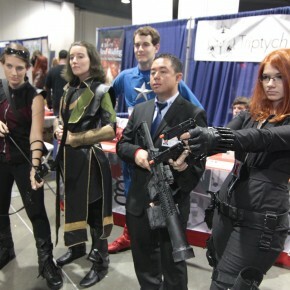 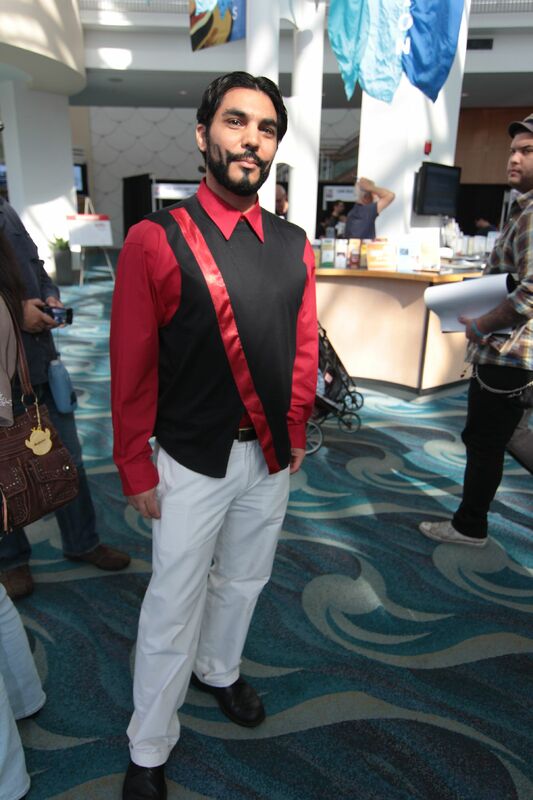 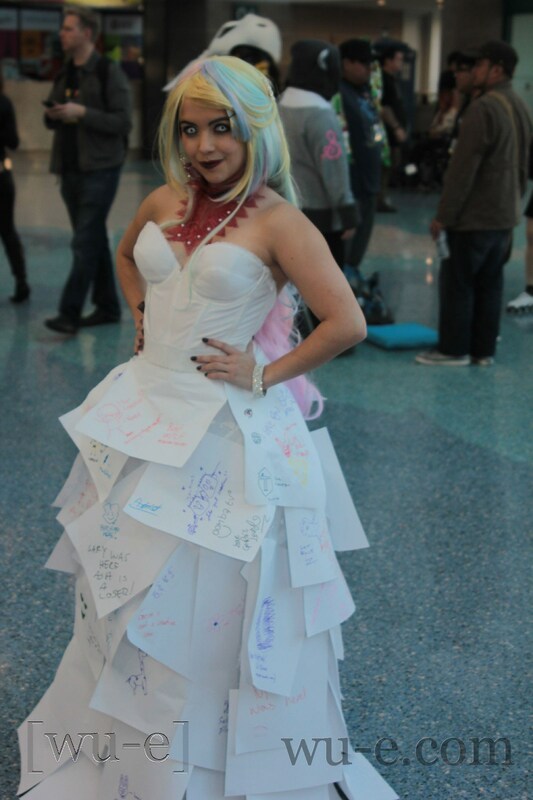 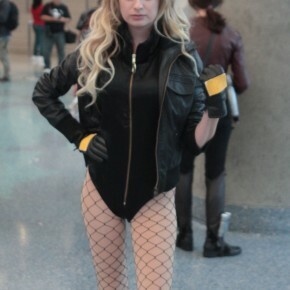 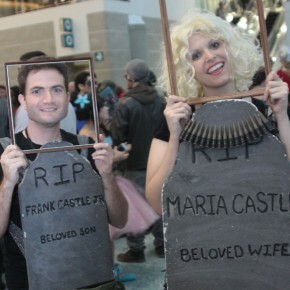 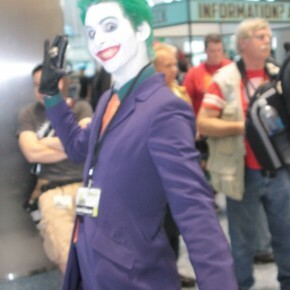 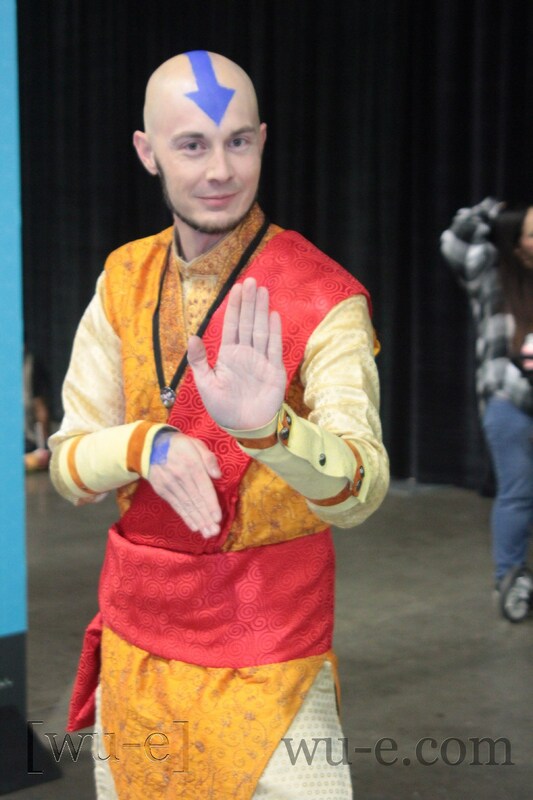 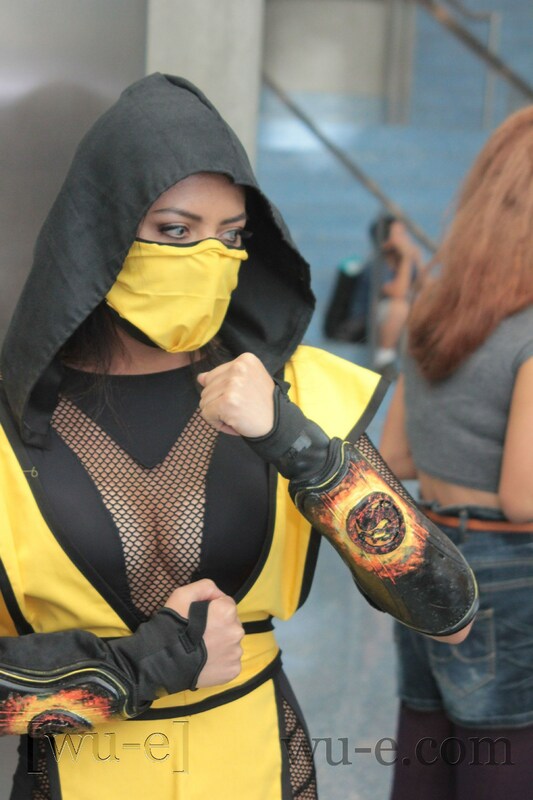 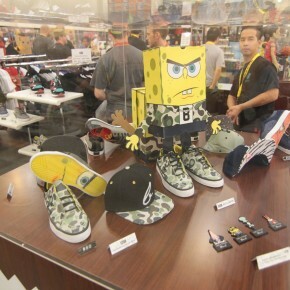 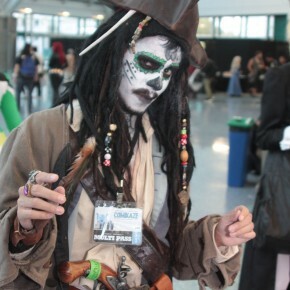 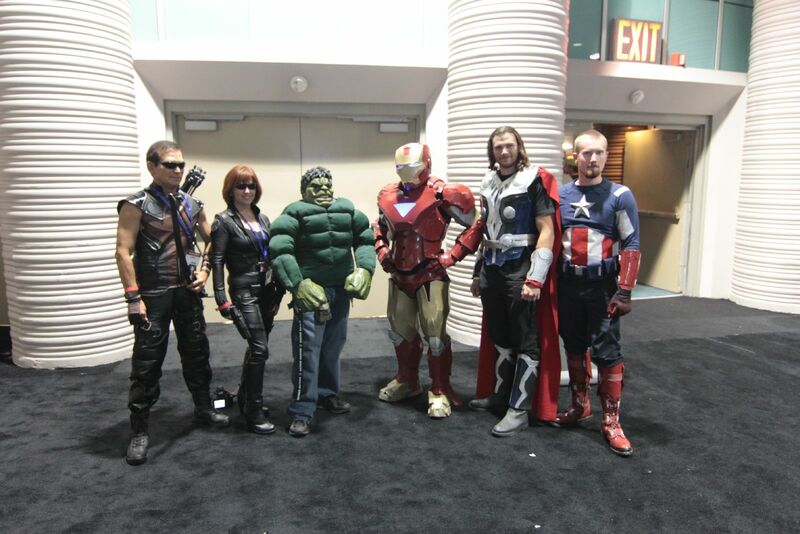 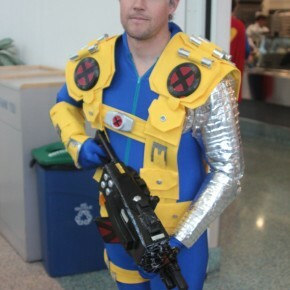 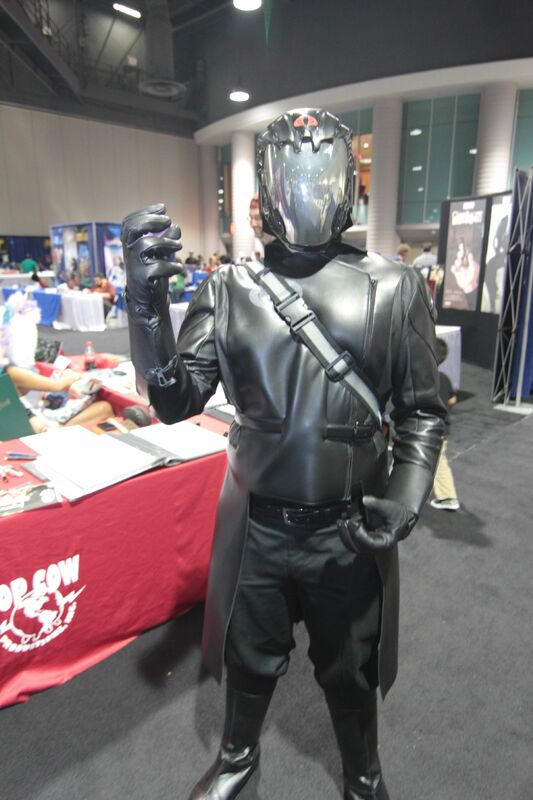 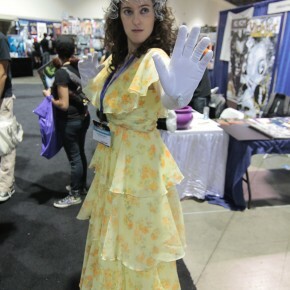 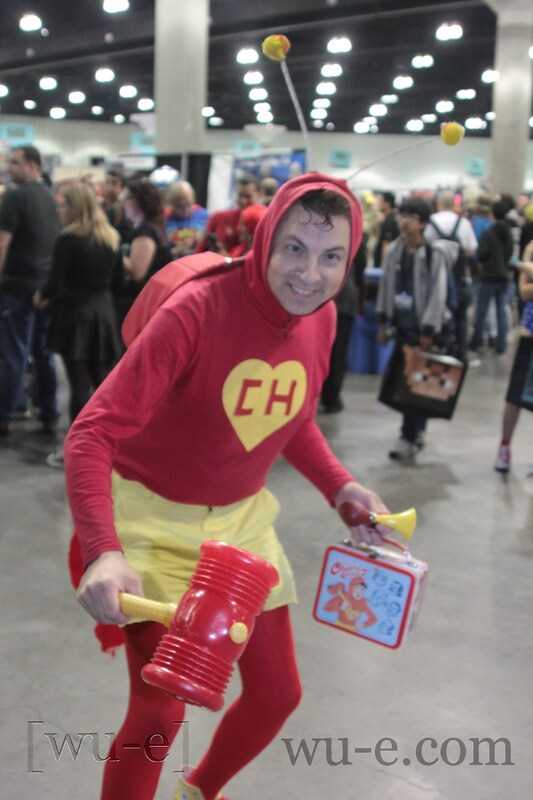 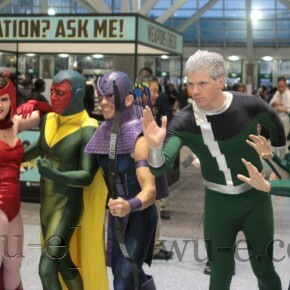 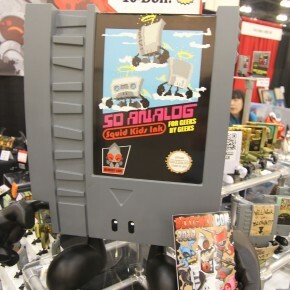 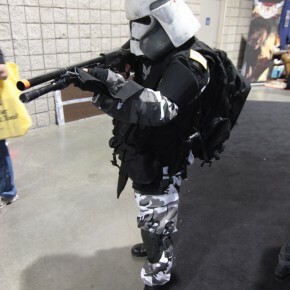 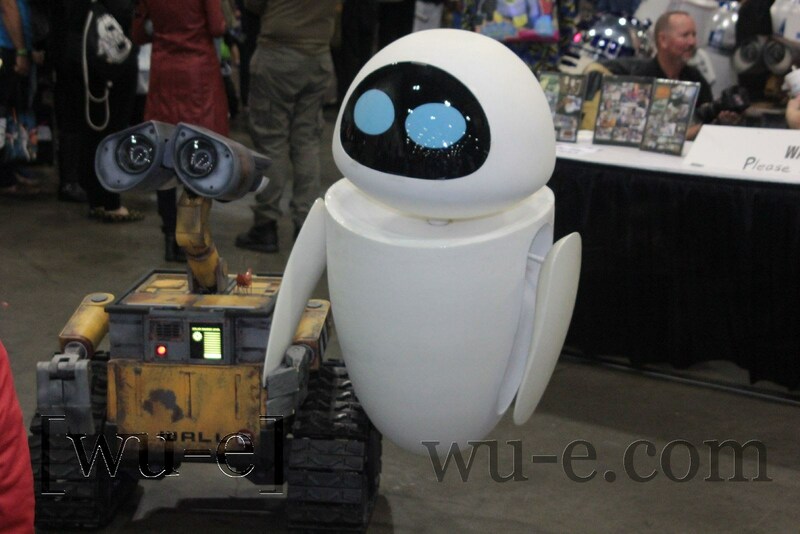 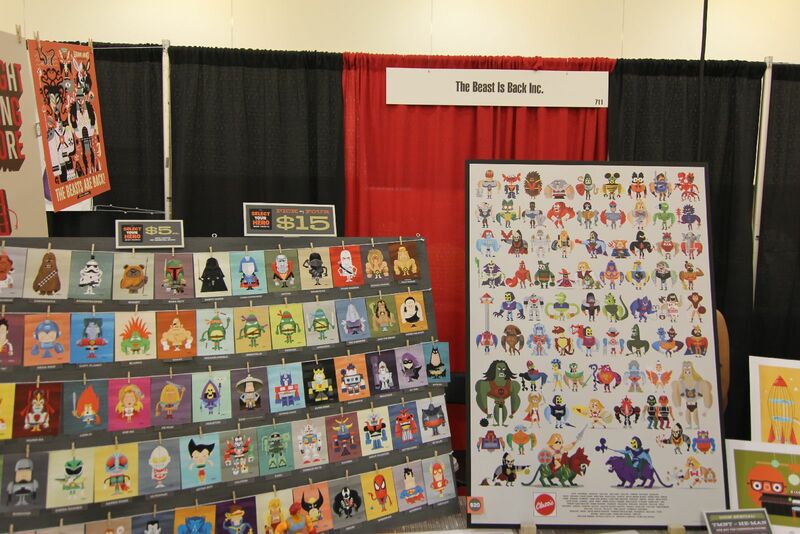 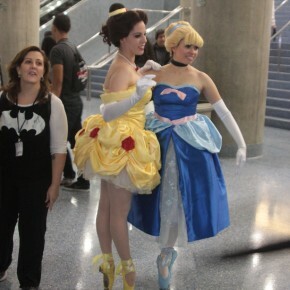 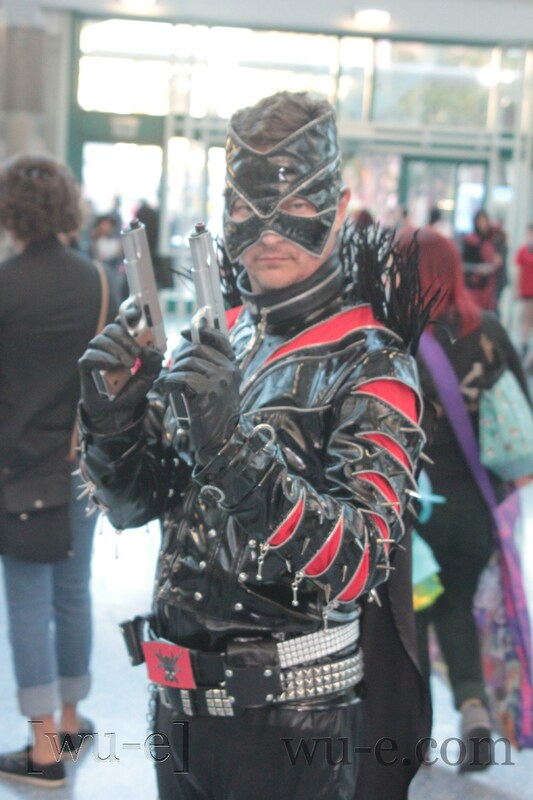 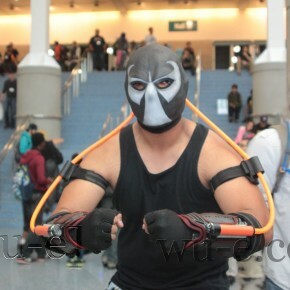 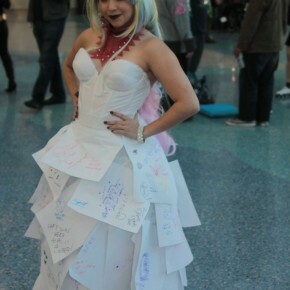 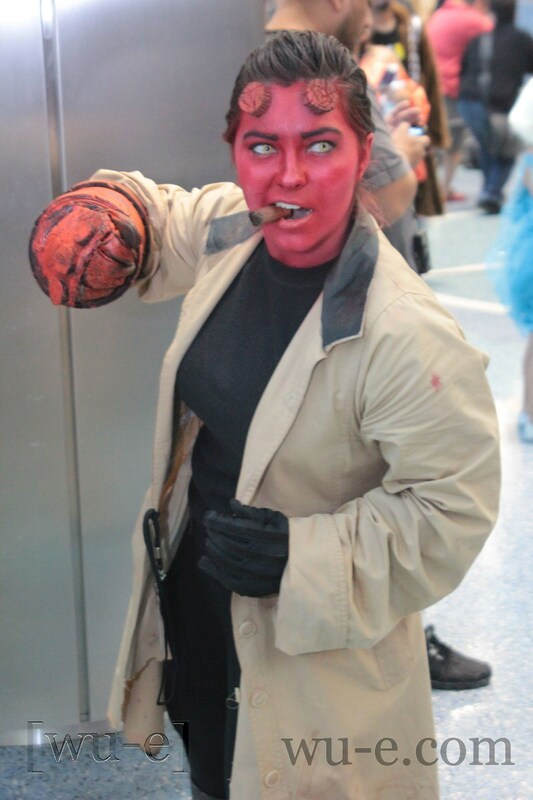 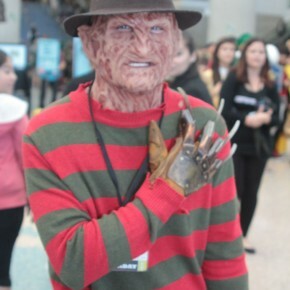 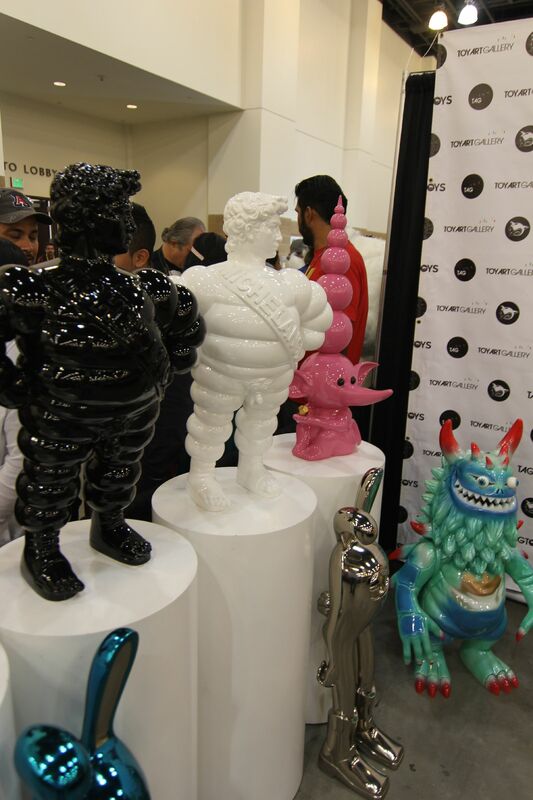 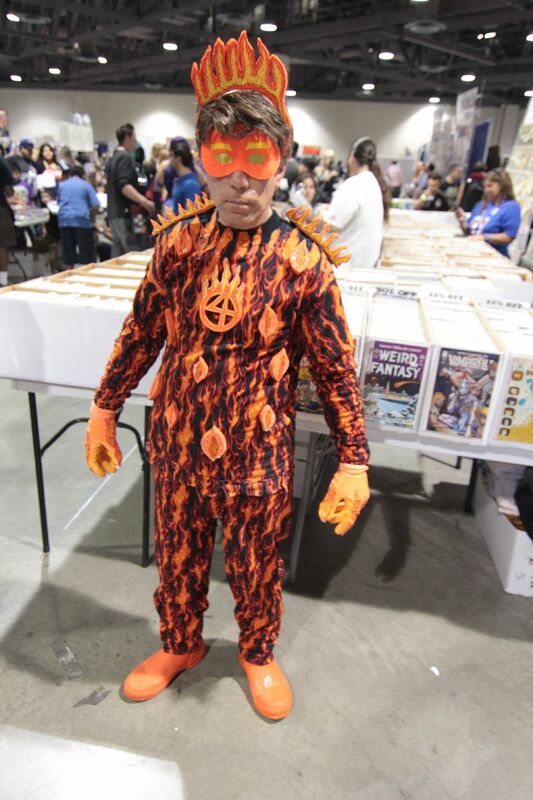 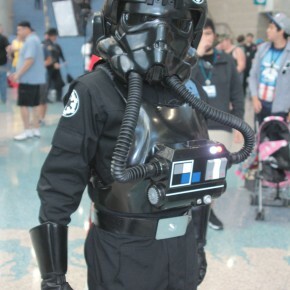 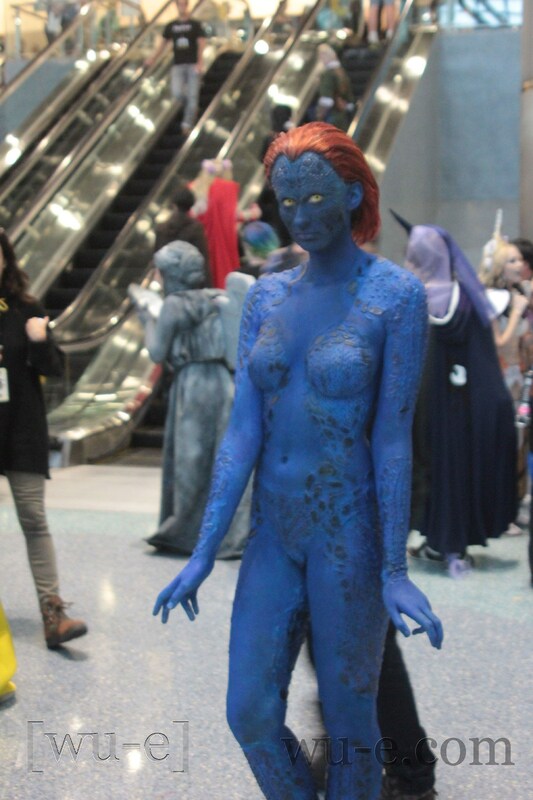 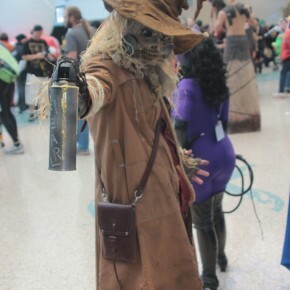 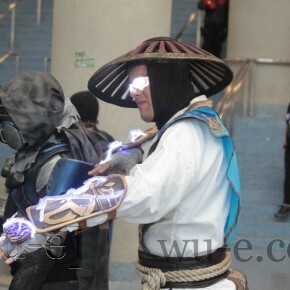 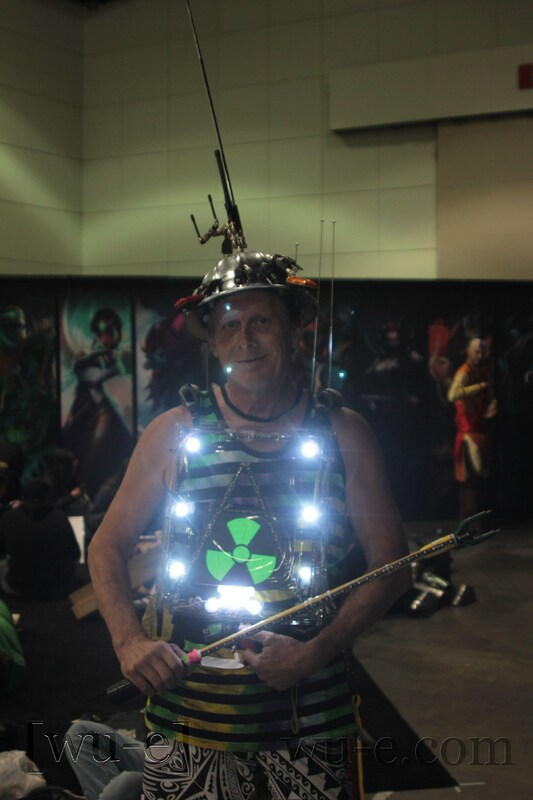 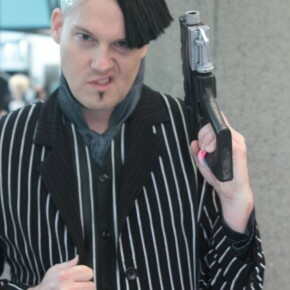 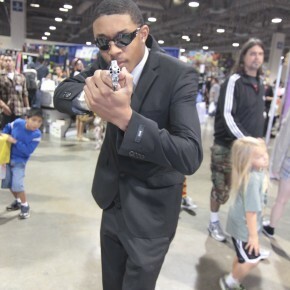 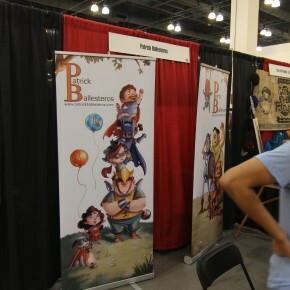 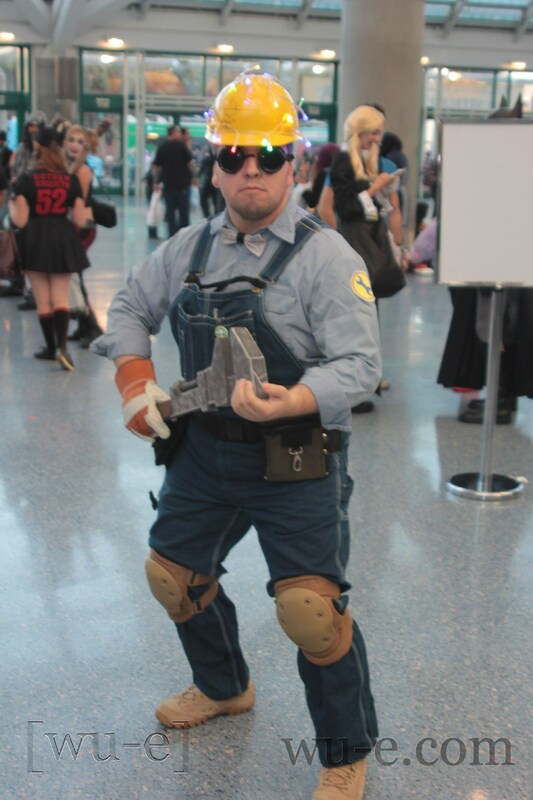 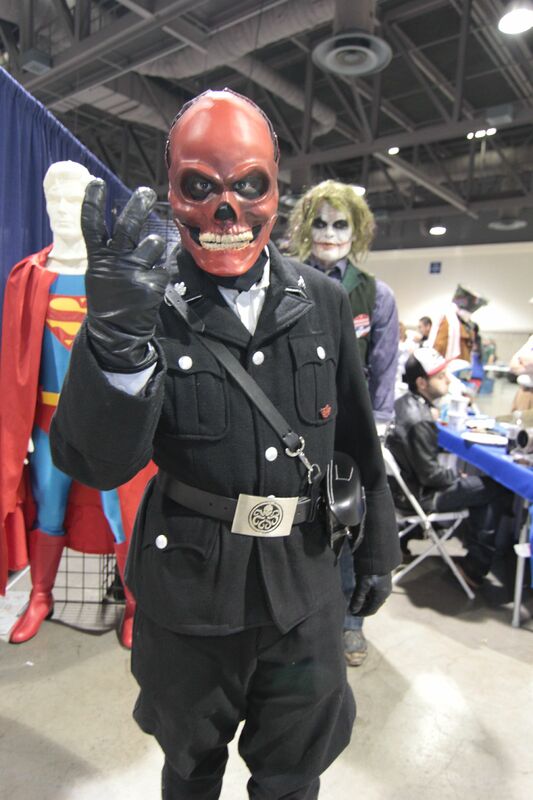 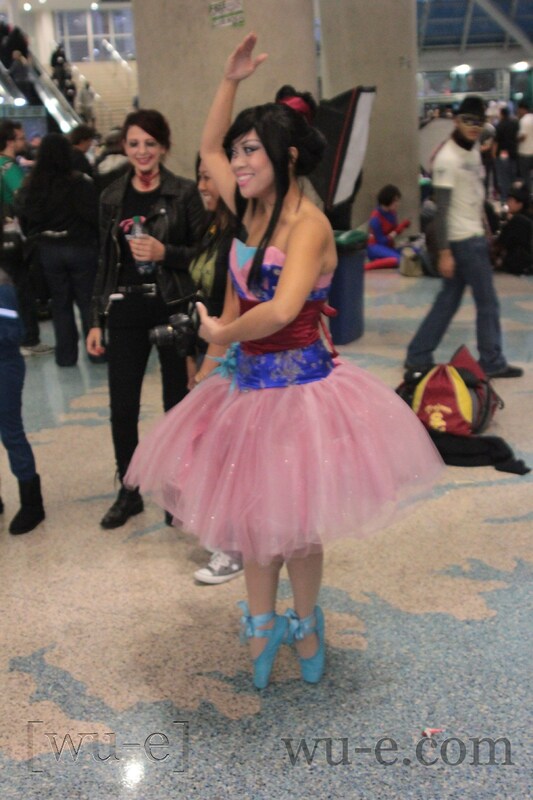 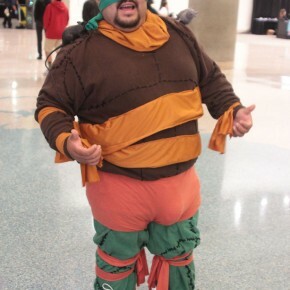 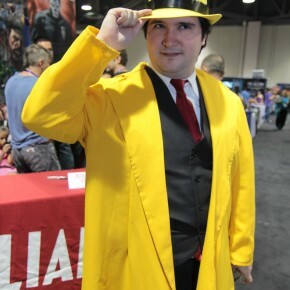 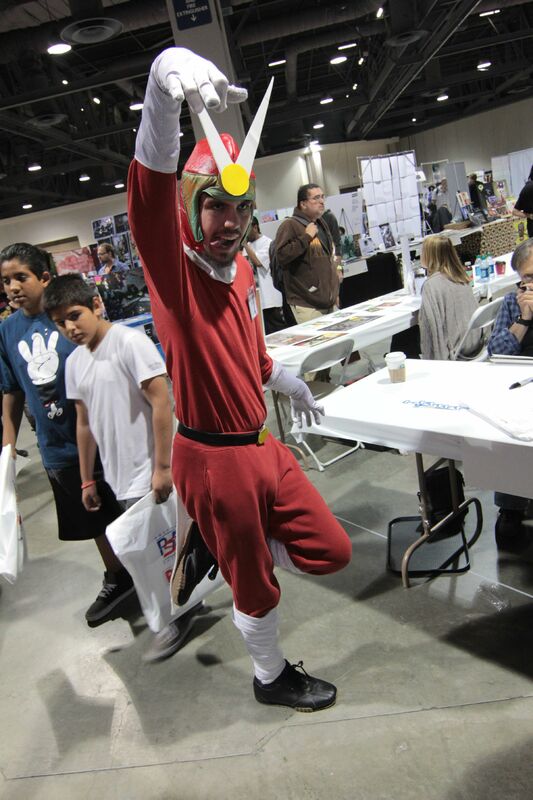 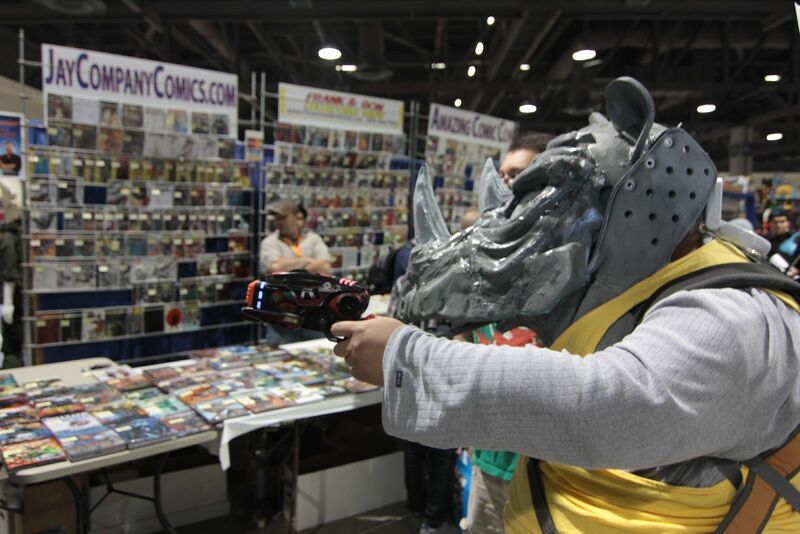 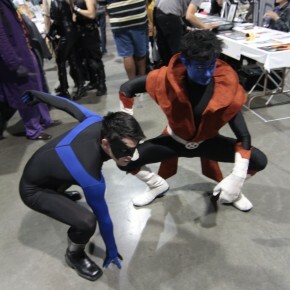 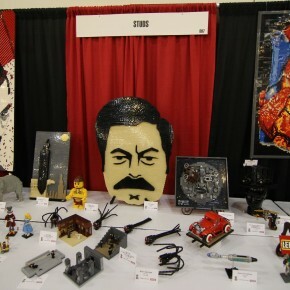 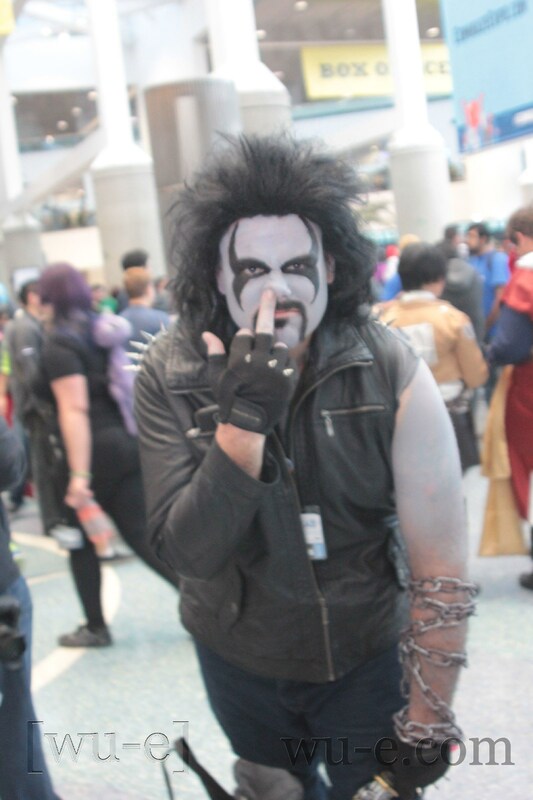 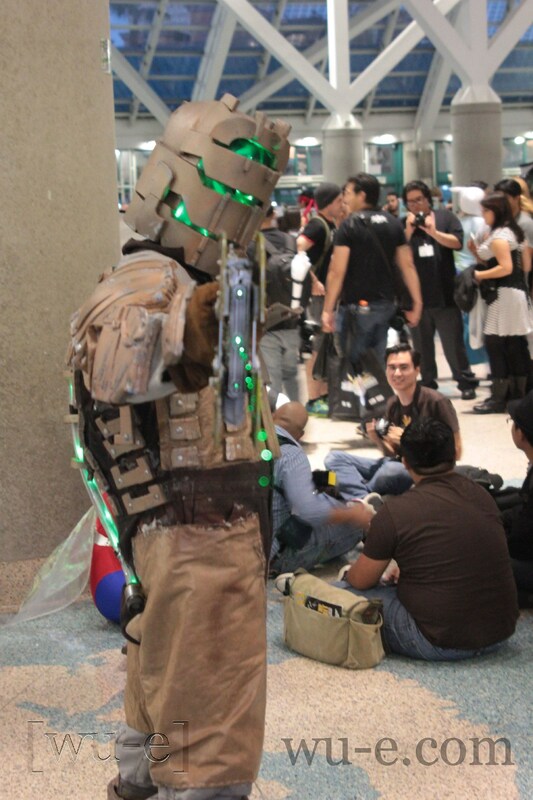 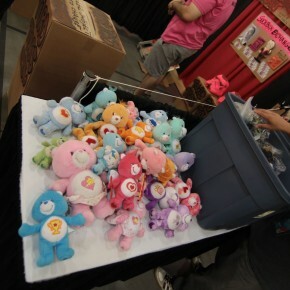 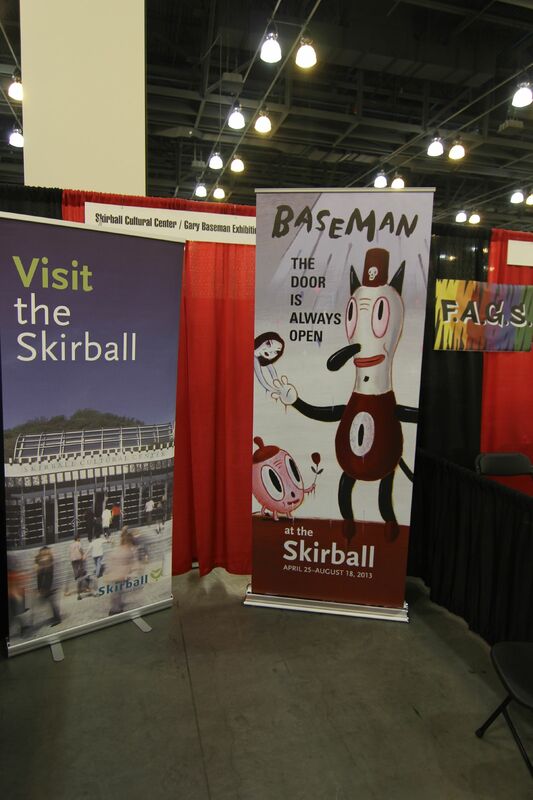 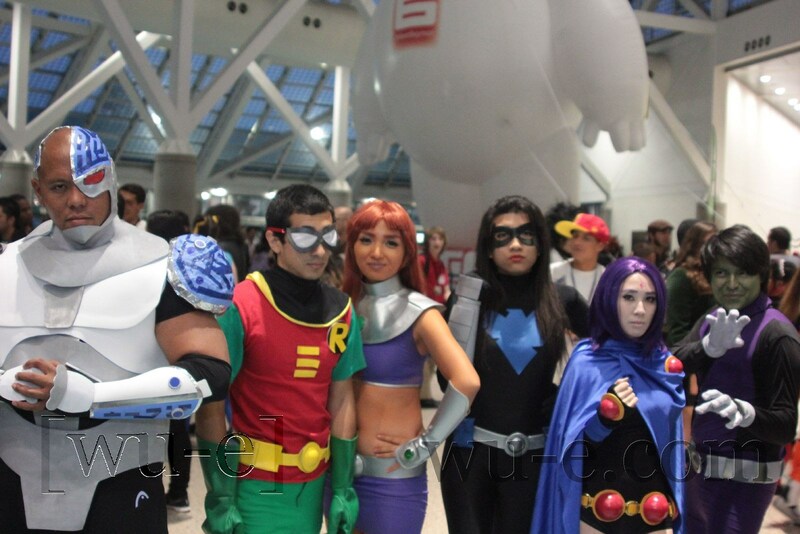 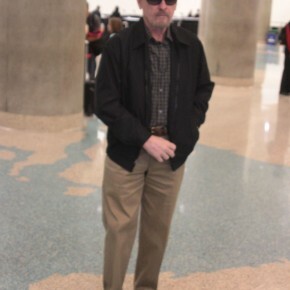 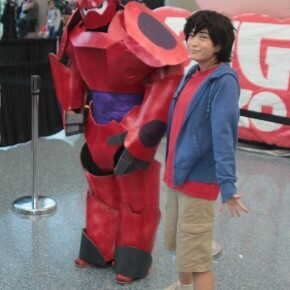 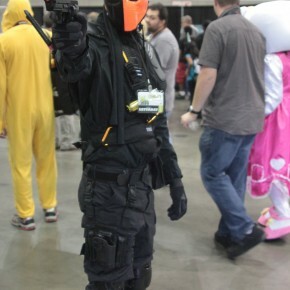 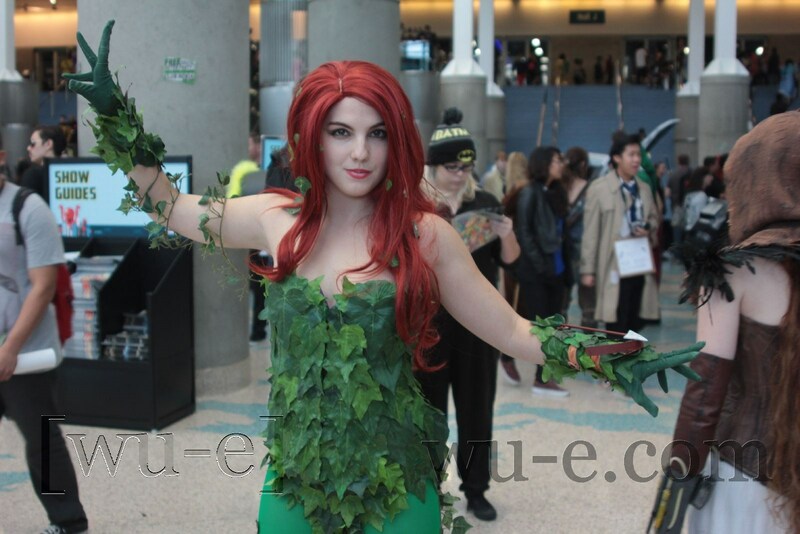 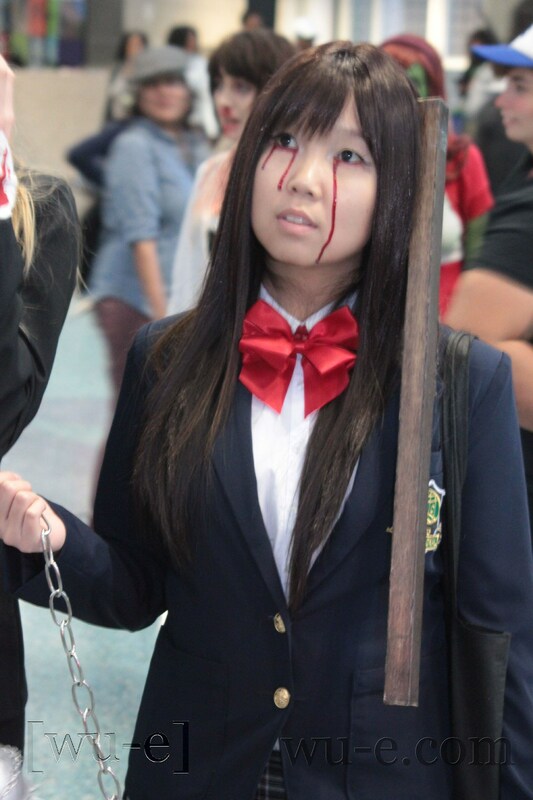 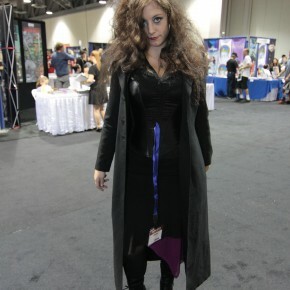 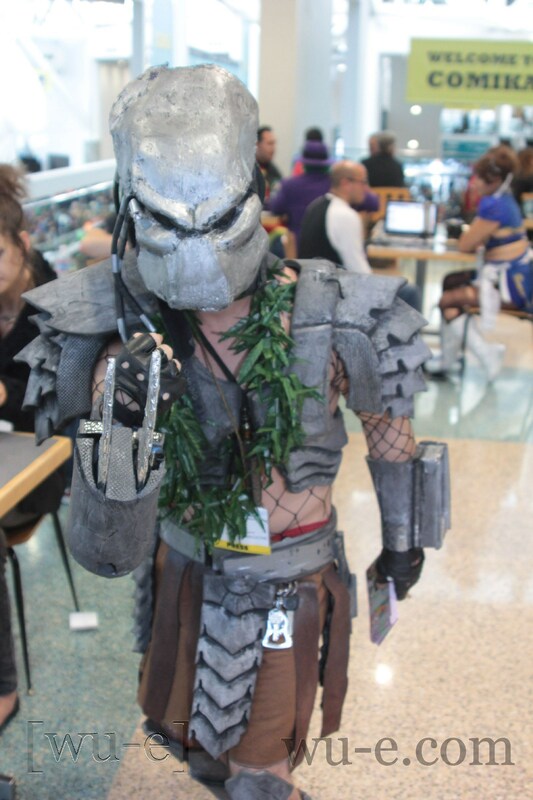 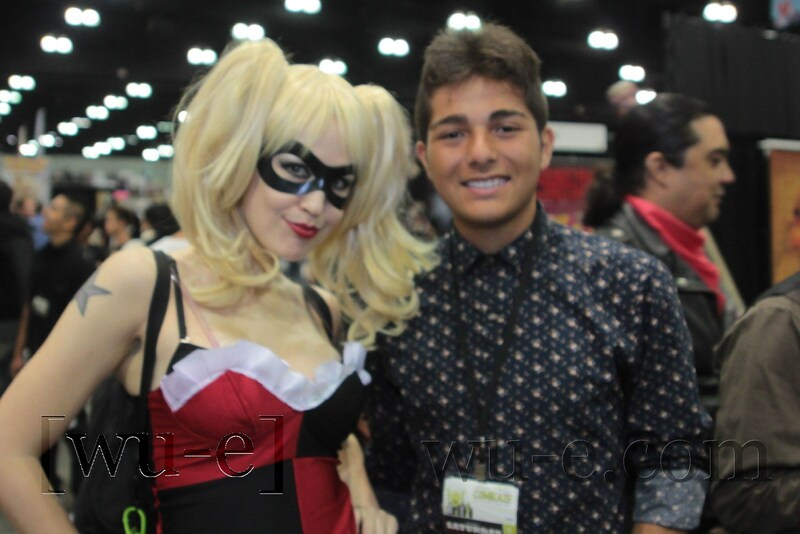 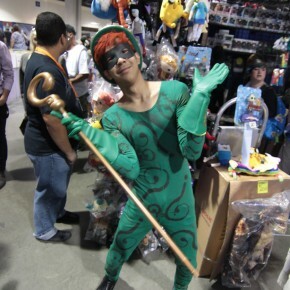 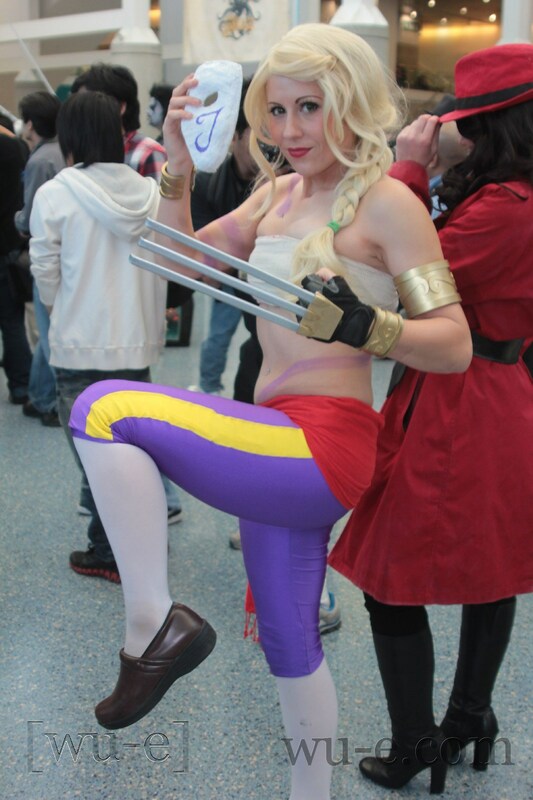 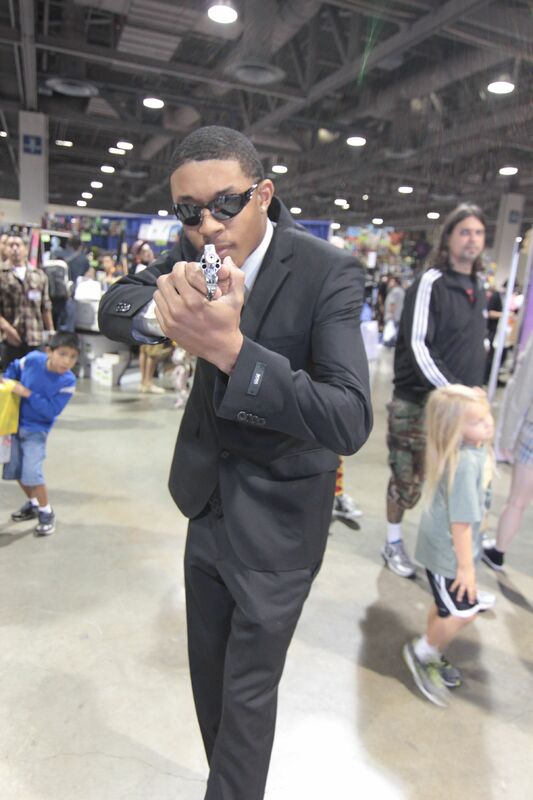 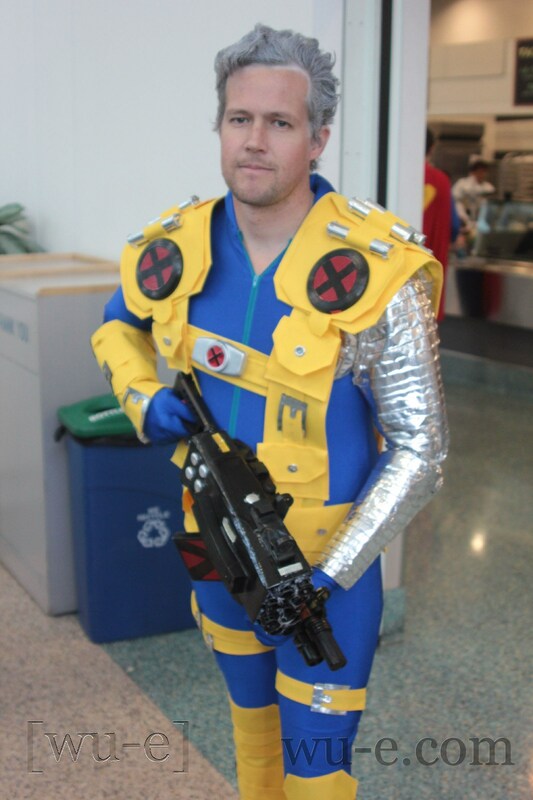 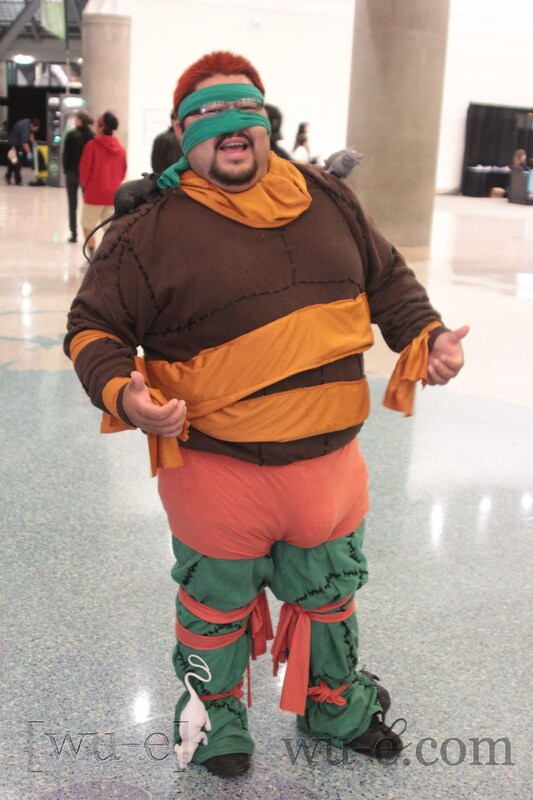 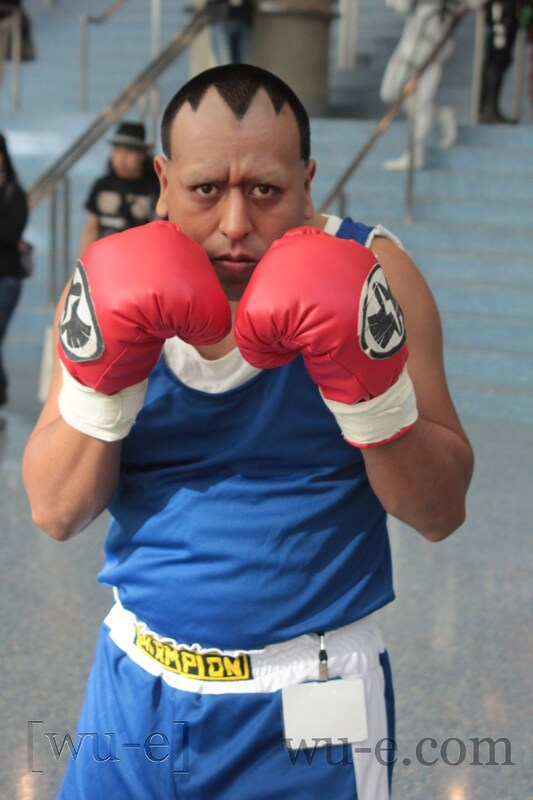 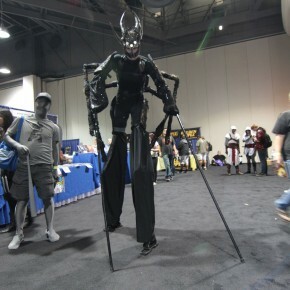 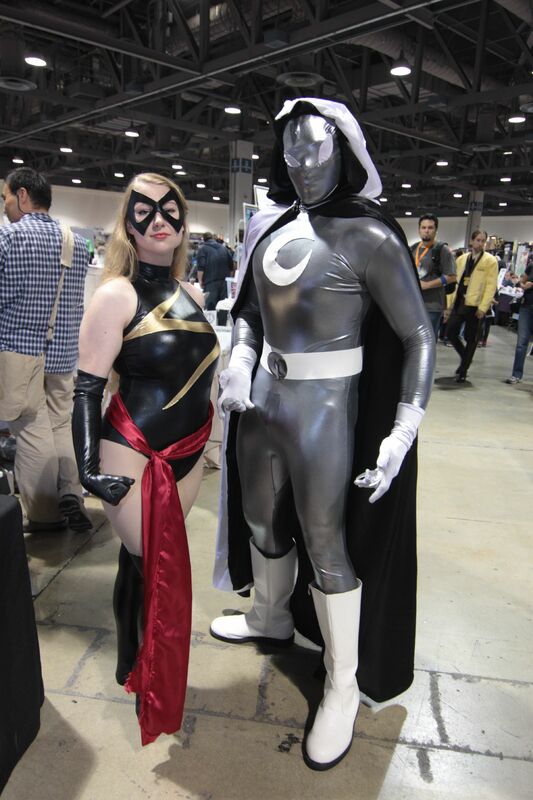 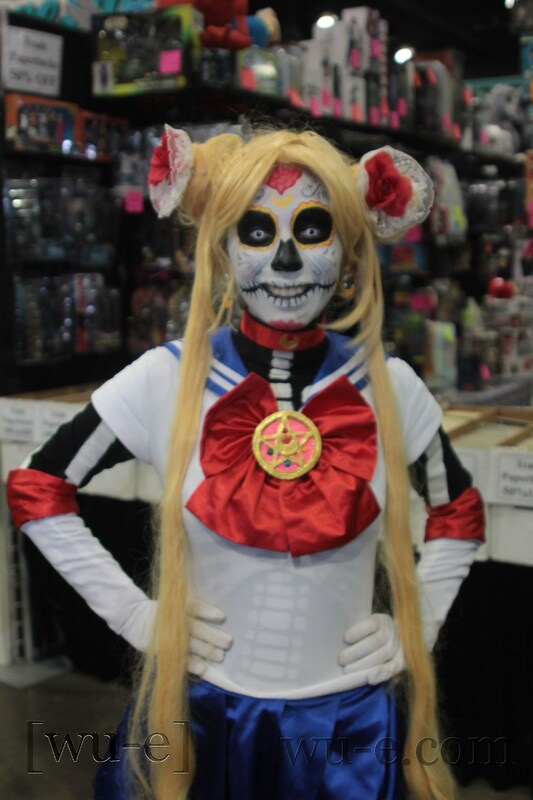 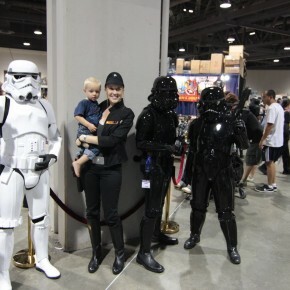 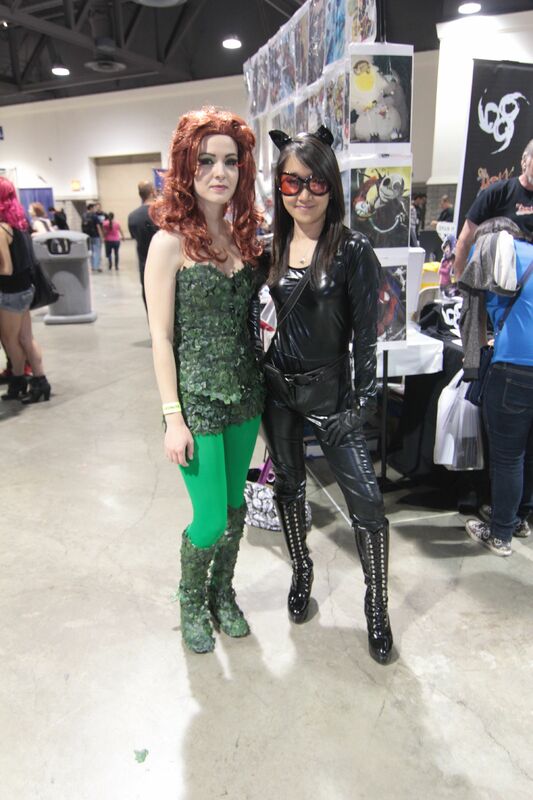 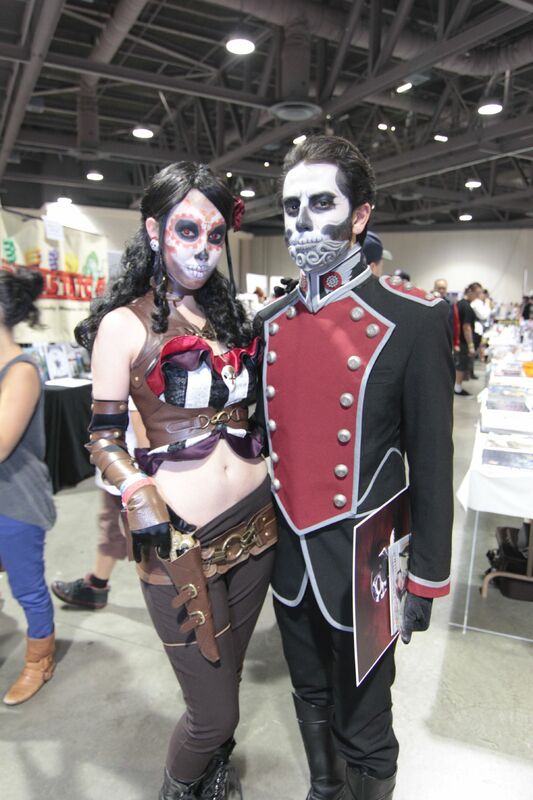 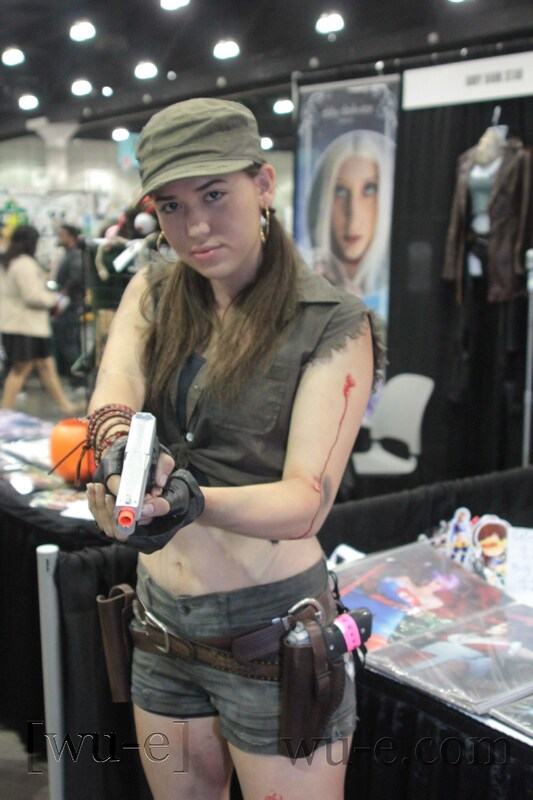 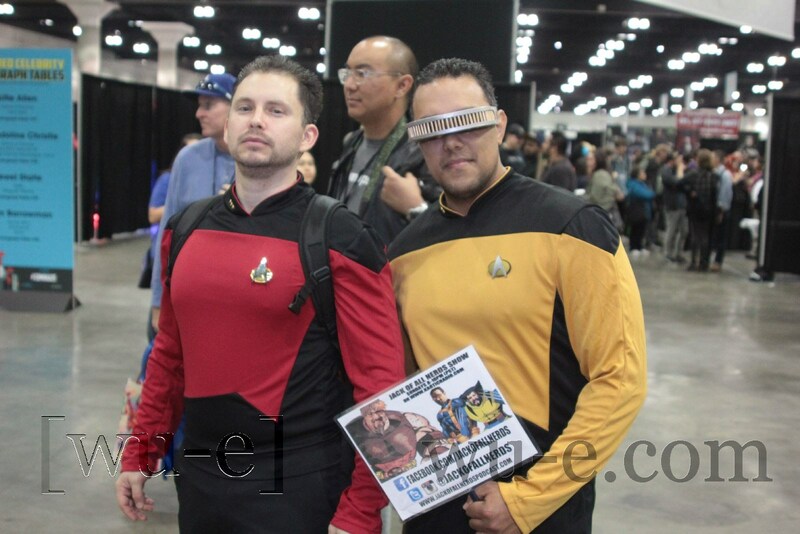 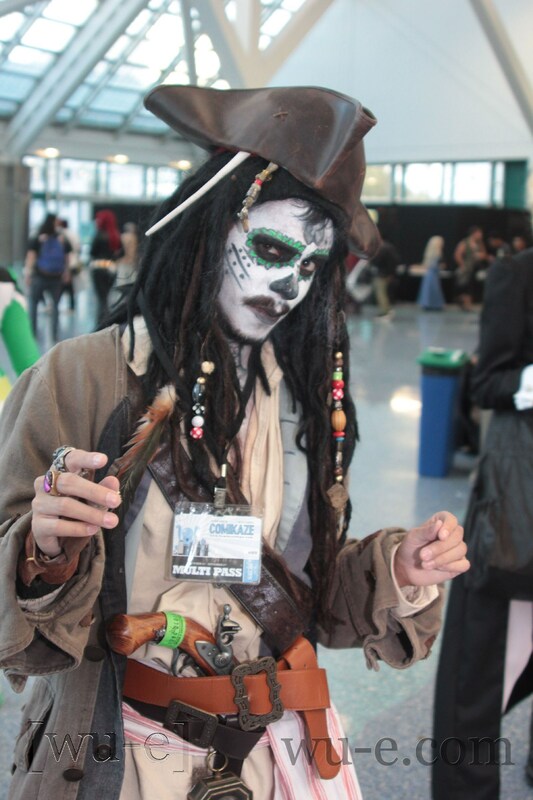 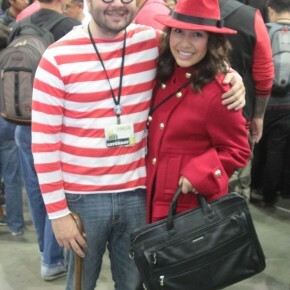 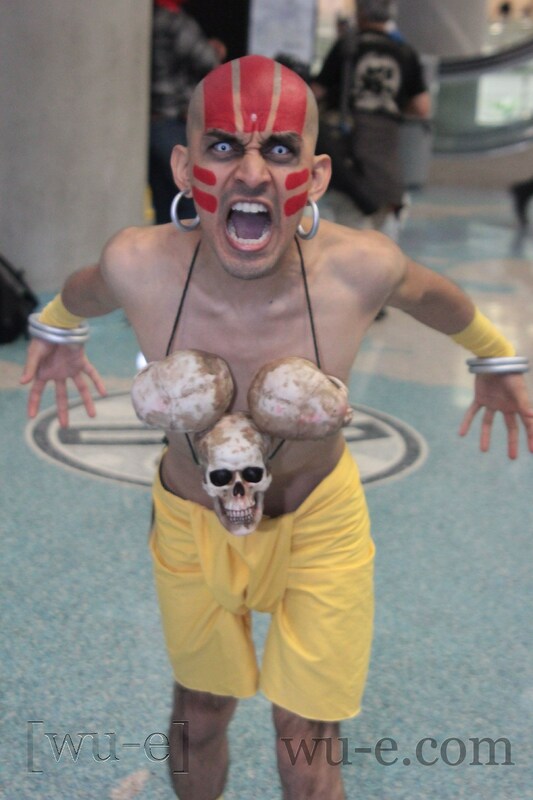 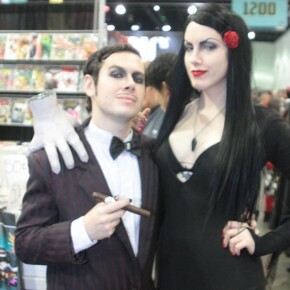 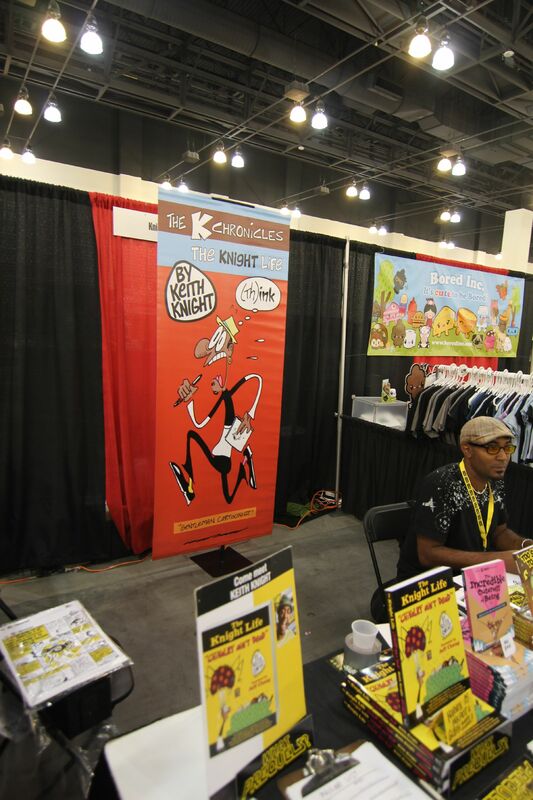 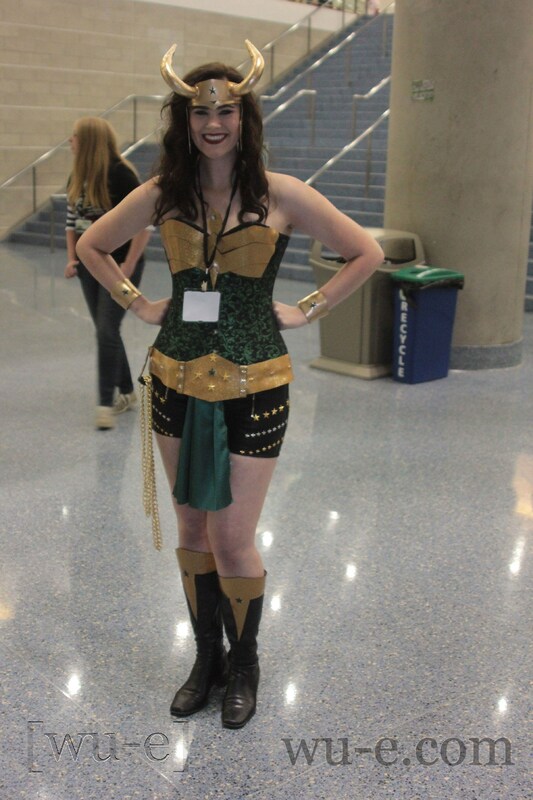 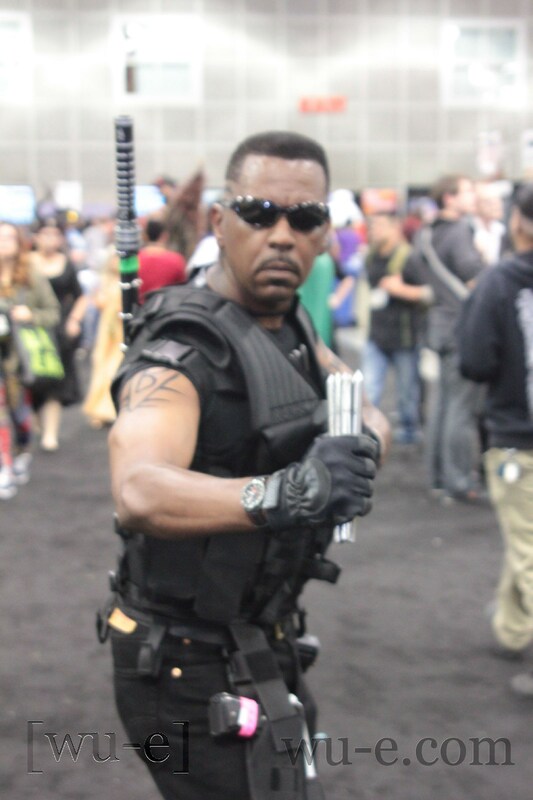 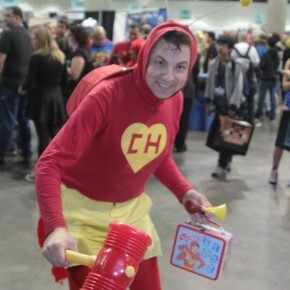 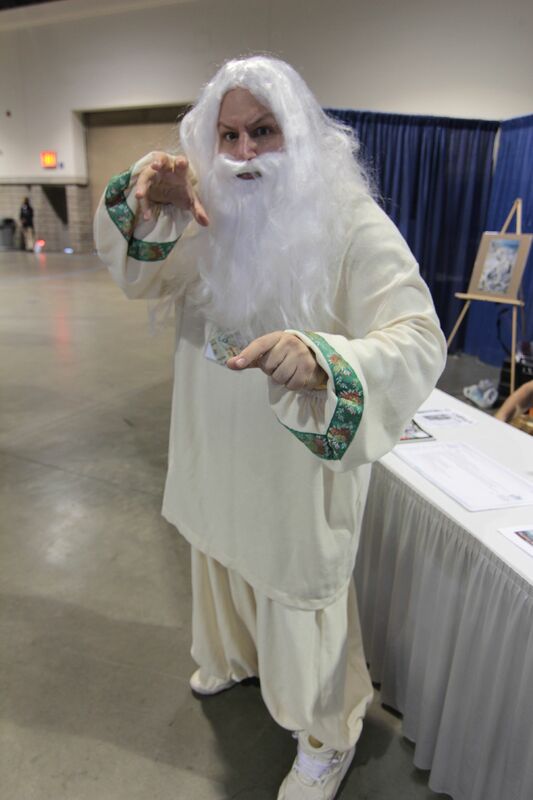 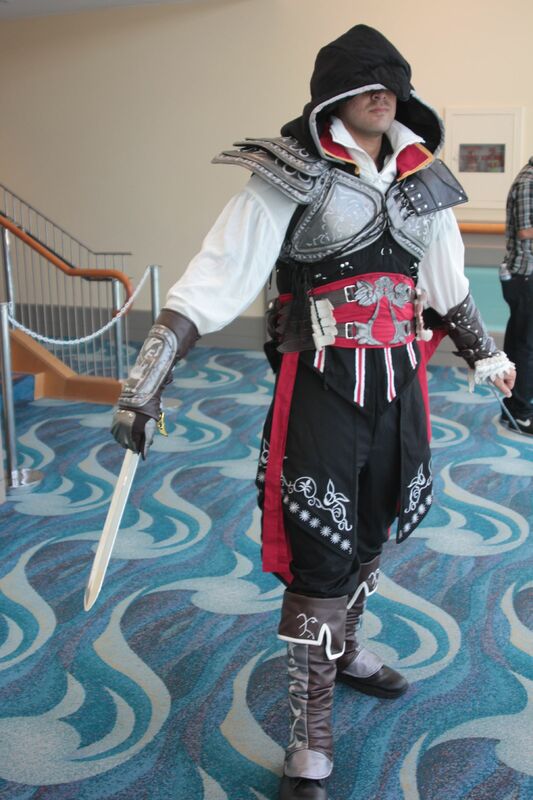 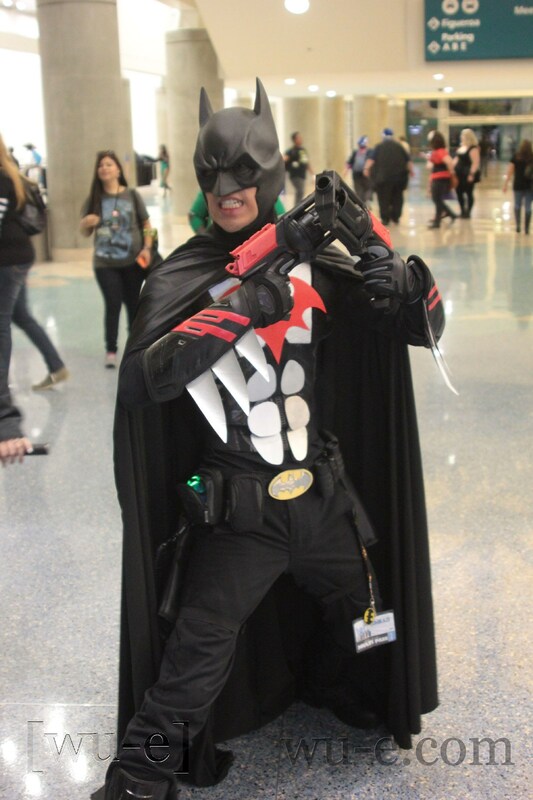 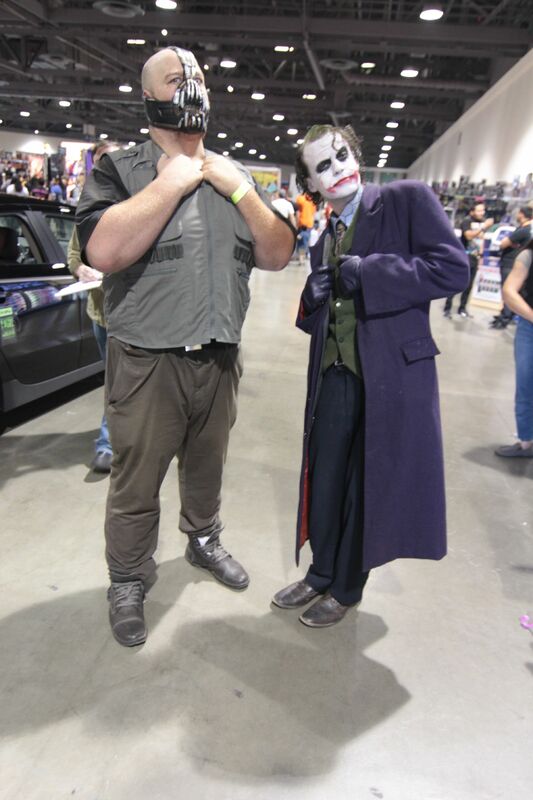 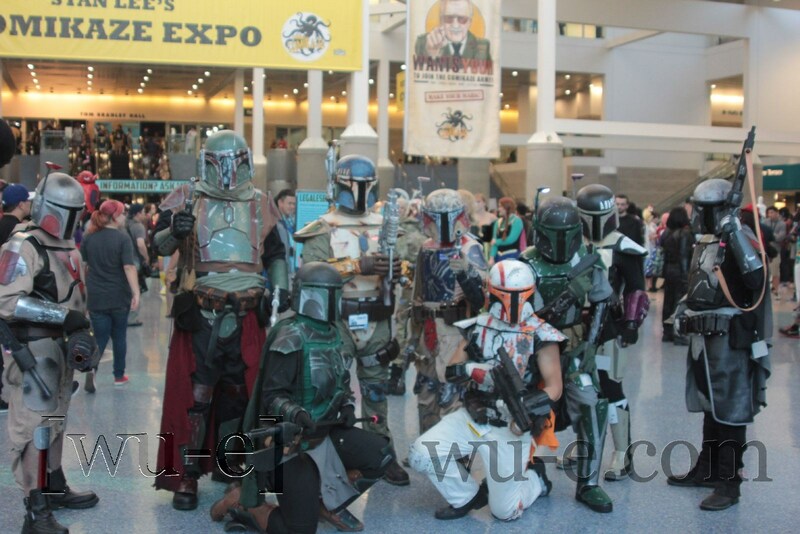 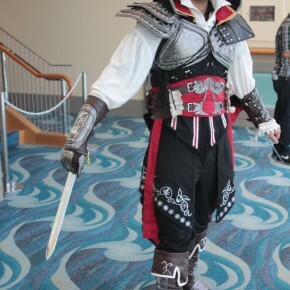 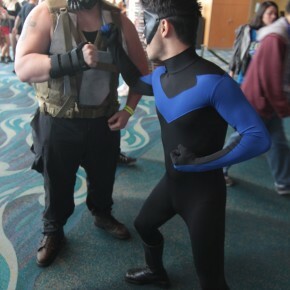 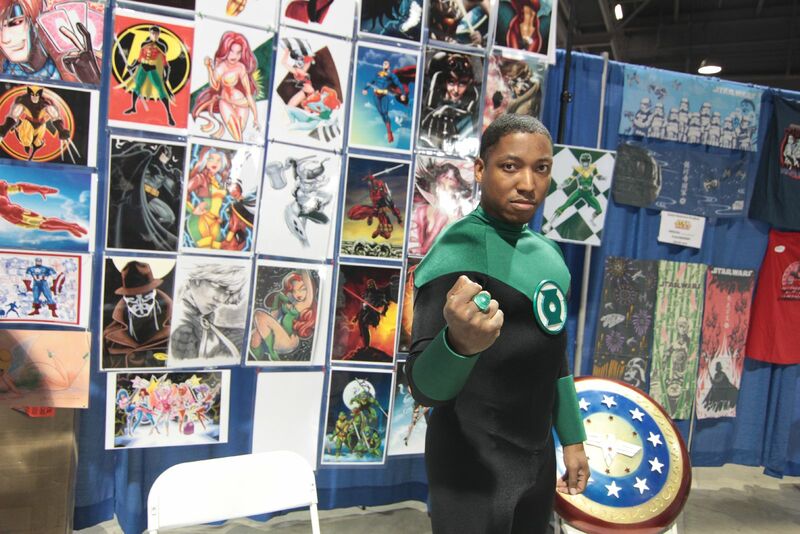 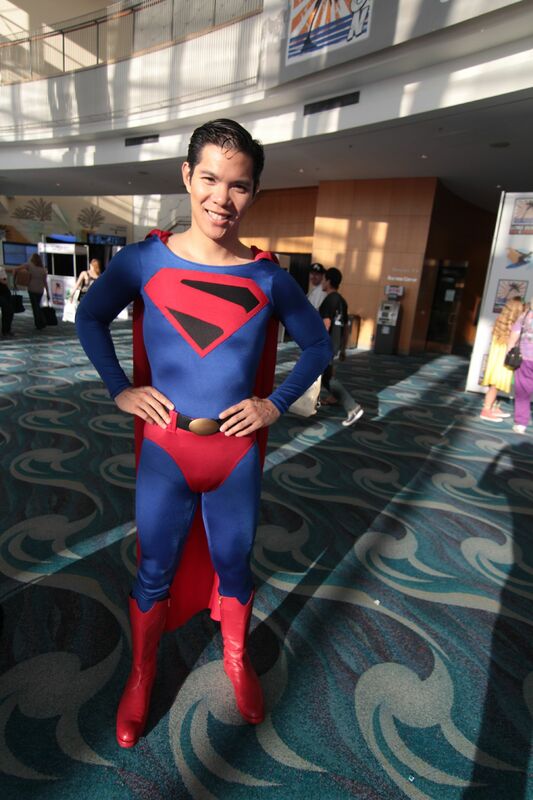 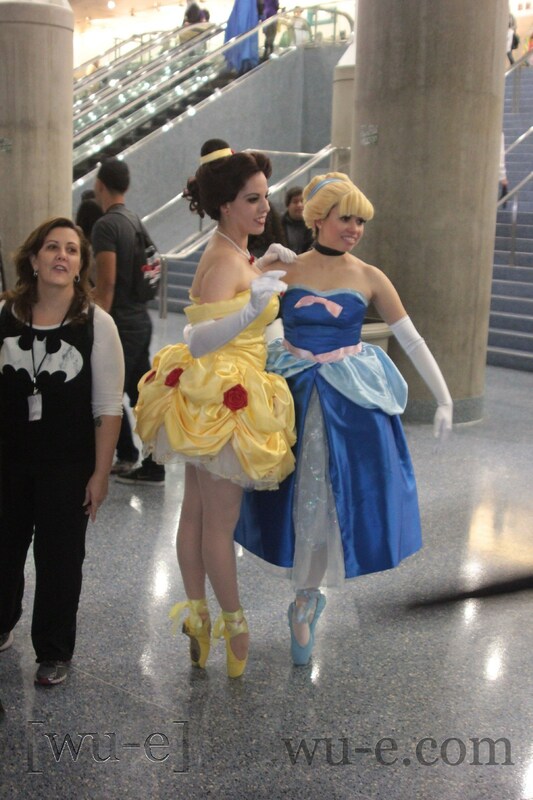 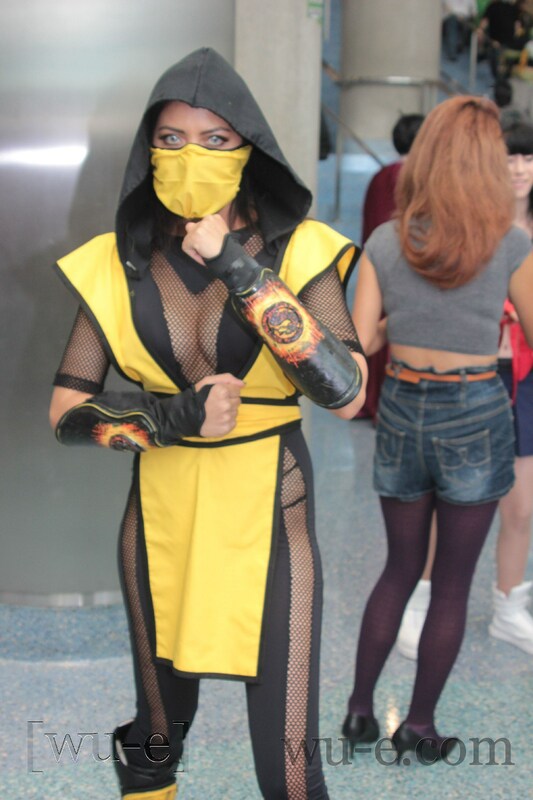 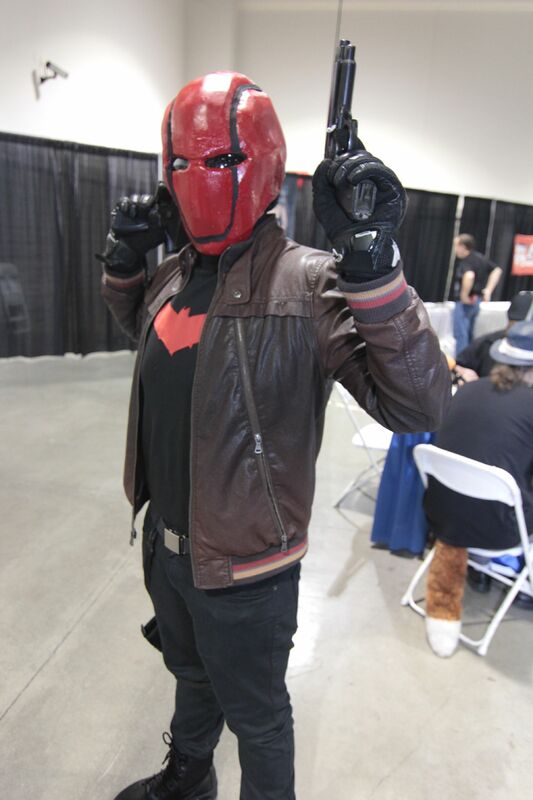 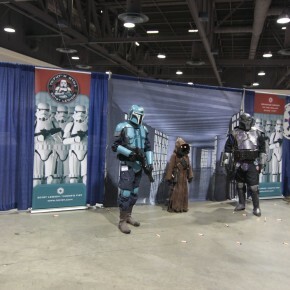 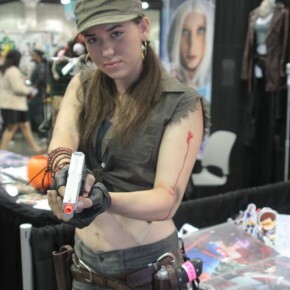 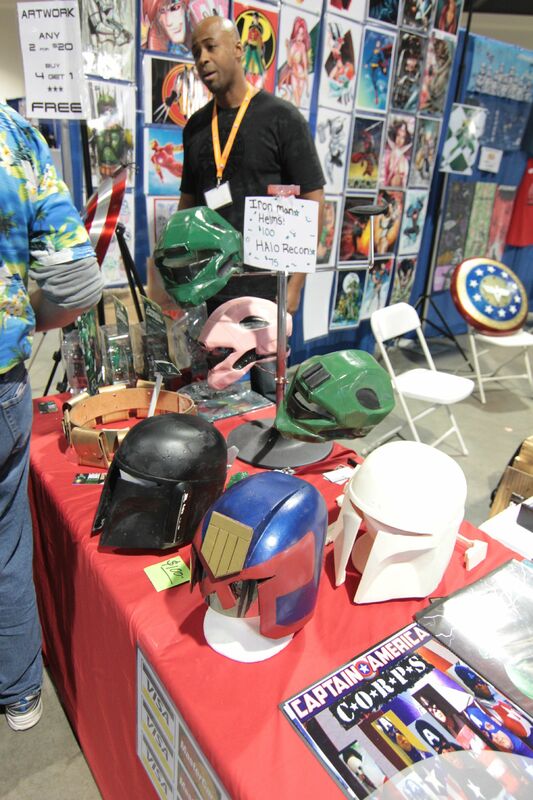 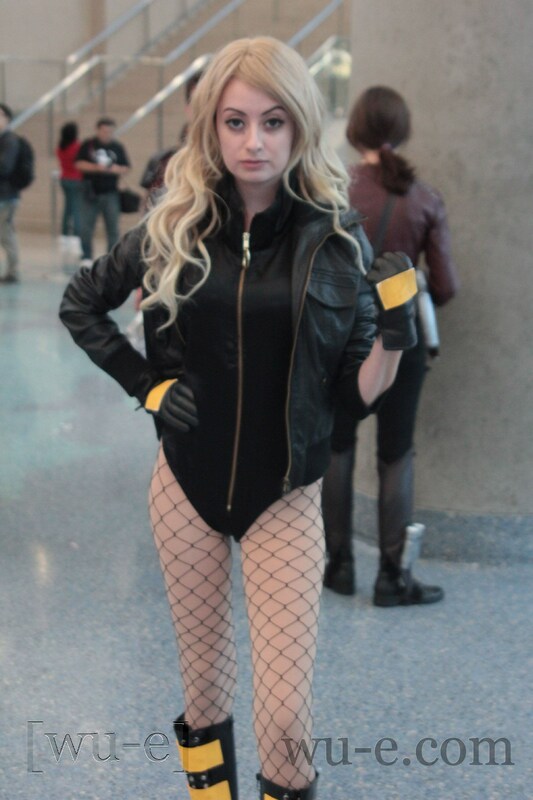 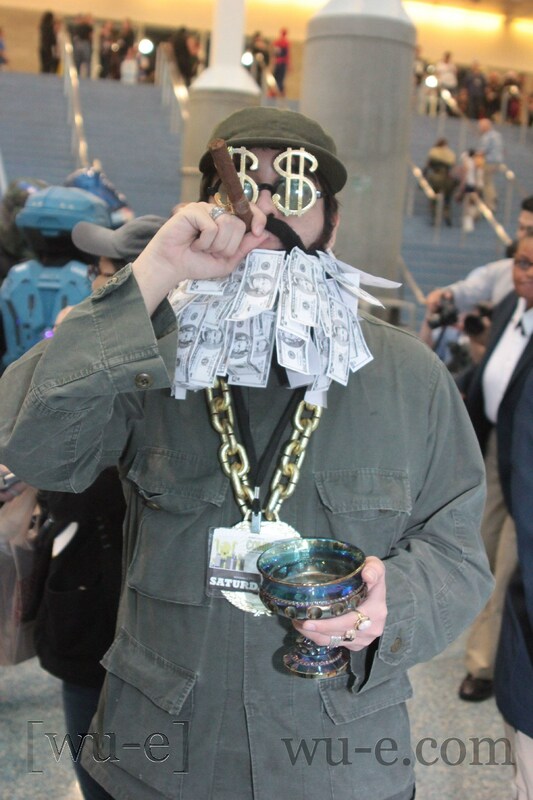 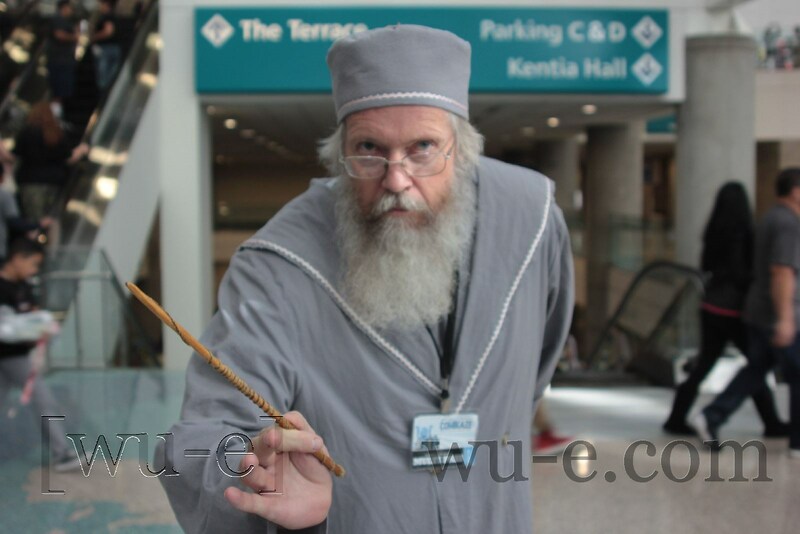 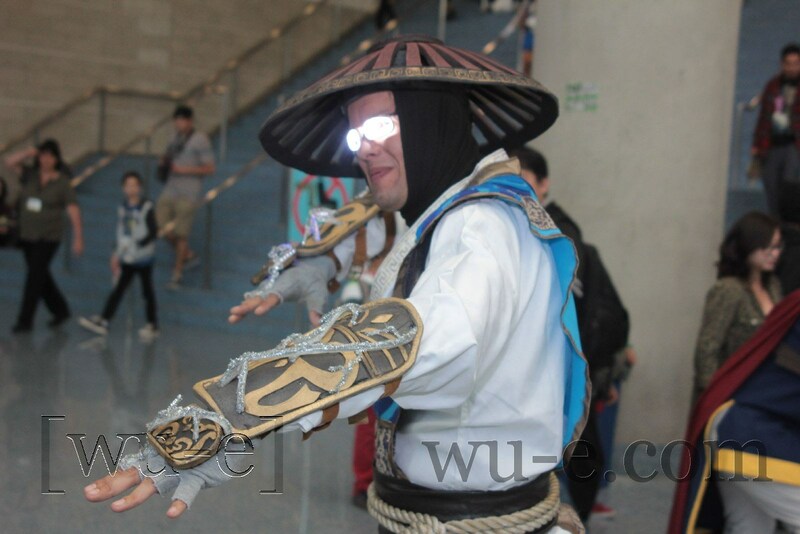 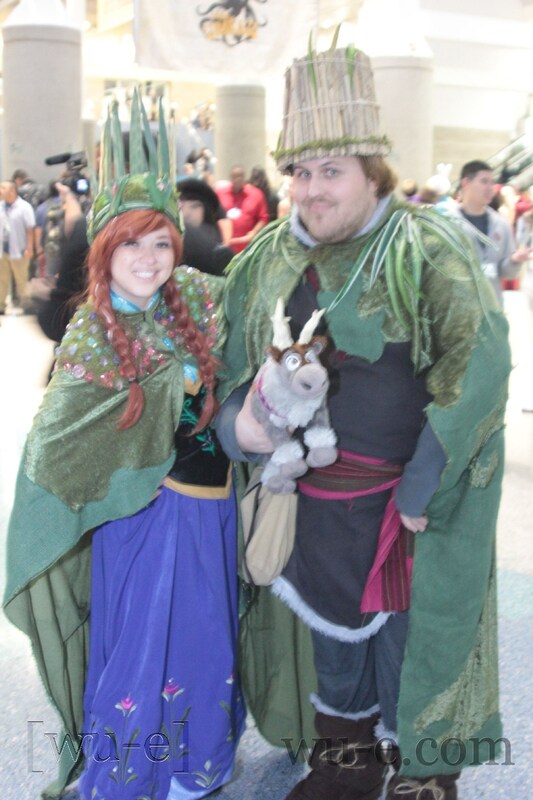 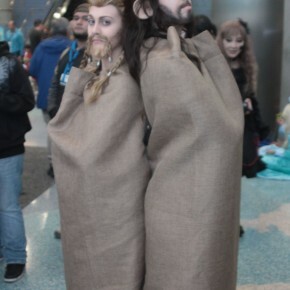 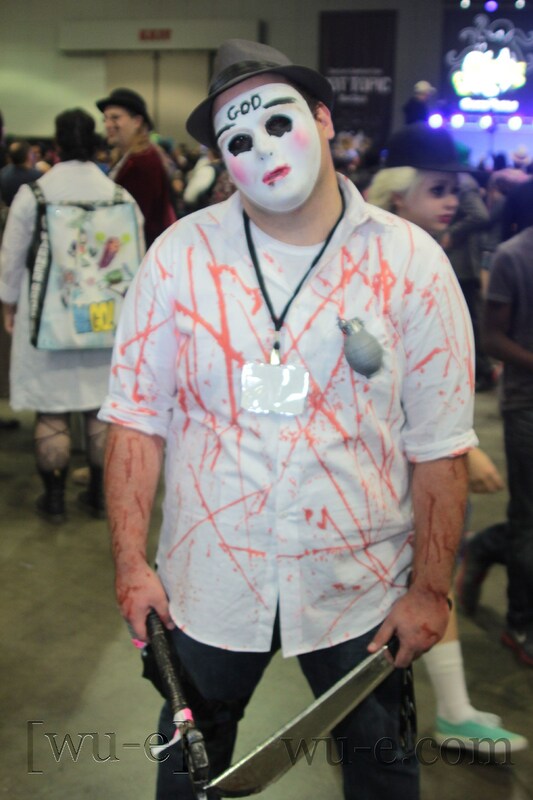 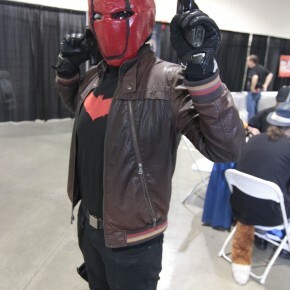 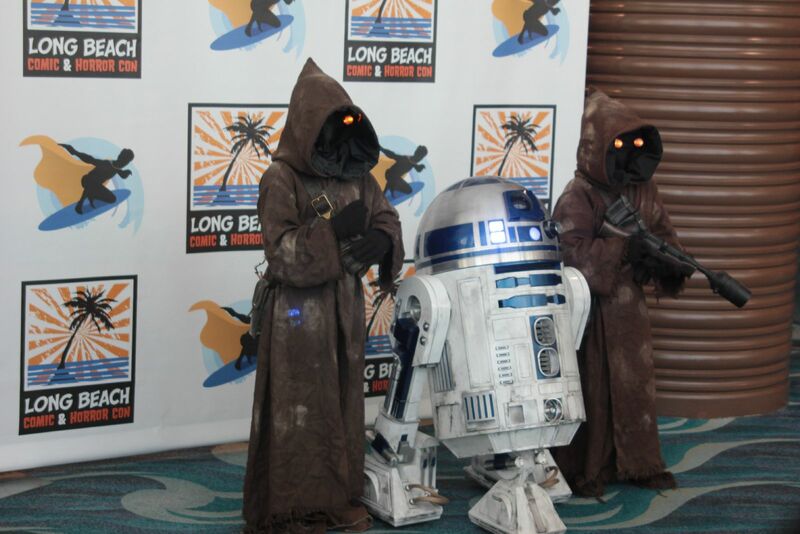 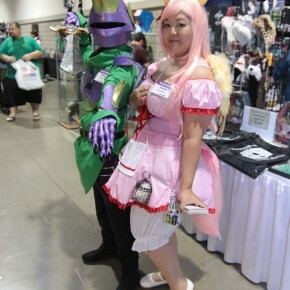 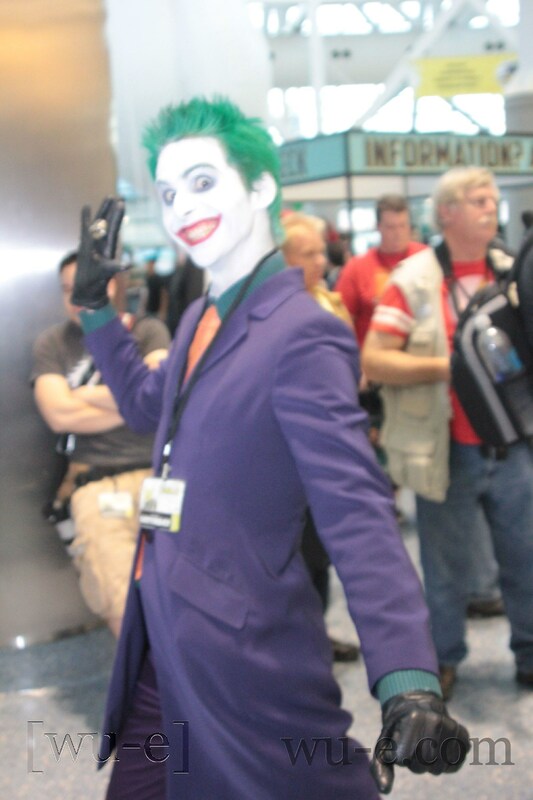 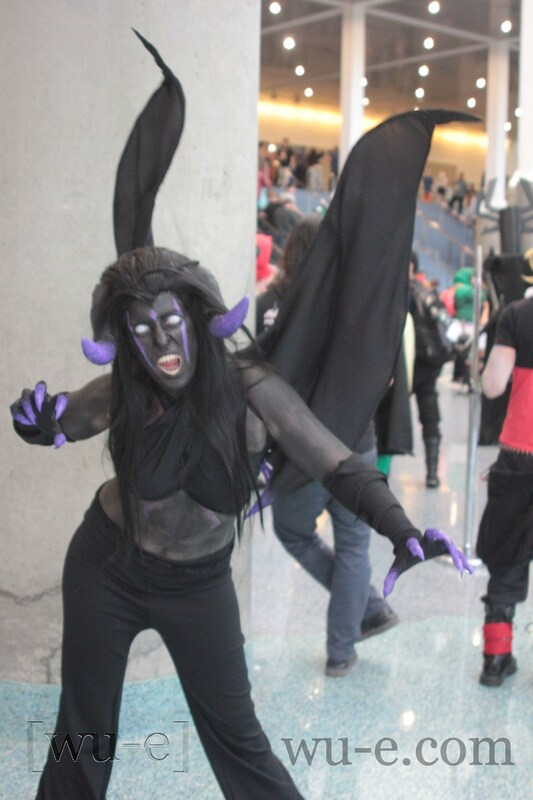 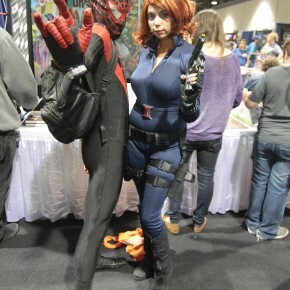 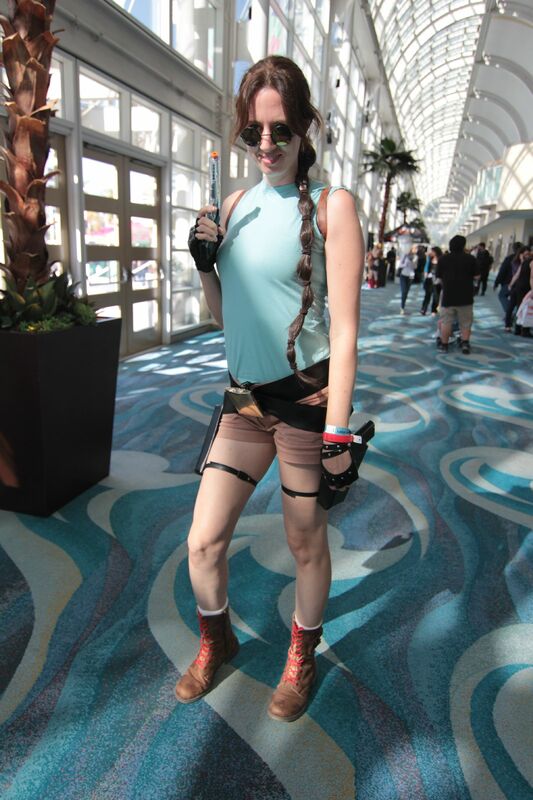 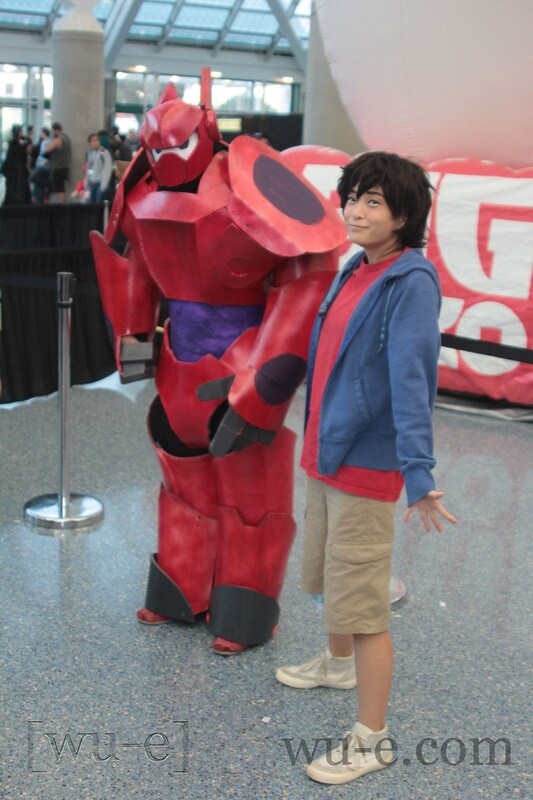 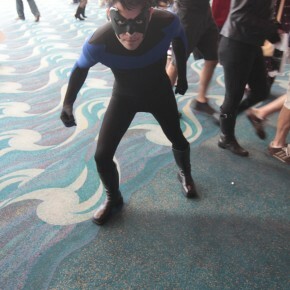 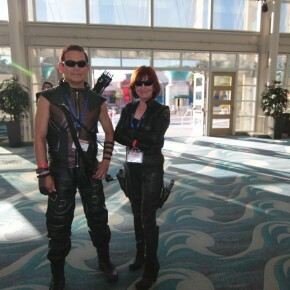 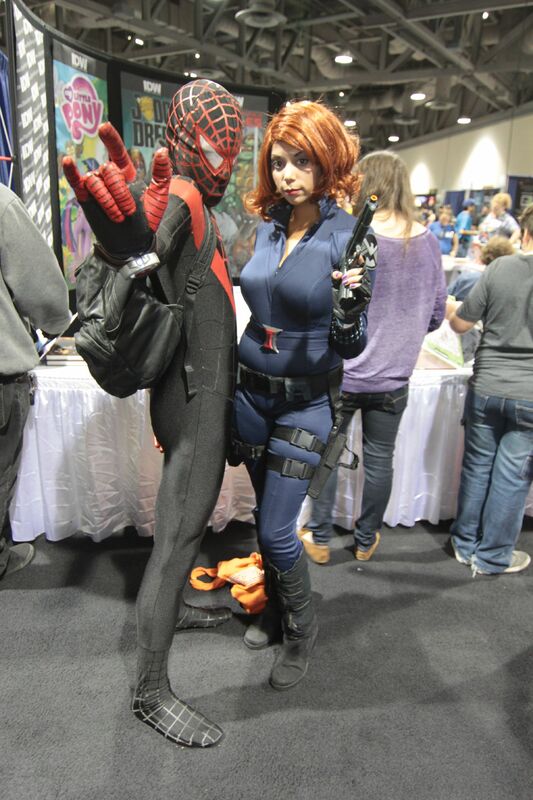 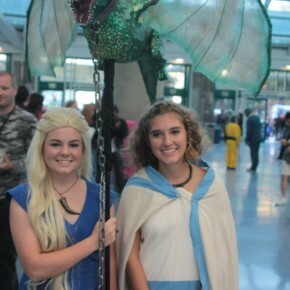 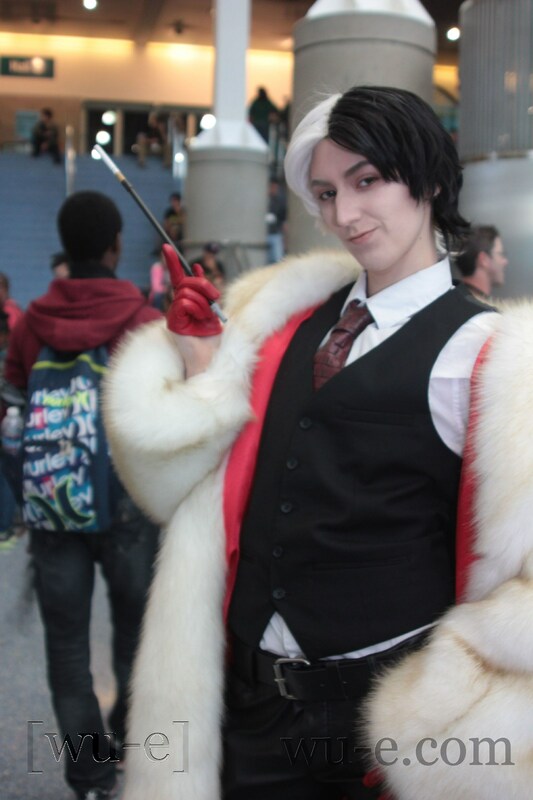 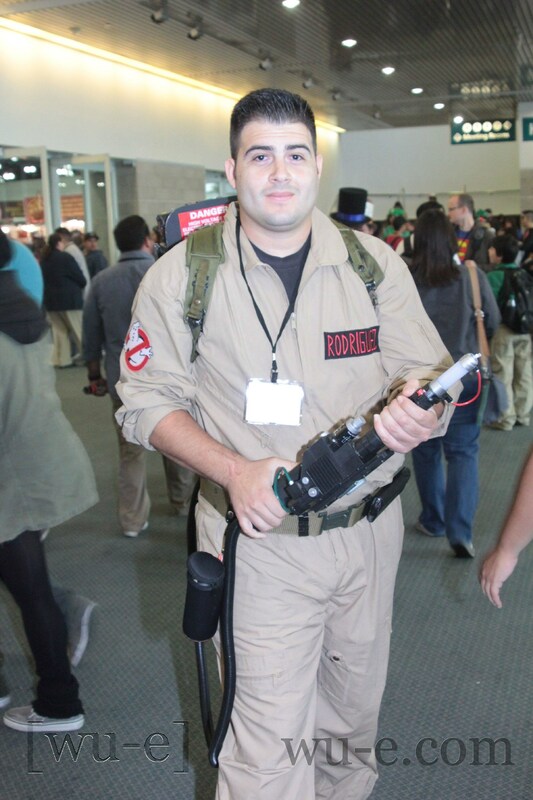 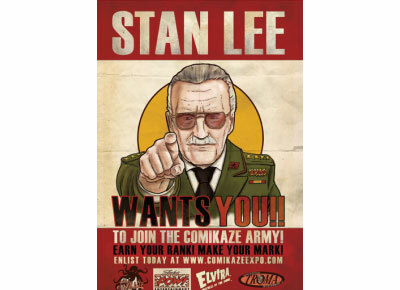 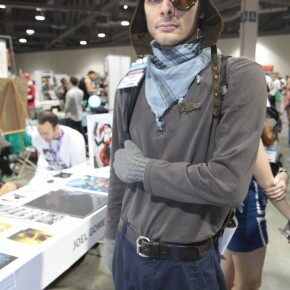 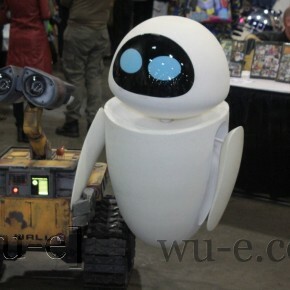 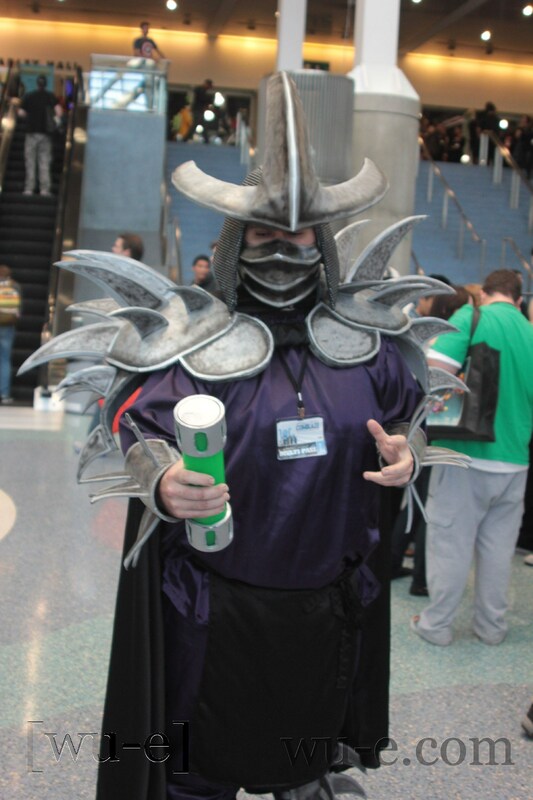 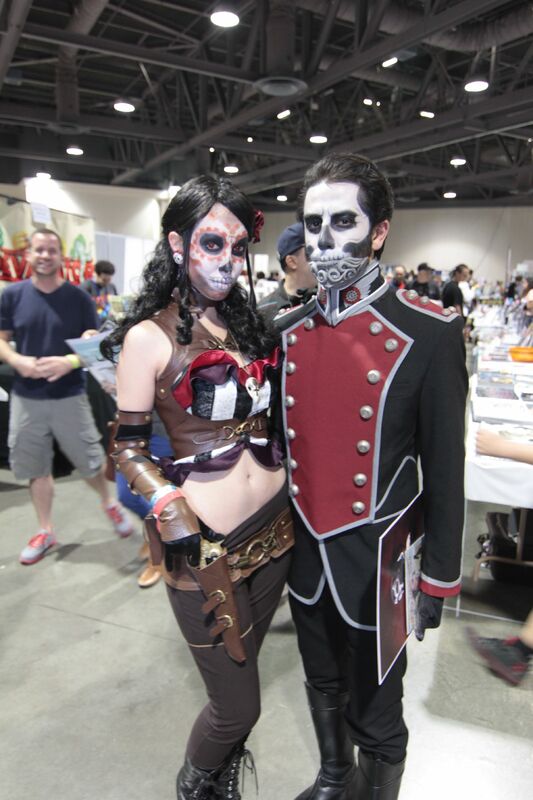 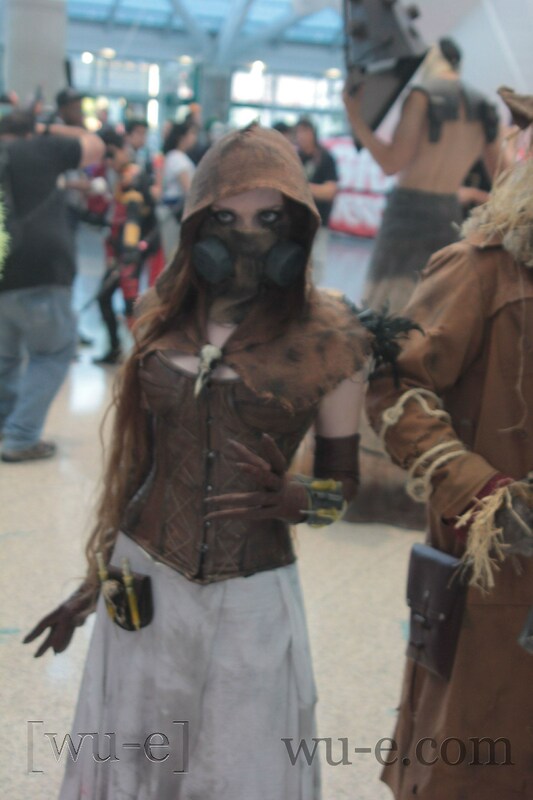 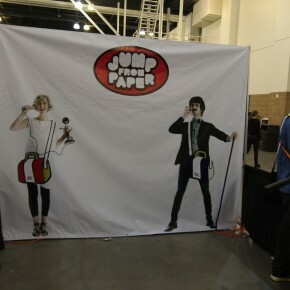 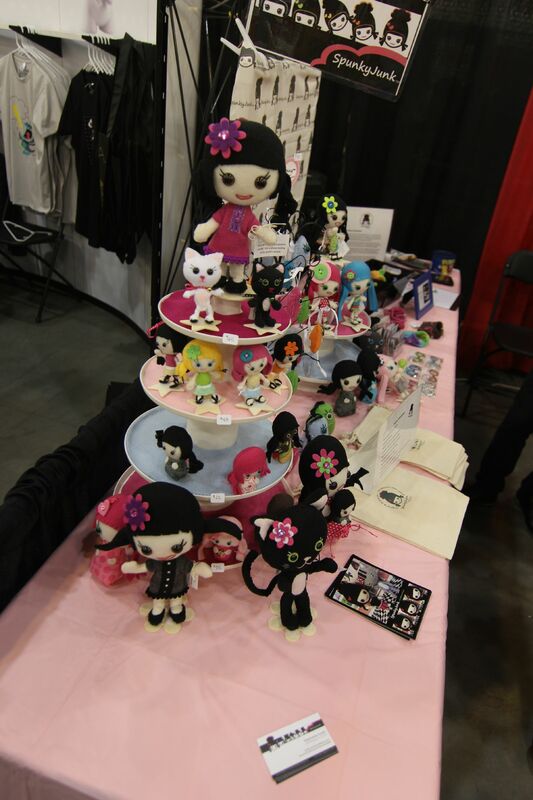 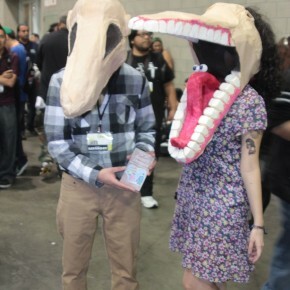 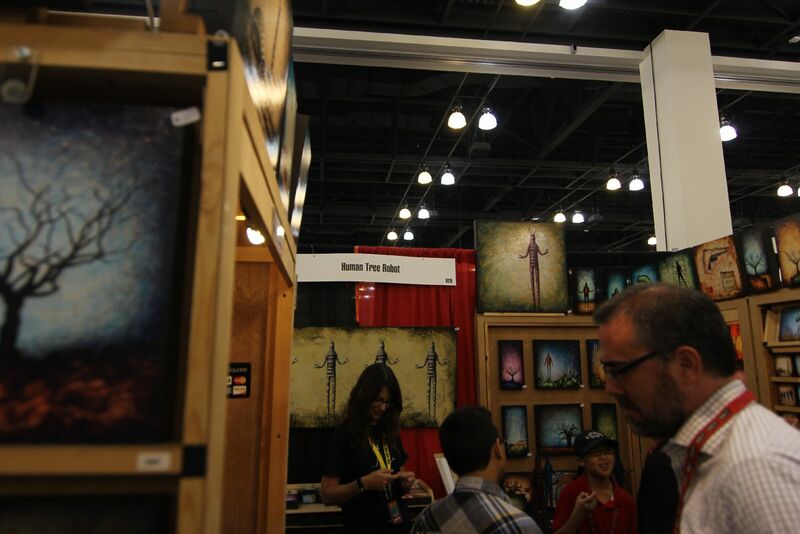 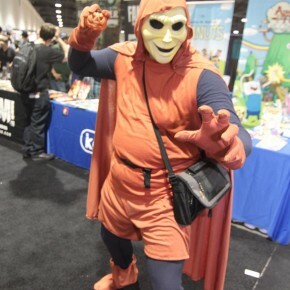 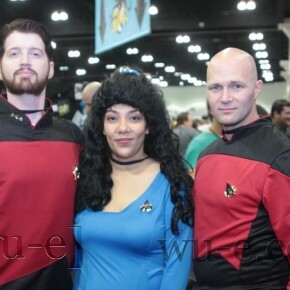 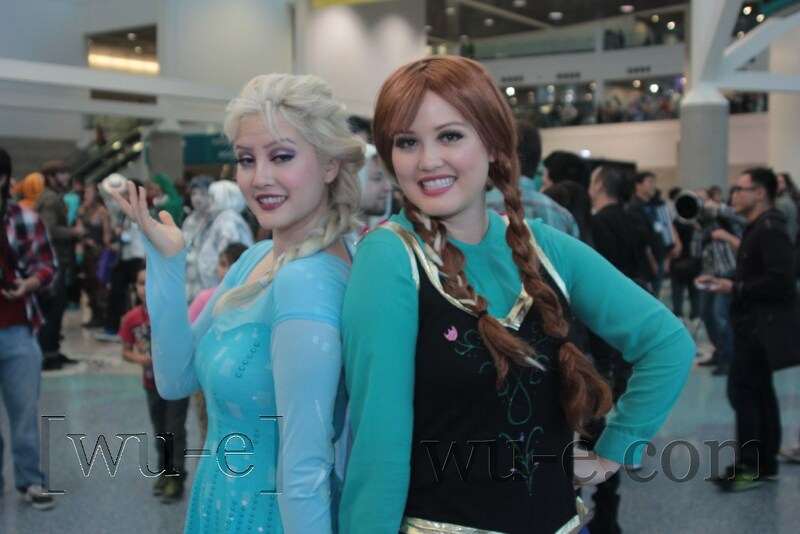 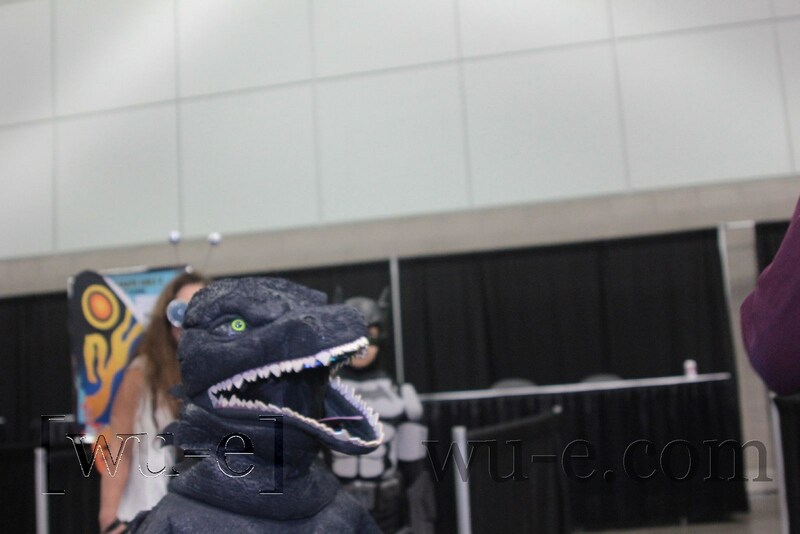 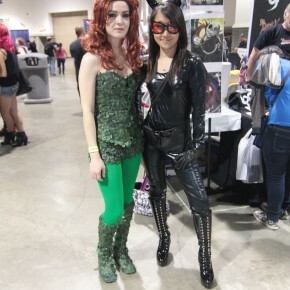 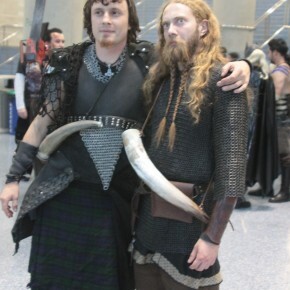 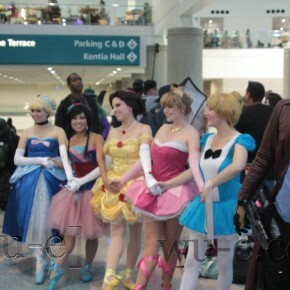 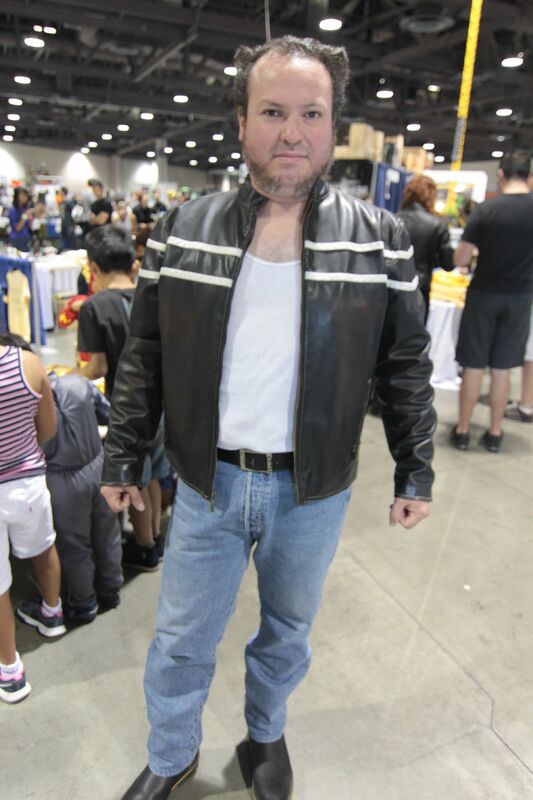 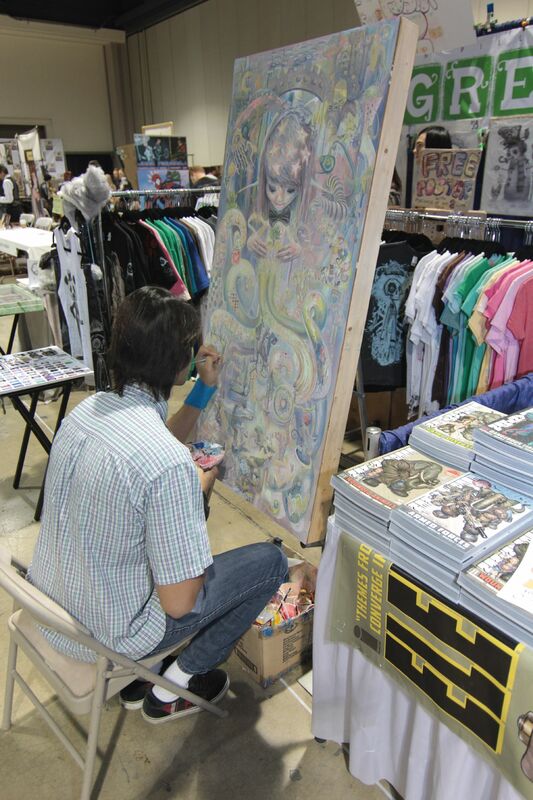 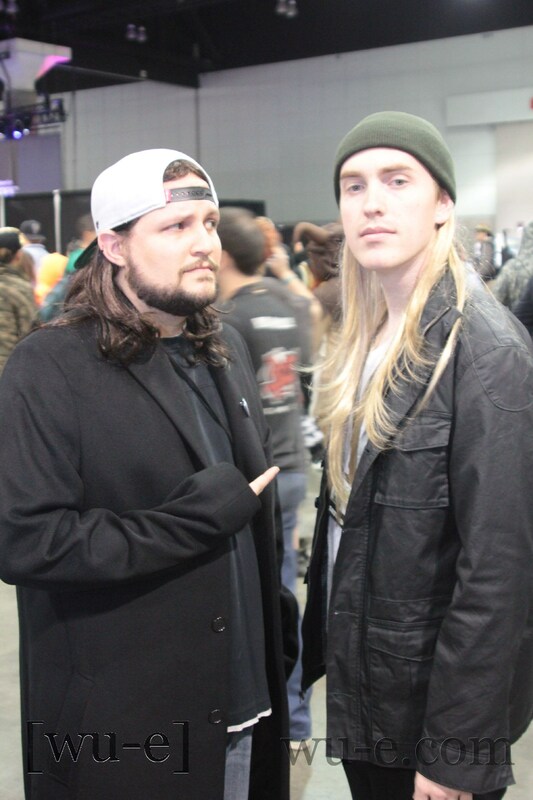 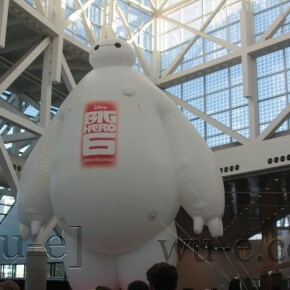 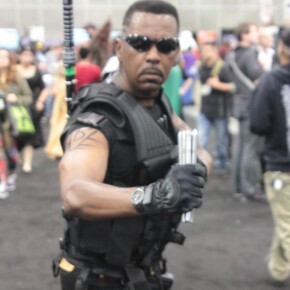 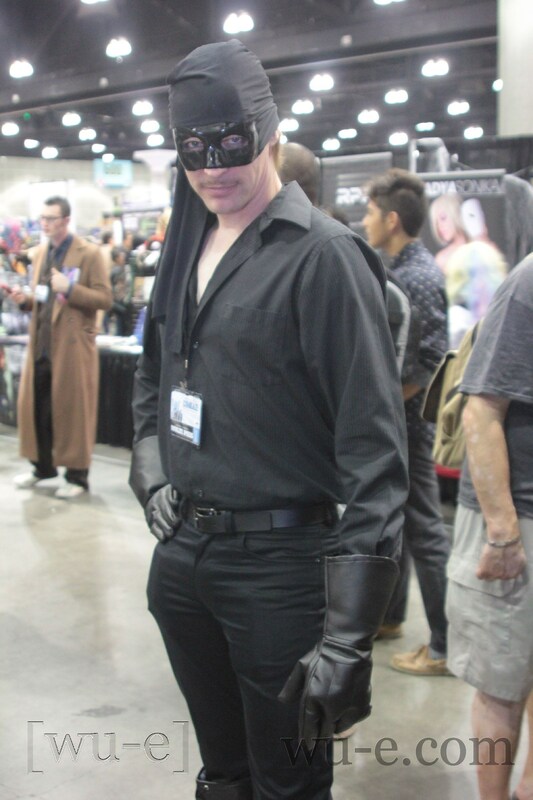 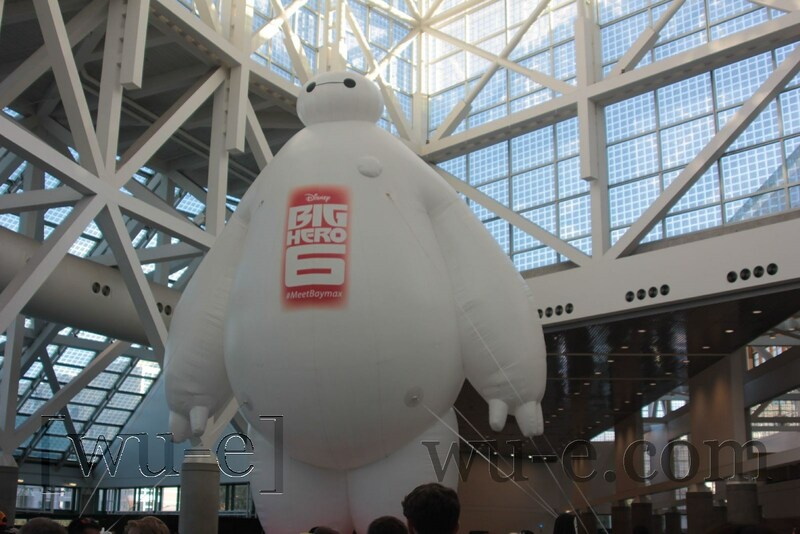 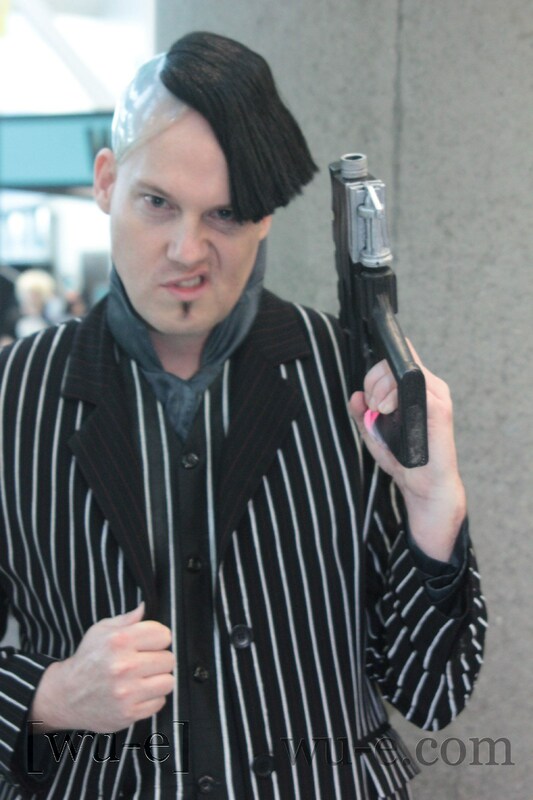 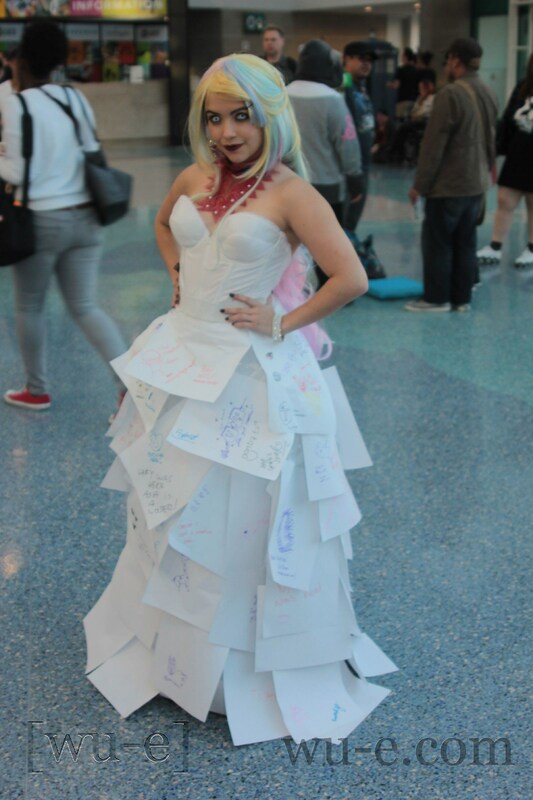 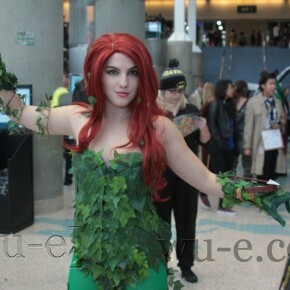 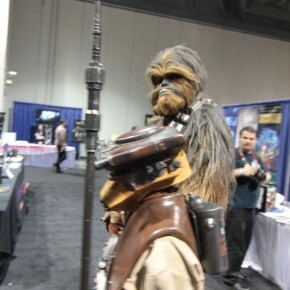 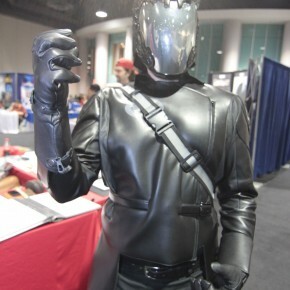 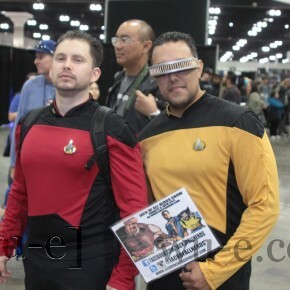 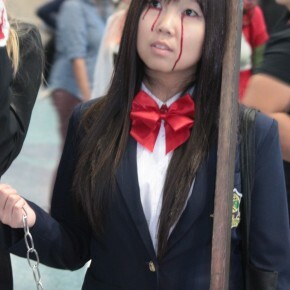 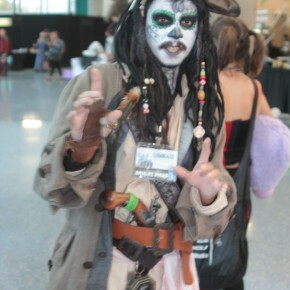 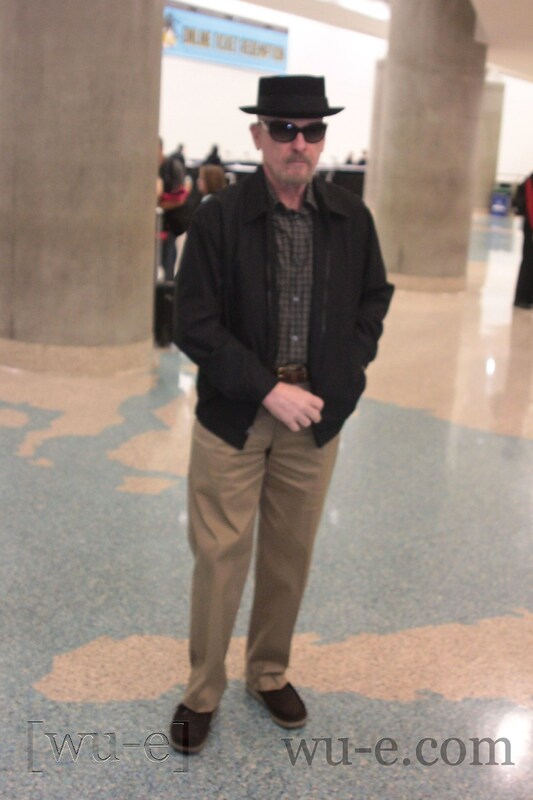 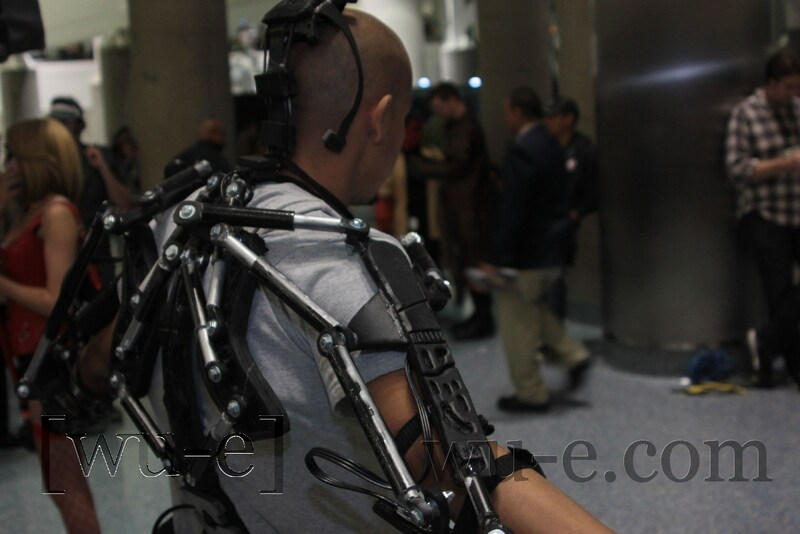 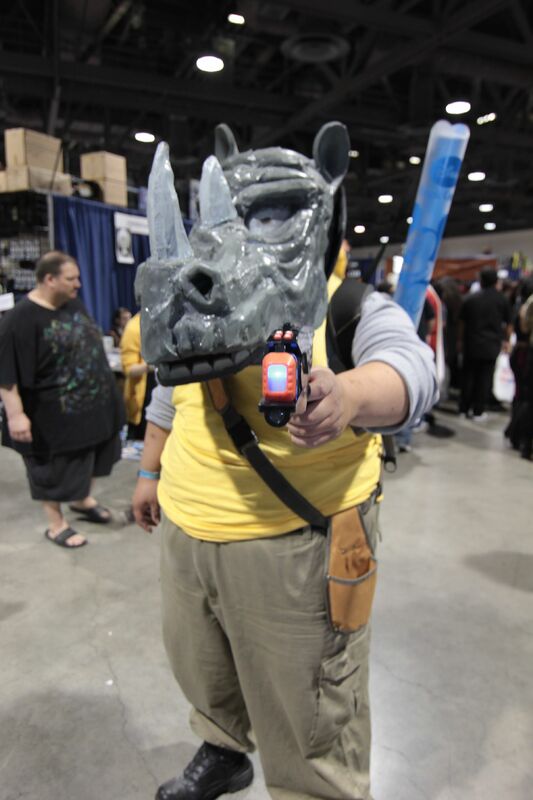 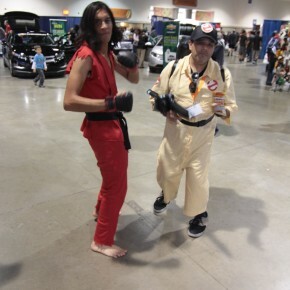 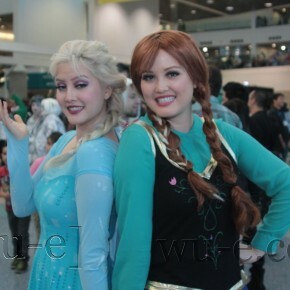 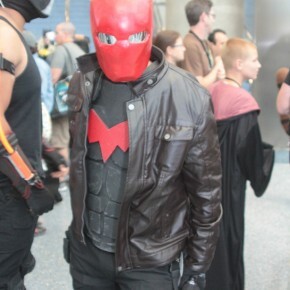 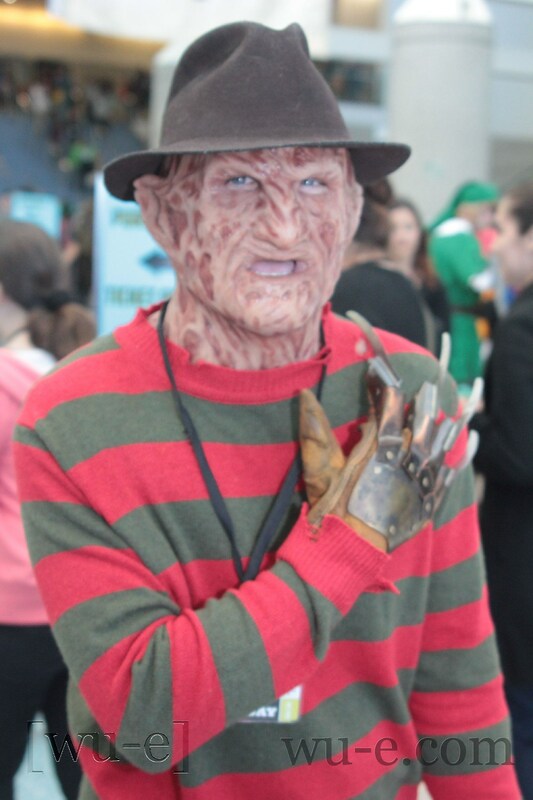 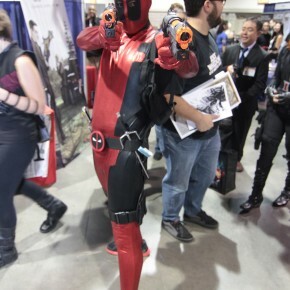 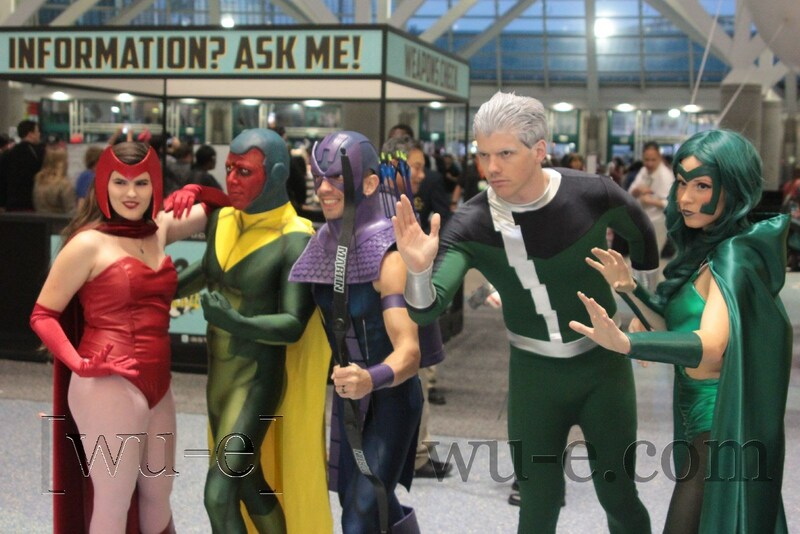 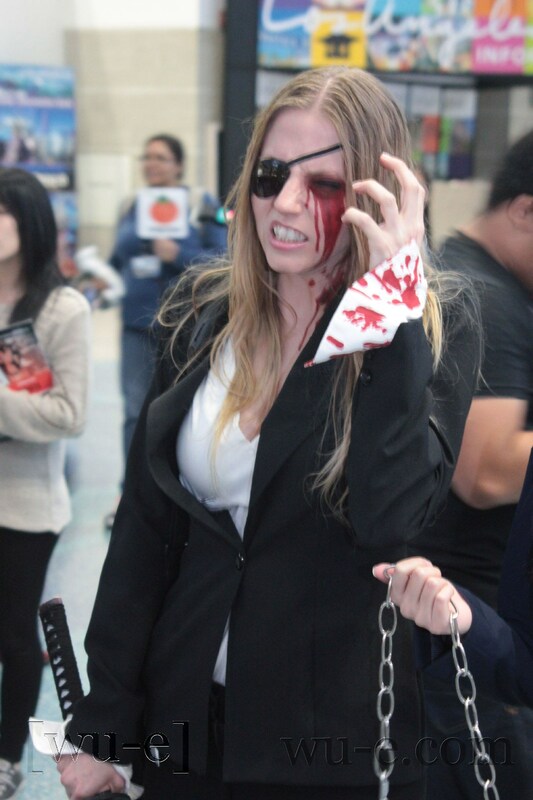 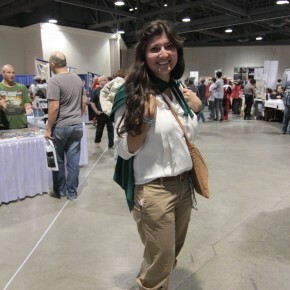 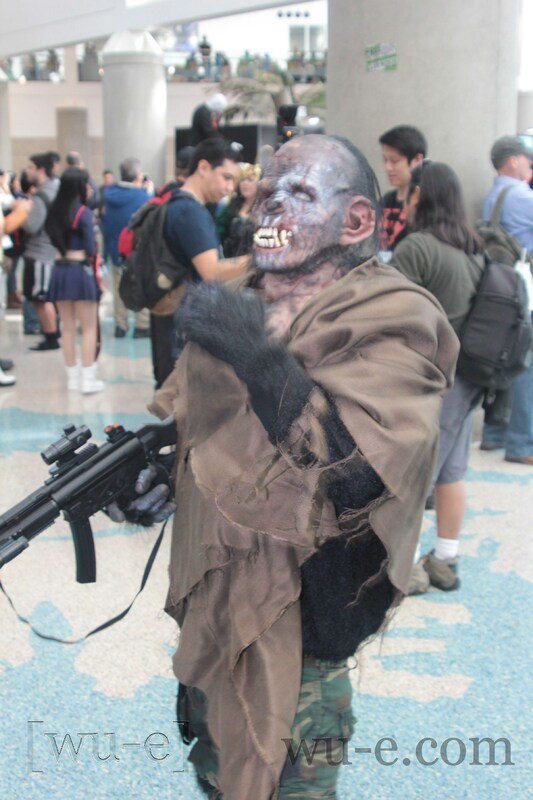 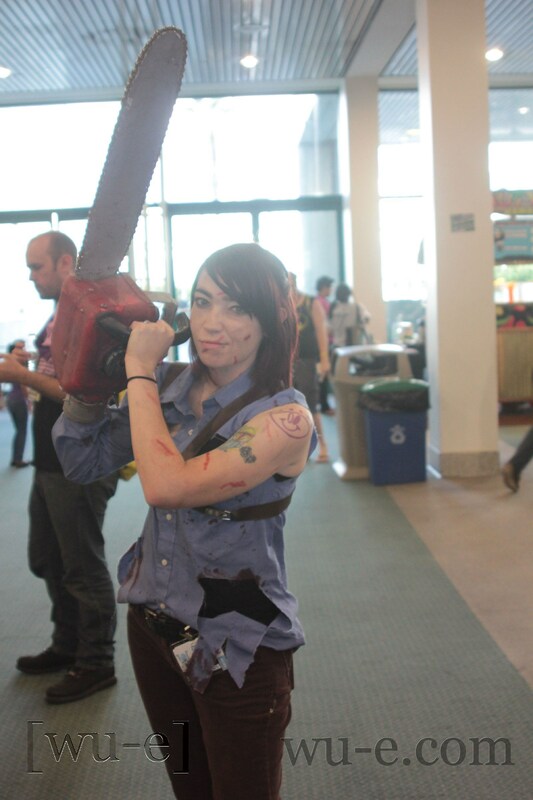 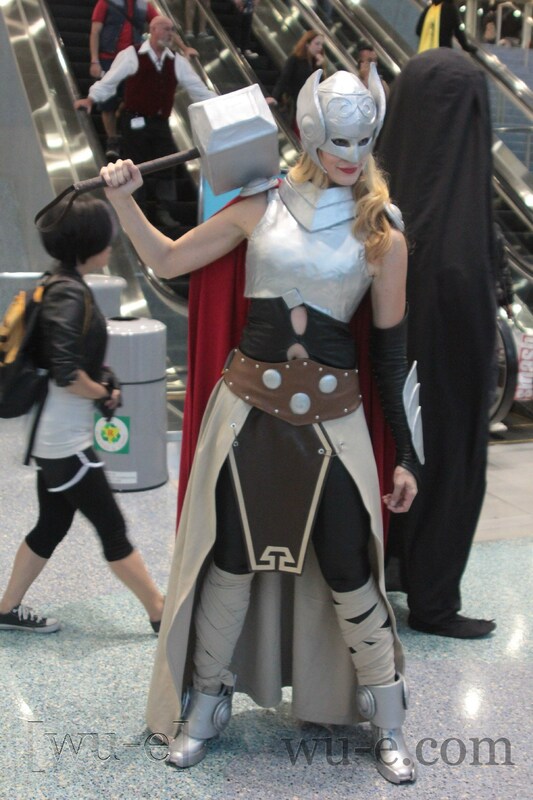 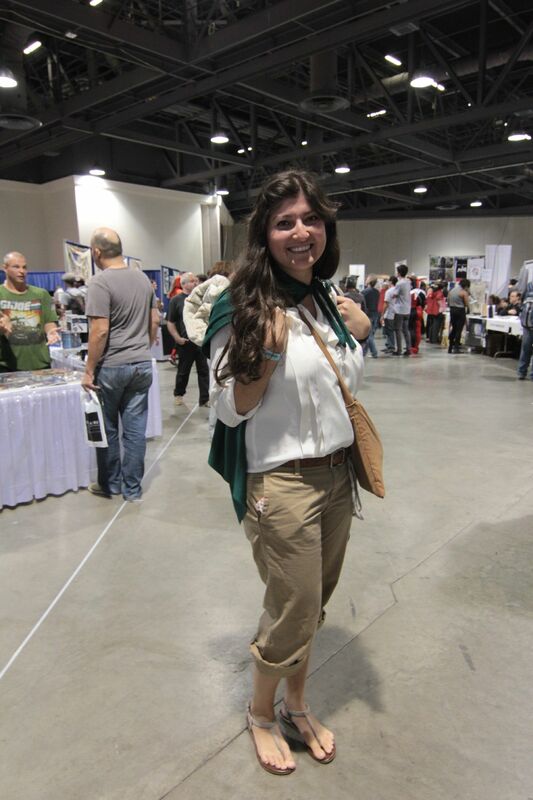 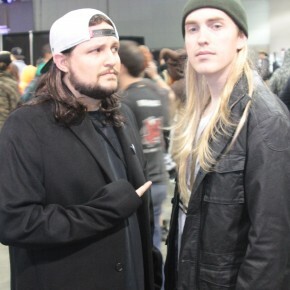 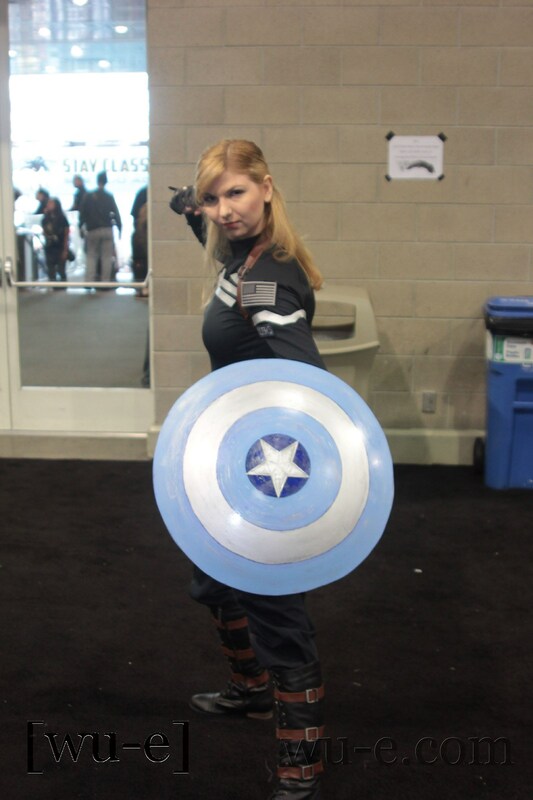 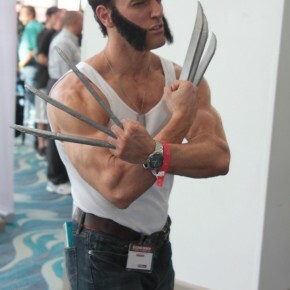 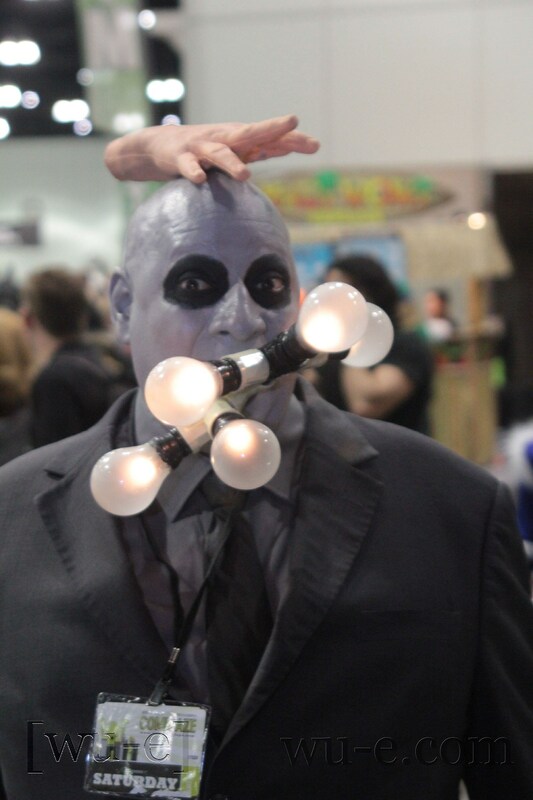 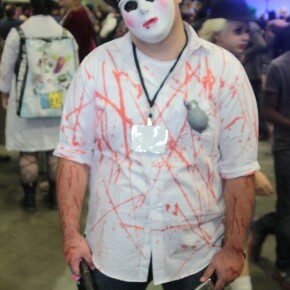 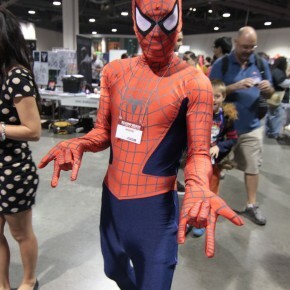 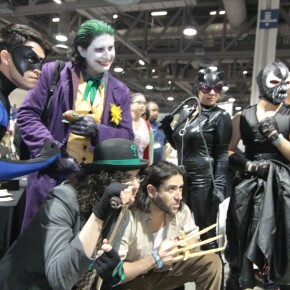 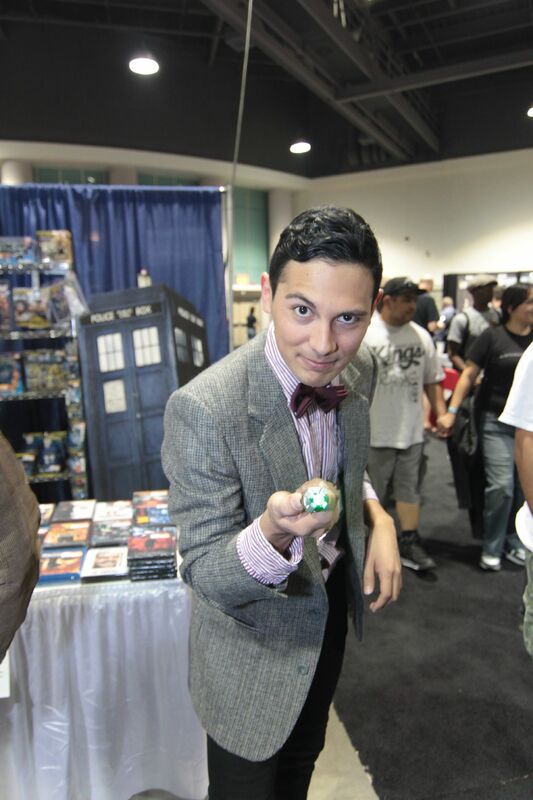 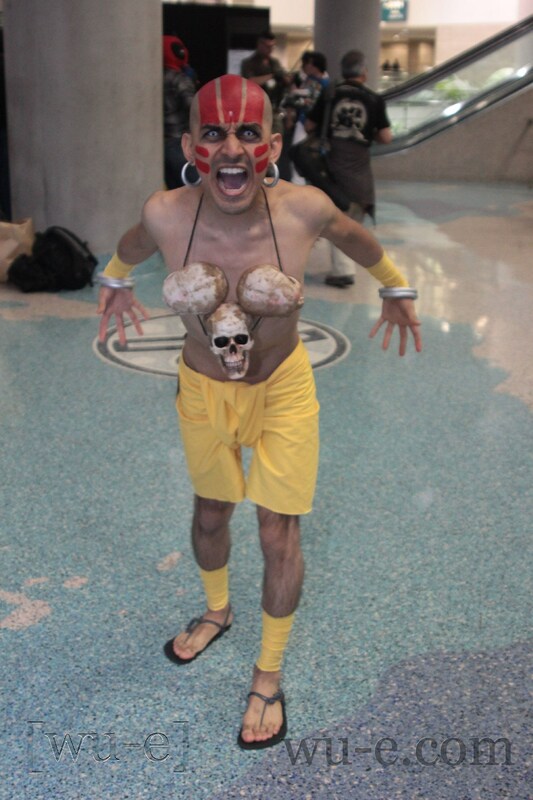 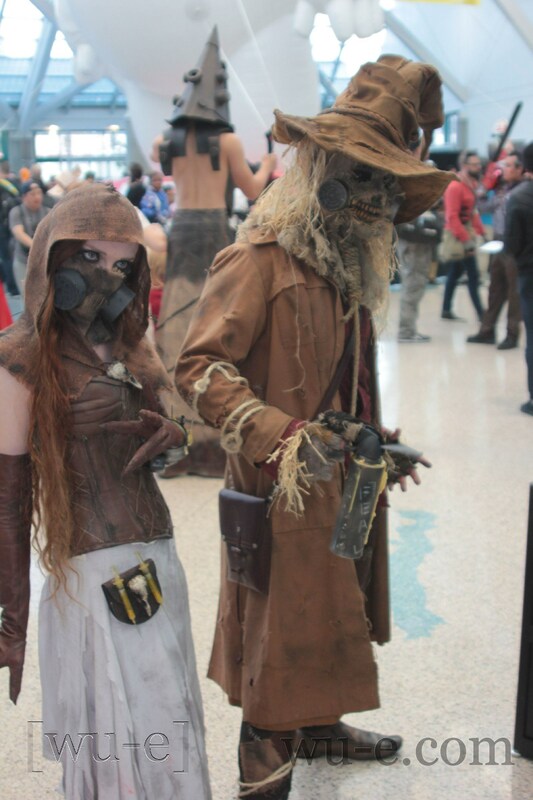 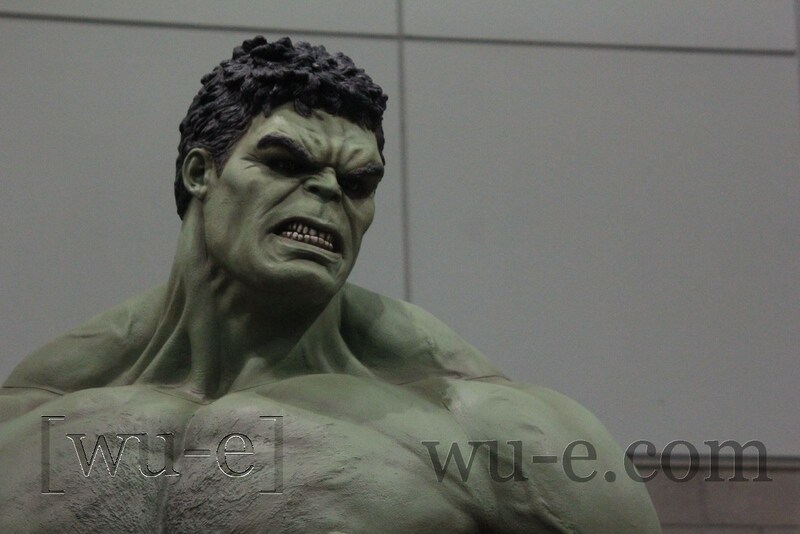 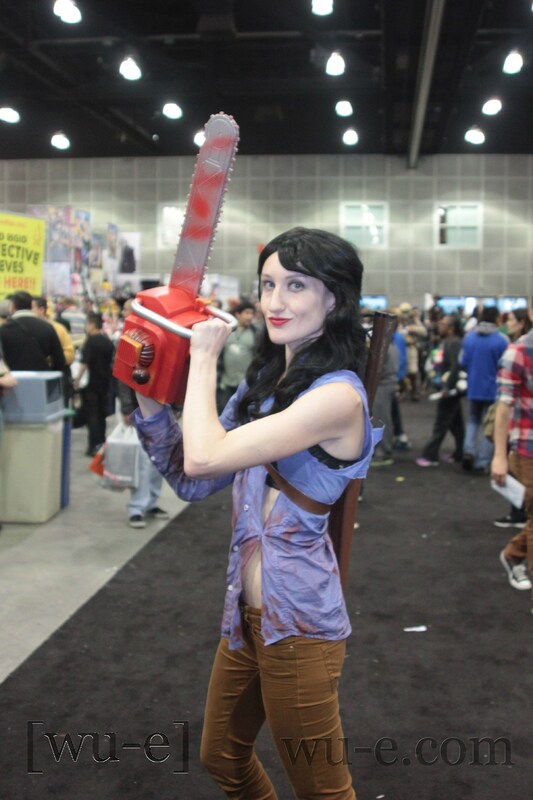 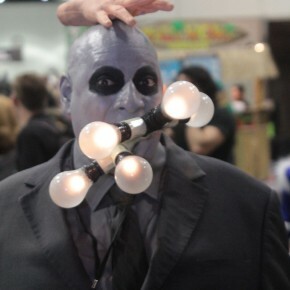 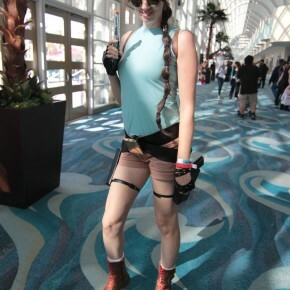 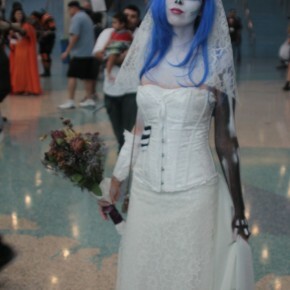 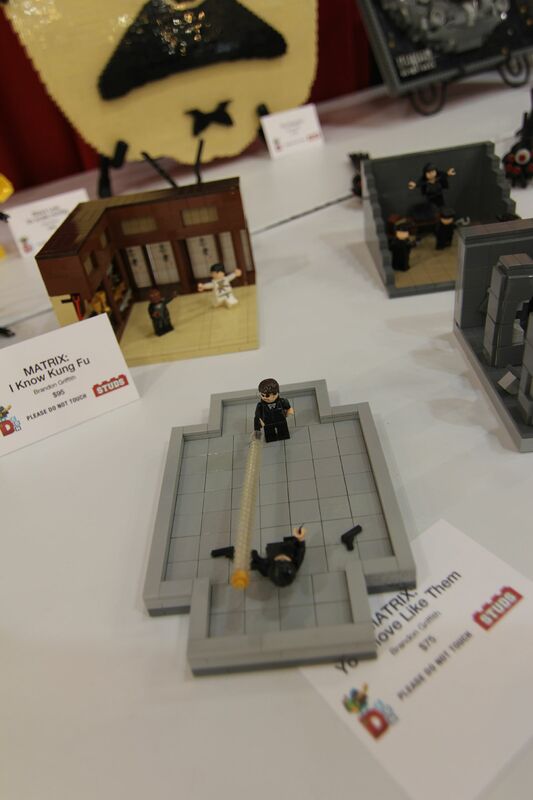 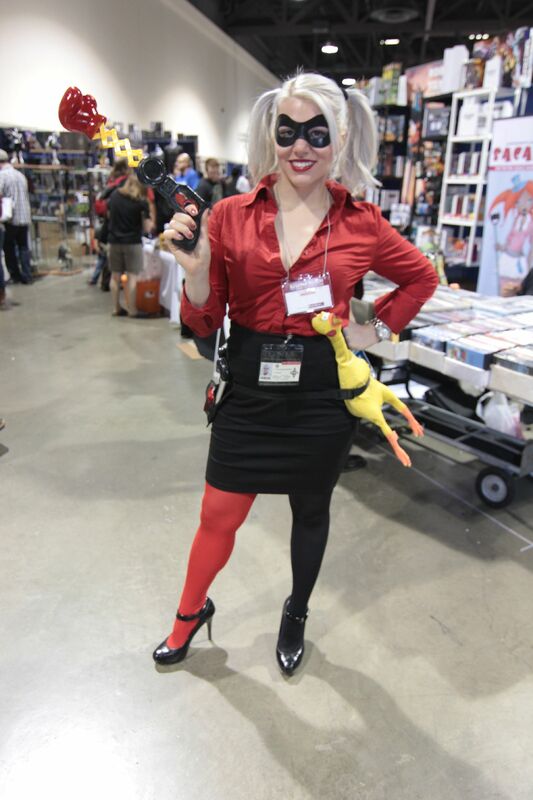 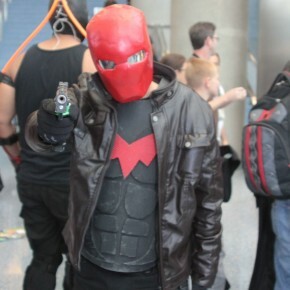 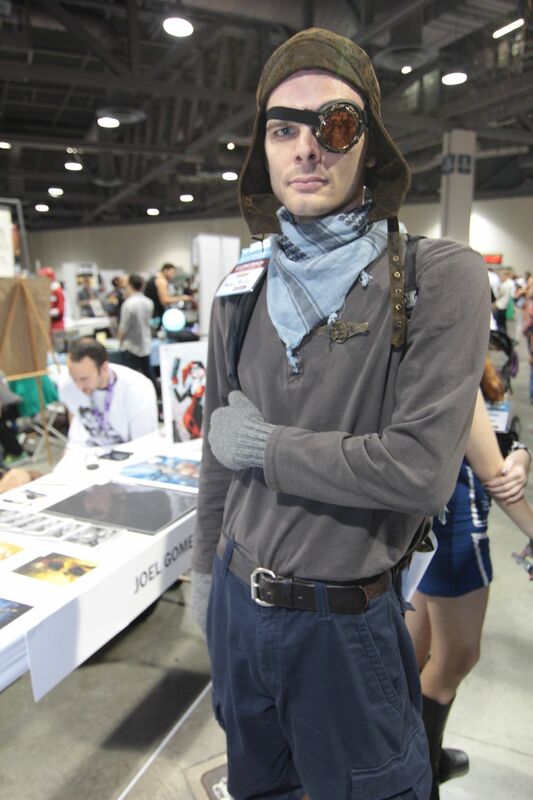 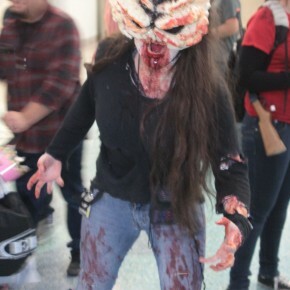 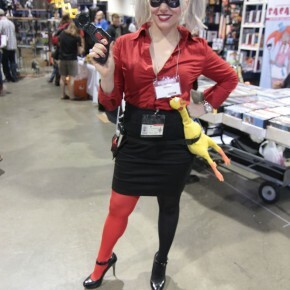 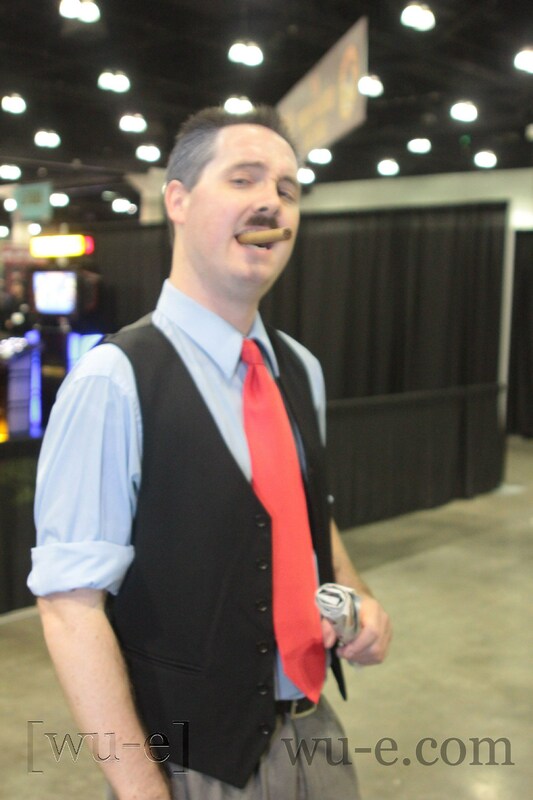 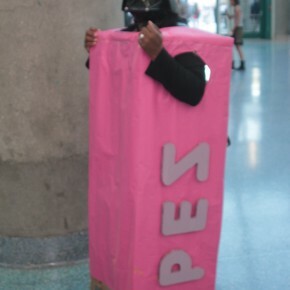 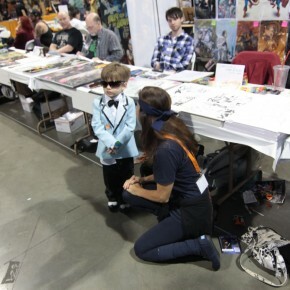 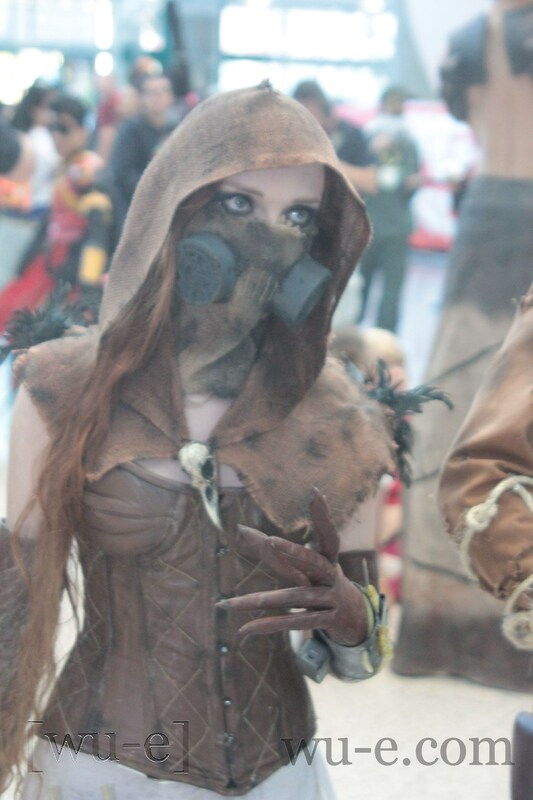 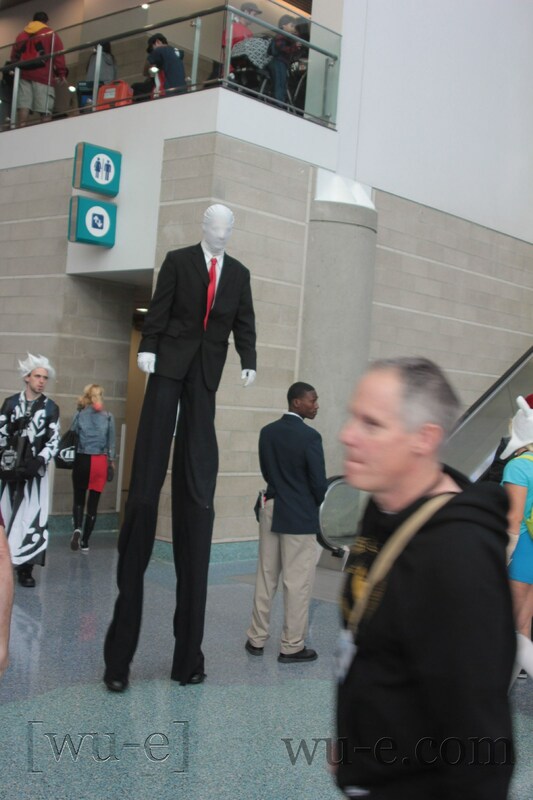 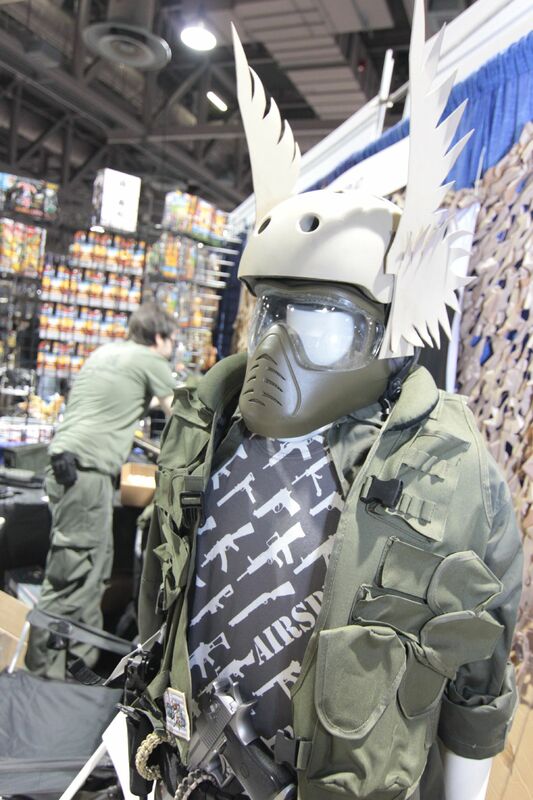 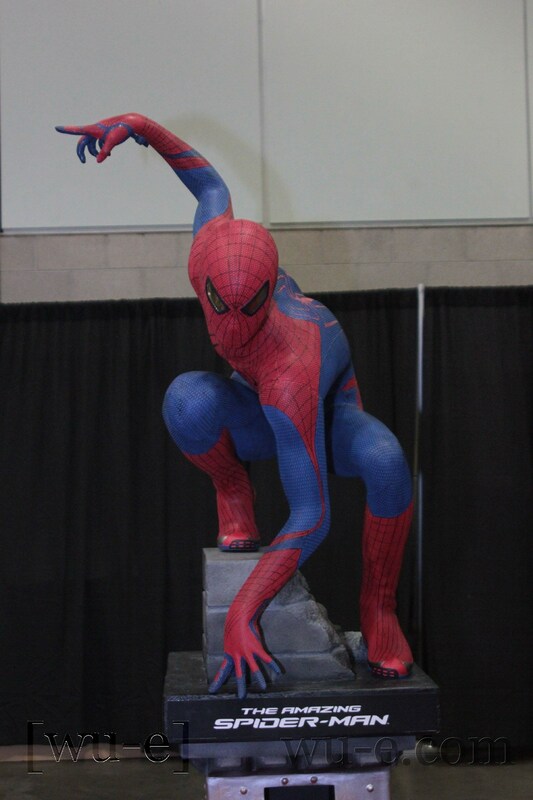 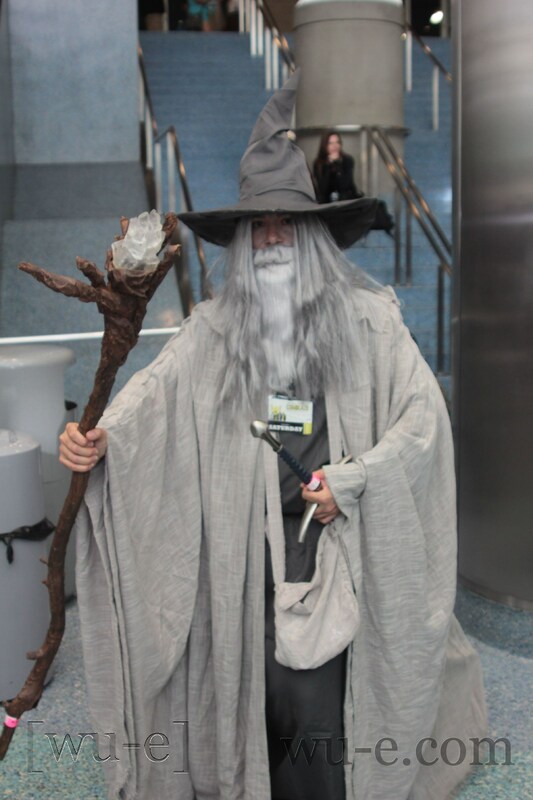 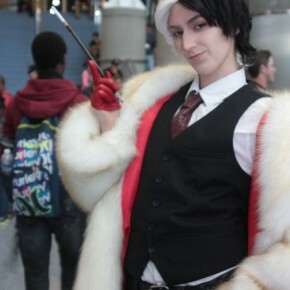 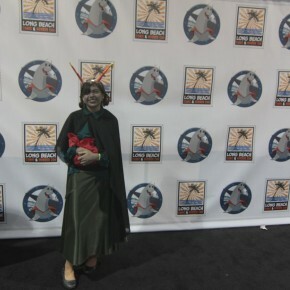 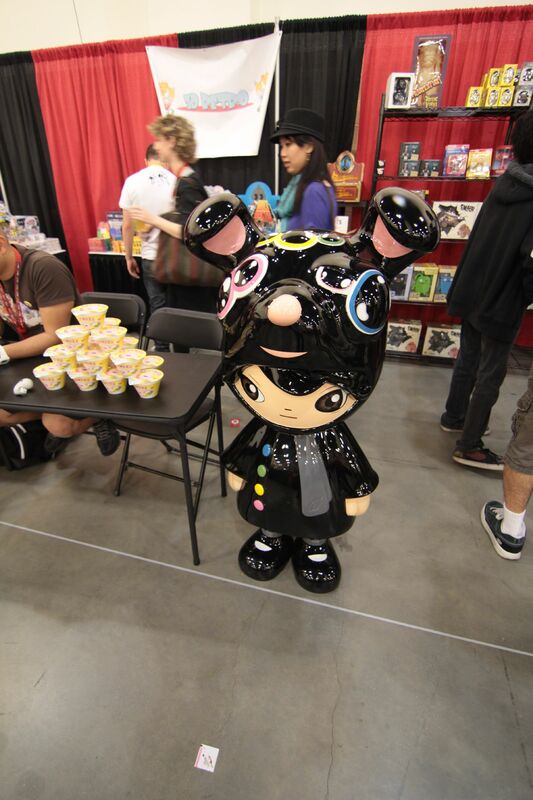 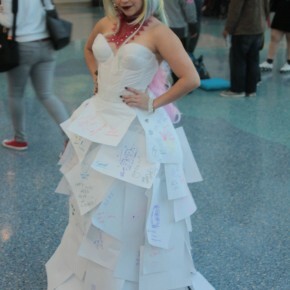 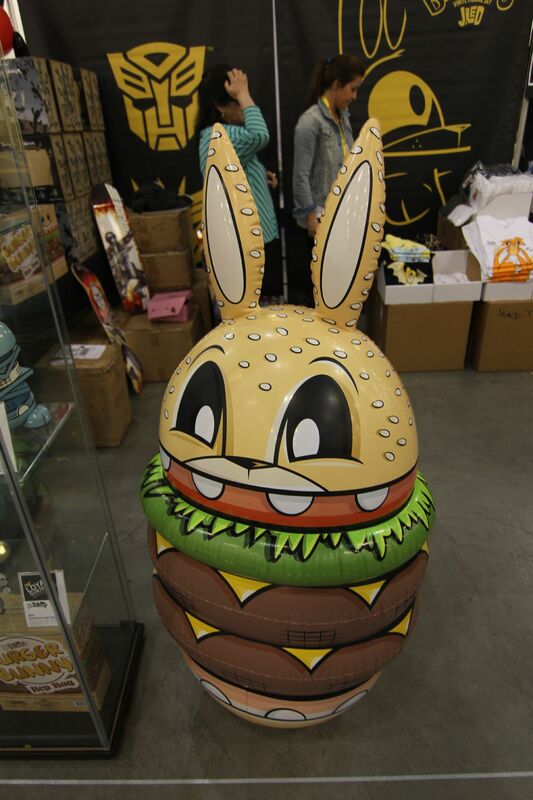 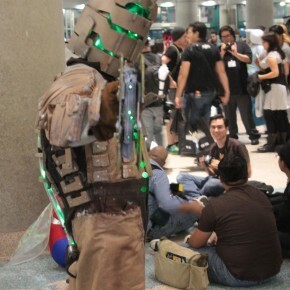 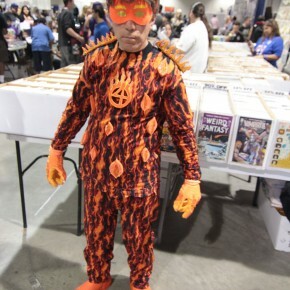 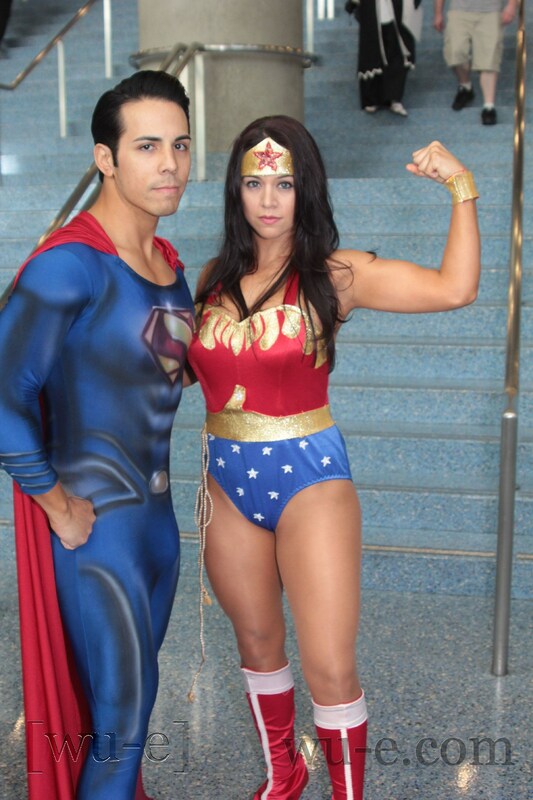 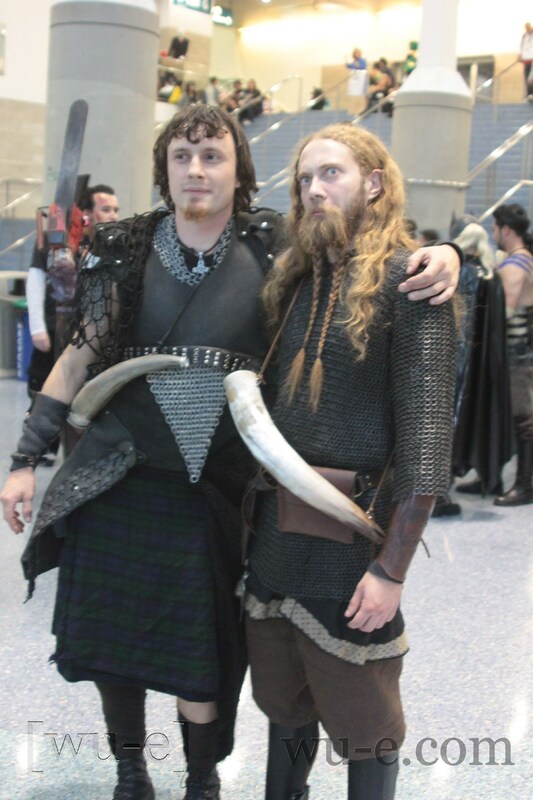 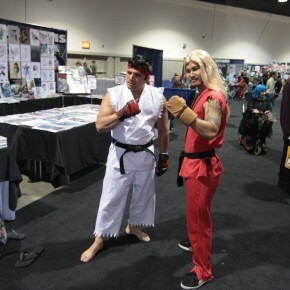 This entry was posted in Conventions, Events, Featured and tagged comic book, comic con, comic convention, convention, cosplay, horror, horror con, lbcc, long beach on October 18, 2012 by Danny. 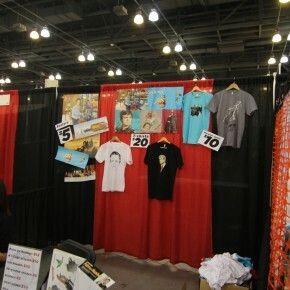 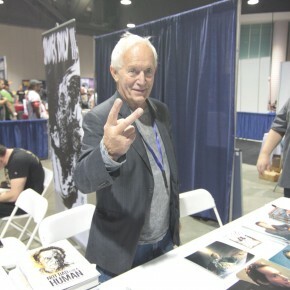 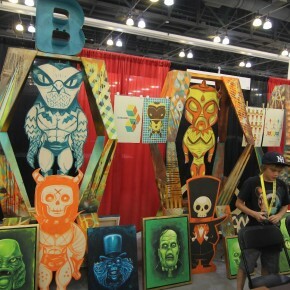 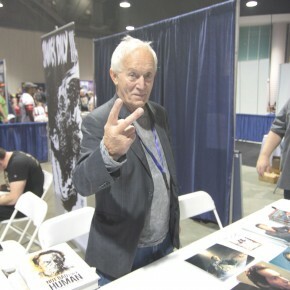 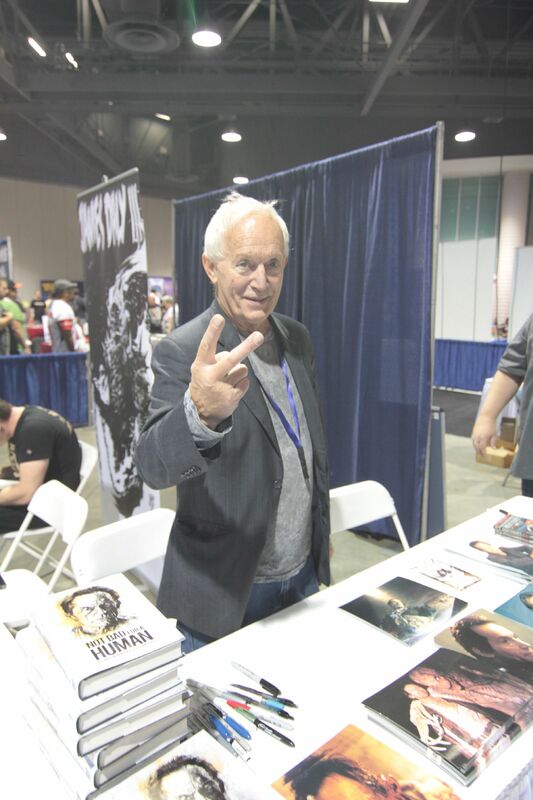 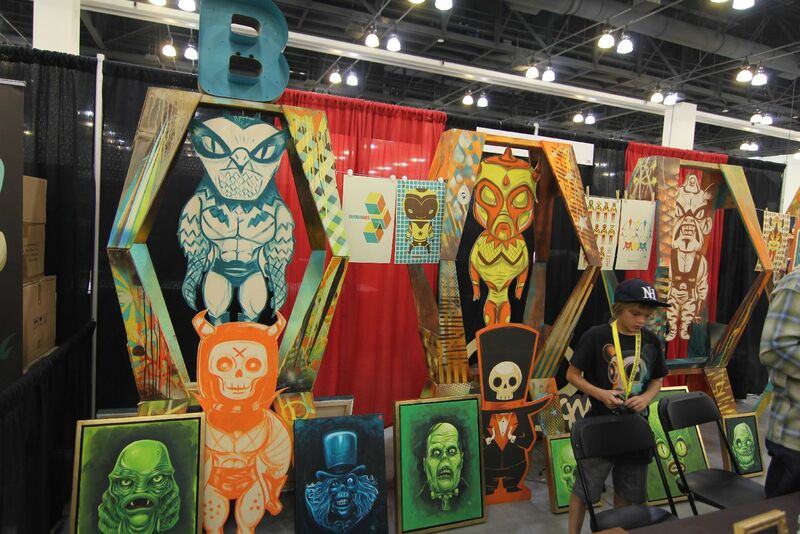 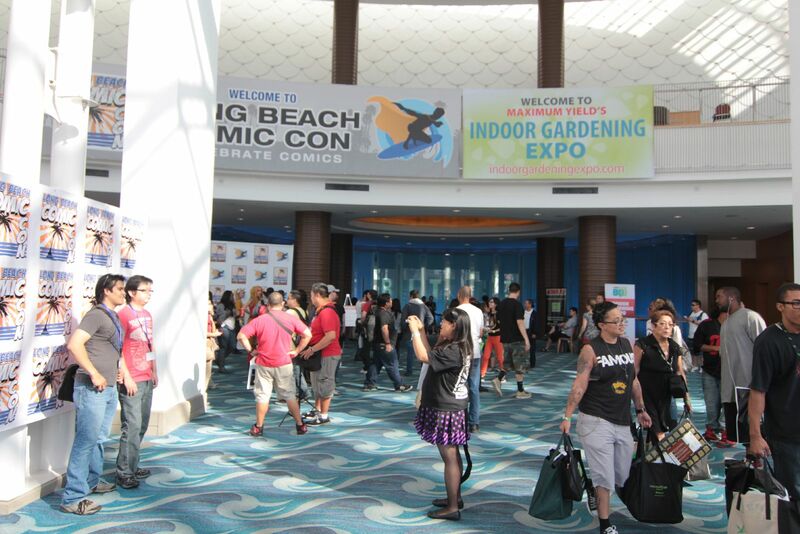 Long Beach Comic Con & Horror Con This Weekend! 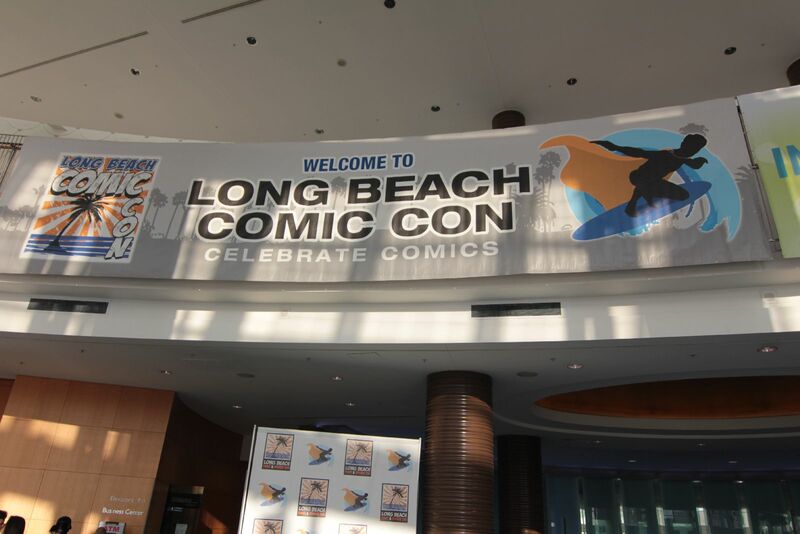 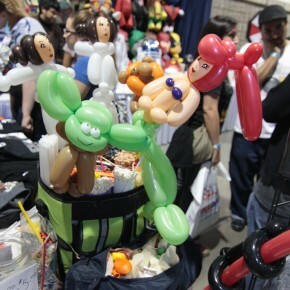 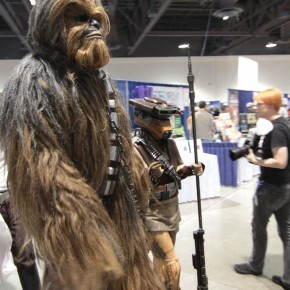 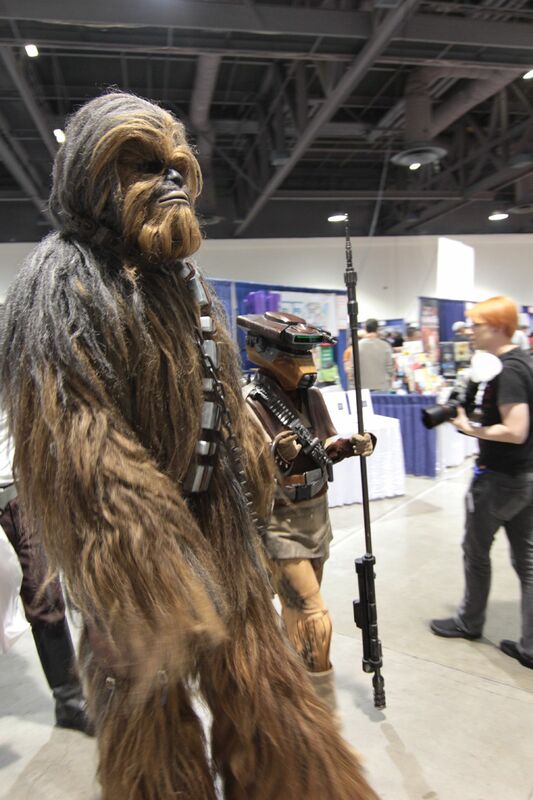 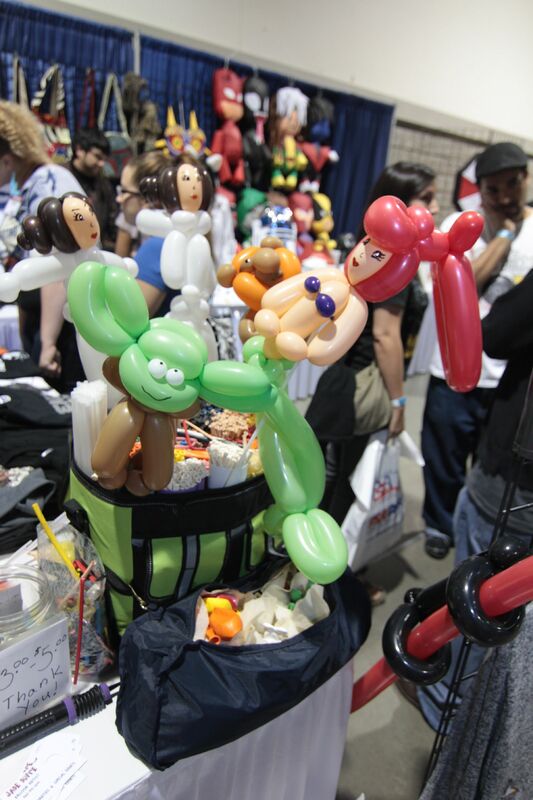 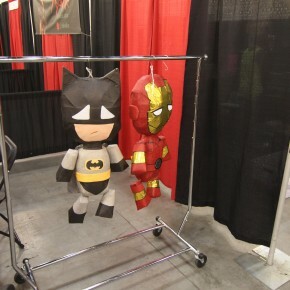 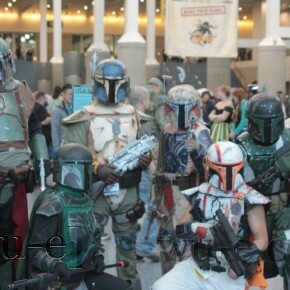 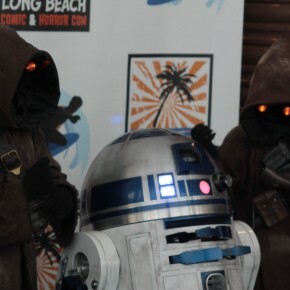 Long Beach Comic Con is happening this weekend! 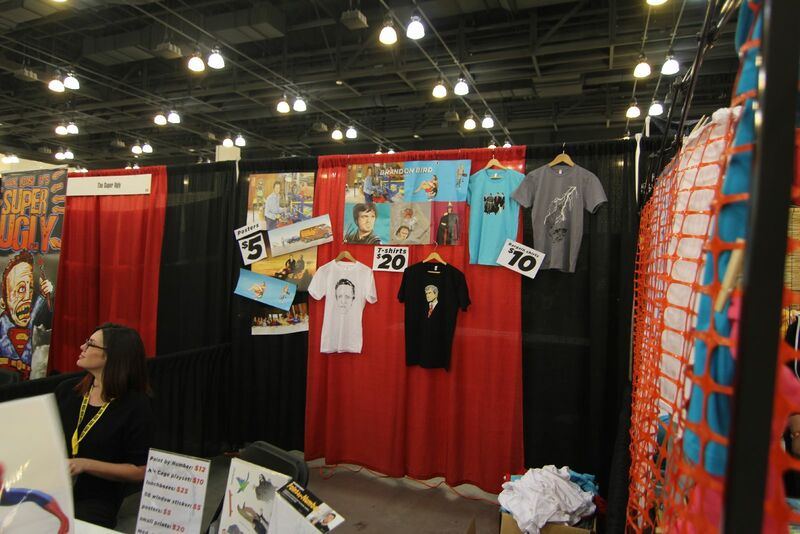 Tickets are still on sale. 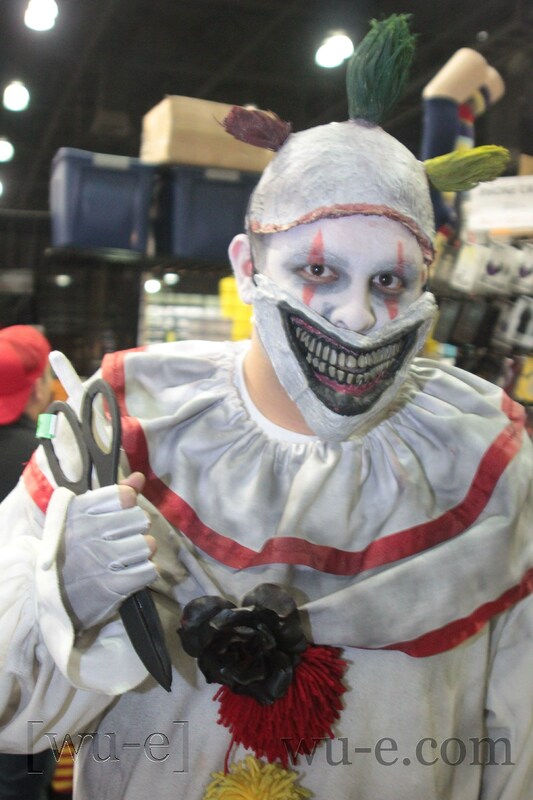 Individual days are $25, and the 2 day weekend pass is $45 (savings of $5). 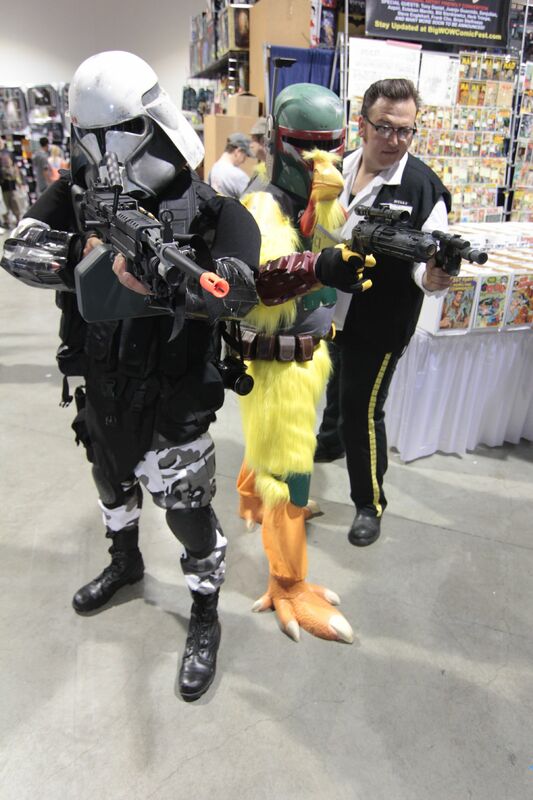 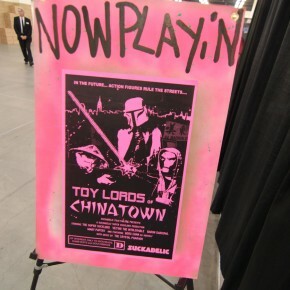 There will be a special Robot Chicken panel on Saturday at 3:00 pm. 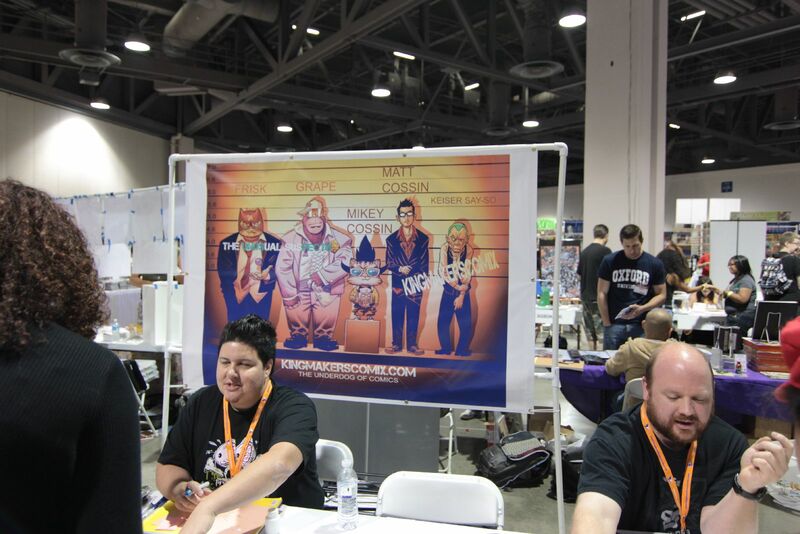 Co-creators/executive producers/directors/writers Seth Green and Matthew Senreich, executive producer/head writer Tom Root, actor/writer Breckin Meyer and writers Erik Weiner and Matt Beans are scheduled to be present in the panel. 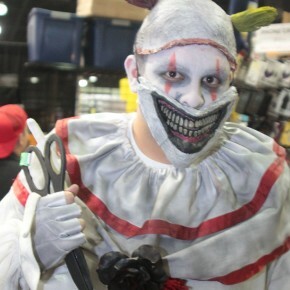 A Q&A, clips from upcoming episodes of season 5 (DVD on sale 10/25, a sneak preview of the exciting next steps for the hit series are some things you should expect to see. 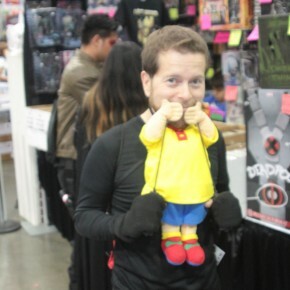 For all you Simpsons fan, there’s going to be a Simpsons Treehouse of Horror panel. 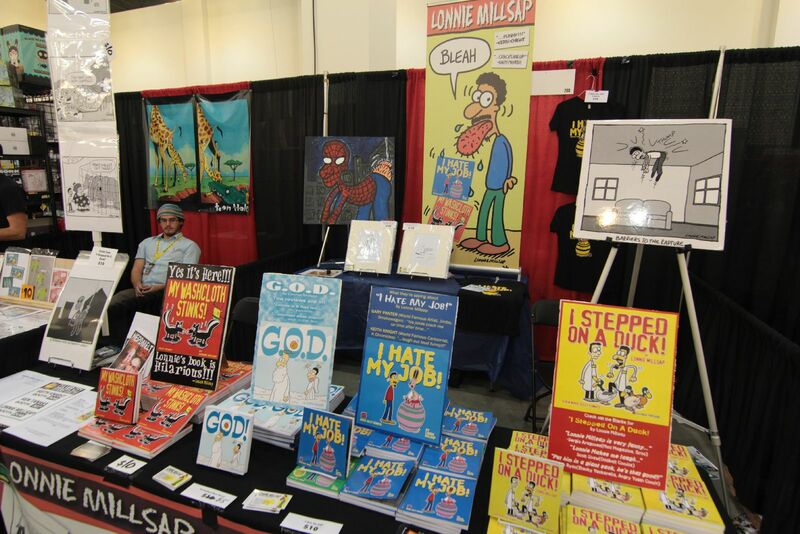 Jane Wiedlin (The Go-Gos), Tom Hodges (Clone Wars) and Bill Morrison (The Simpsons) will talk about Jane and Tom’s Treehouse of Horror story. 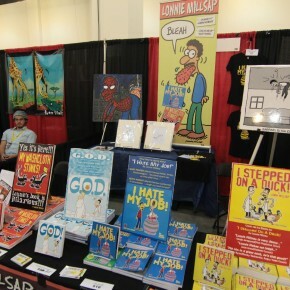 The panel will be on Saturday in Room 103A at 11:00 AM, followed by a signing at the Golden Apple booth. 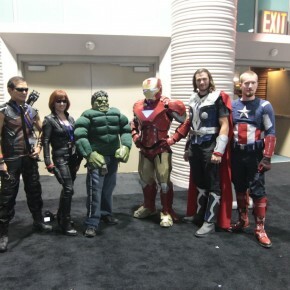 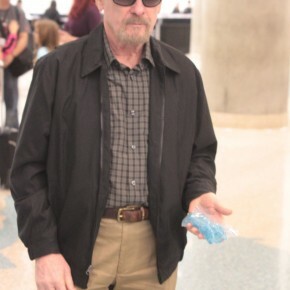 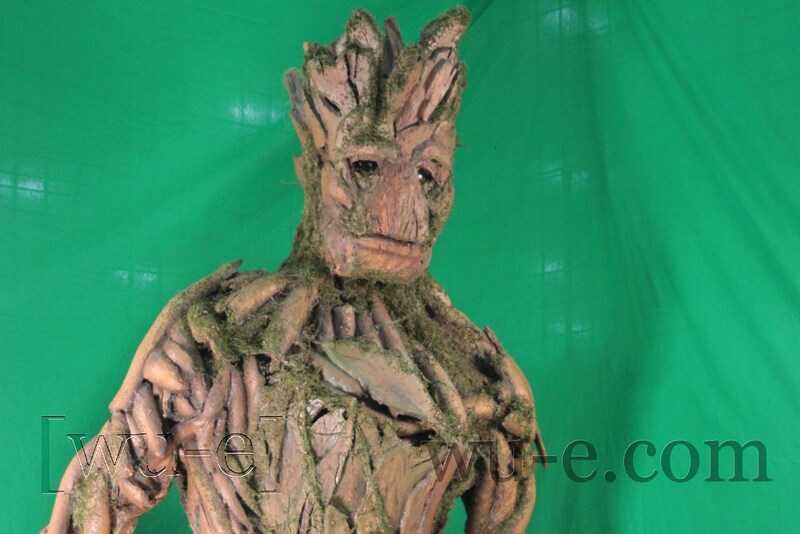 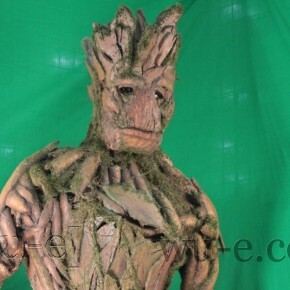 Other guests include Iron Man 3 director Shane Black, legendary filmmaker John Carpenter, and the entire cast of The Guild. 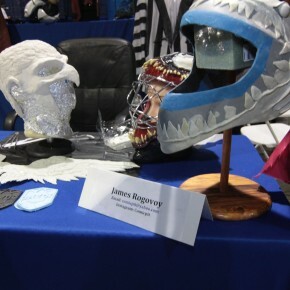 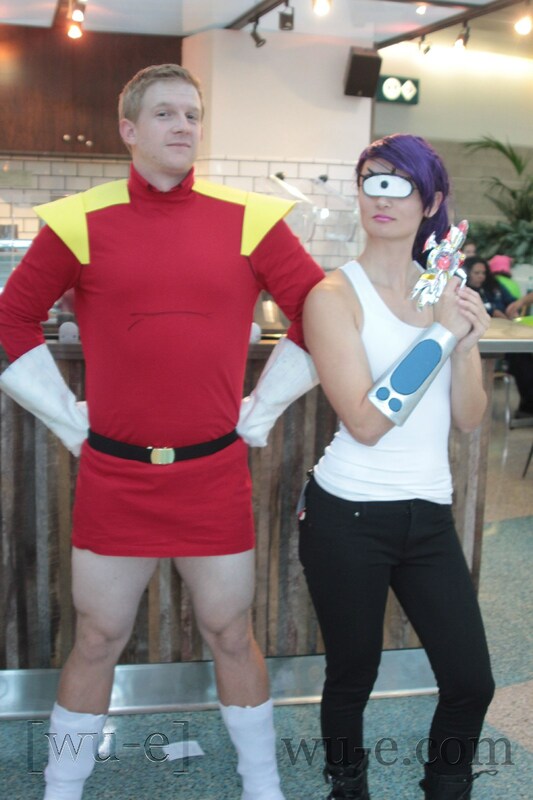 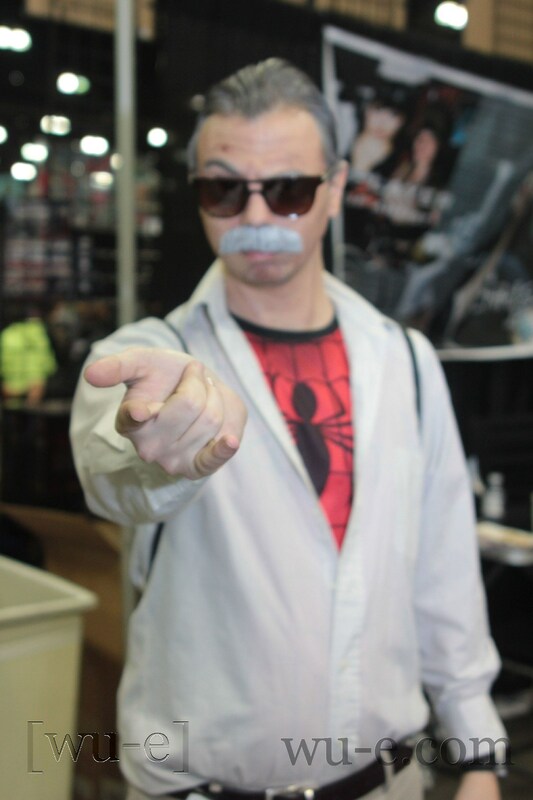 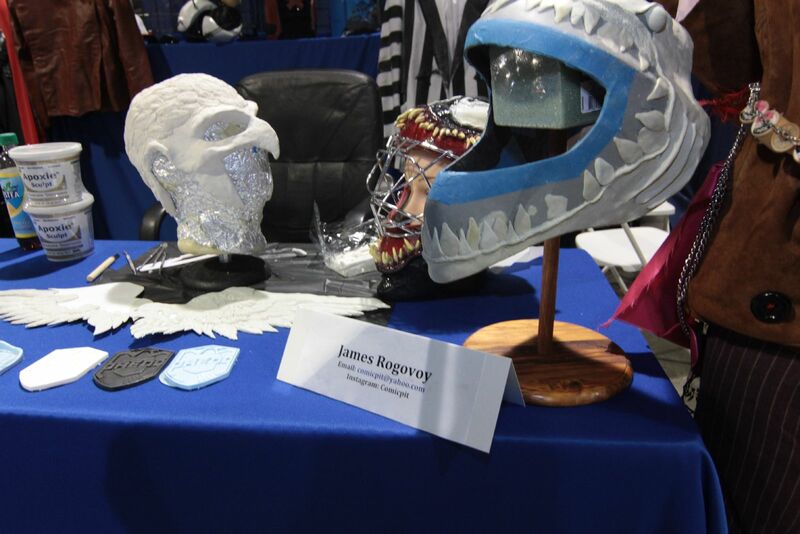 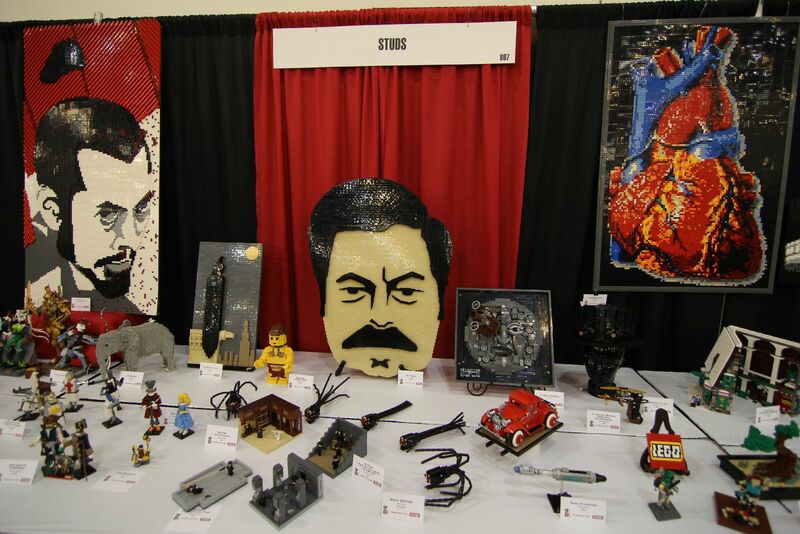 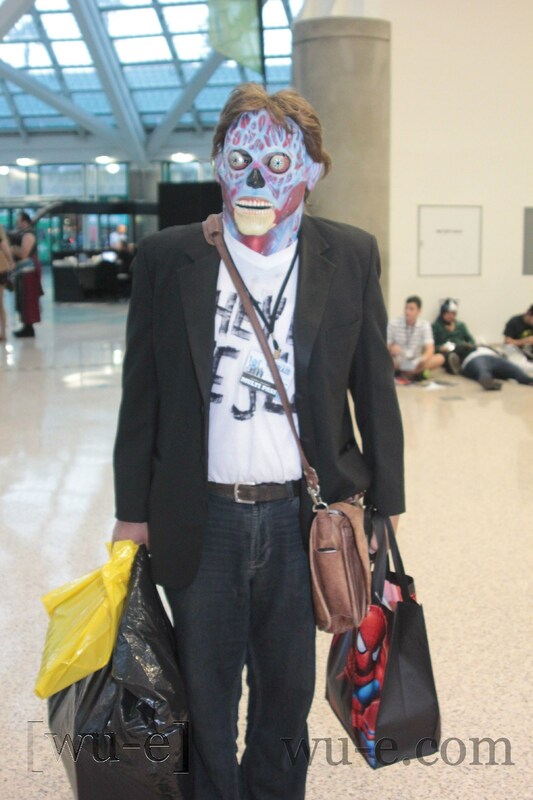 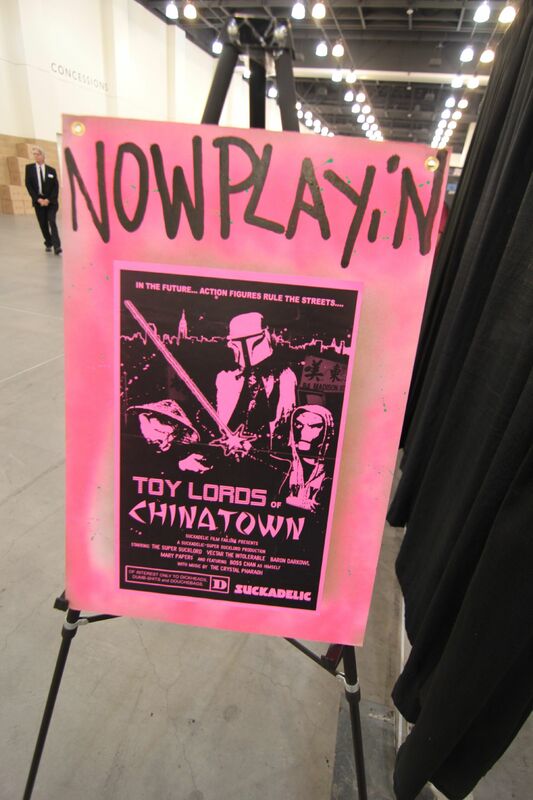 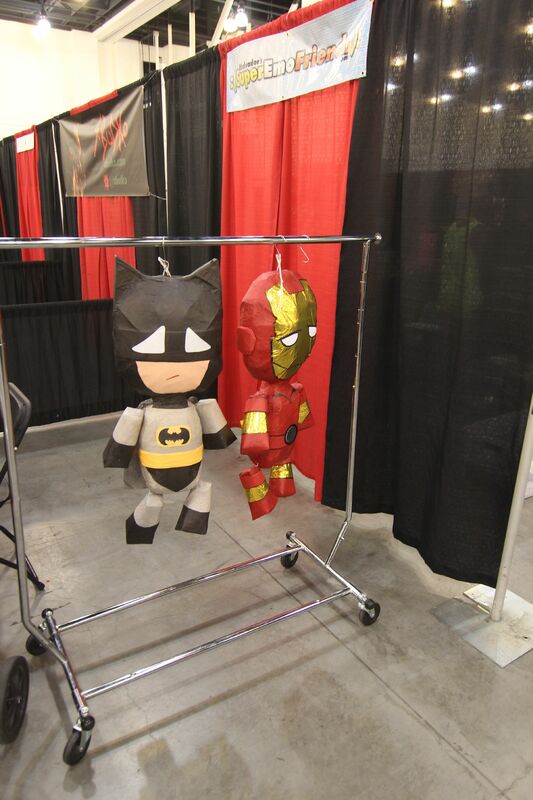 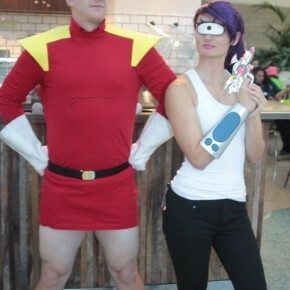 This entry was posted in Conventions and tagged comic convention, comics, convention, cosplay, horror con, iron man, iron man 3, john carpenter, long beach, matthew senreich, robot chicken, seth green, shane black, television, the guild, the simpsons on October 28, 2011 by Danny.